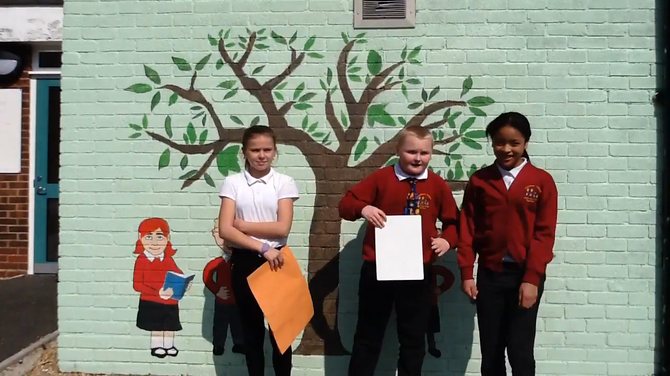 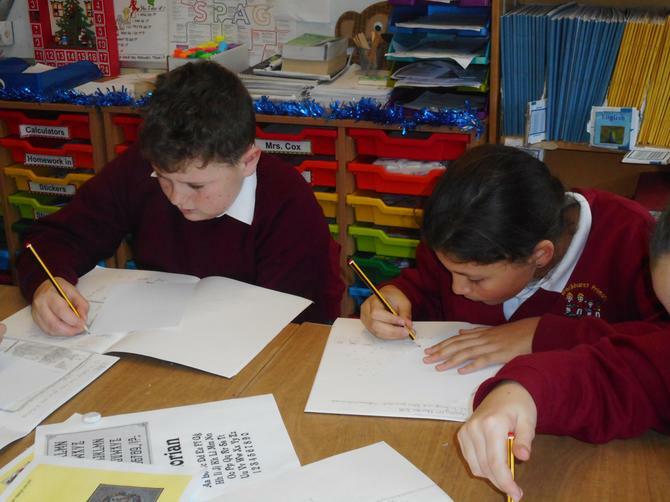 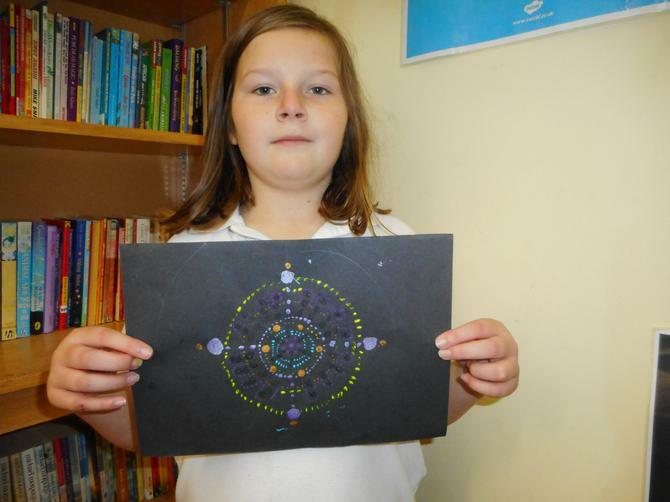 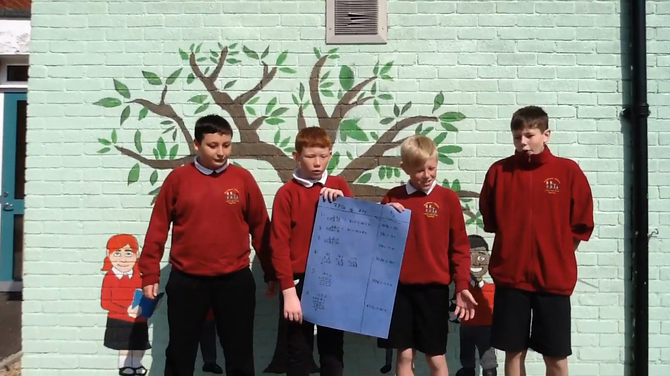 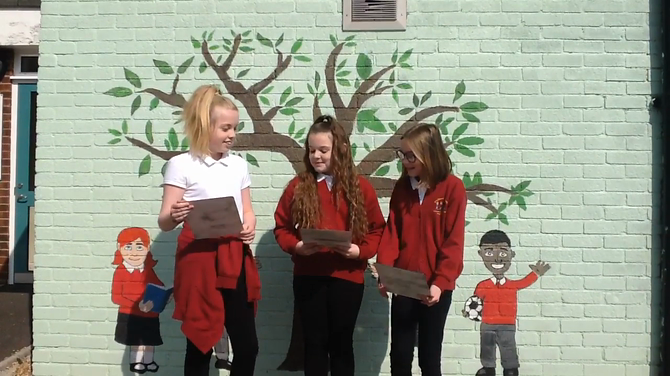 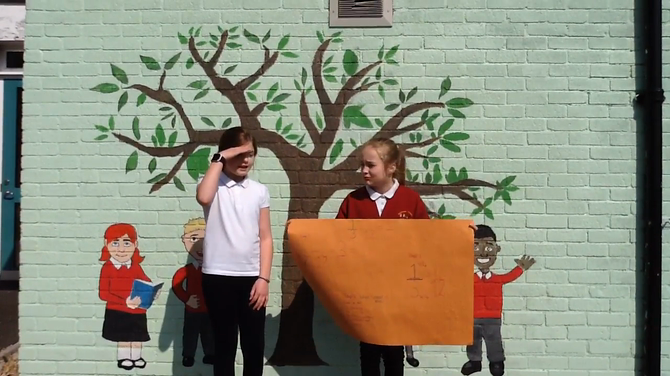 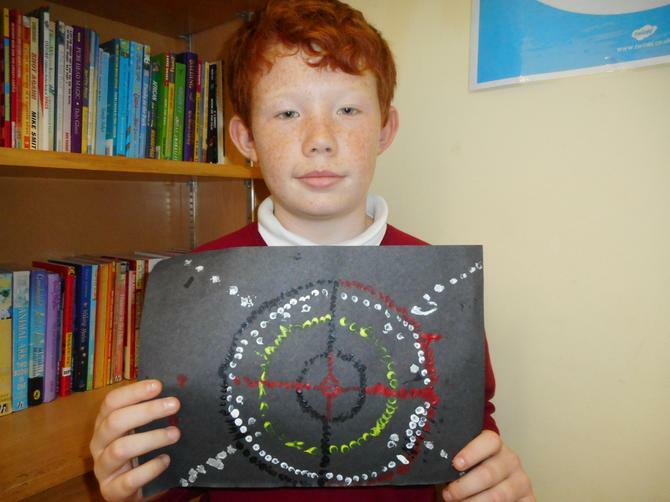 5.4.19 Maths videos: Year 6 have been developing their arithmetic skills. 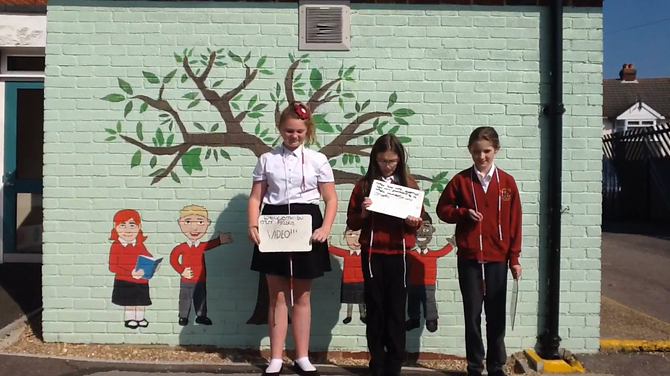 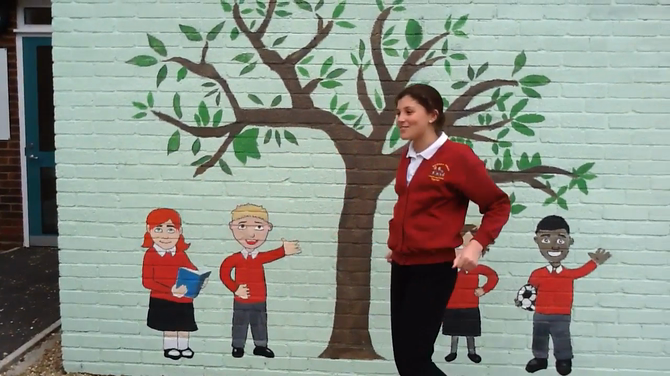 Here are a few examples of videos to help you to understand some tricky calculations. 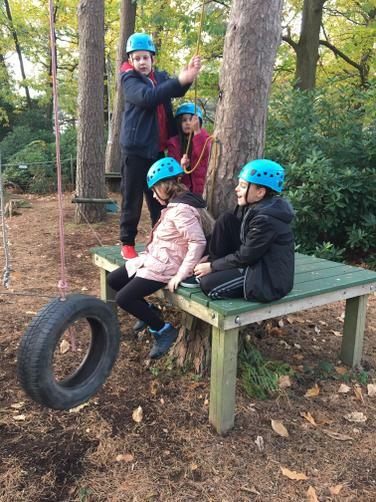 Percentage of a number- find 10% first! 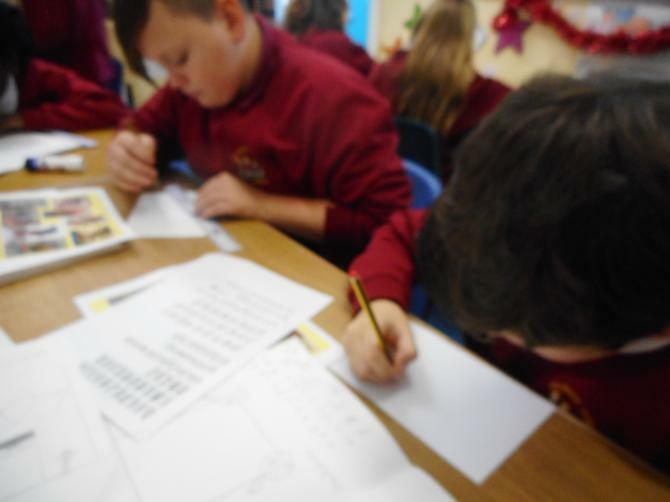 BODMAS- Make sure you get the order correct! 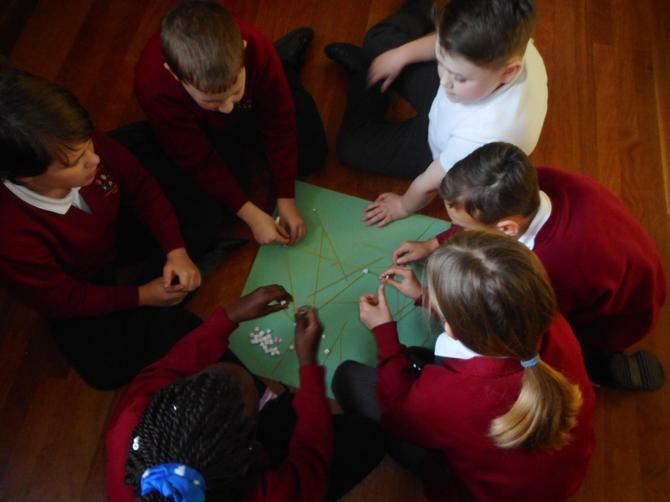 12.02.19 Today, we had an assembly and workshop run by the NSPCC and we discussed what we can do if we are feeling worried about something. 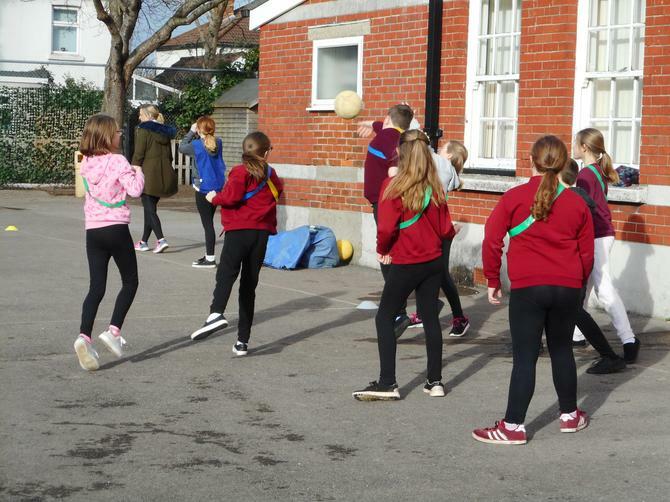 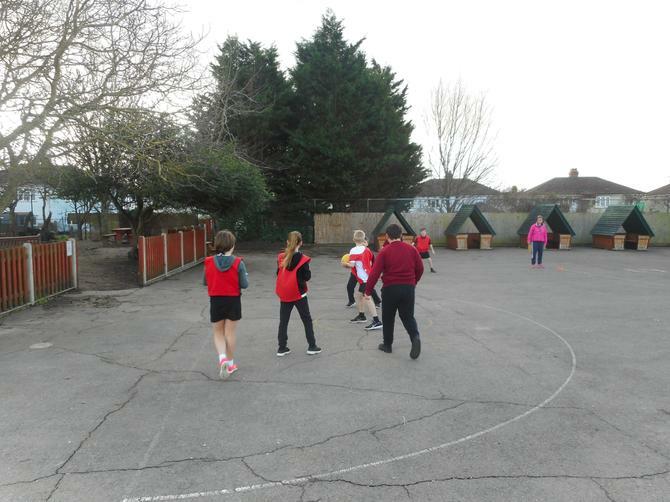 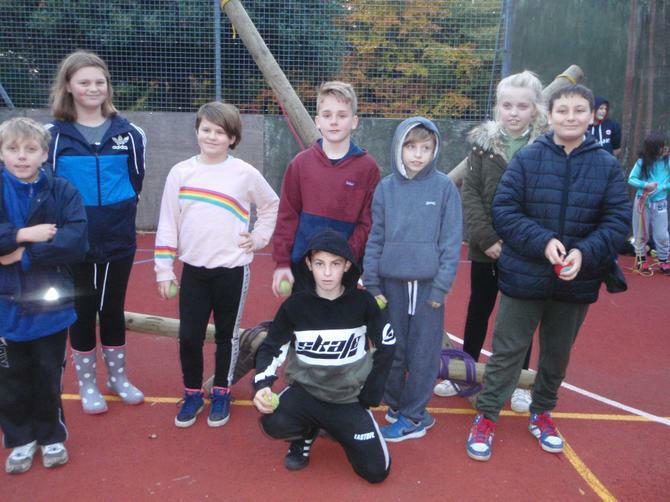 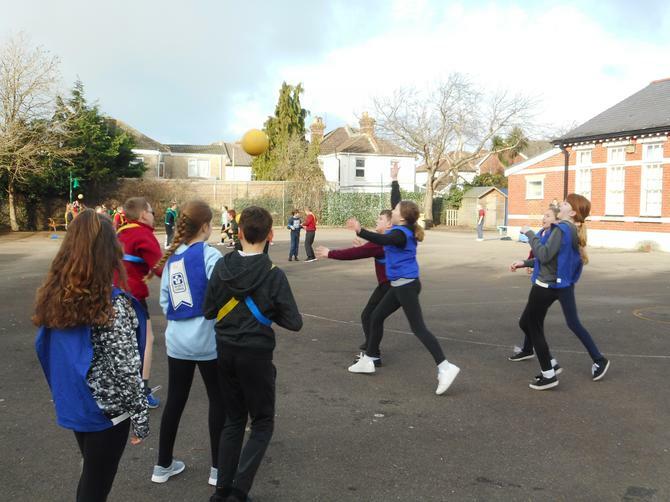 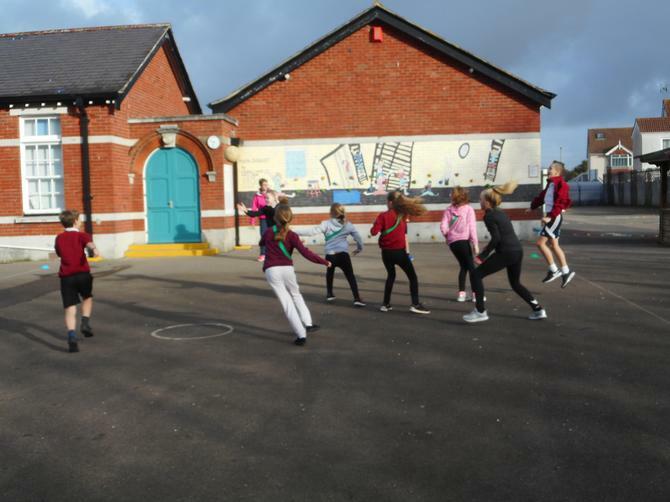 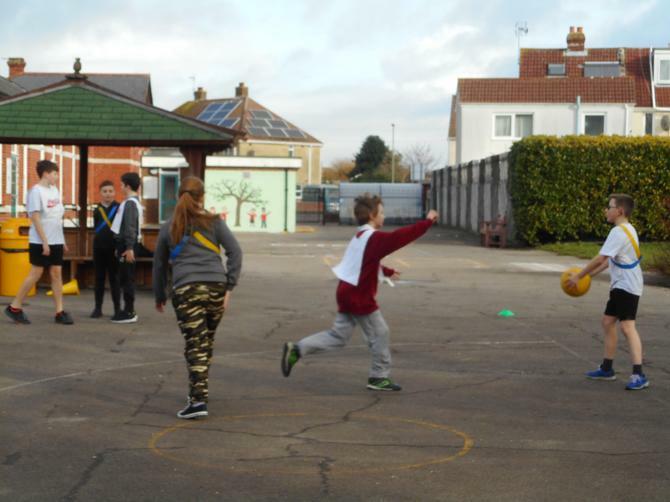 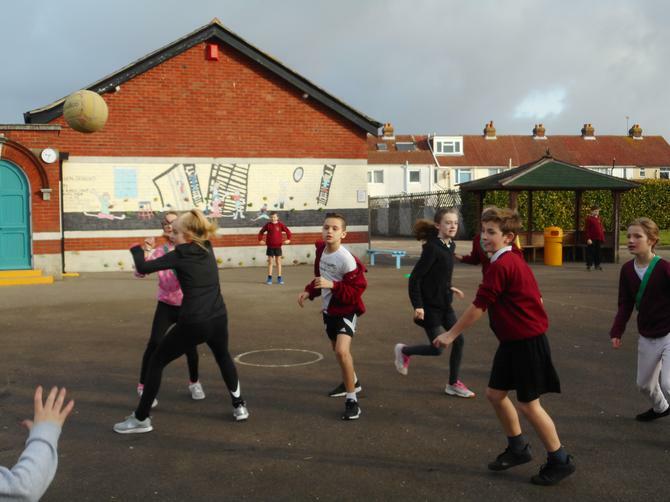 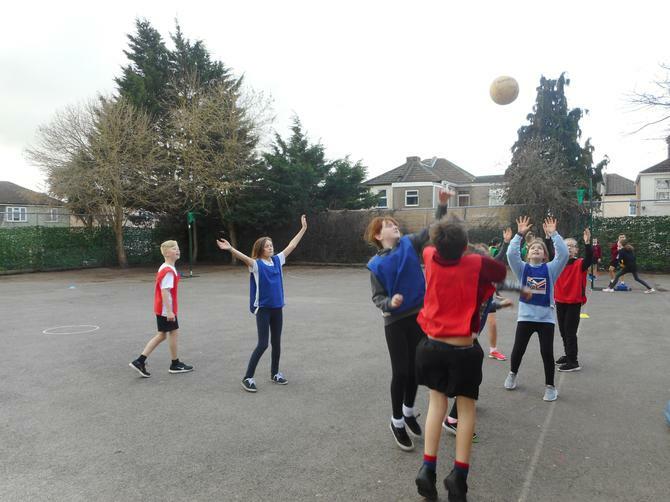 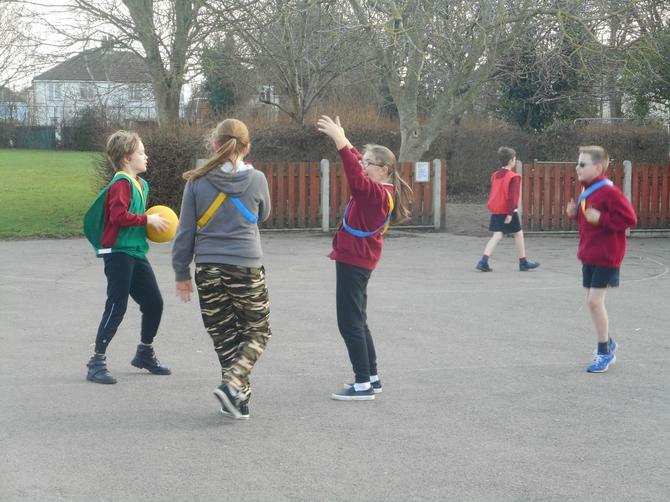 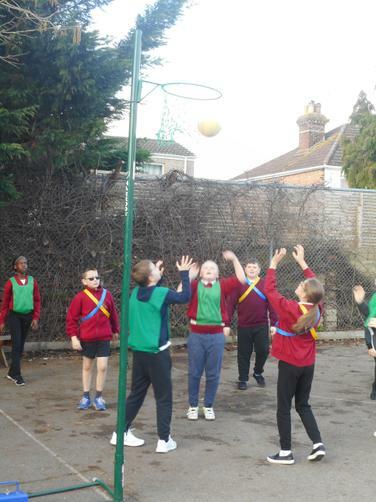 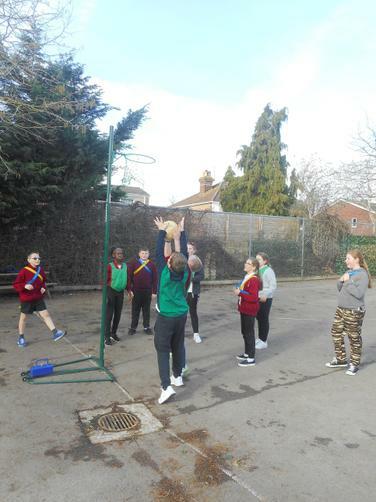 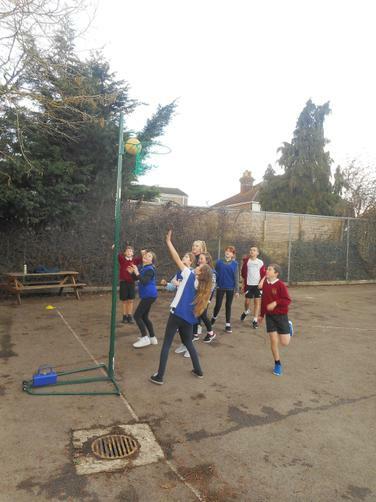 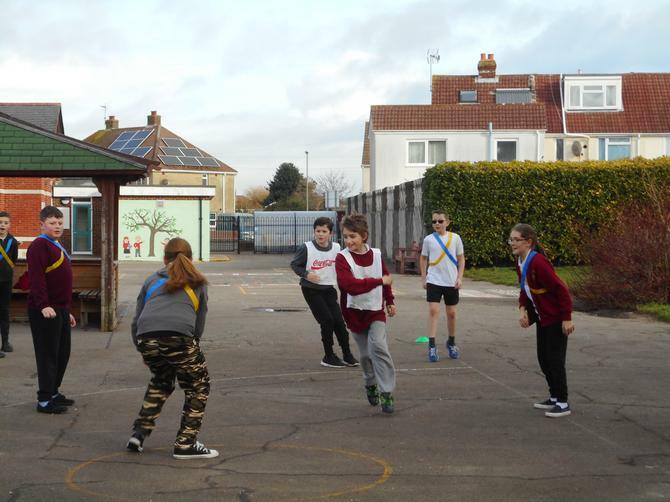 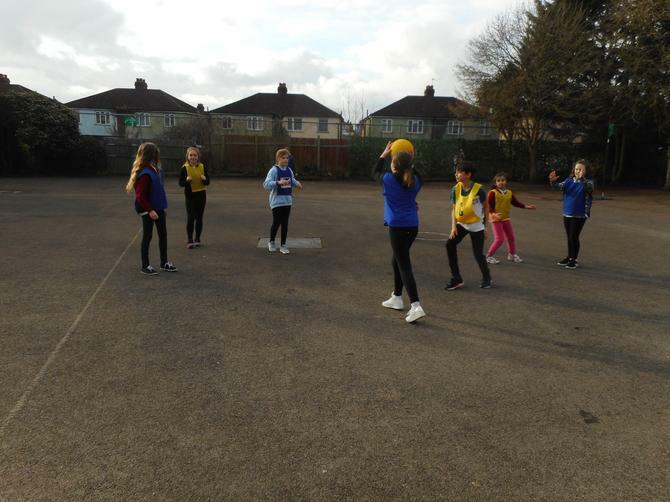 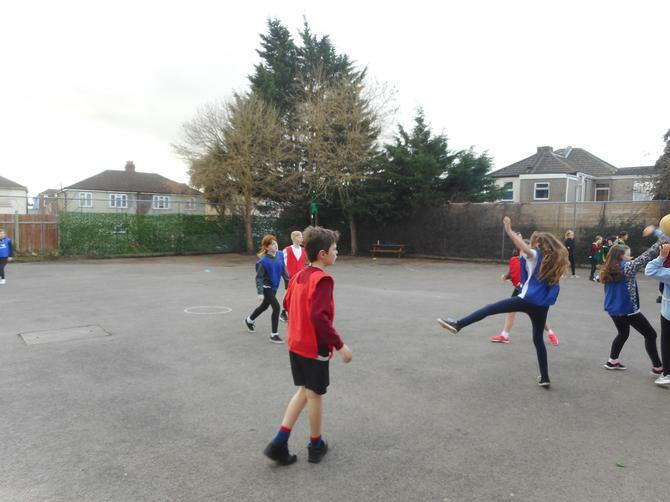 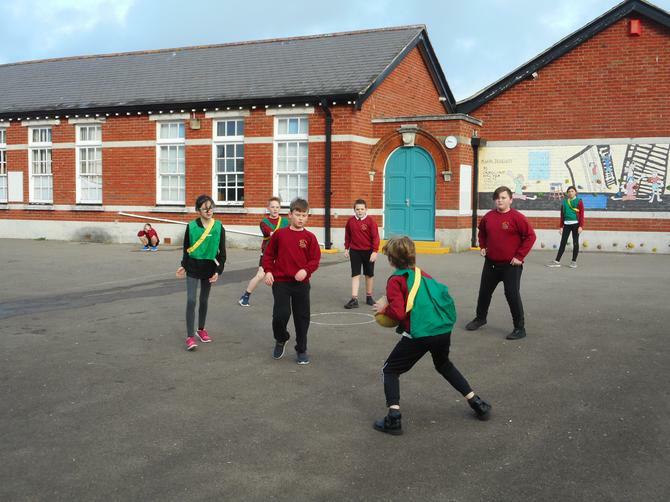 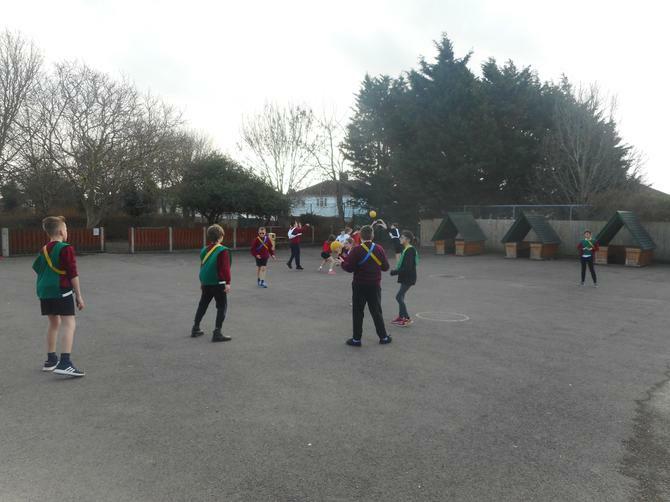 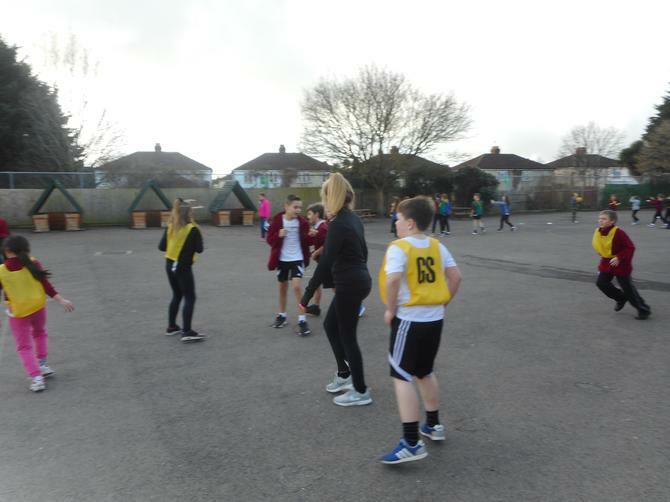 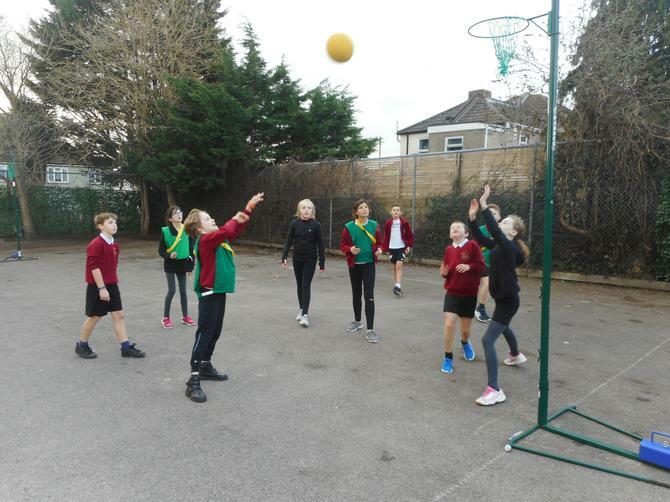 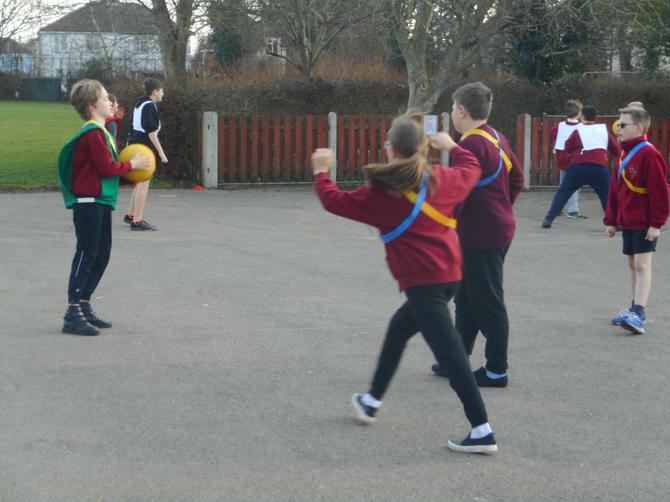 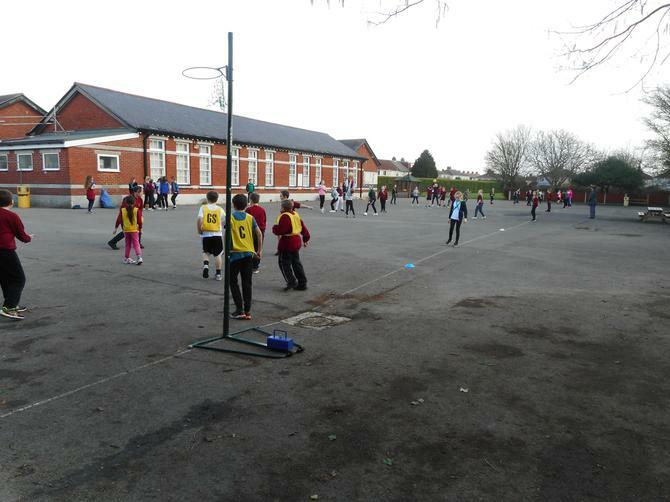 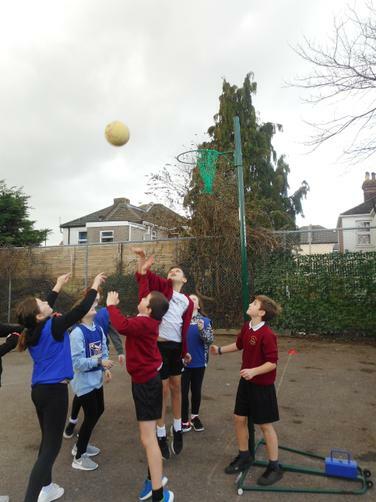 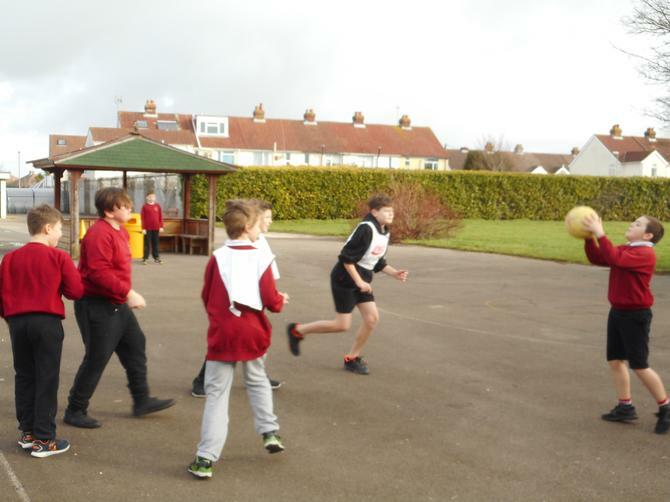 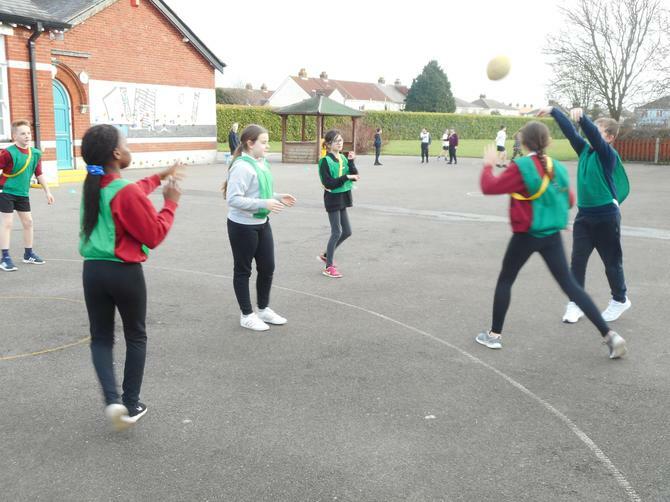 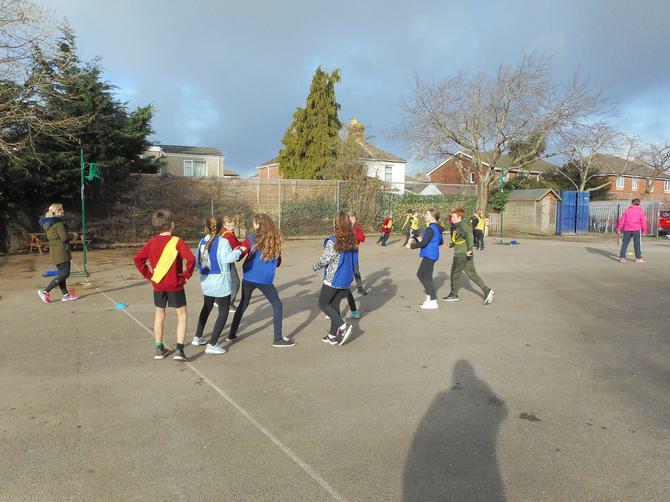 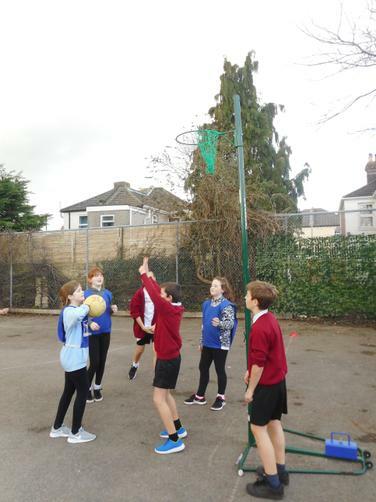 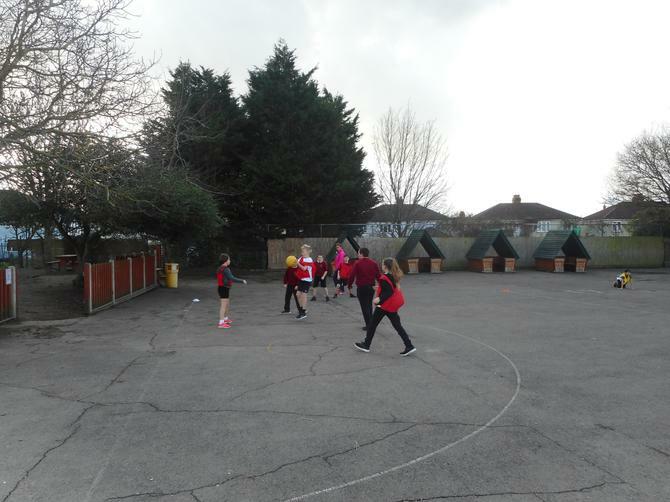 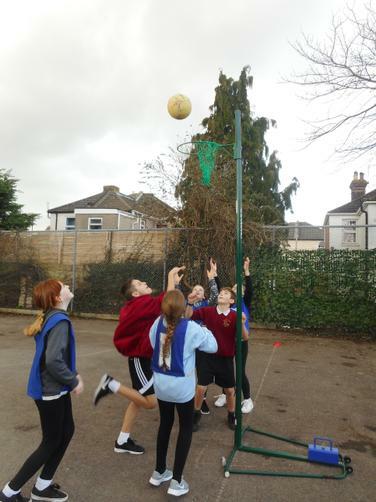 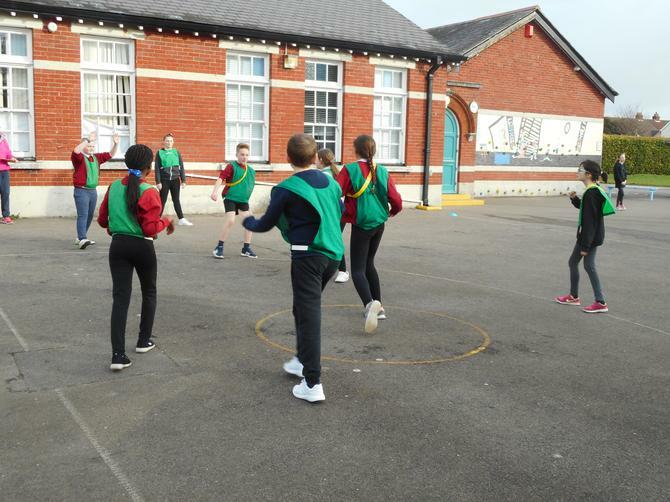 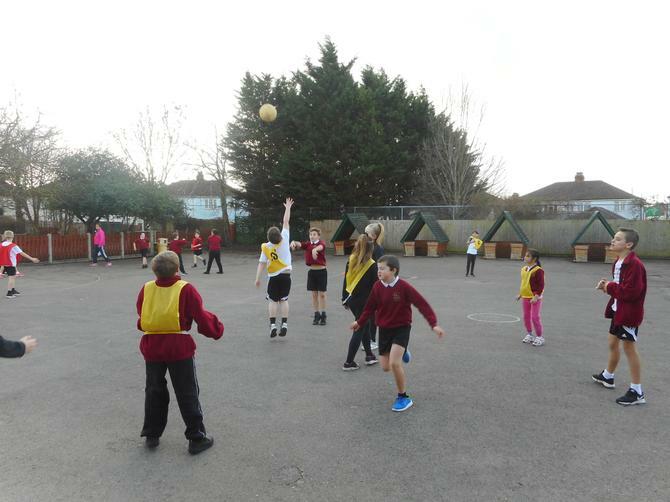 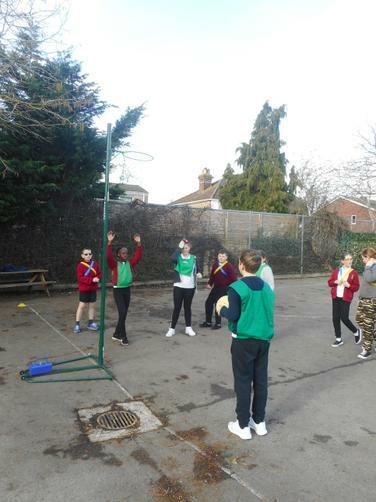 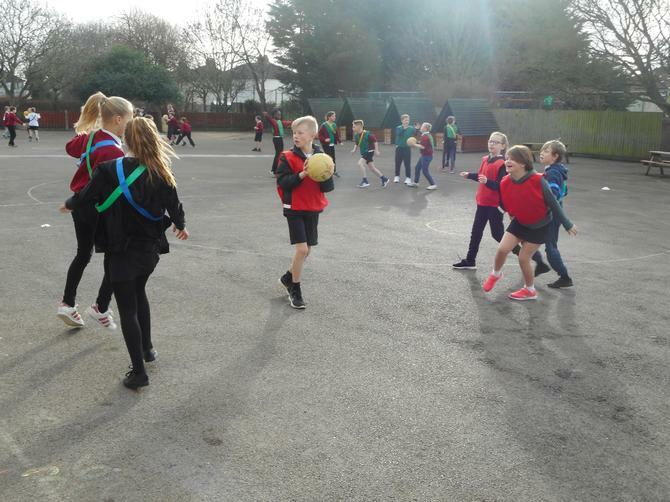 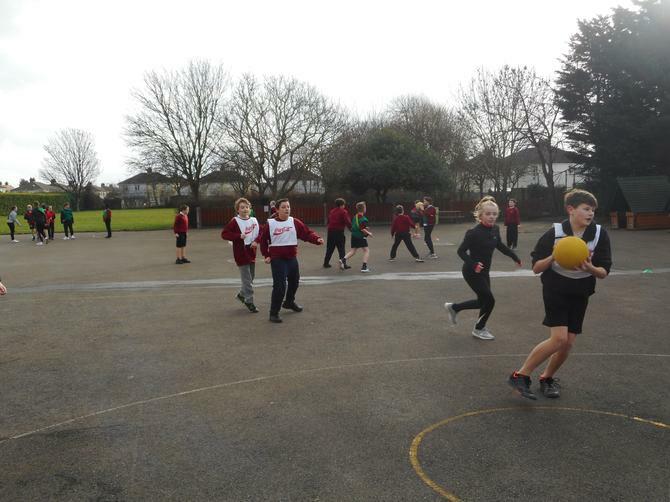 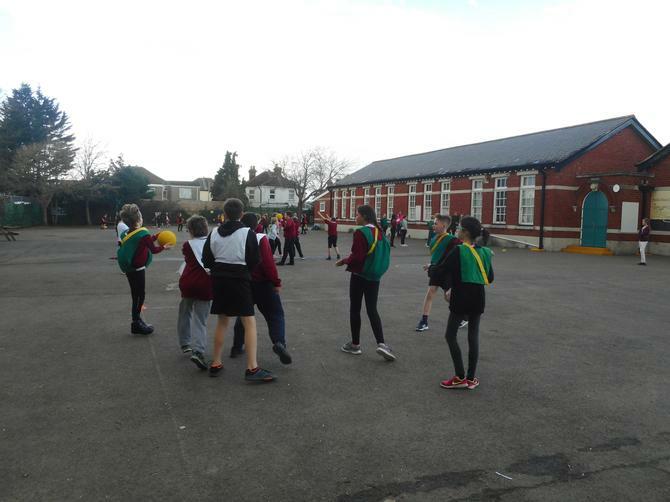 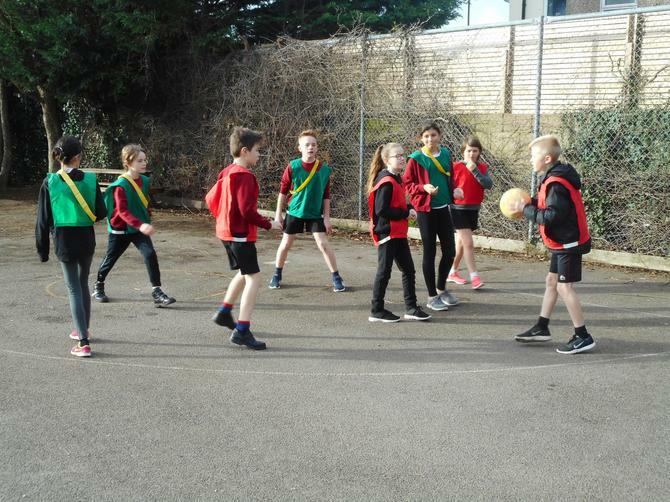 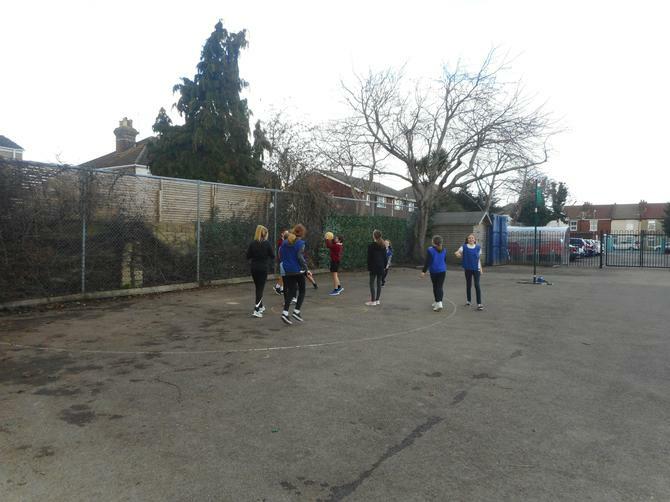 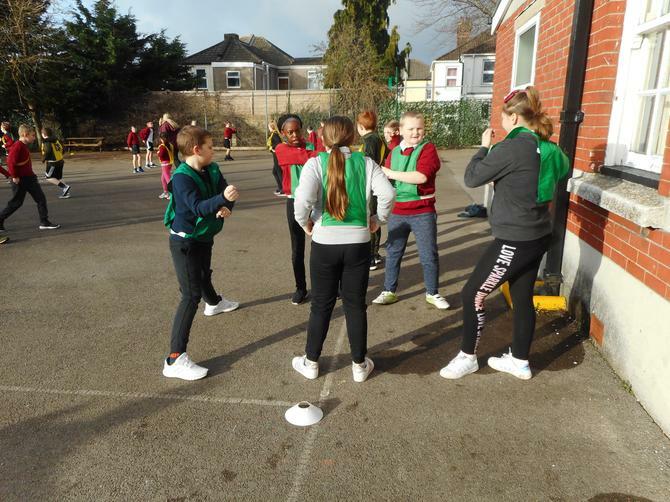 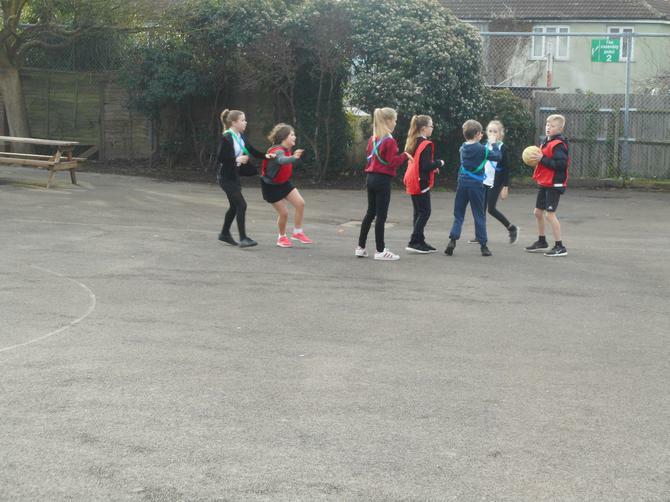 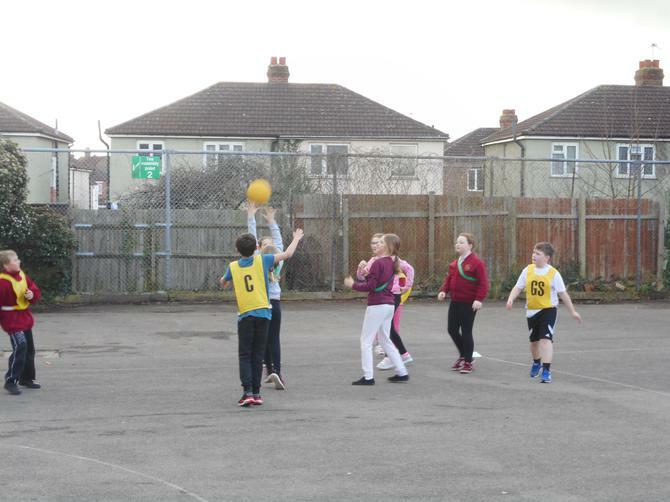 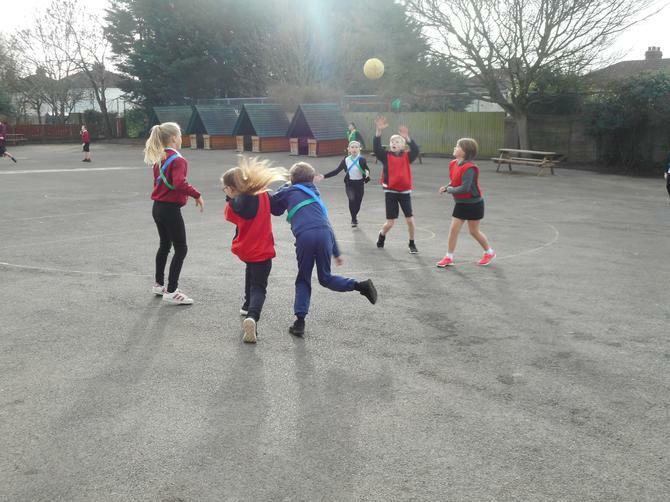 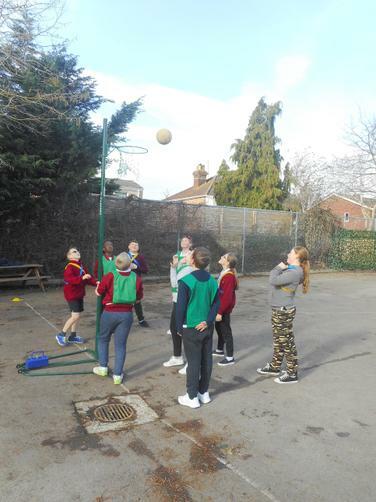 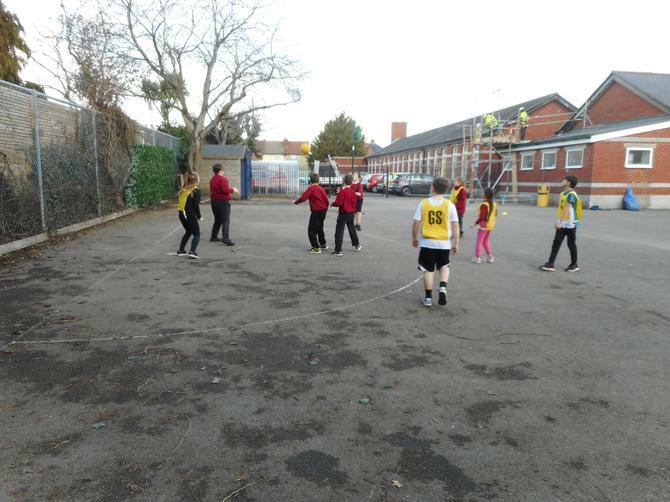 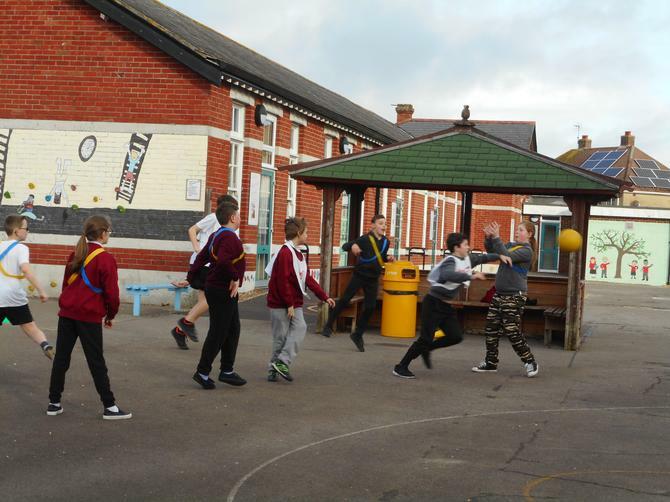 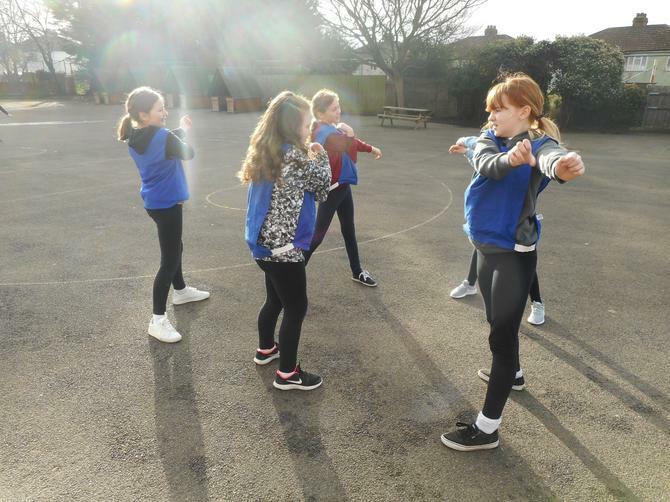 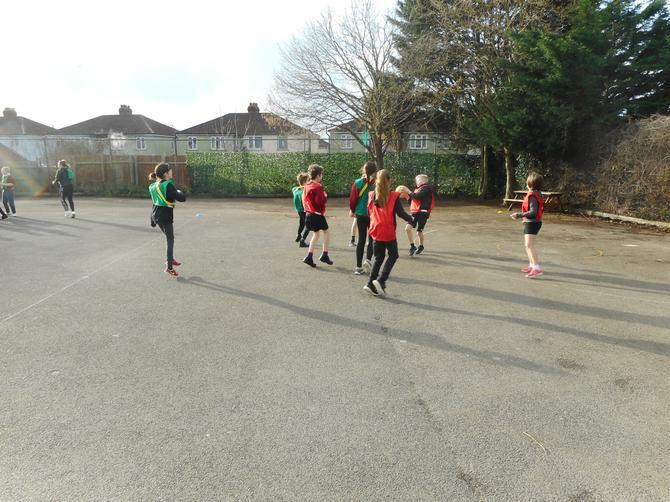 12.2.19 Netball Tournament: Year 6 had a really fun morning playing in a netball tournament. 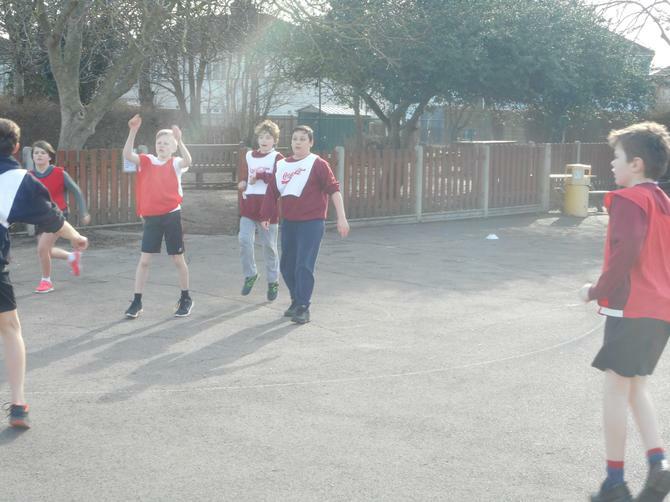 After playing many games, the winning team was announced: Harrison, Sky, Ryan, Finn & Aden. 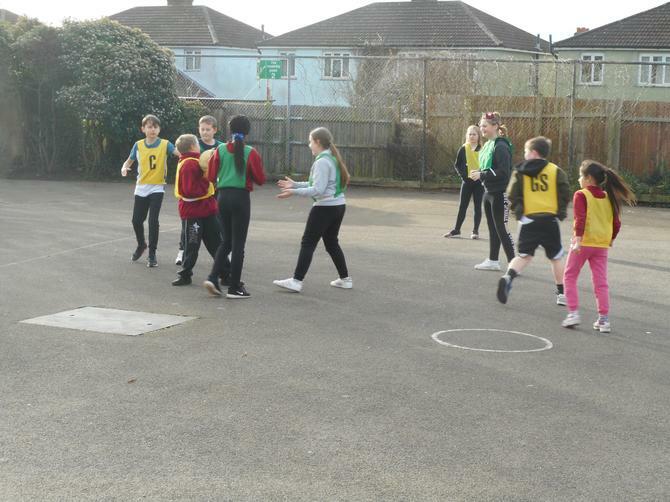 Well done to everyone for playing with such enthusiasm and fair play. 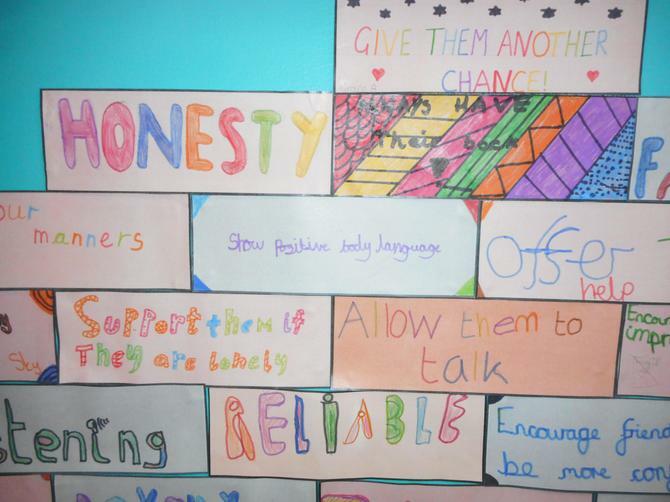 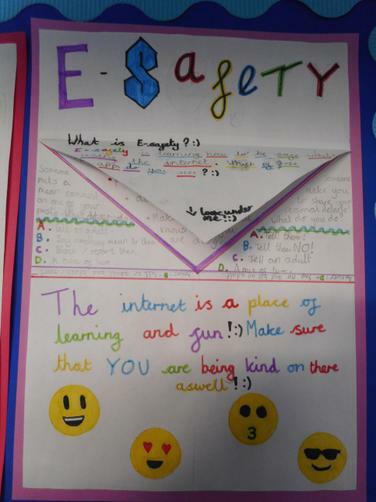 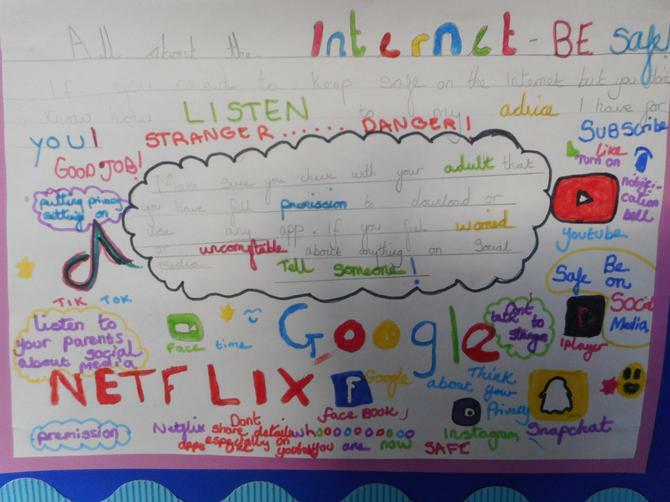 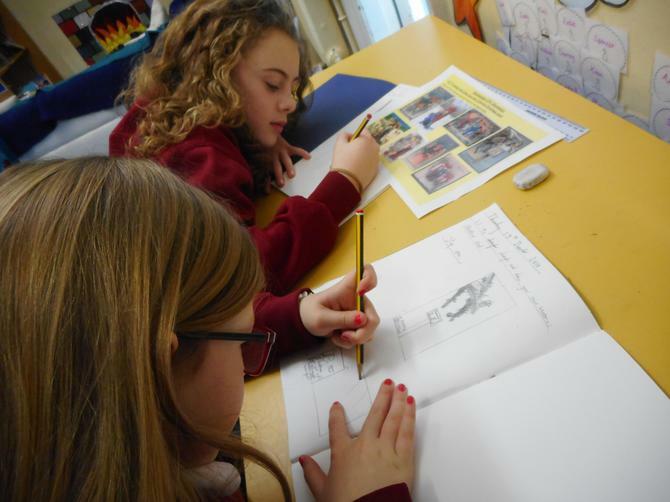 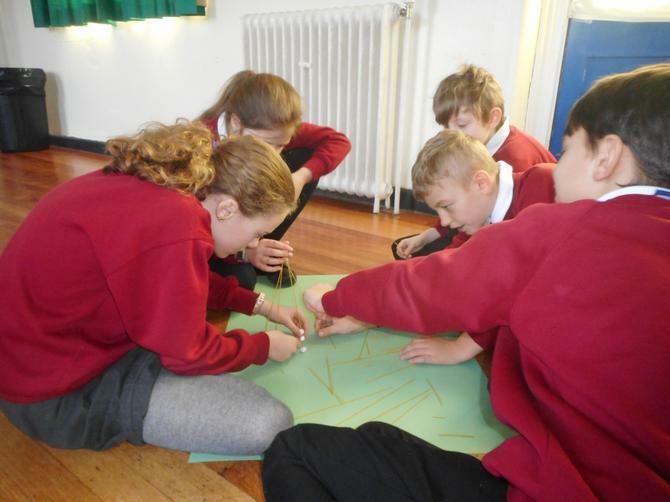 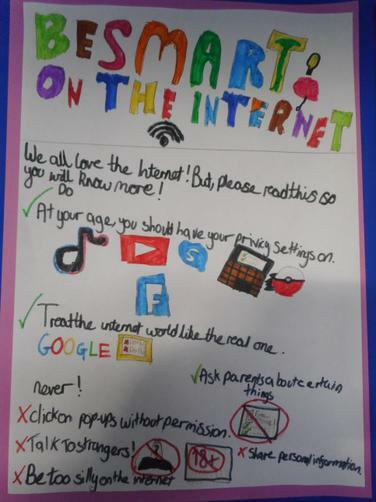 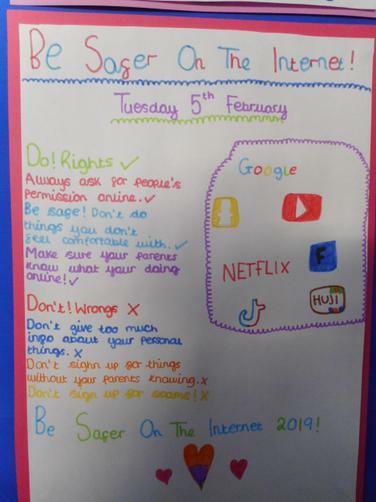 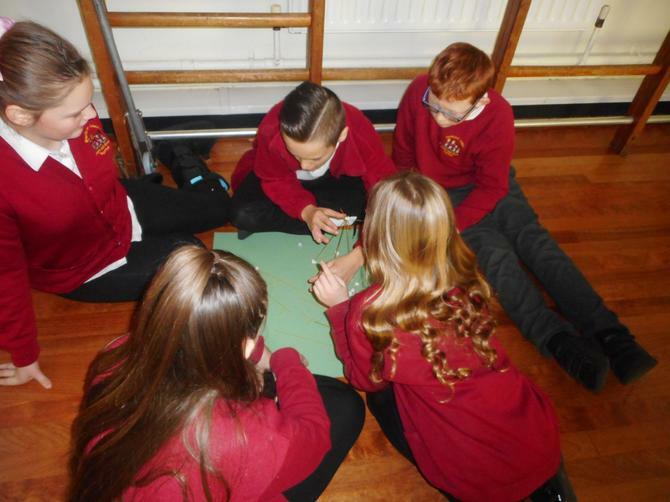 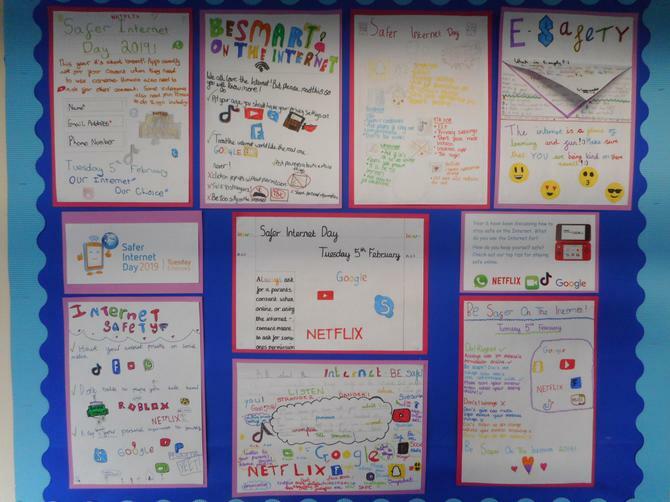 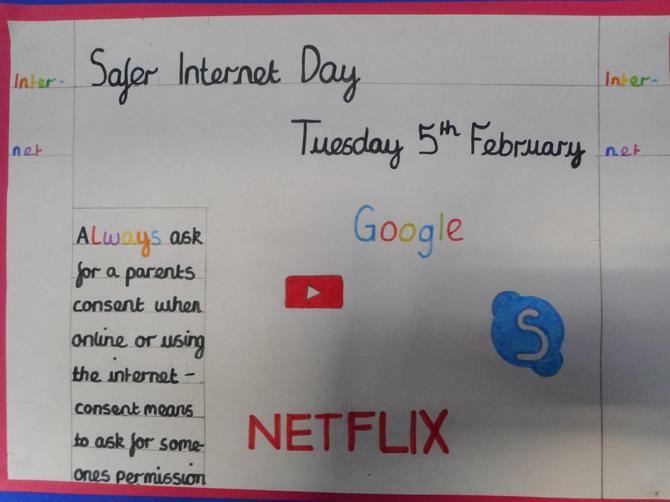 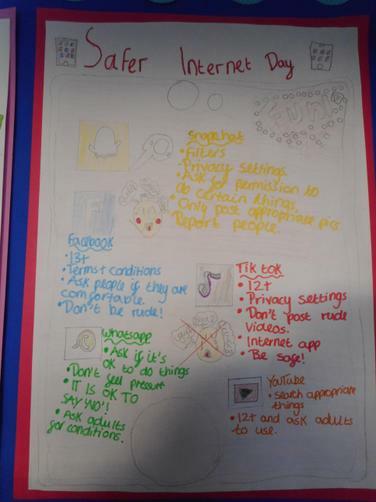 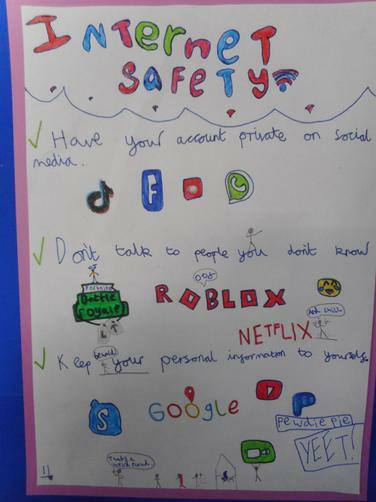 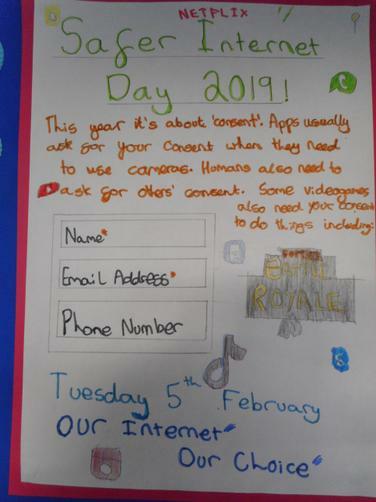 5.2.19 Safer Internet Day: To raise awareness Year 6 discussed how to keep safe on the Internet. 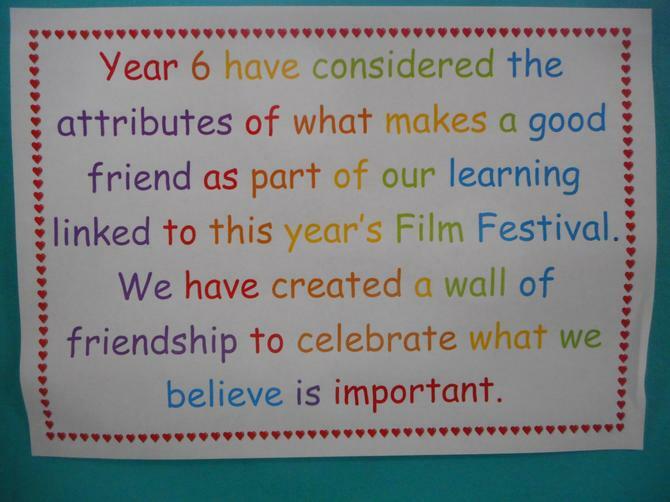 We produced fantastic posters to share what we know. 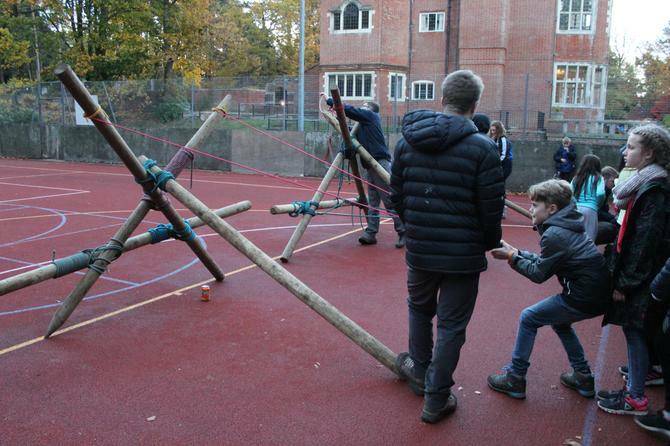 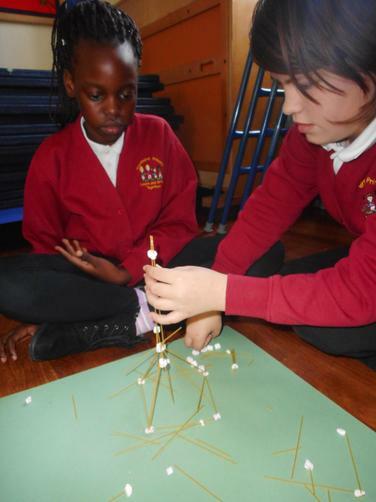 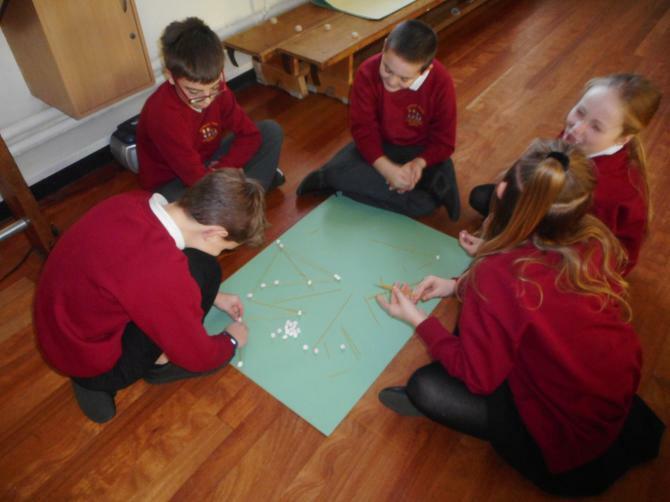 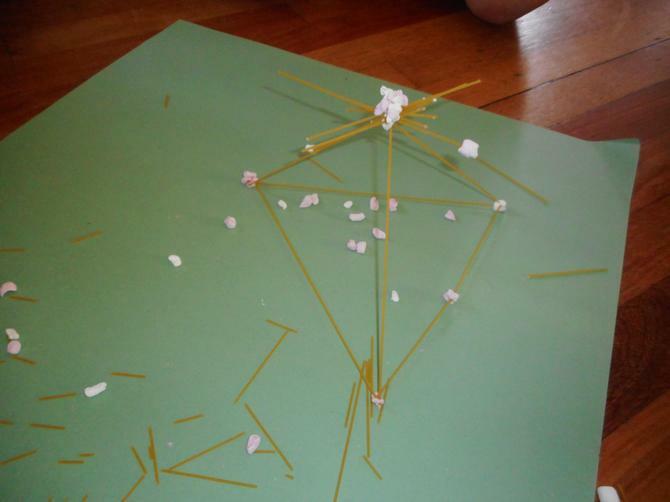 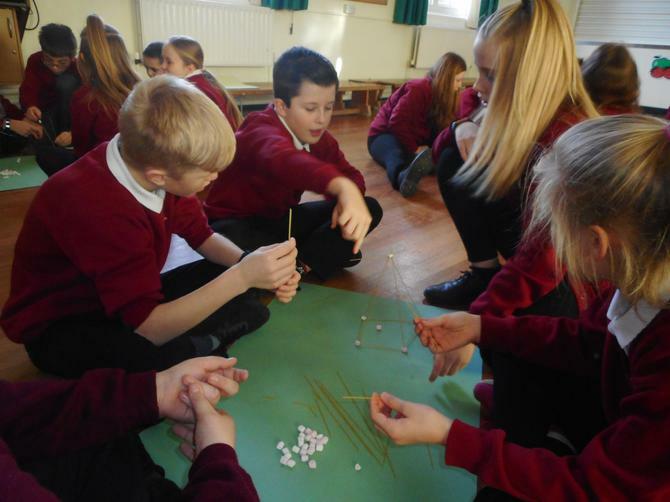 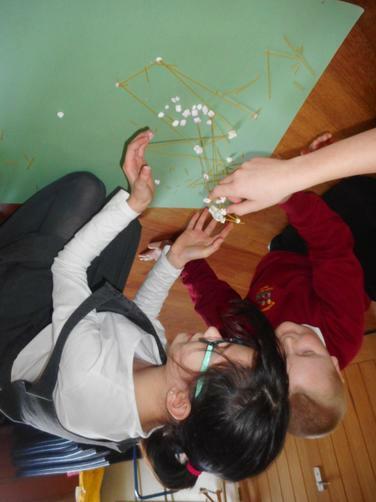 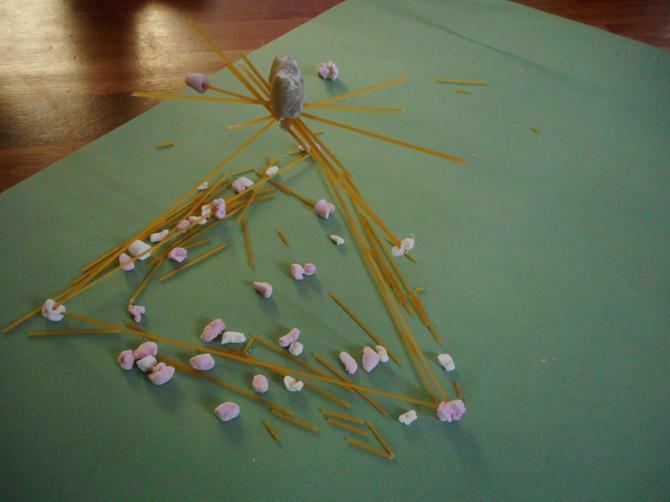 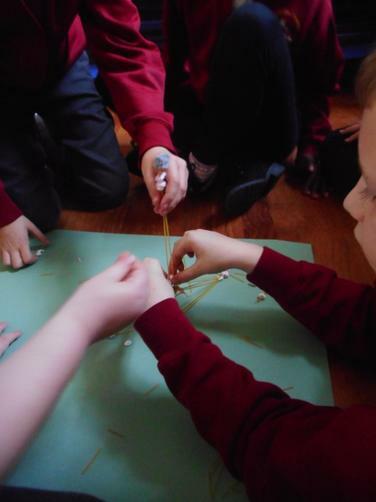 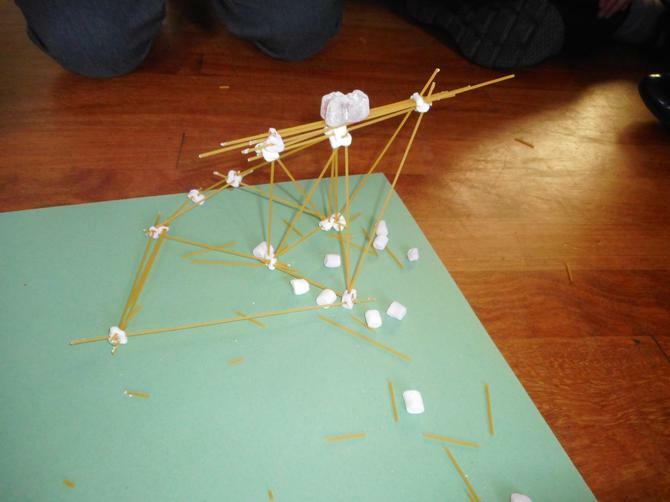 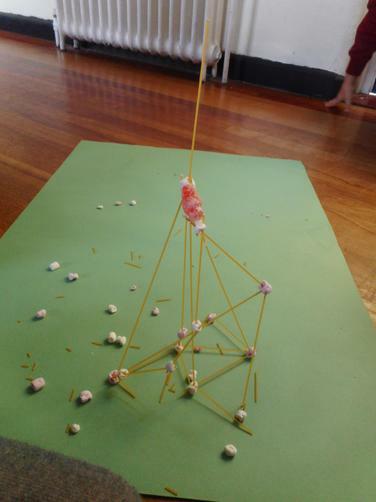 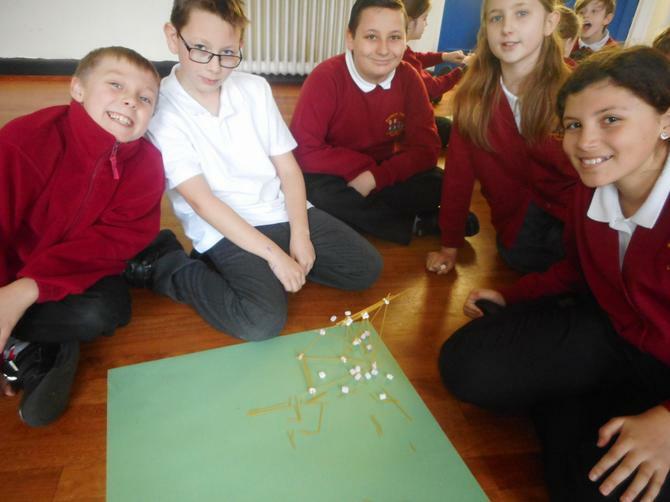 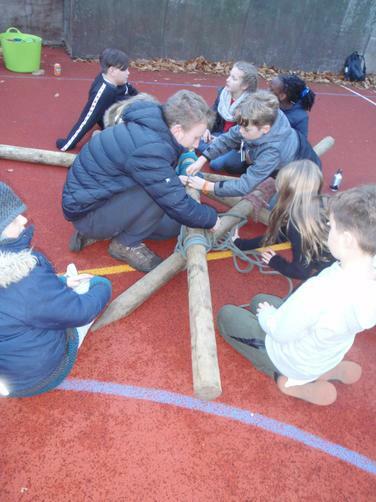 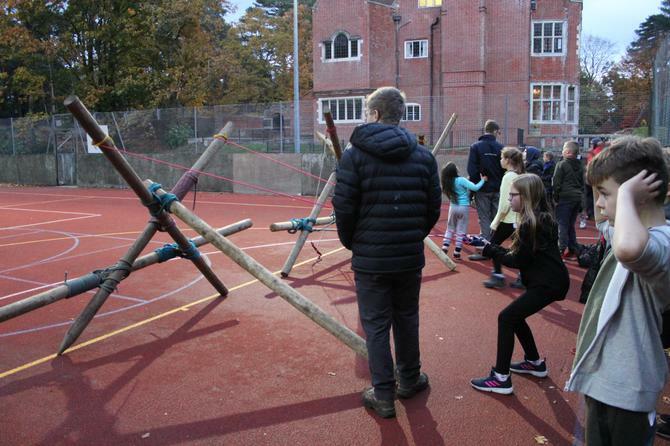 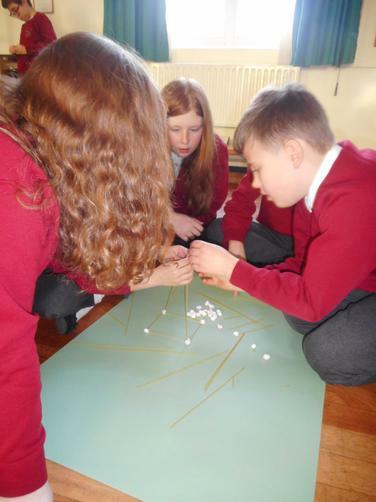 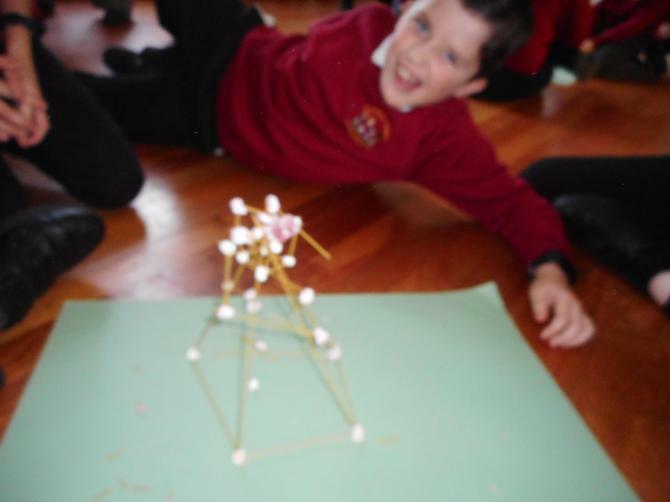 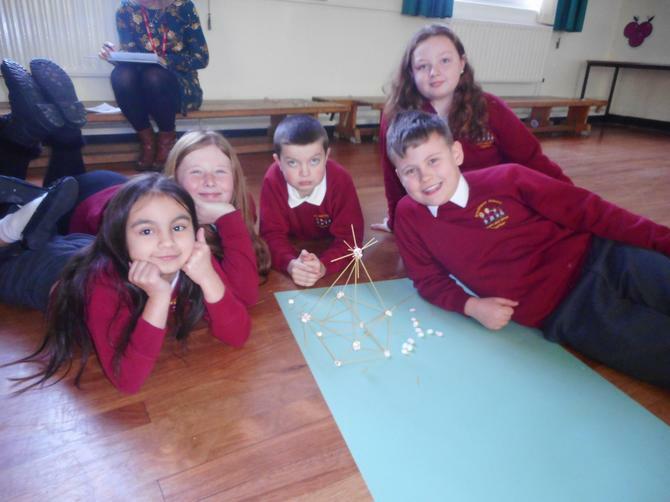 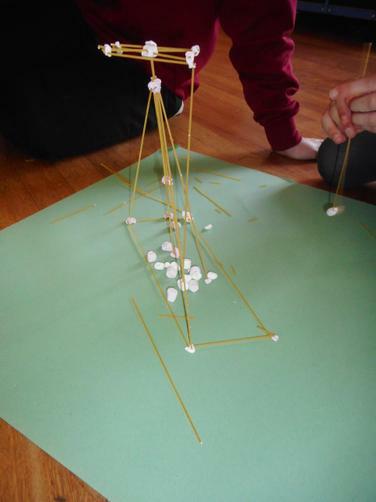 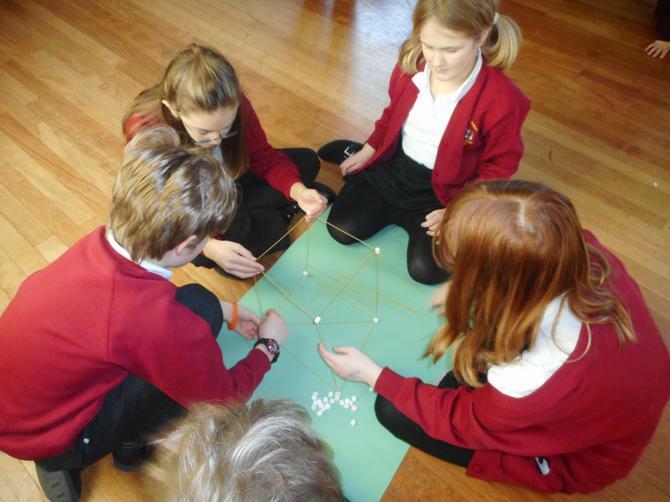 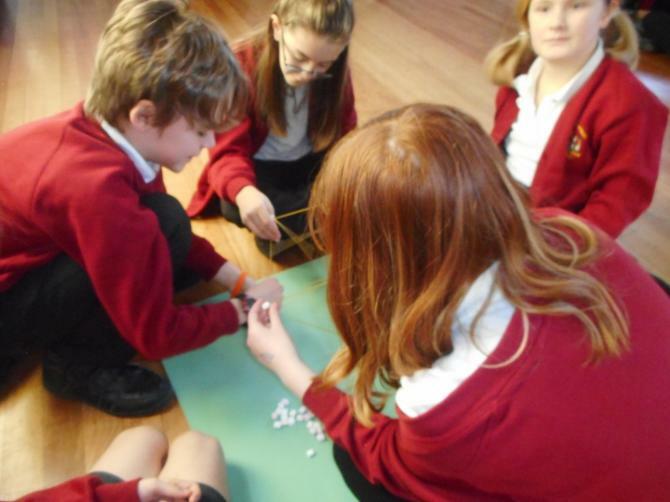 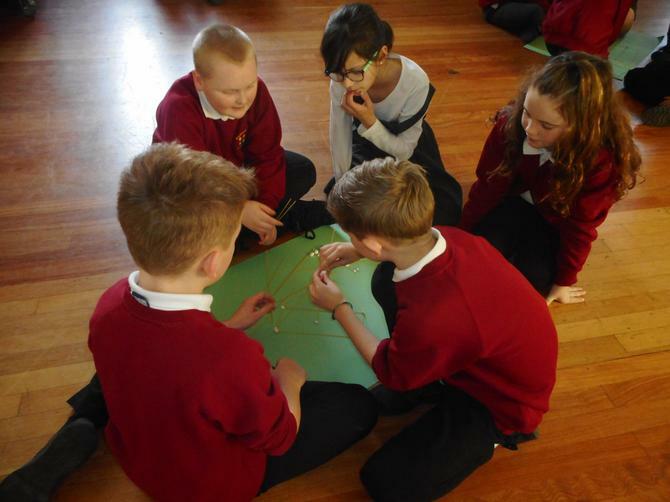 18.1.19 Resilience: Today Year 6 challenged themselves to build the highest possible structure made out of spaghetti and marshmallows! 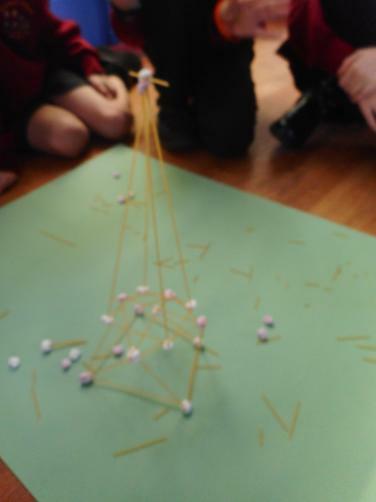 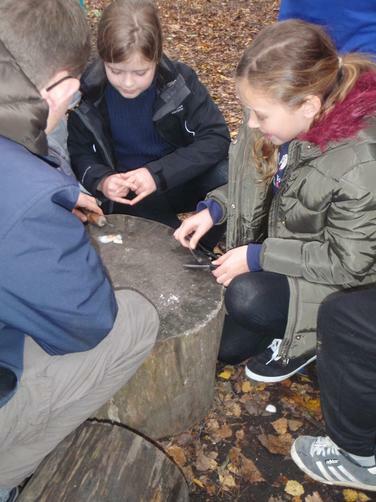 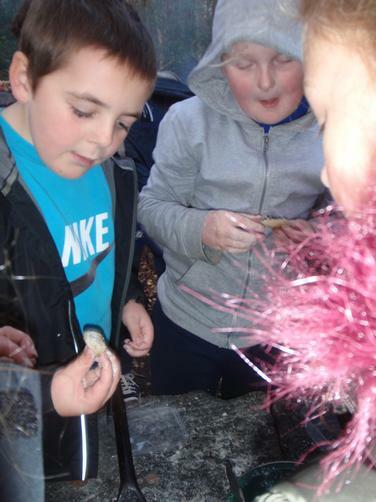 After they had finished, they had to see if it was strong enough to balance a jelly baby on. 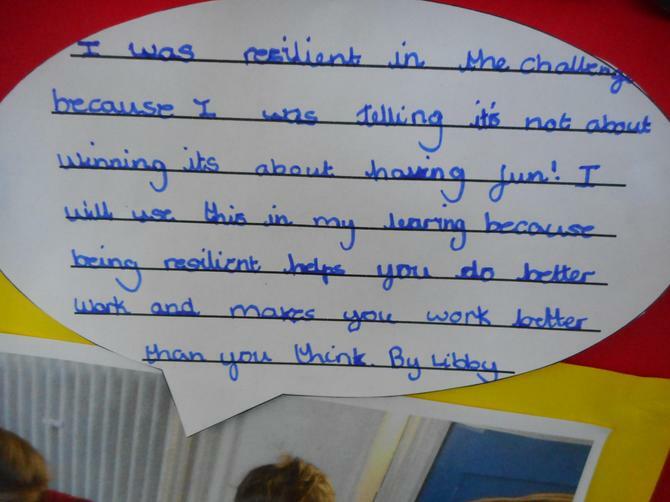 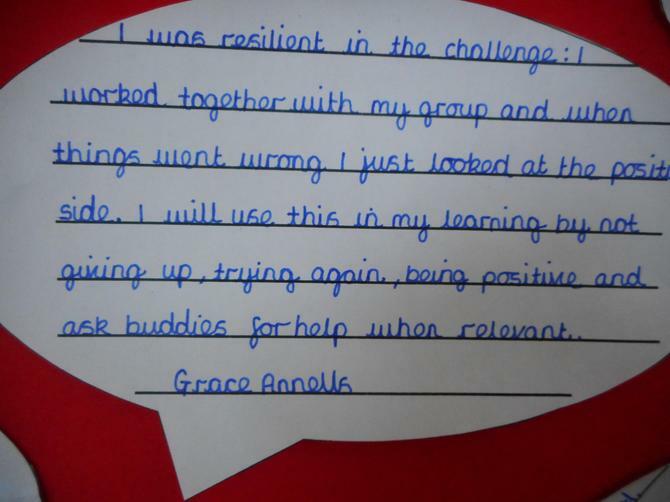 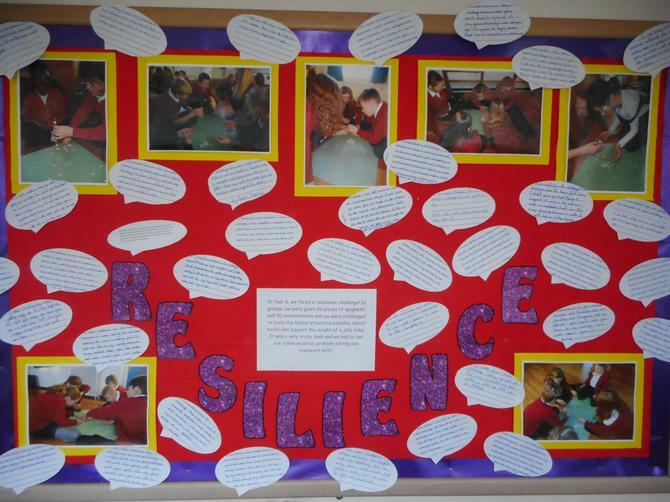 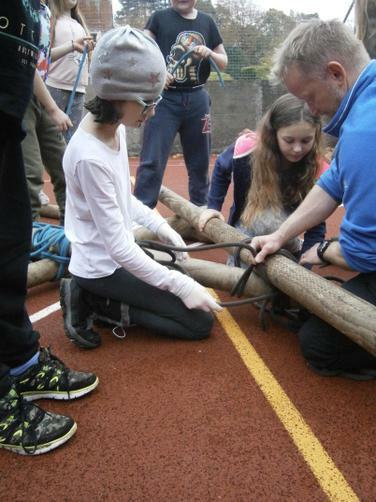 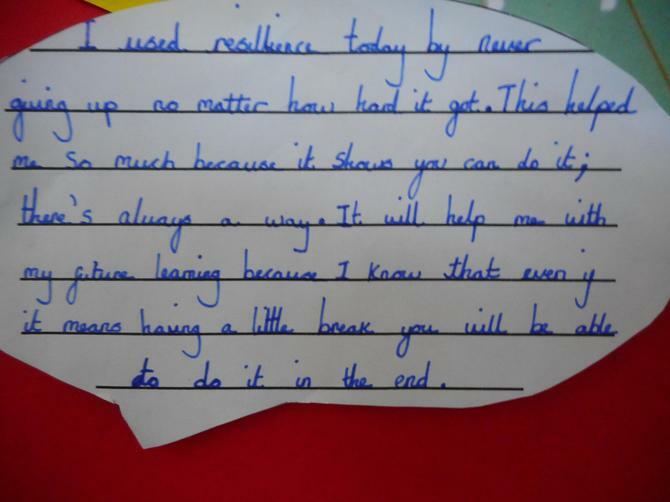 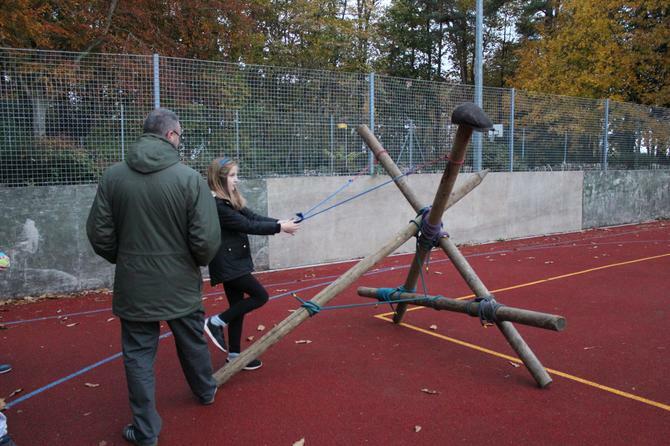 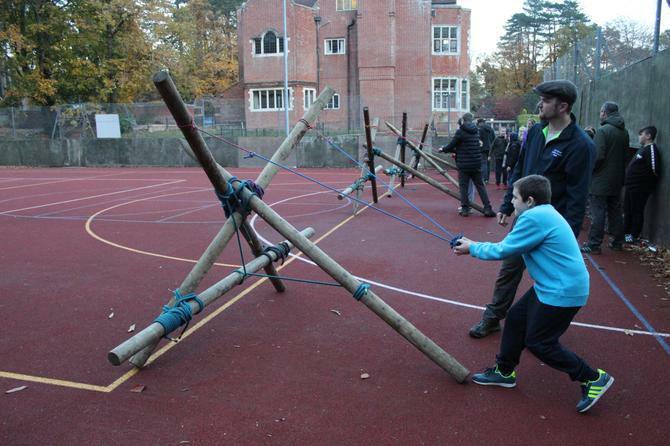 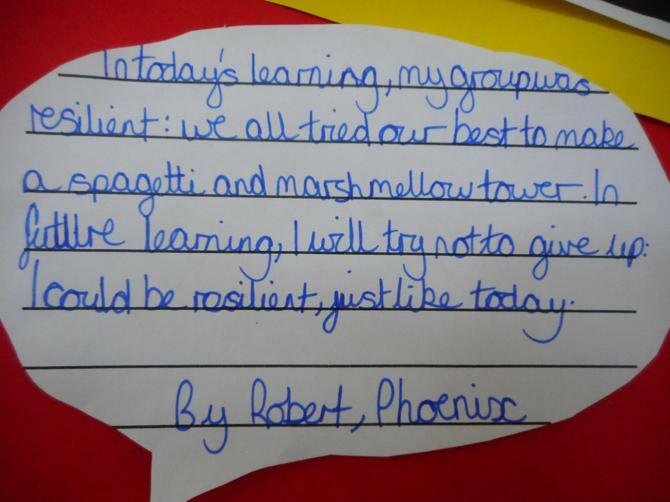 This activity has helped us to realise that when things get tricky, we need to learn to be more resilient! 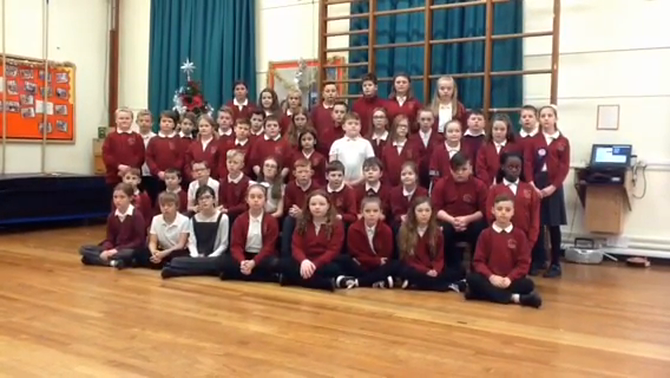 21.12.18 Here is our version of the song 'How Many Kings'- it was beautiful when the children sang it at the church today. 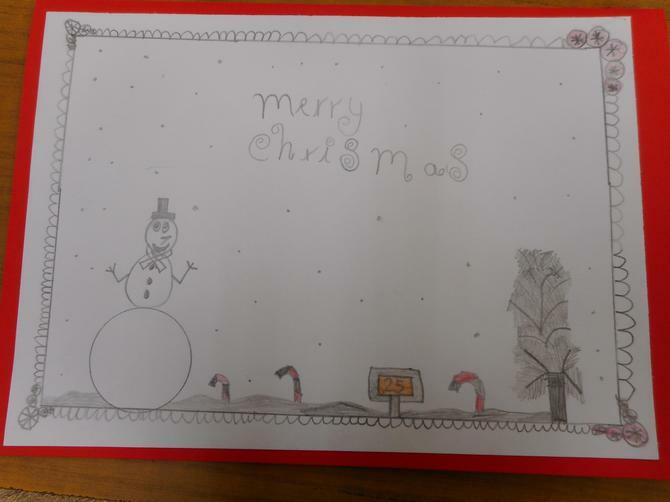 14.12.18 Here are our finished Victorian Christmas cards. 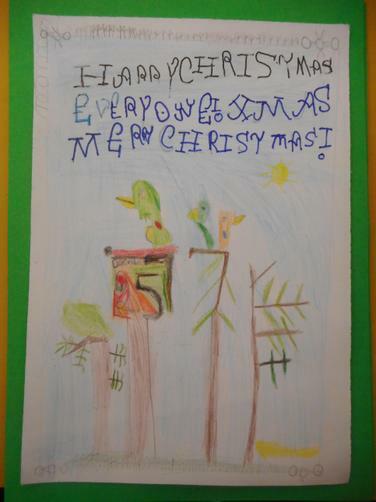 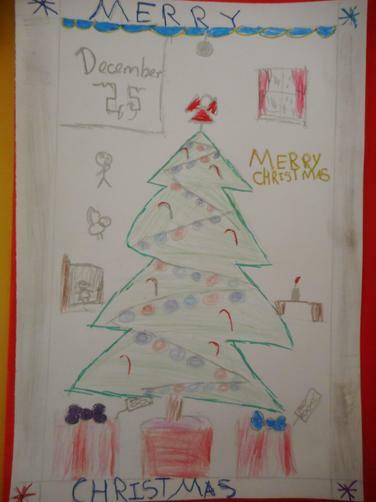 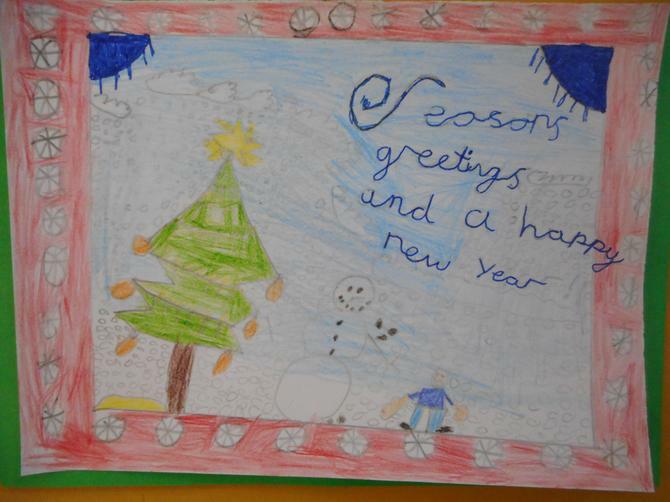 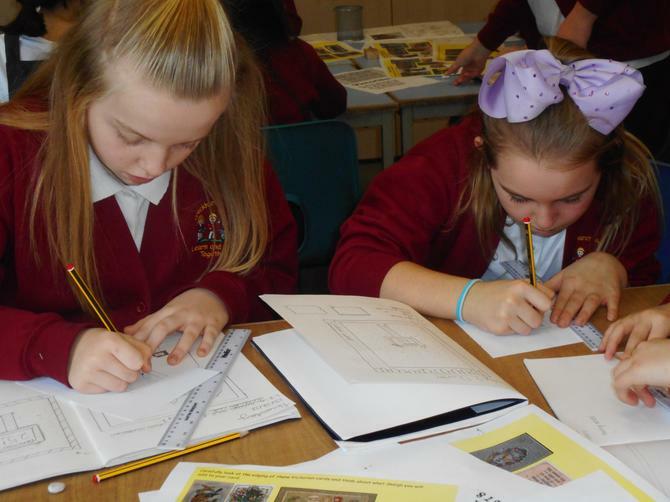 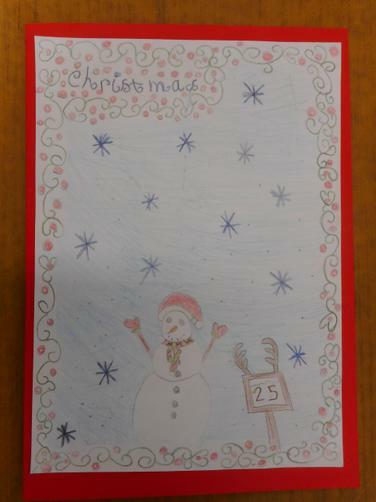 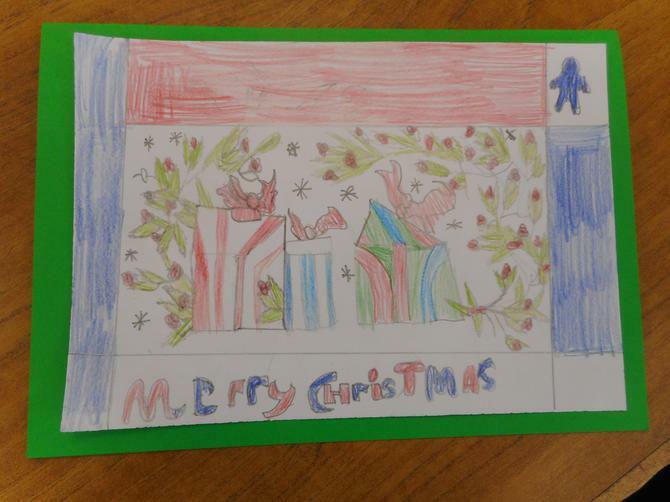 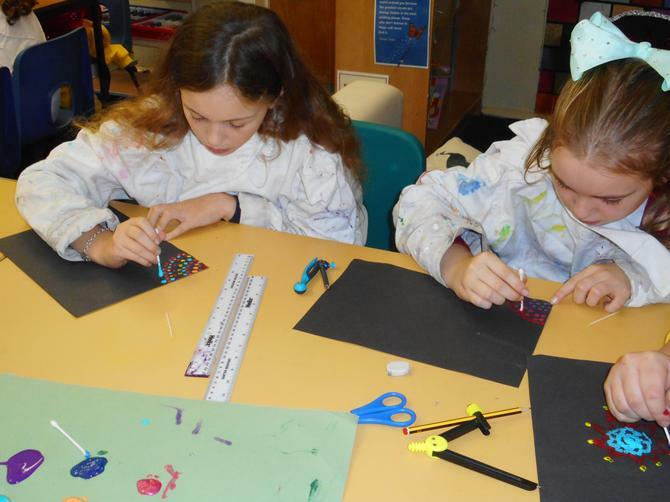 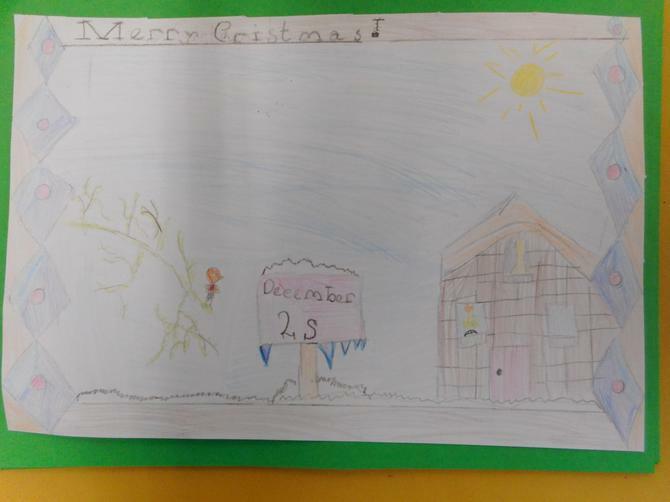 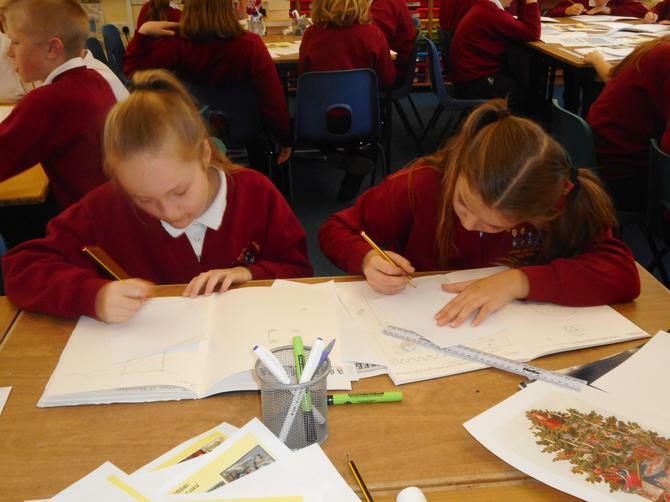 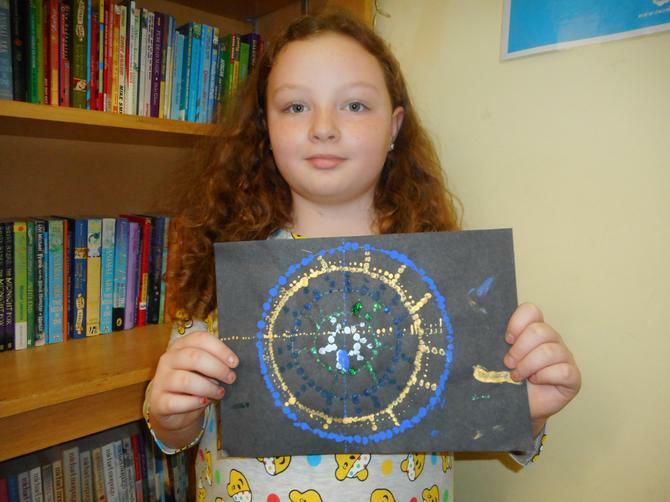 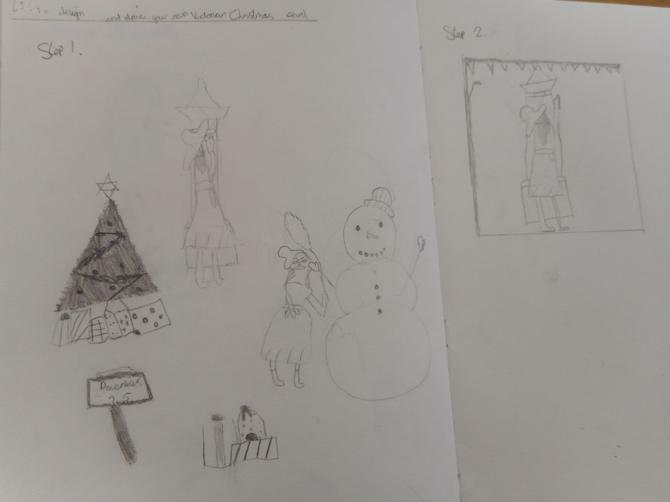 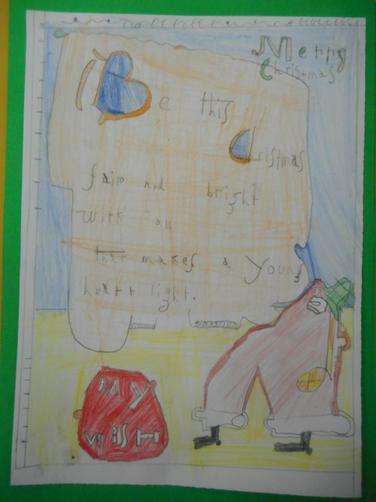 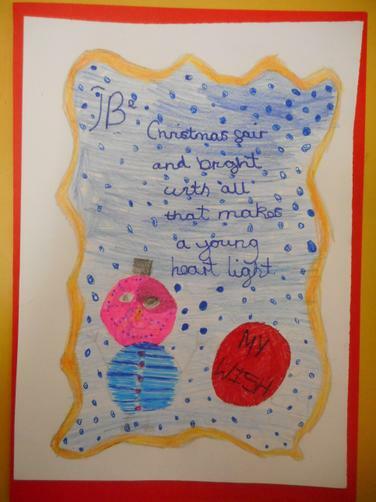 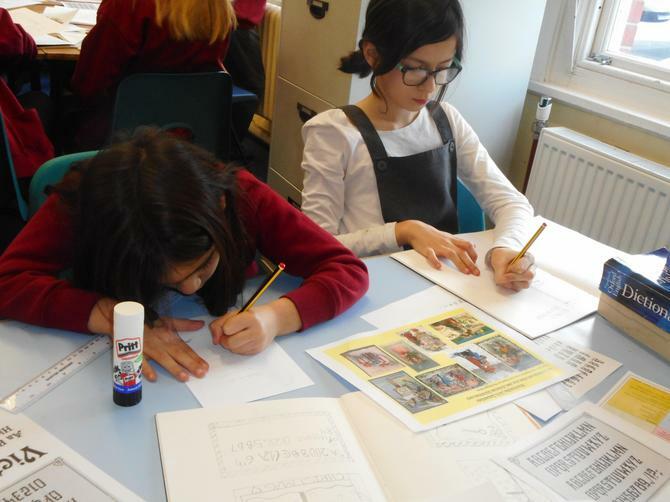 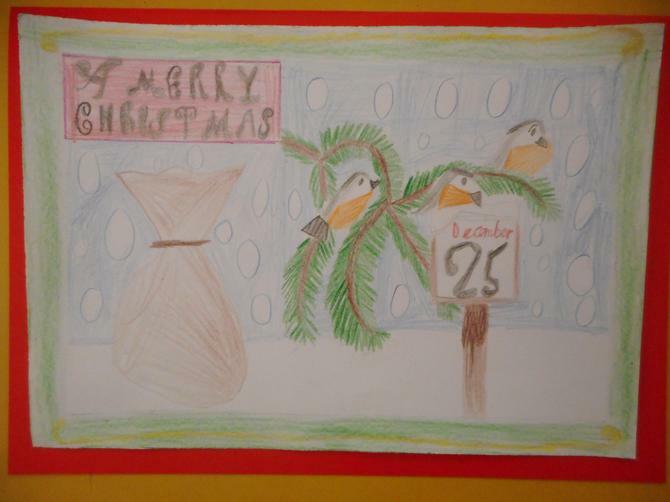 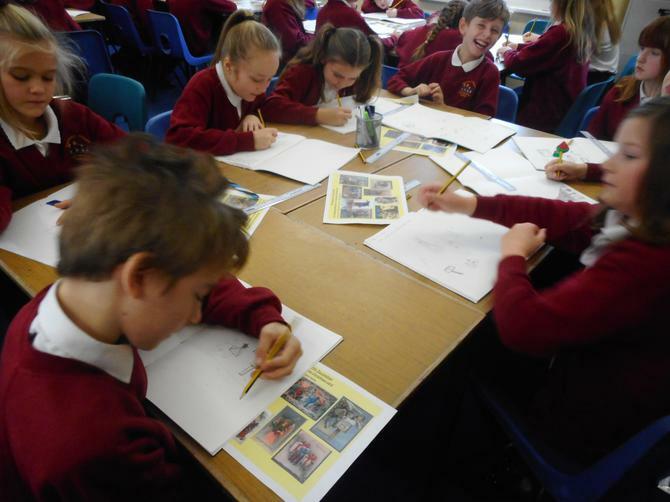 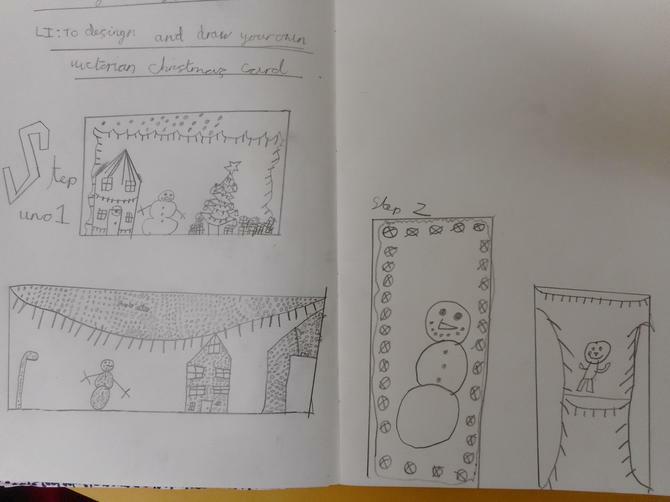 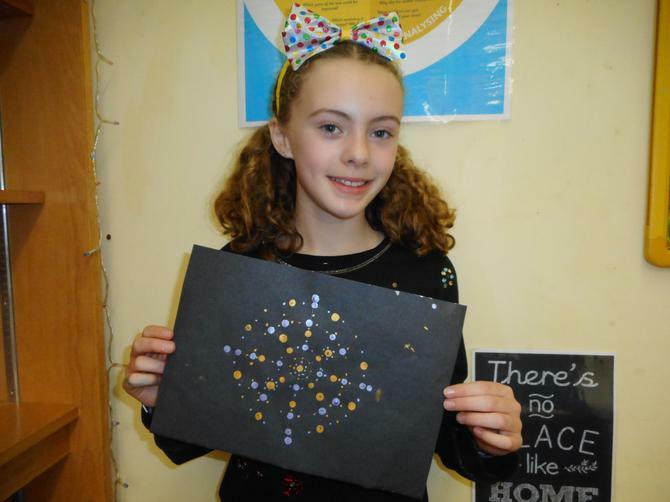 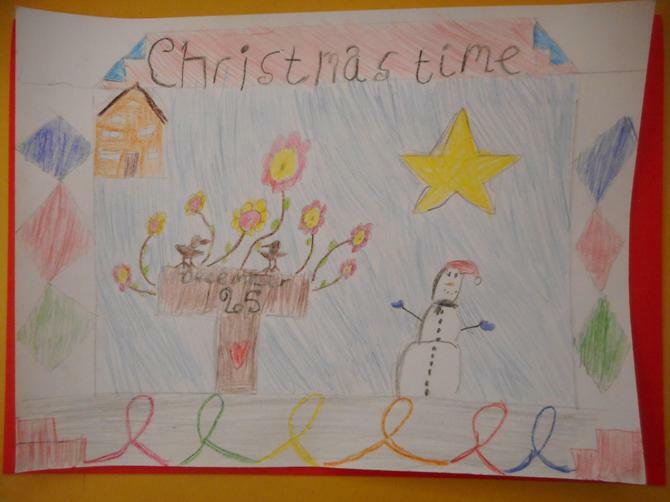 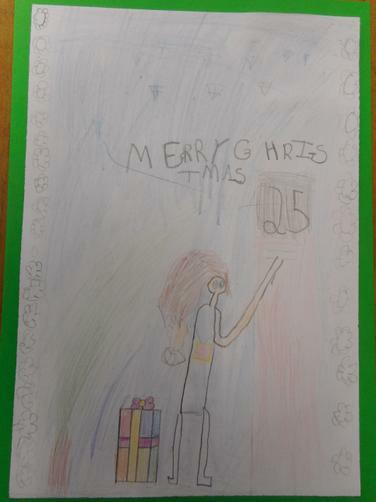 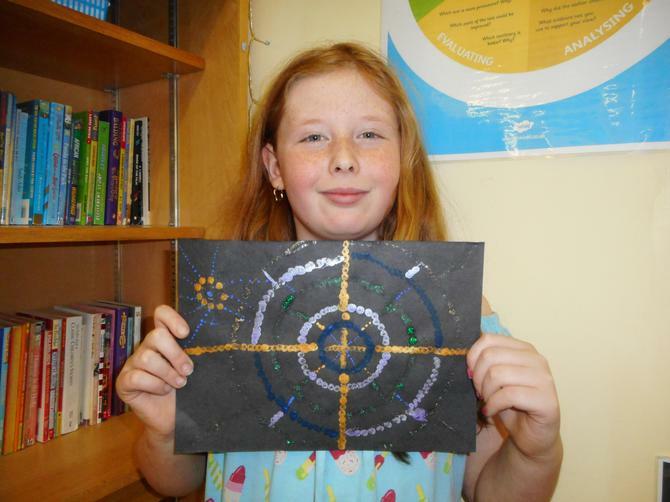 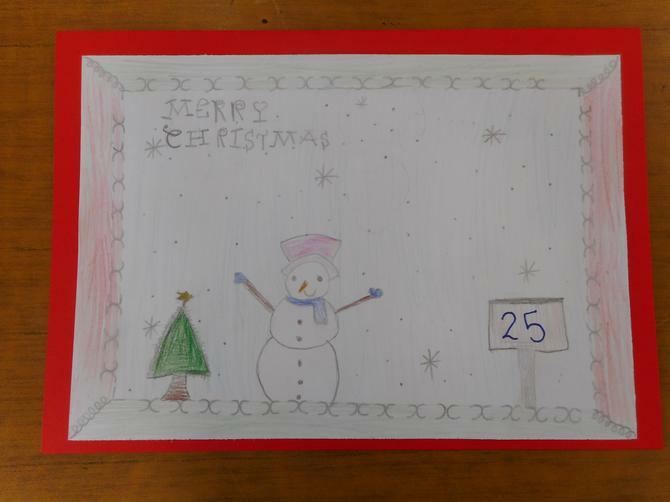 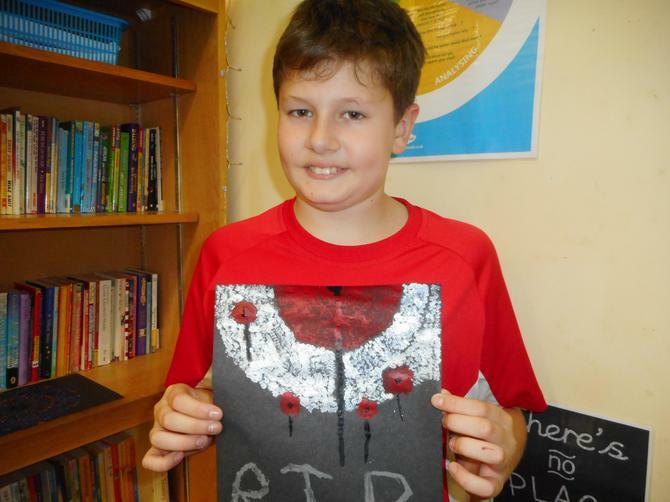 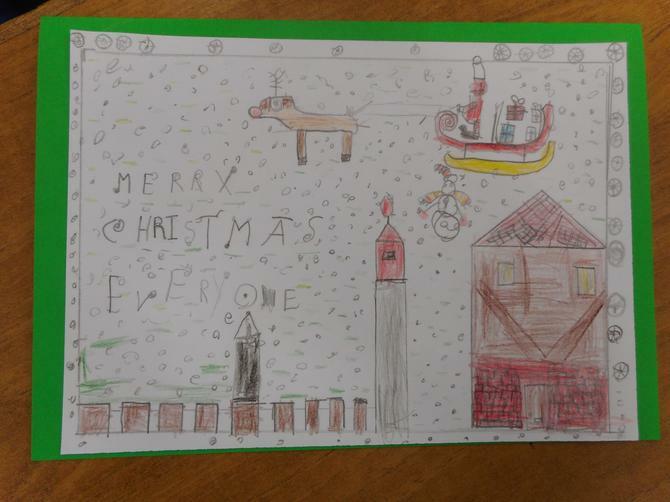 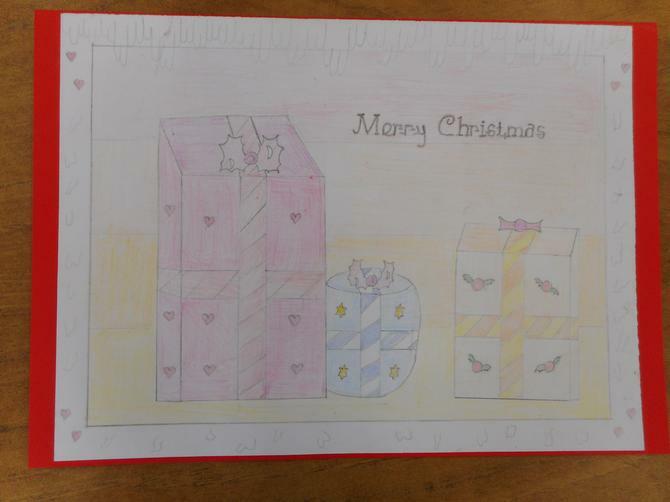 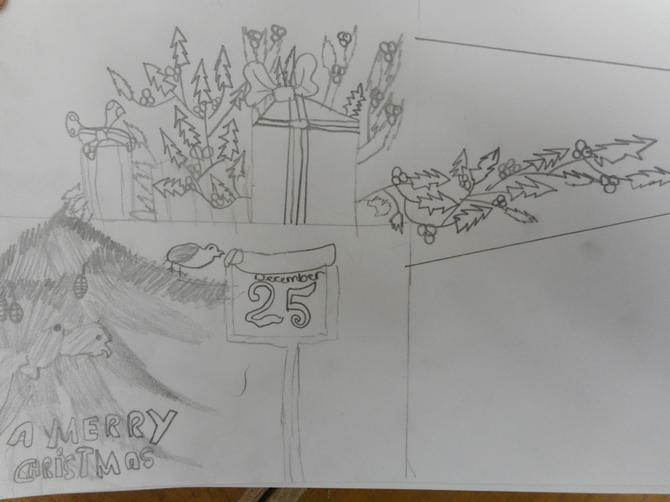 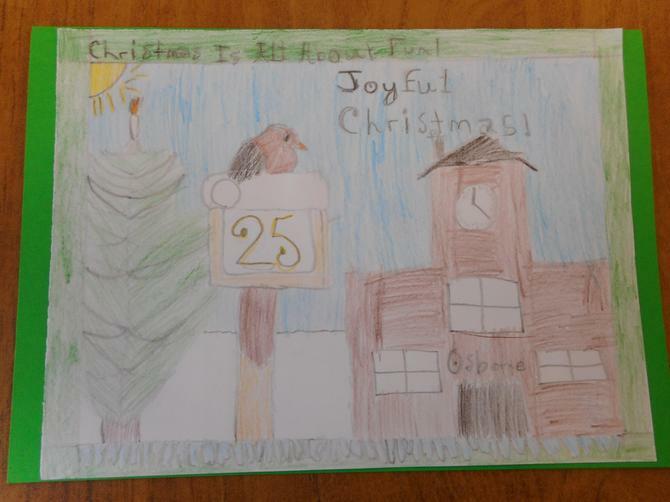 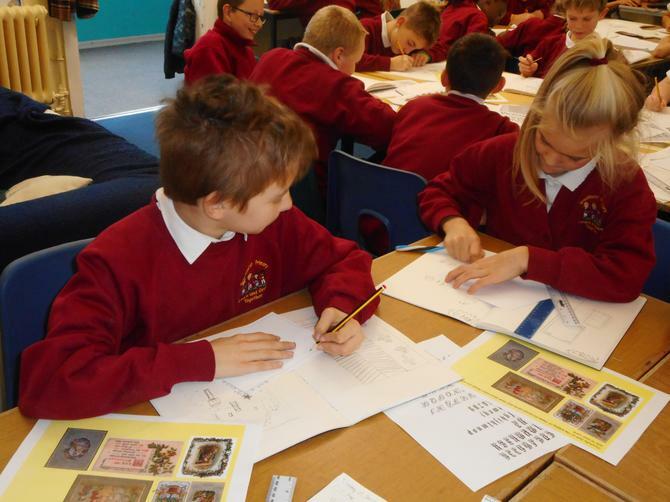 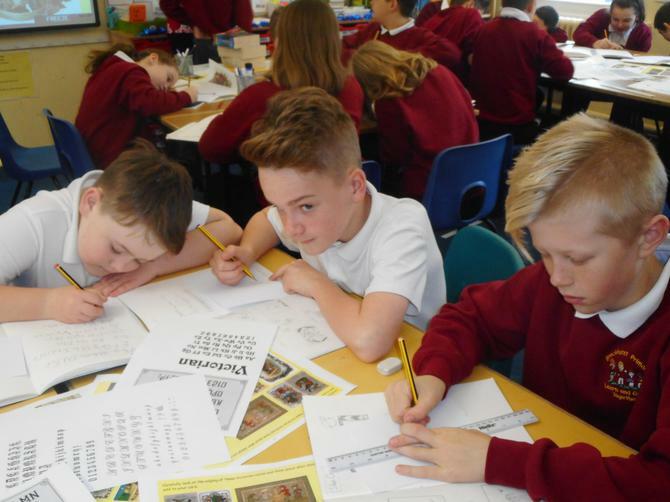 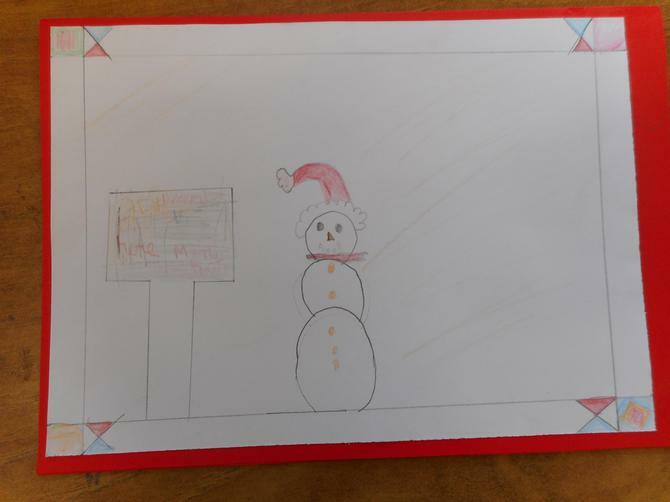 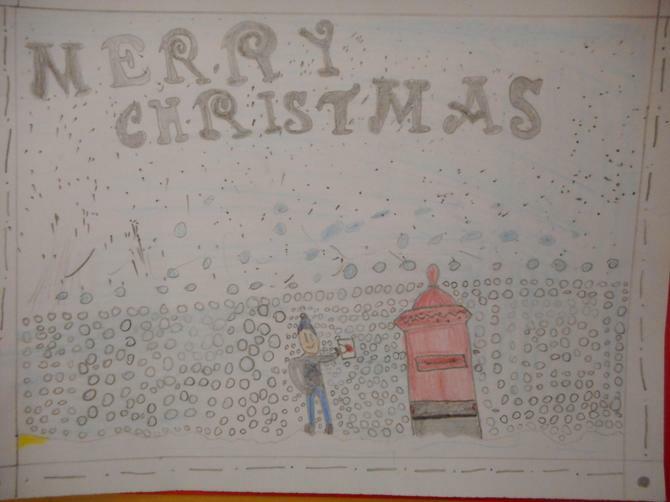 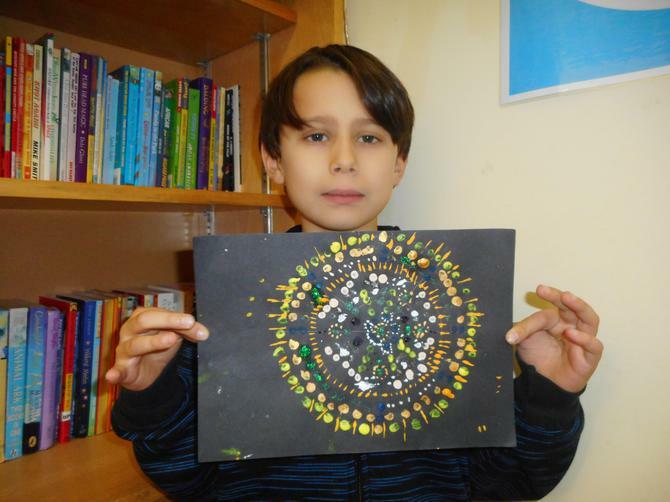 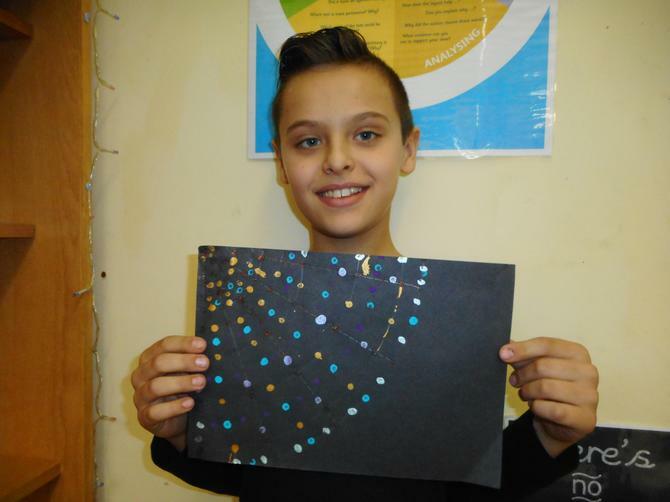 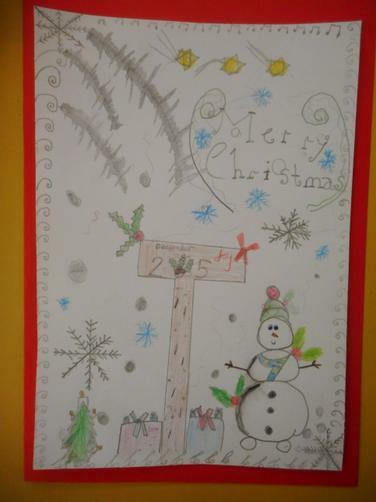 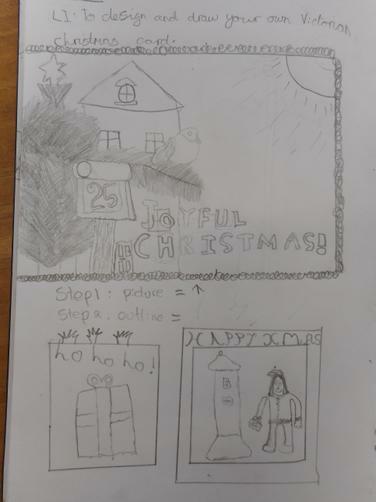 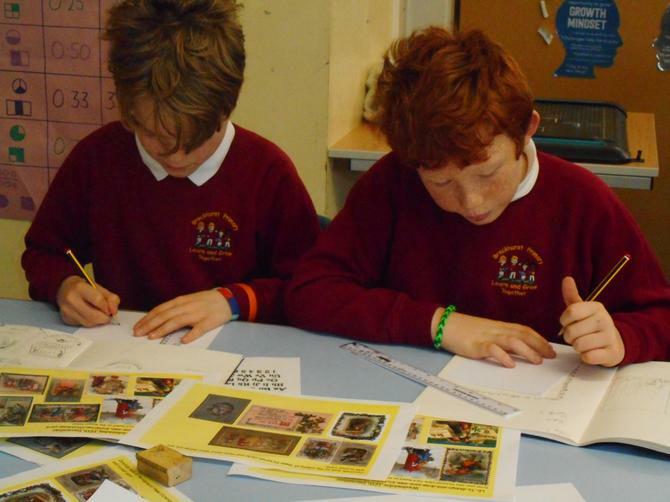 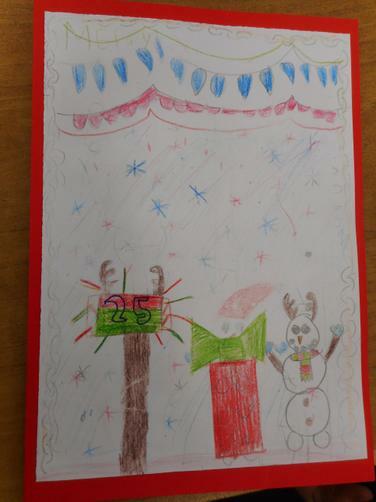 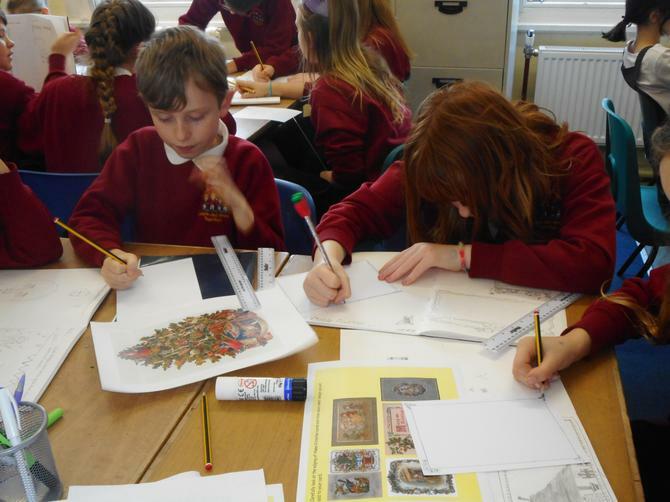 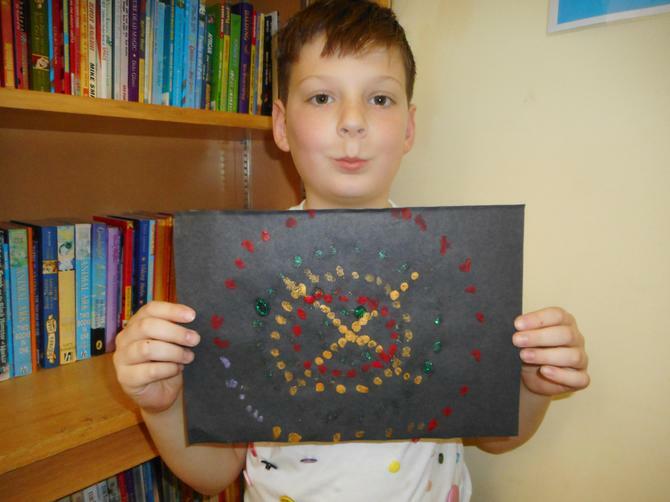 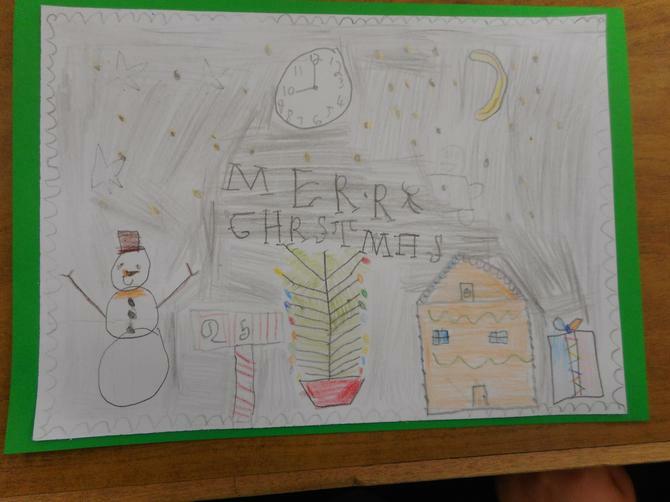 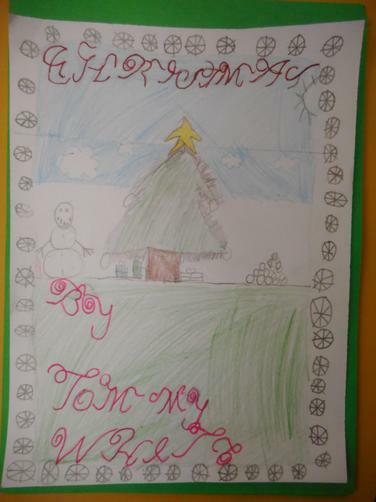 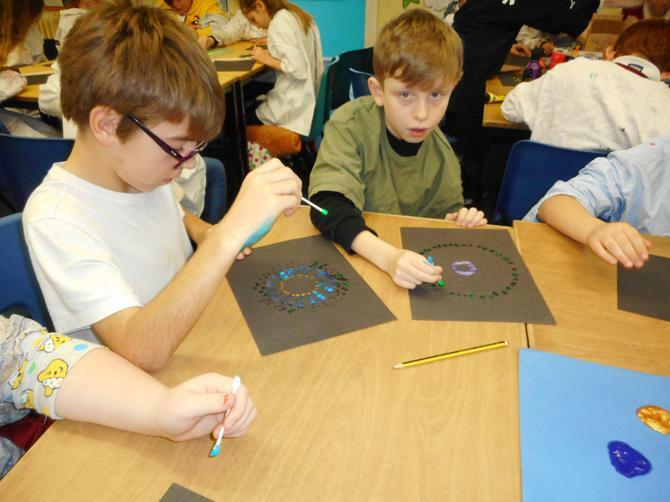 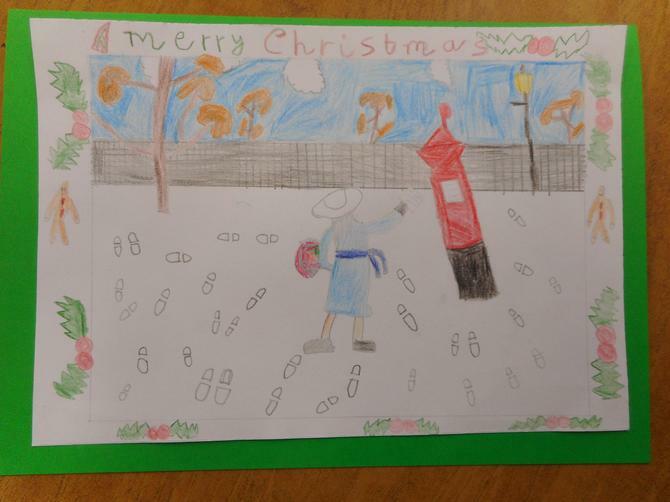 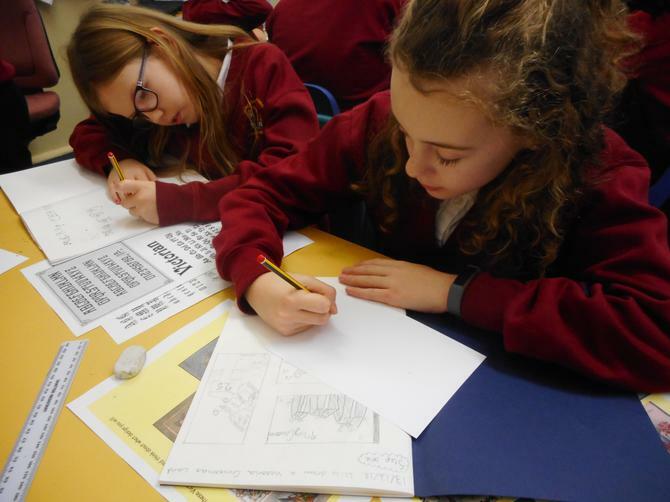 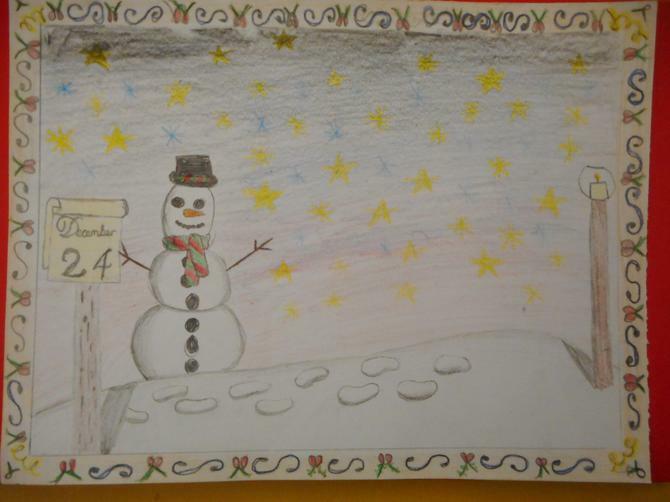 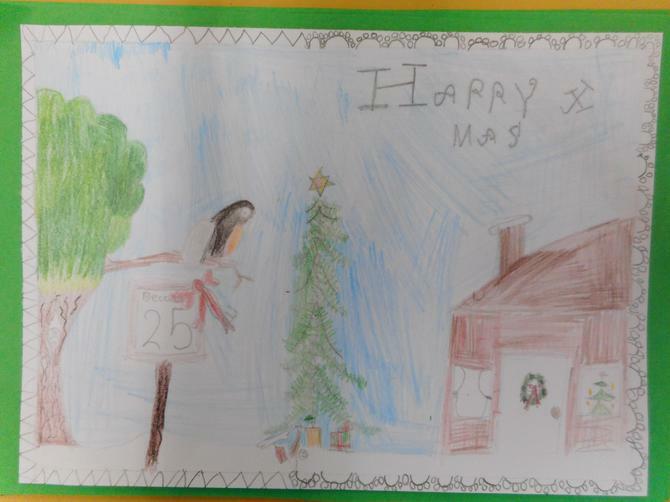 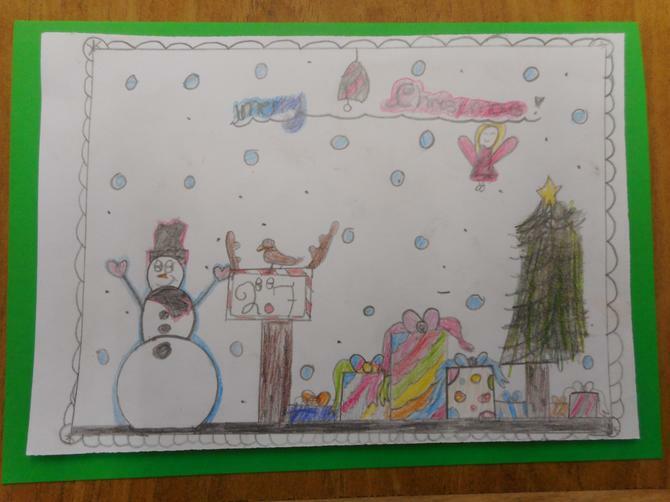 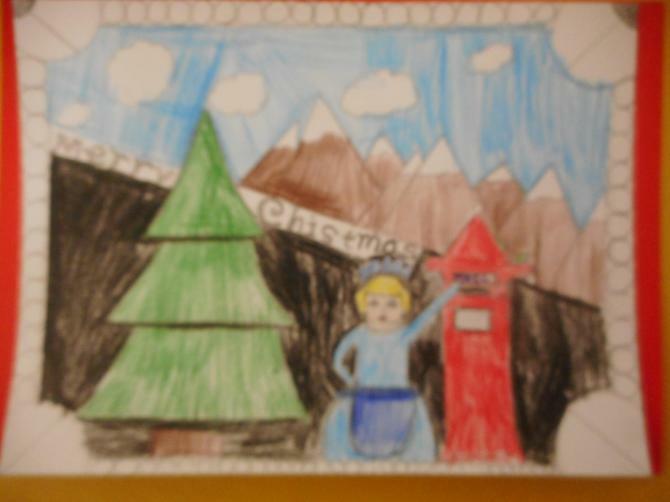 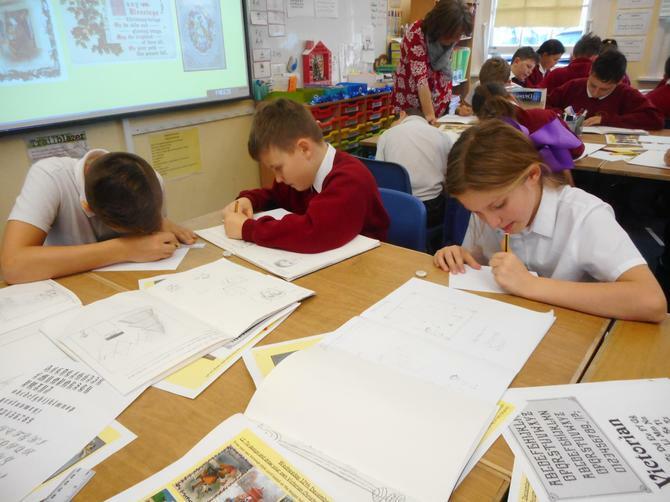 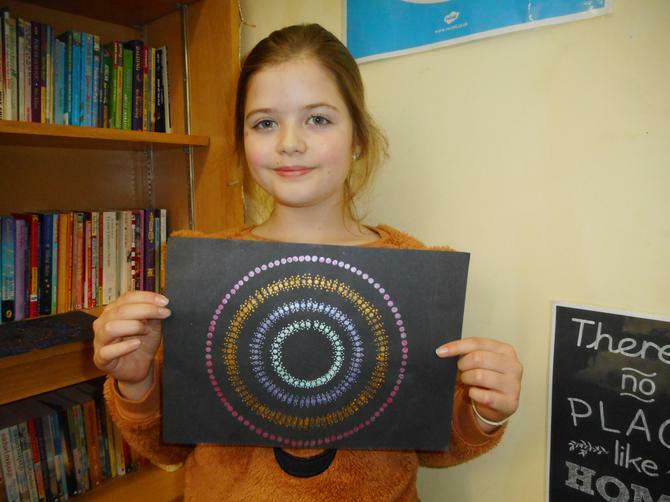 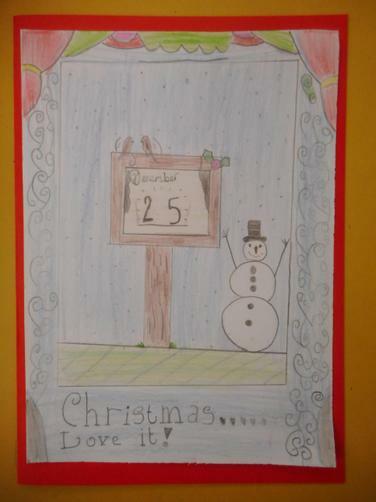 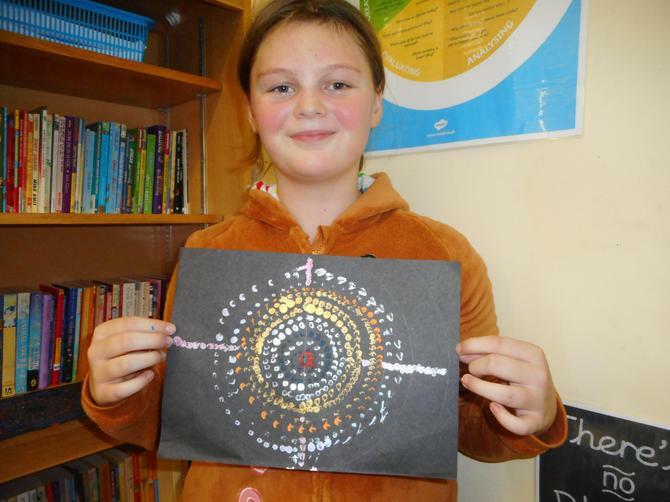 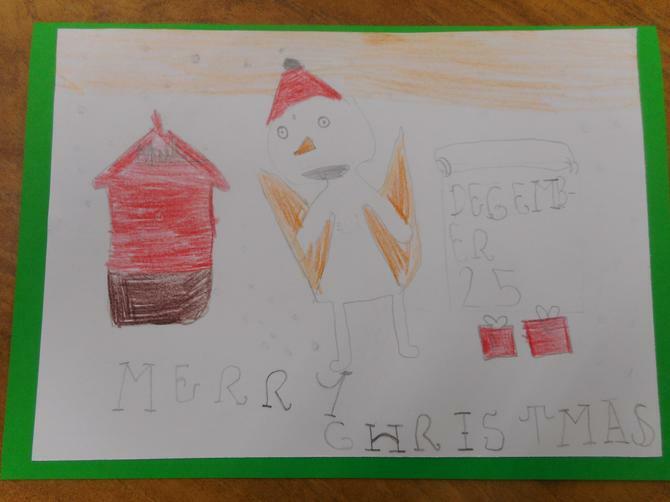 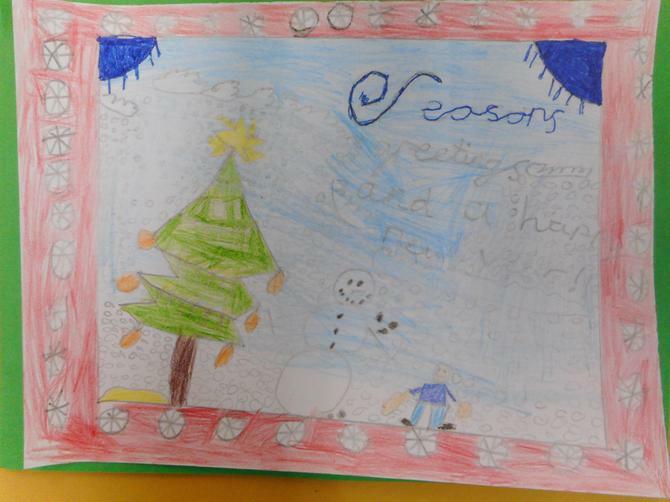 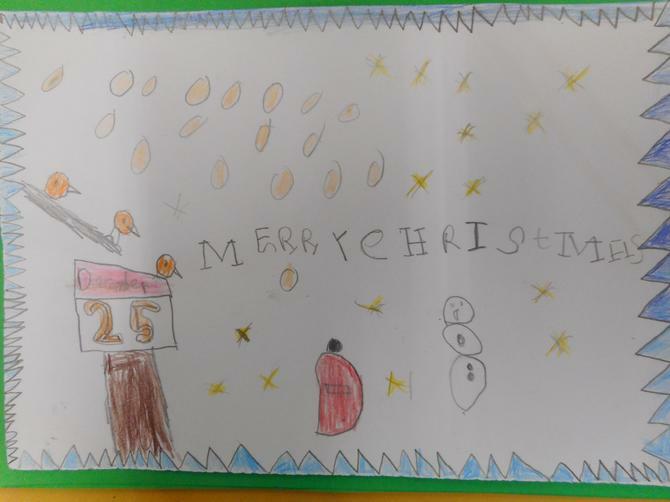 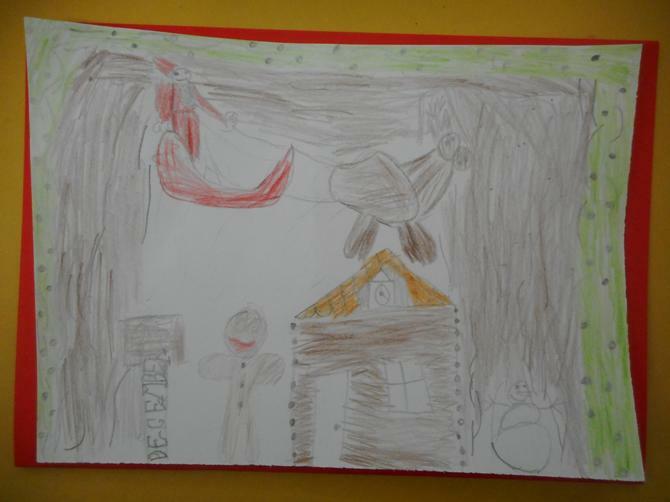 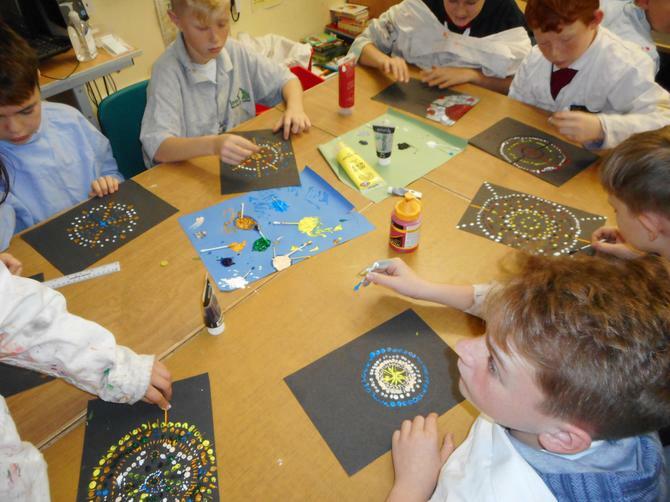 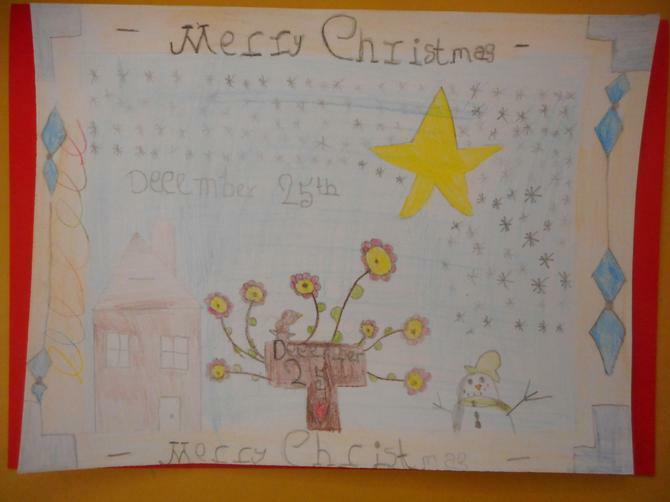 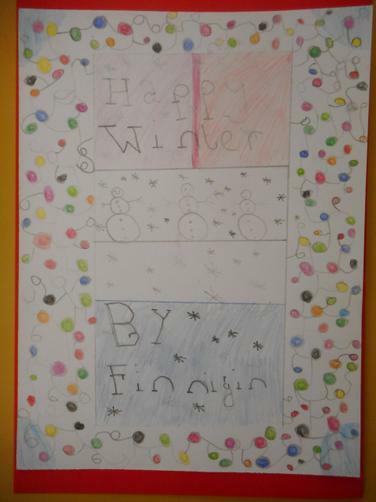 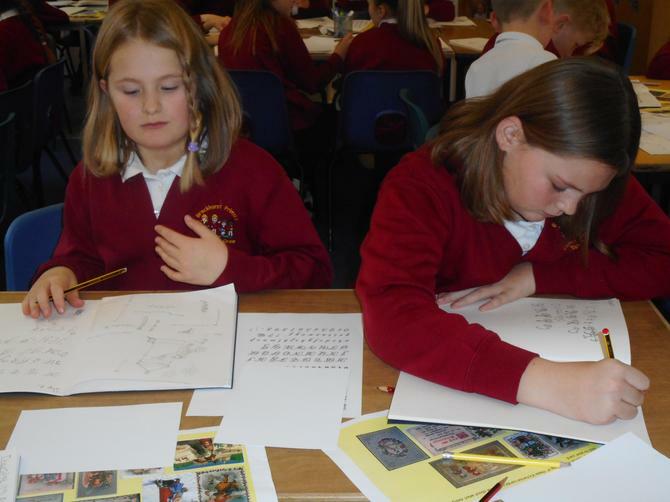 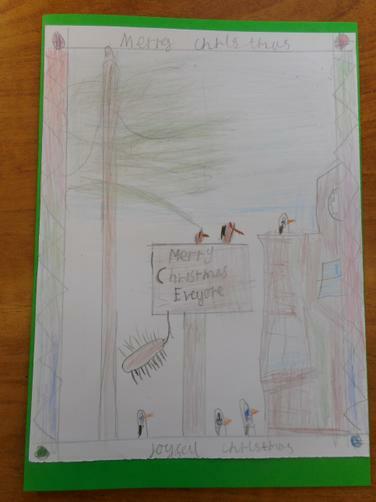 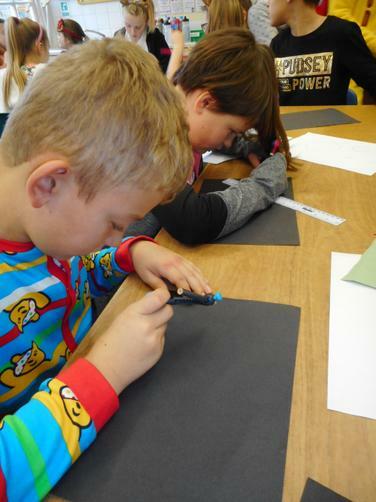 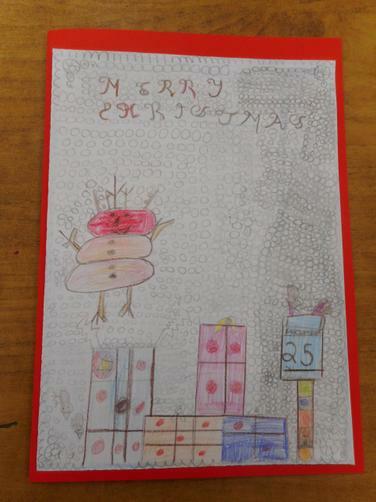 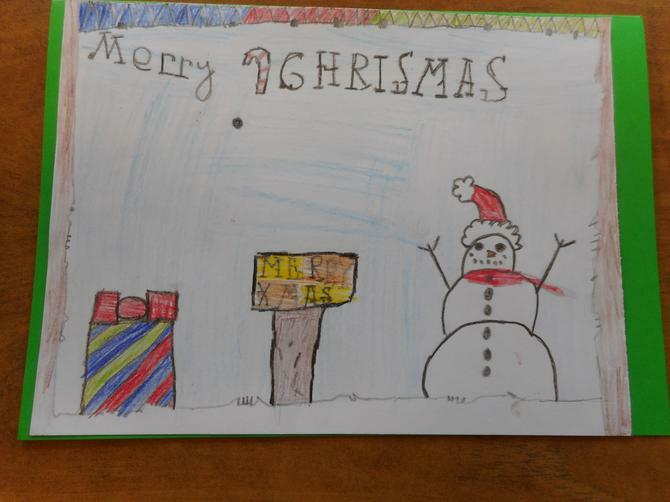 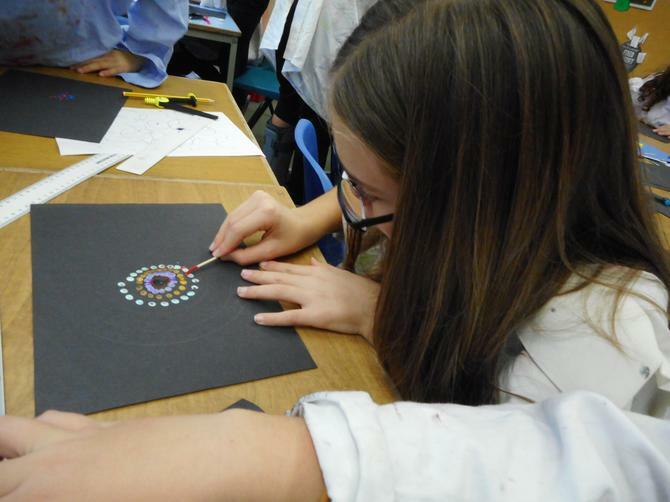 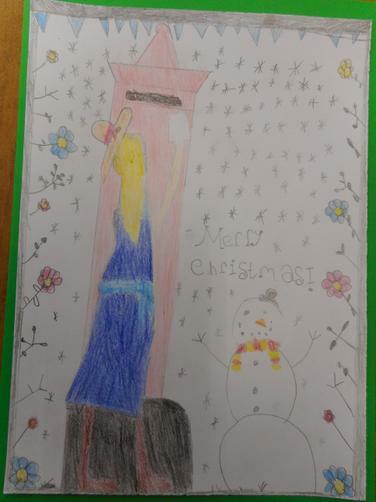 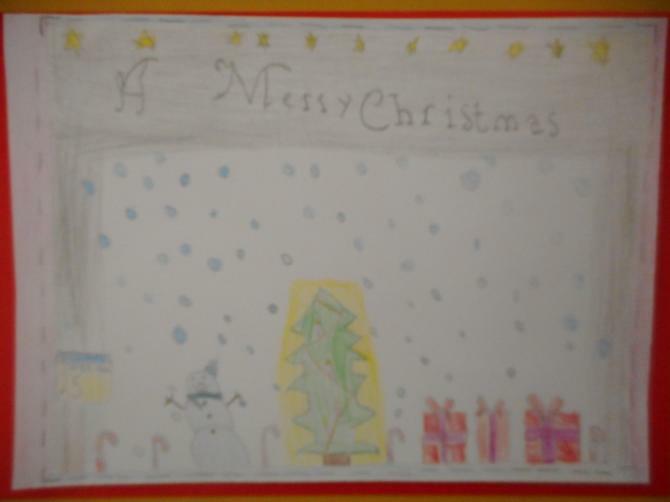 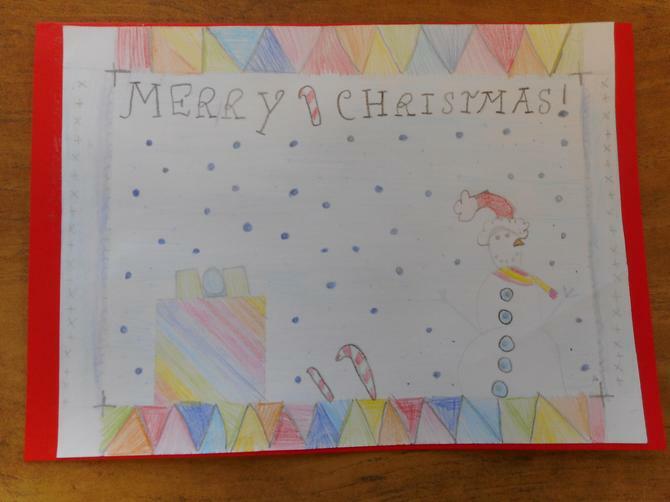 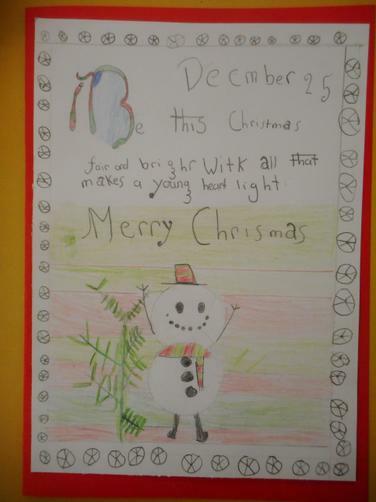 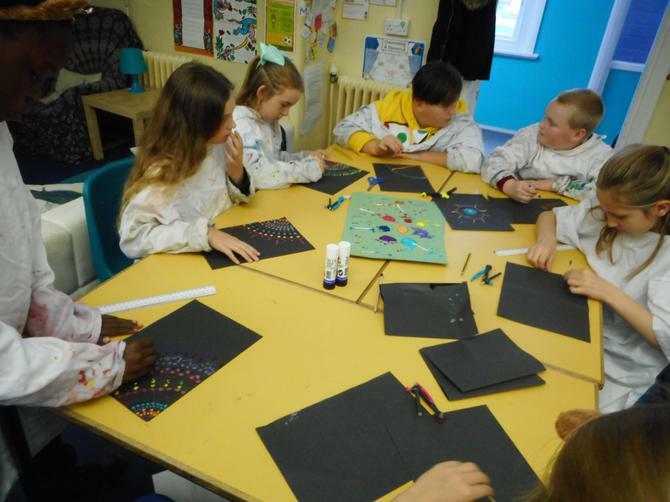 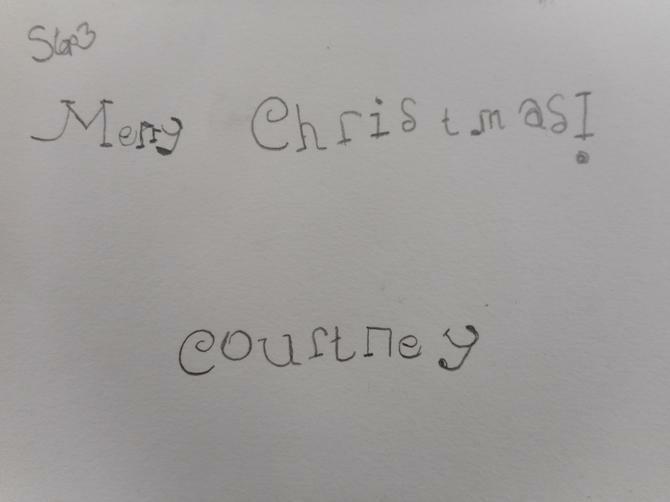 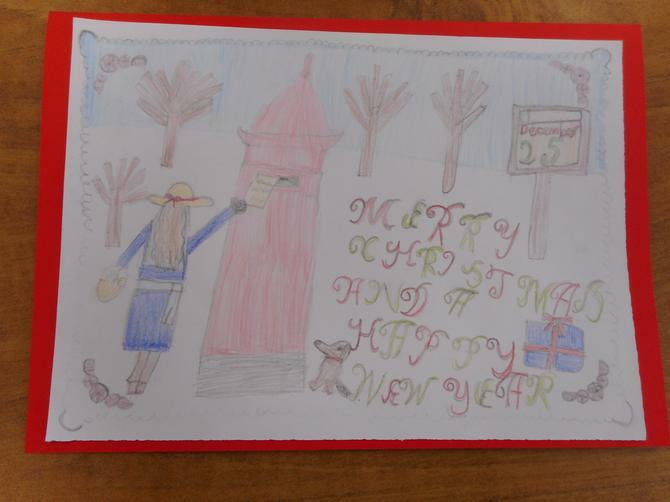 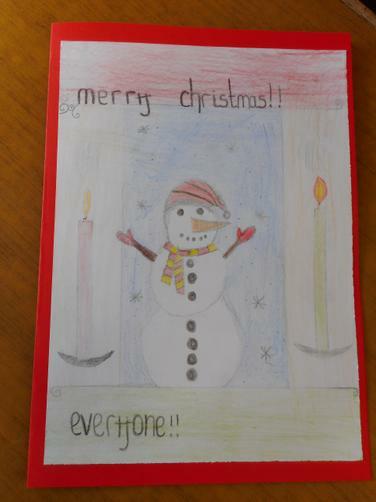 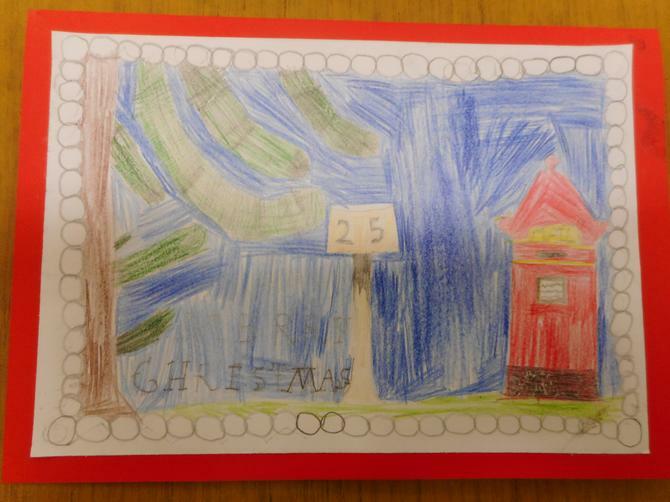 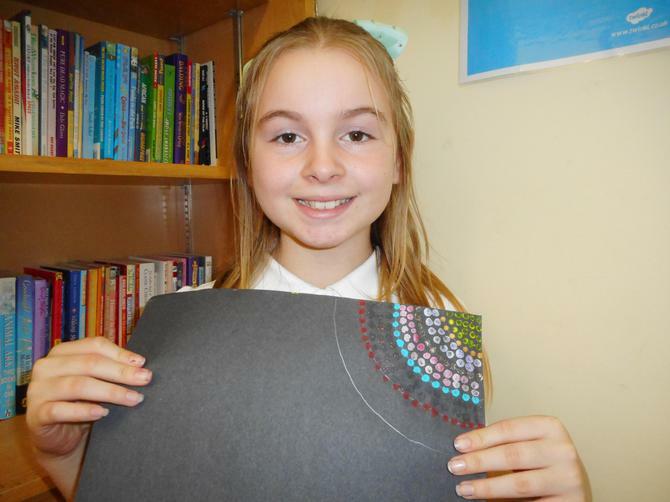 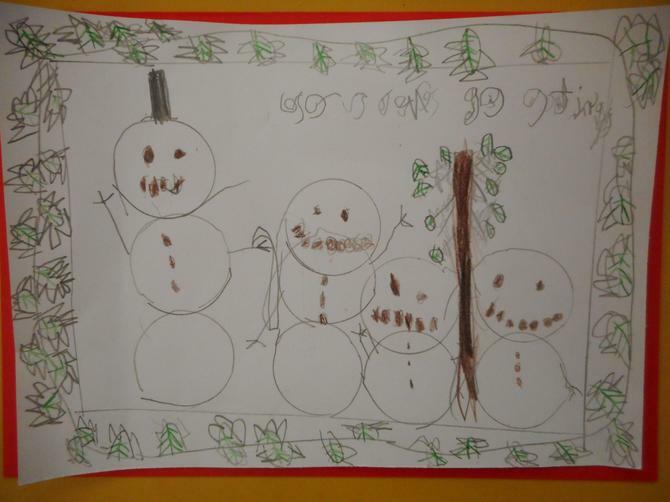 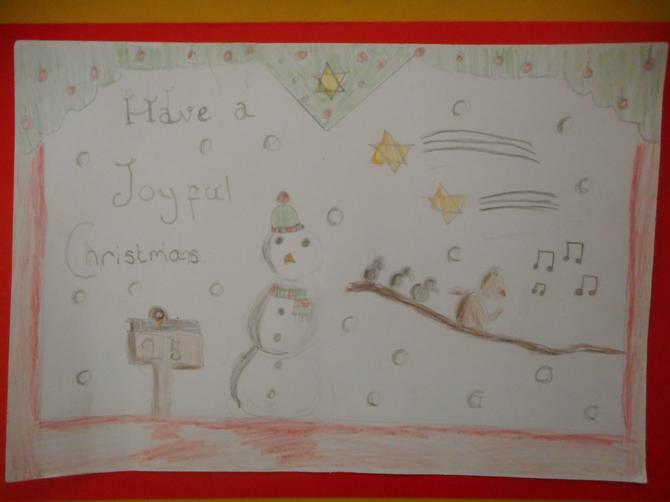 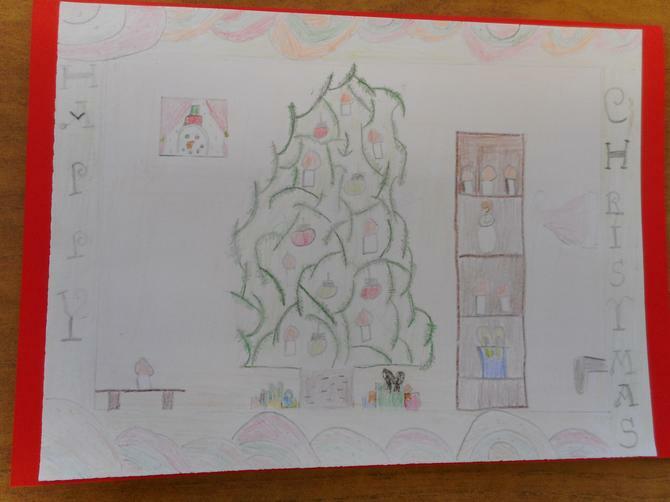 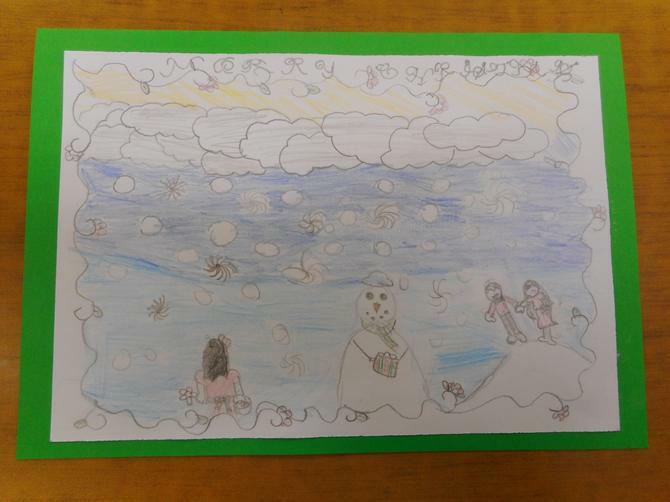 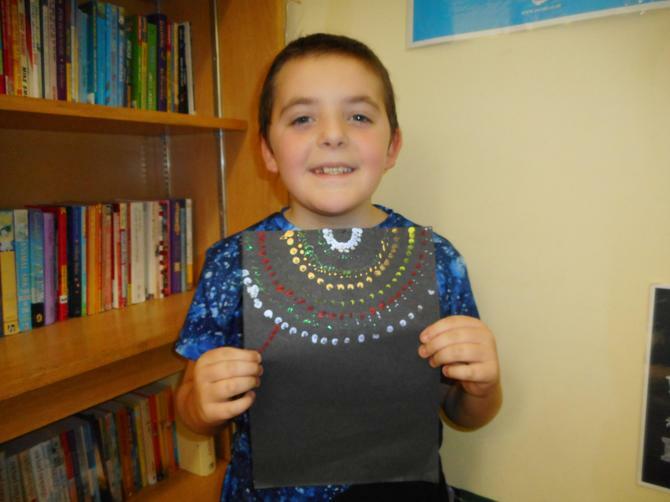 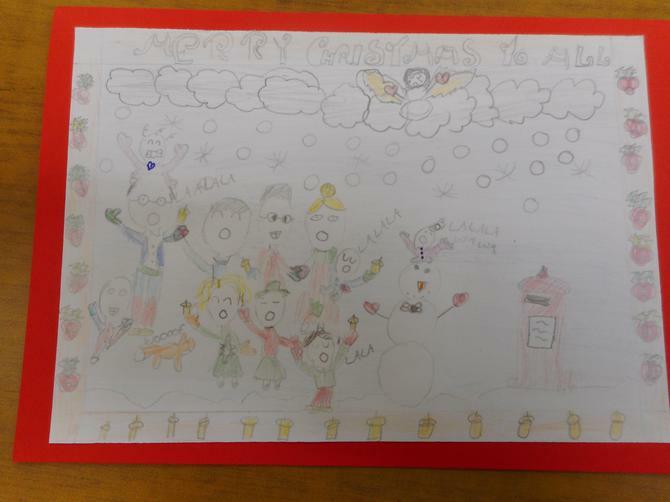 13.12.18 Today we combined our artistic skills with our historic knowledge to create Victorian Christmas cards. 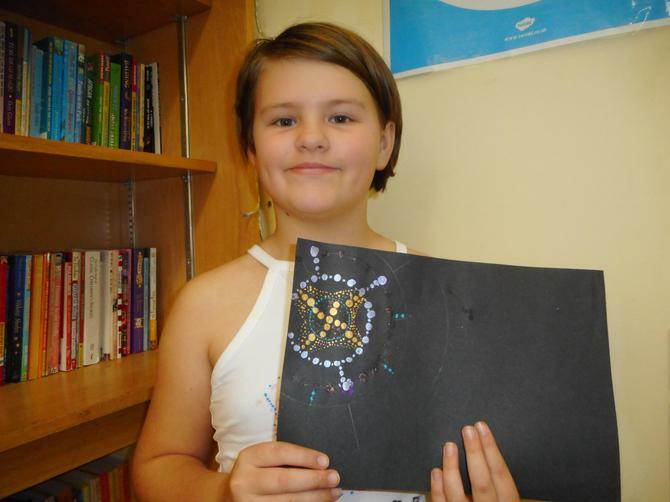 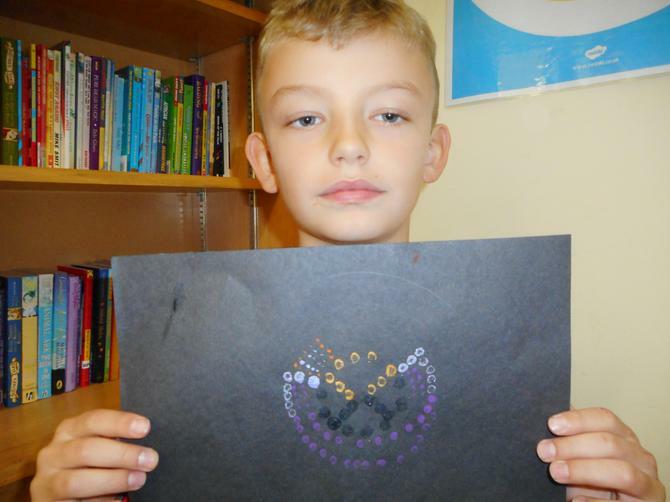 We made sure that we included a Victorian style border and design. 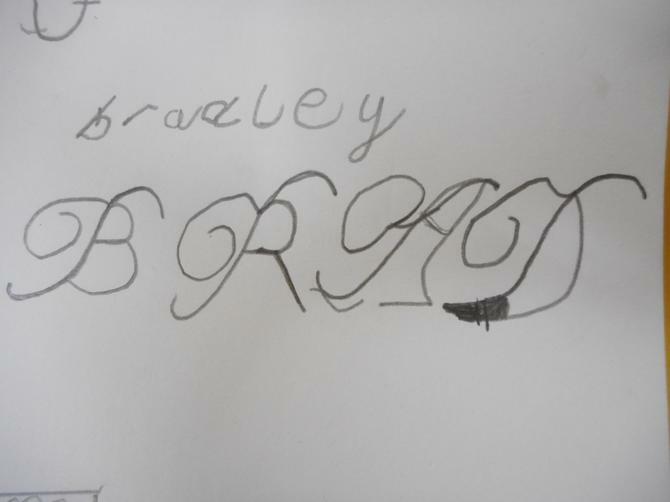 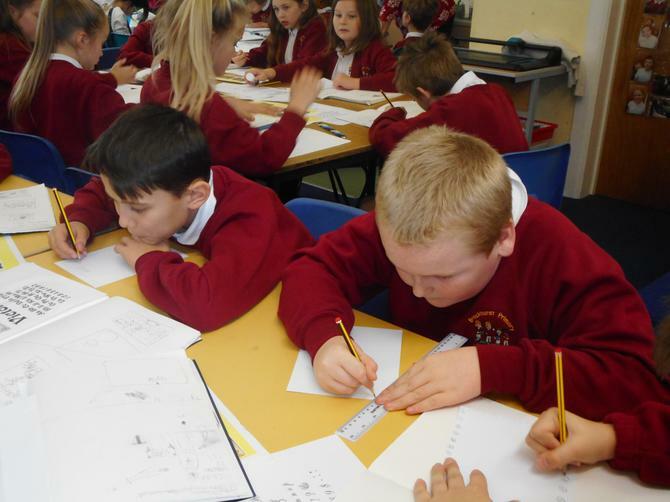 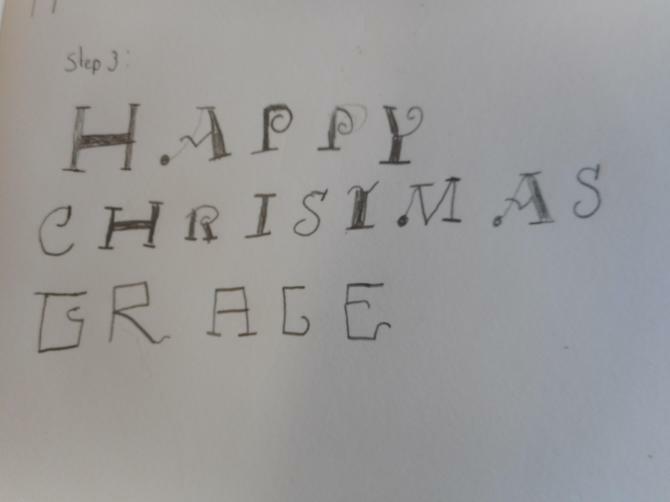 We even had a go at writing in a Victorian script! 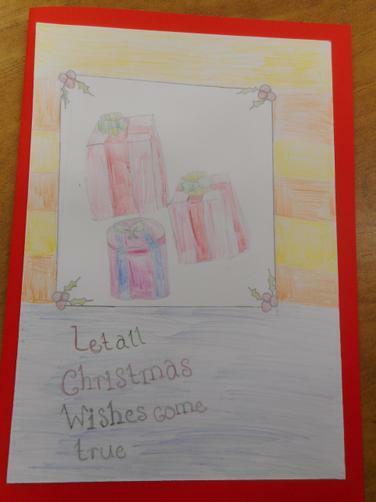 The finished cards will be ready to see tomorrow. 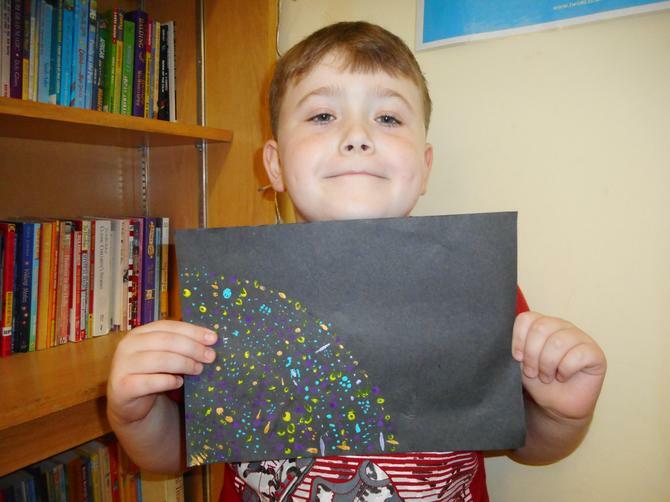 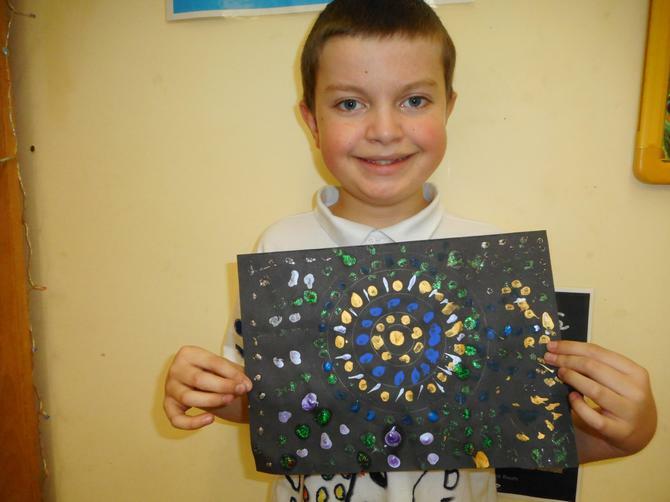 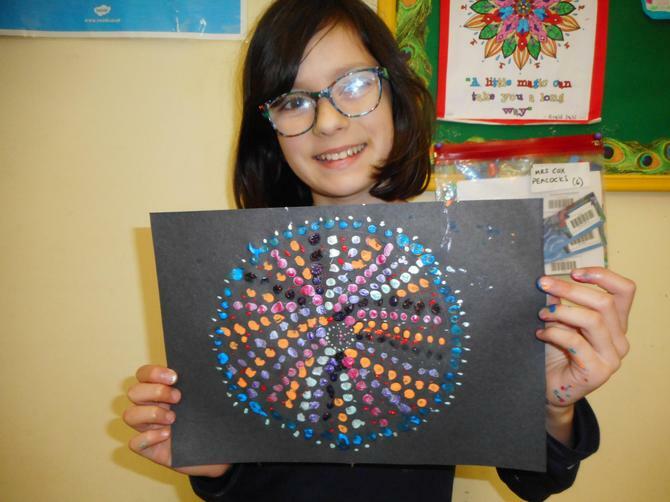 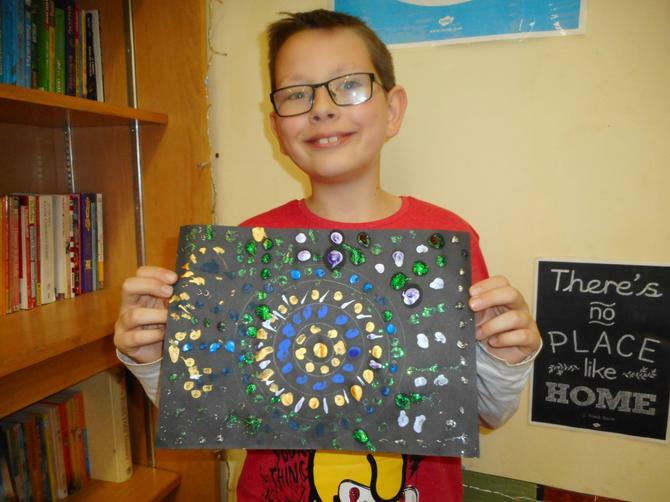 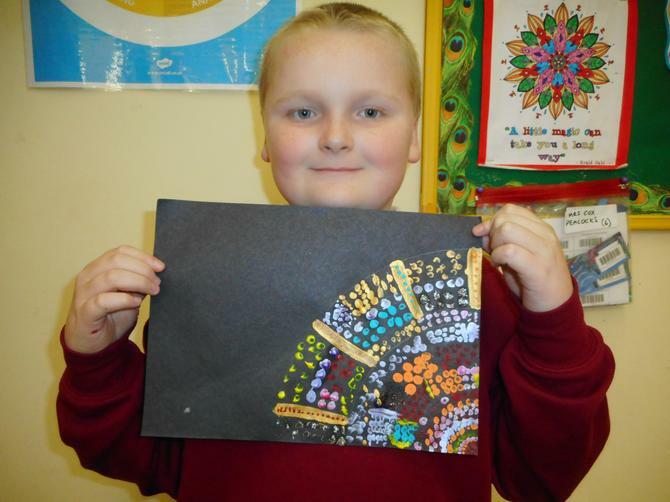 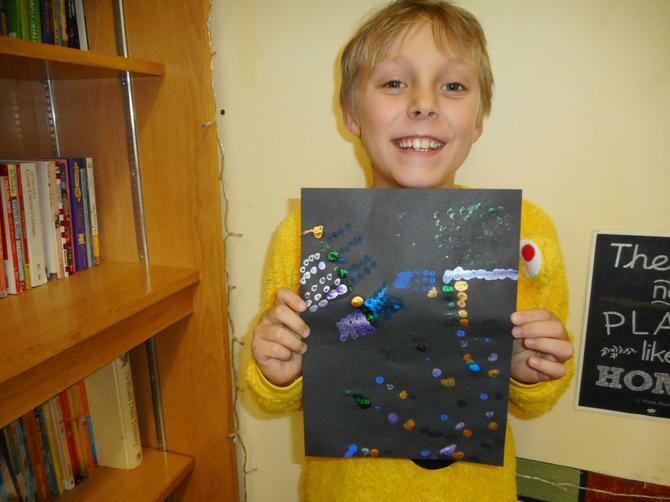 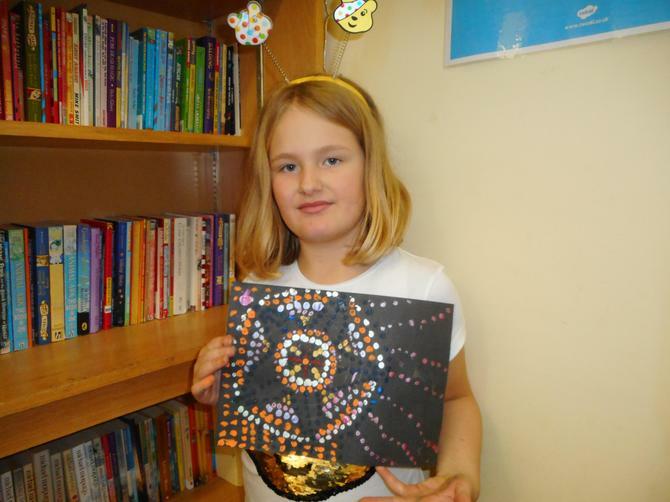 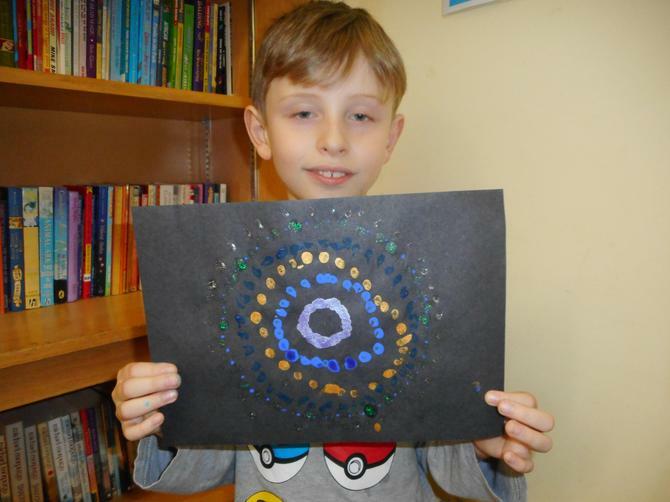 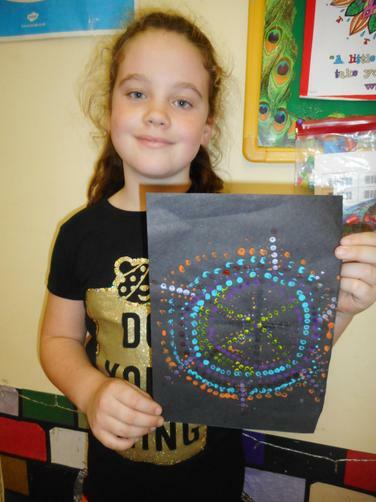 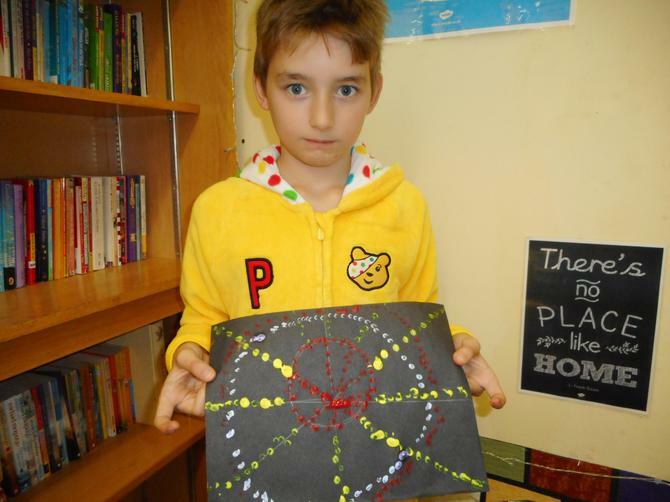 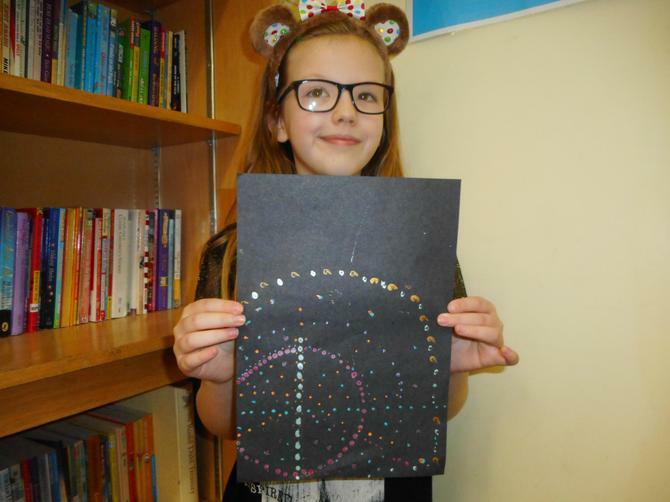 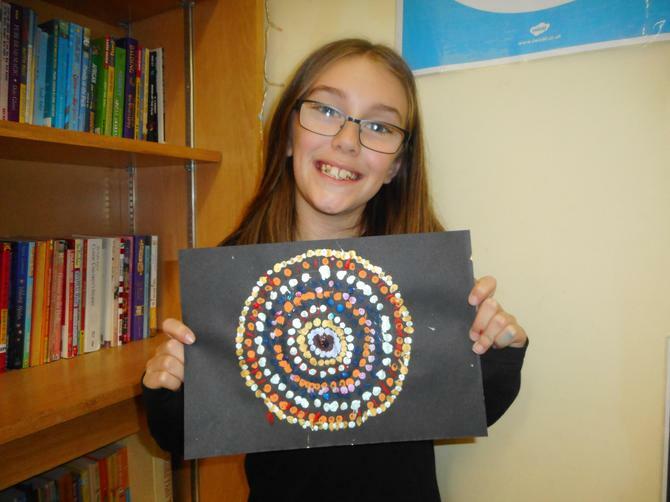 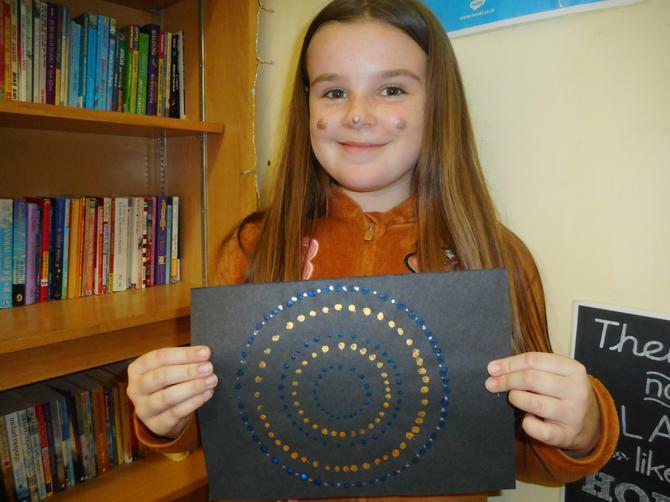 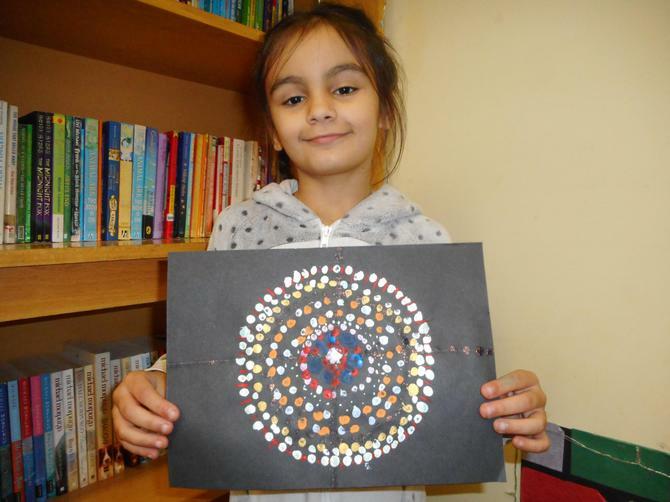 16.11.18 Our finished spotty artwork! 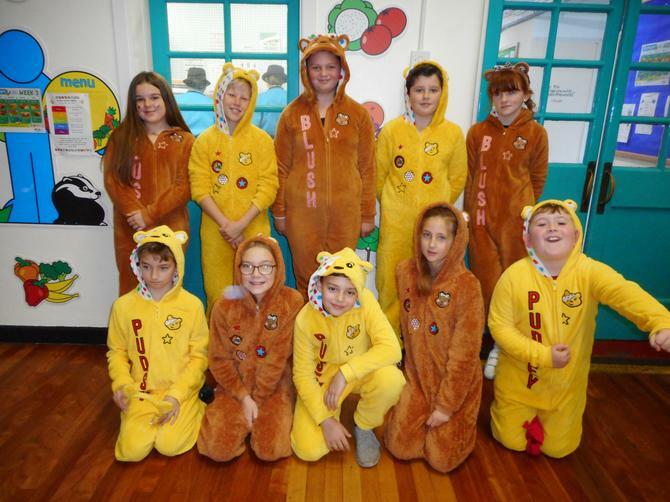 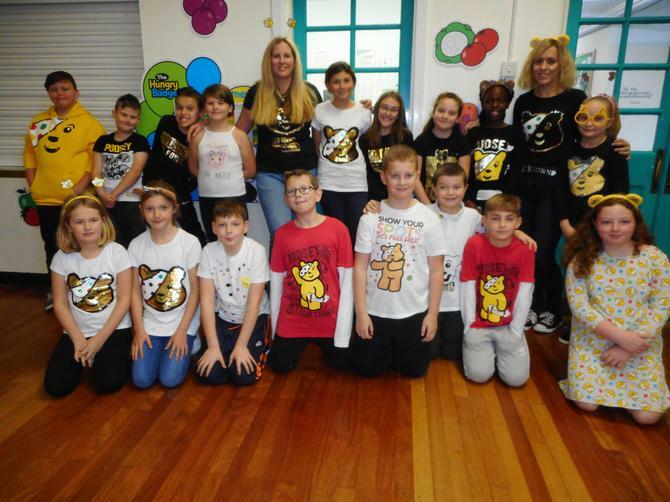 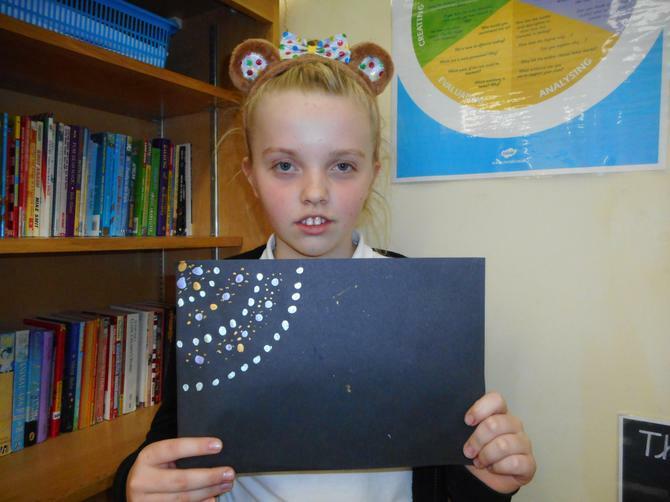 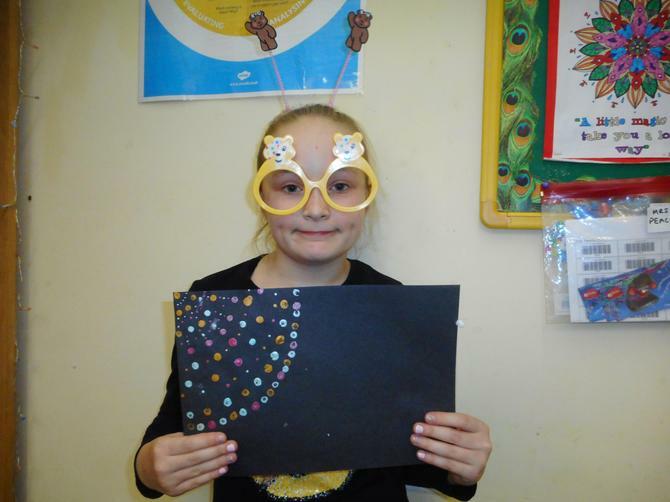 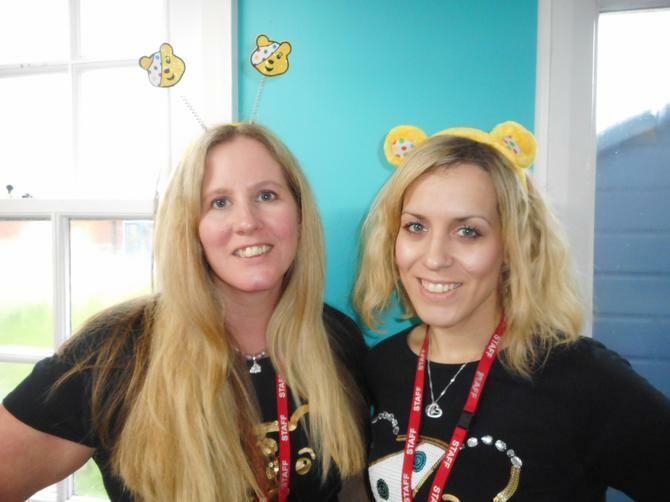 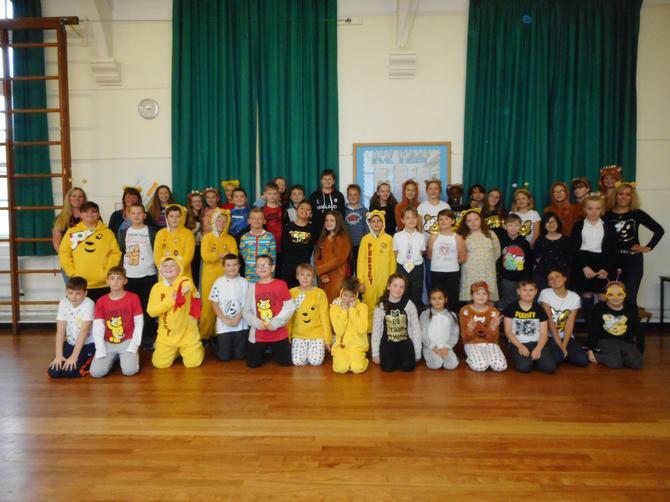 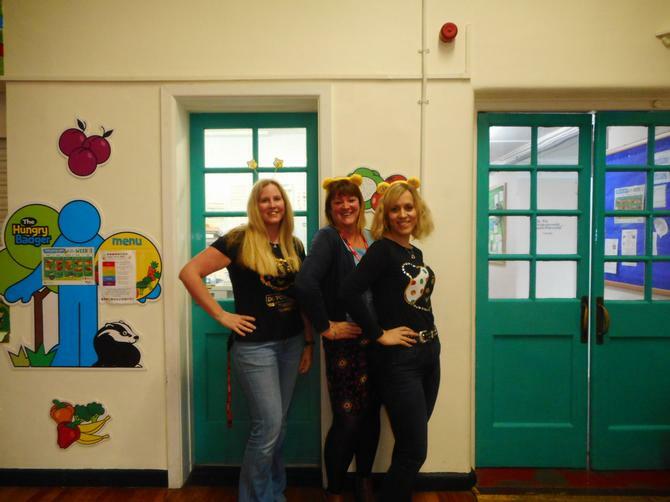 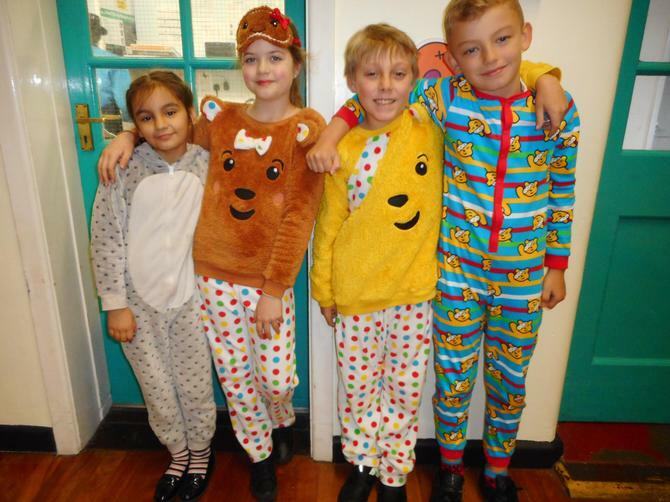 16.11.18 Well done to everyone in Year 6 who came to school wearing something spotty today to help raise money for Children in Need. 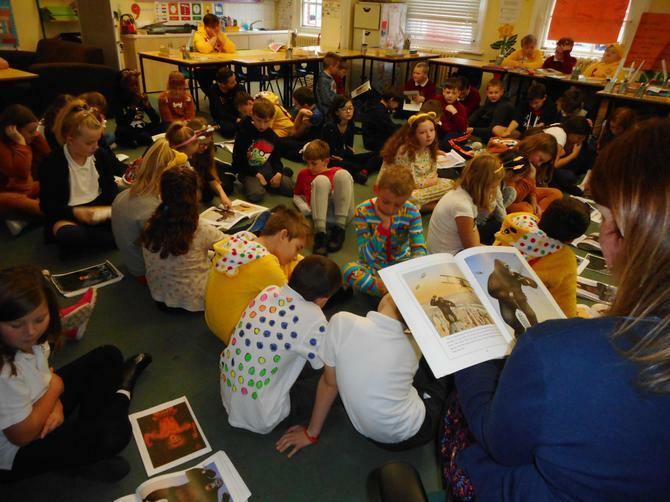 While at school, we enjoyed listening to Mrs. Nicholls reading King Kong - which we will be using in our next Literacy unit of work as well as creating spotty art! 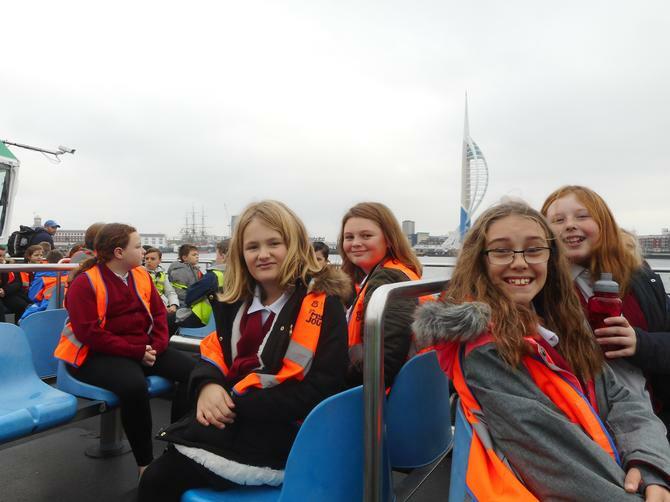 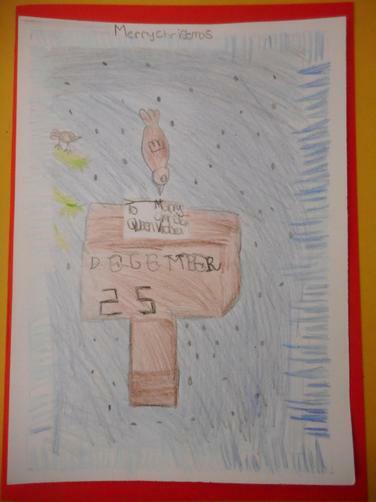 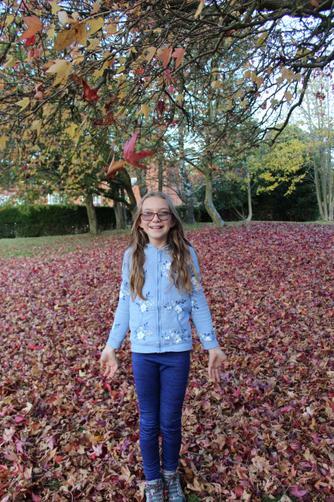 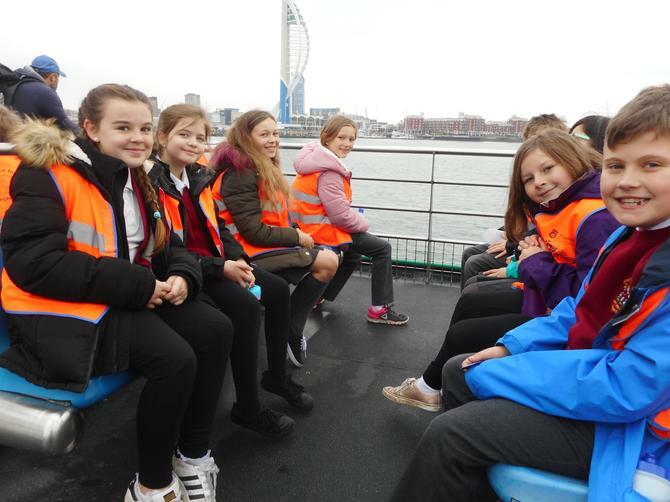 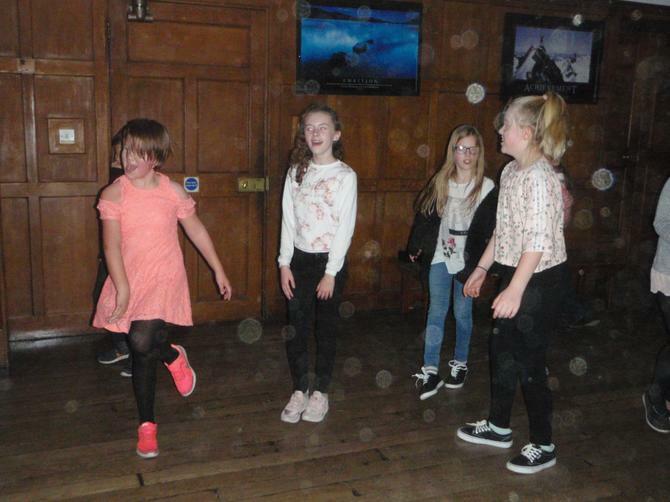 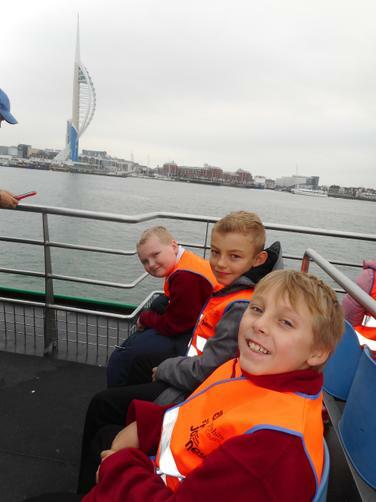 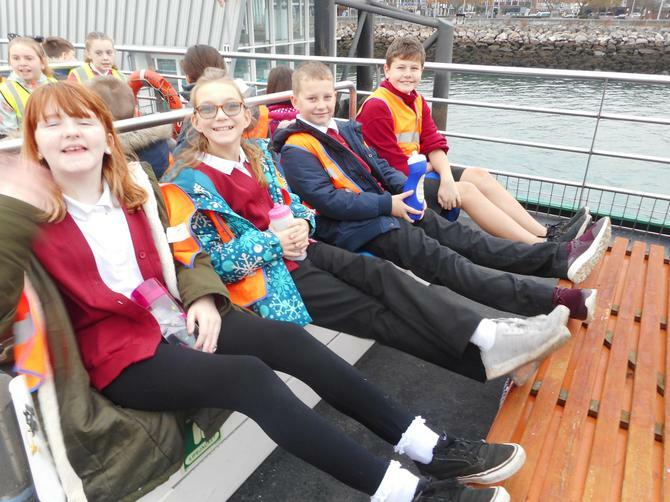 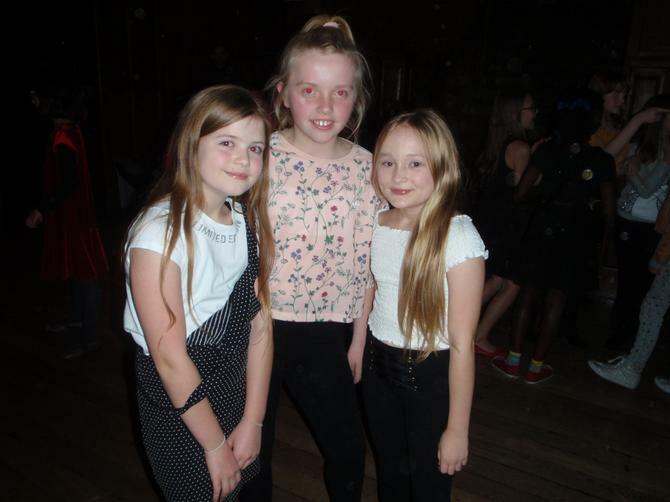 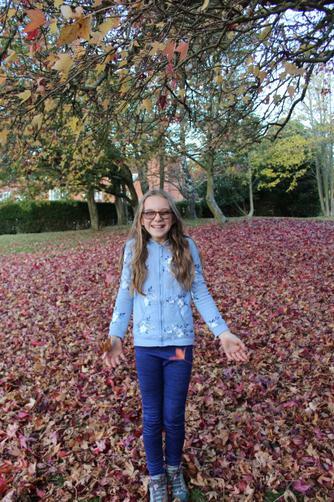 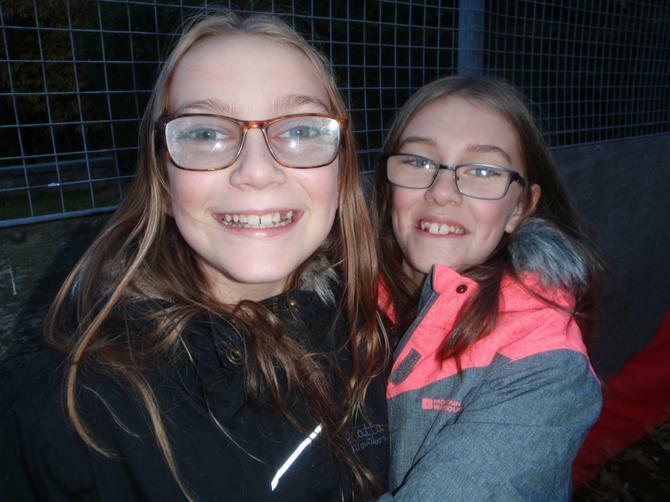 15.11.18 Year 6 travelled to Gunwharf Quay to watch Peter Rabbit as part of this years' Into Film Festival. 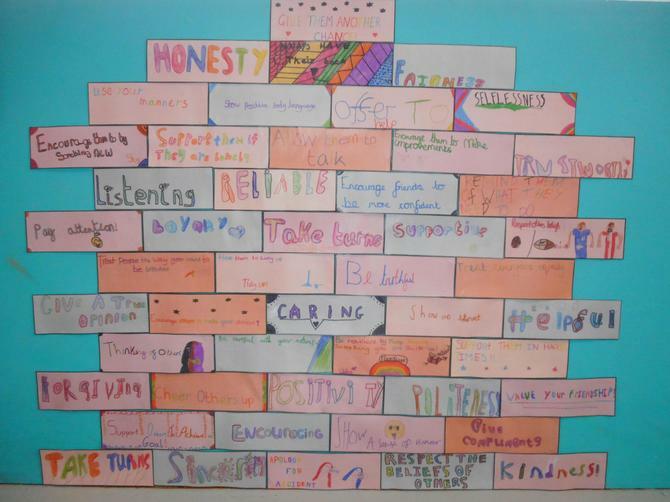 As part of our learning based on this experience we considered what attributes make a good friend and created a wall of ideas. 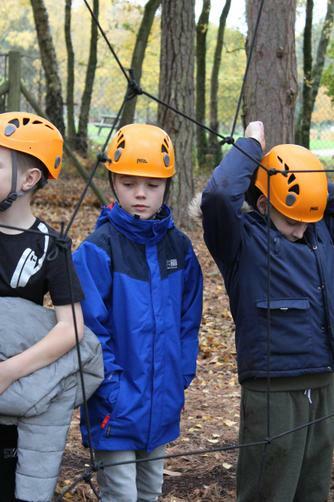 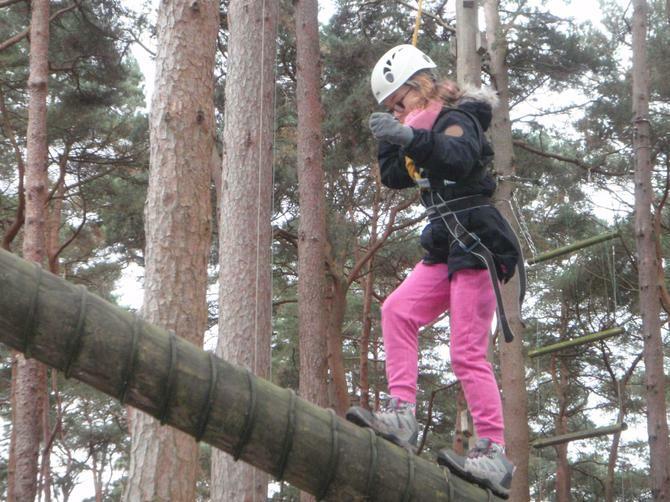 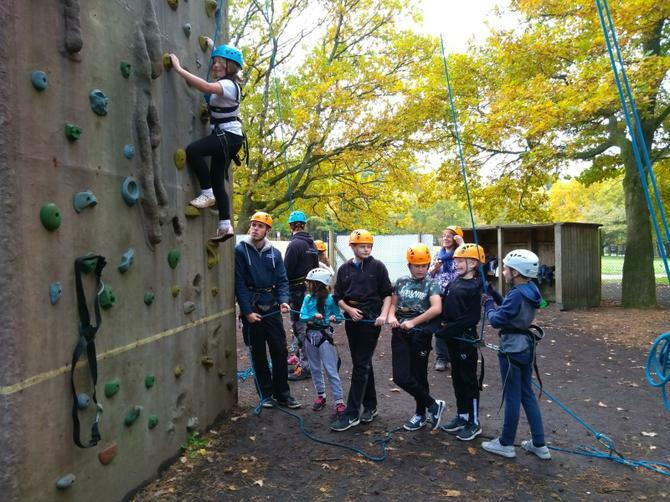 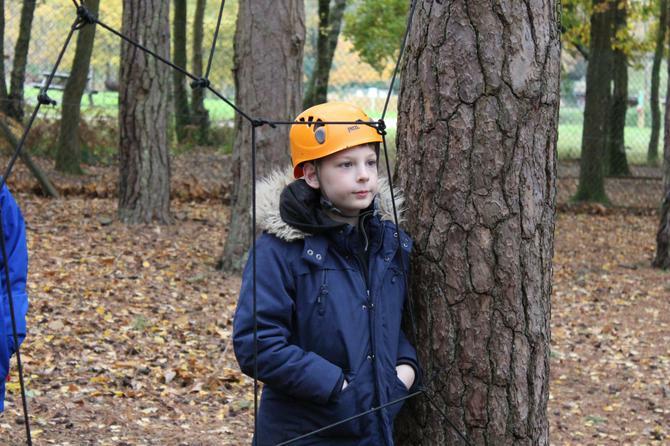 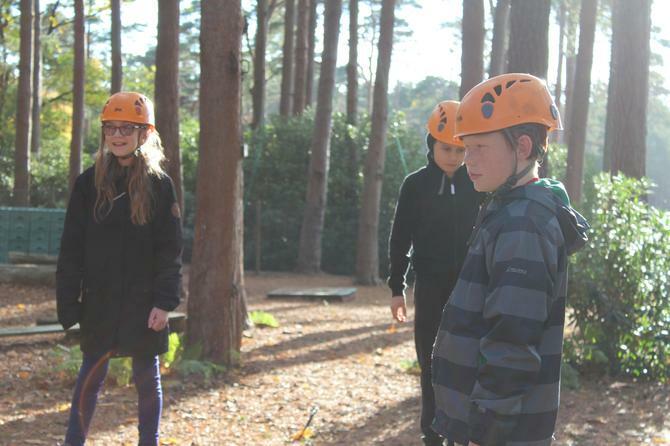 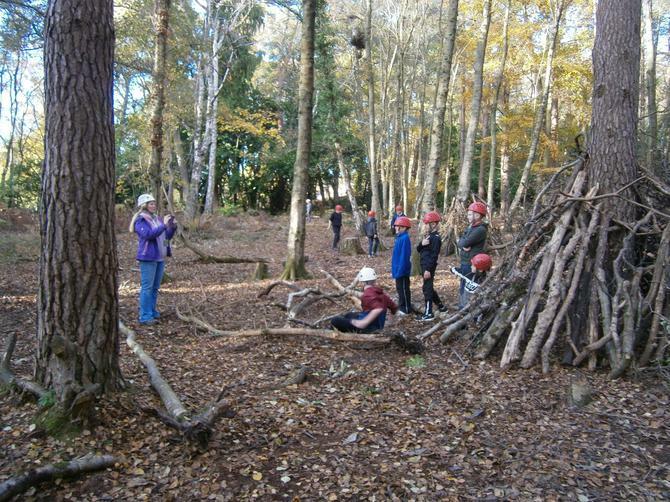 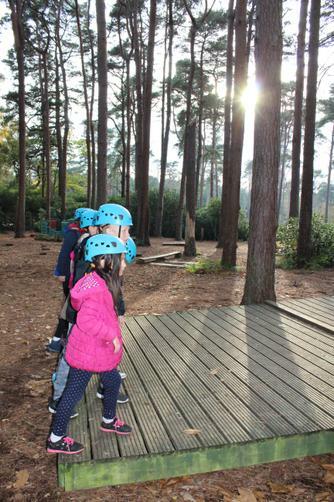 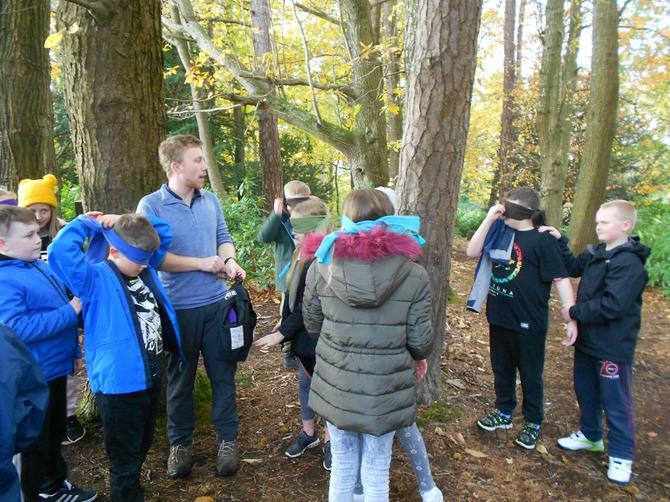 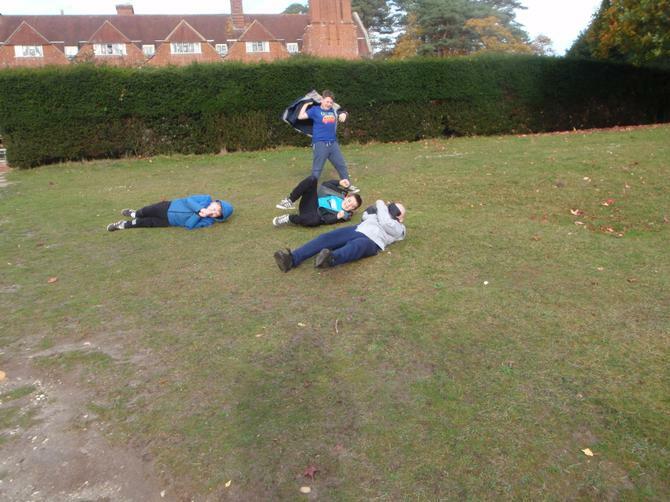 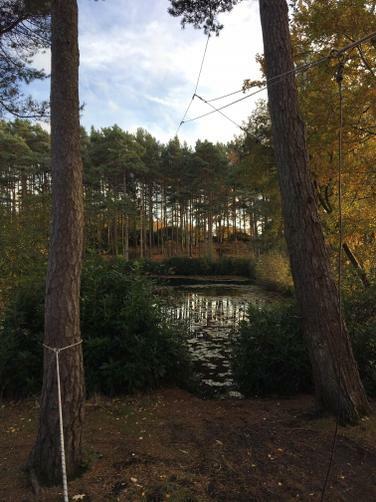 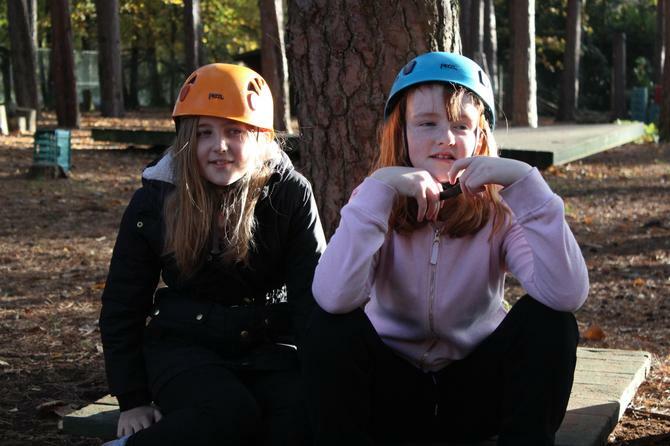 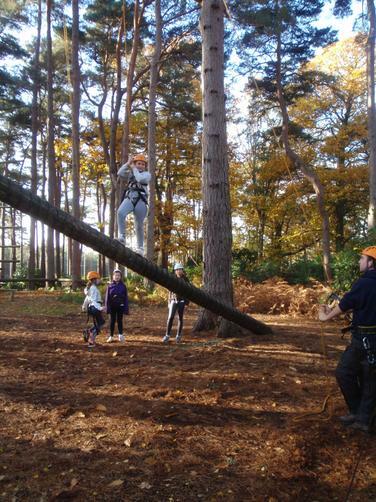 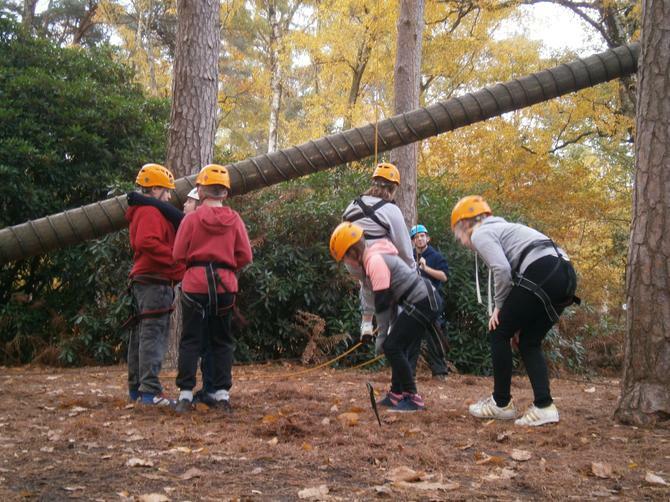 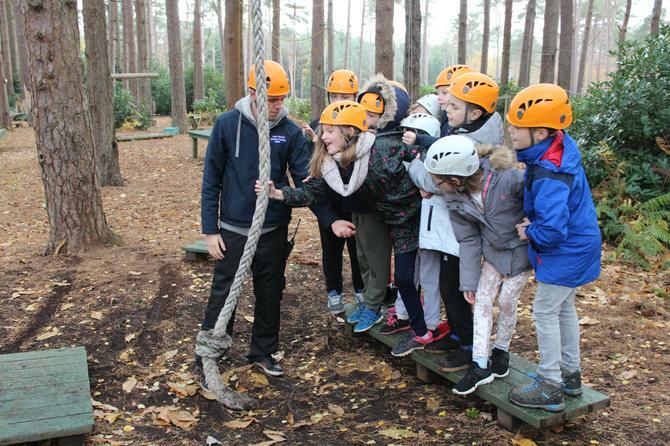 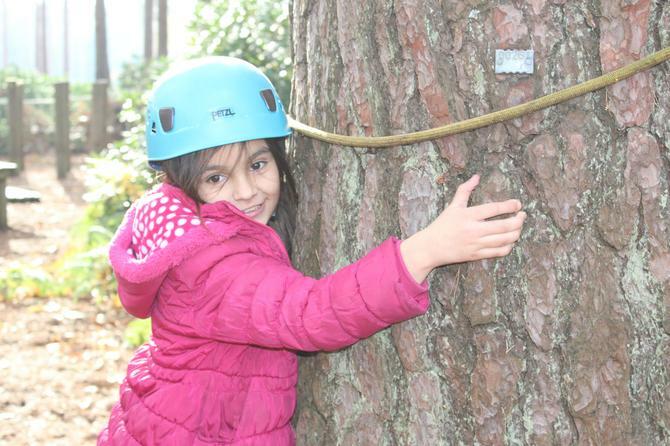 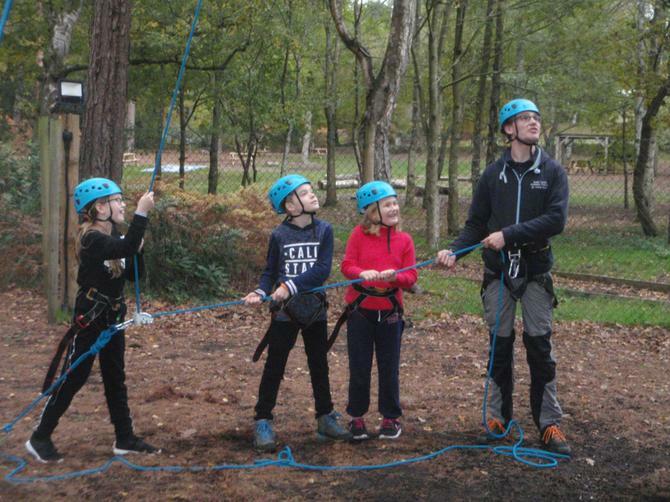 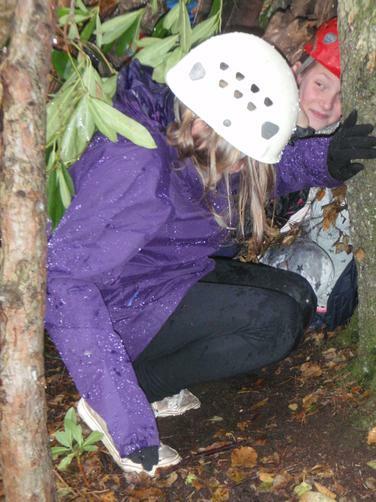 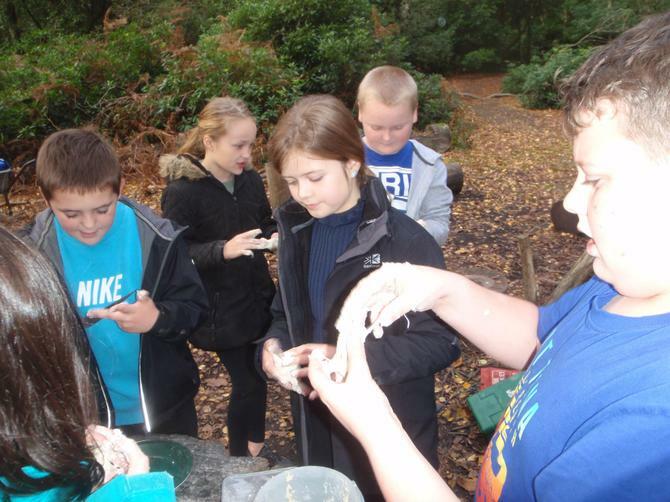 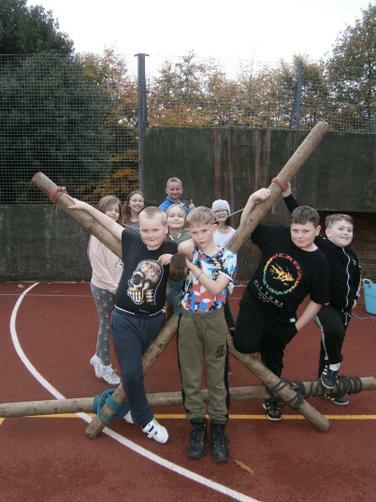 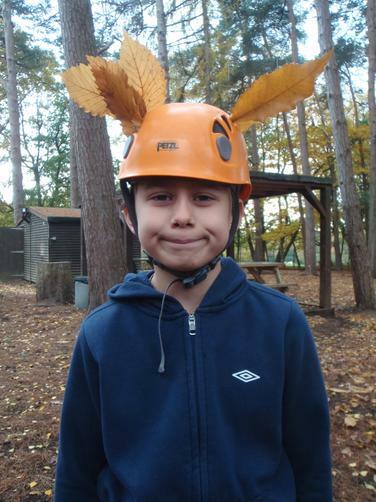 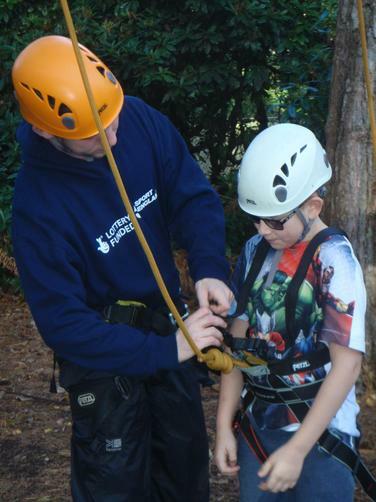 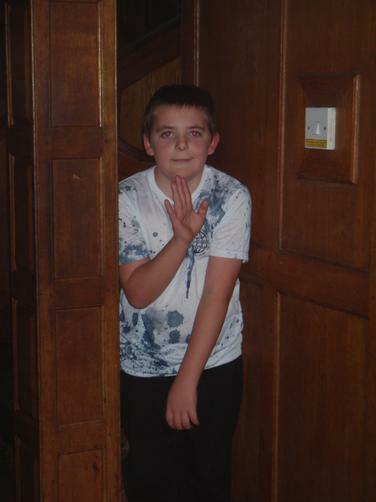 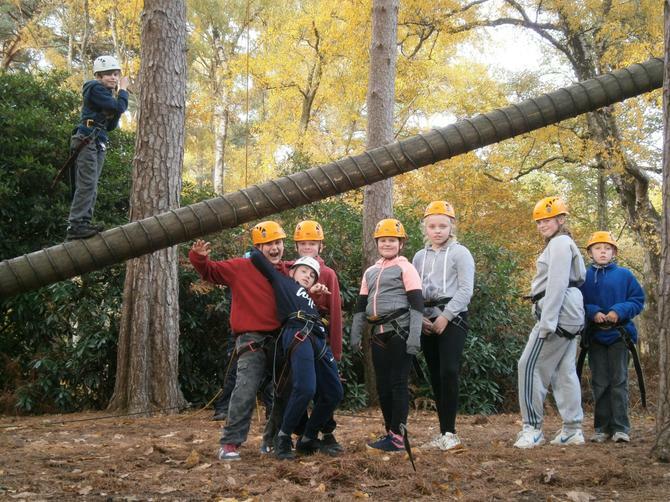 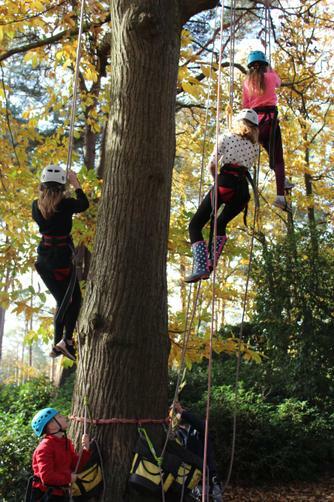 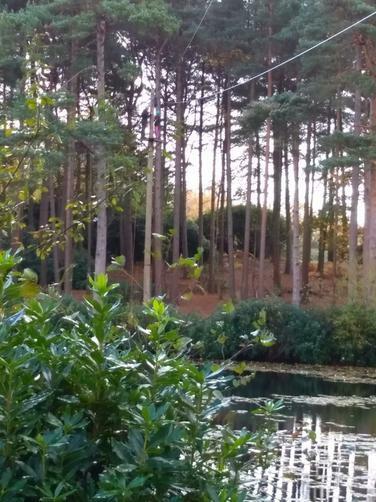 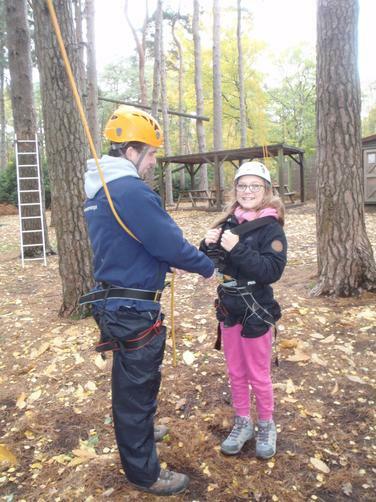 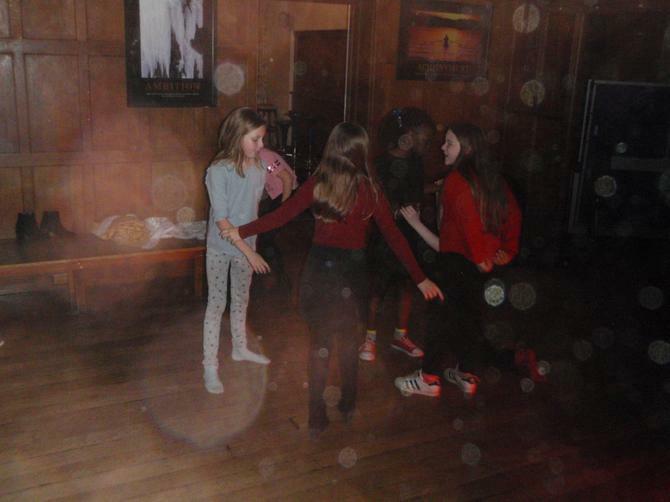 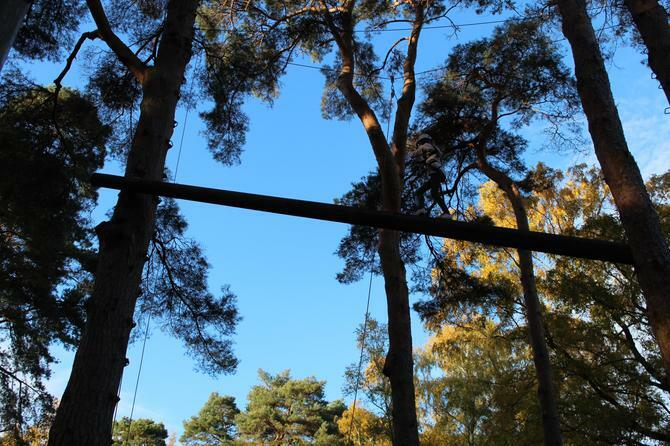 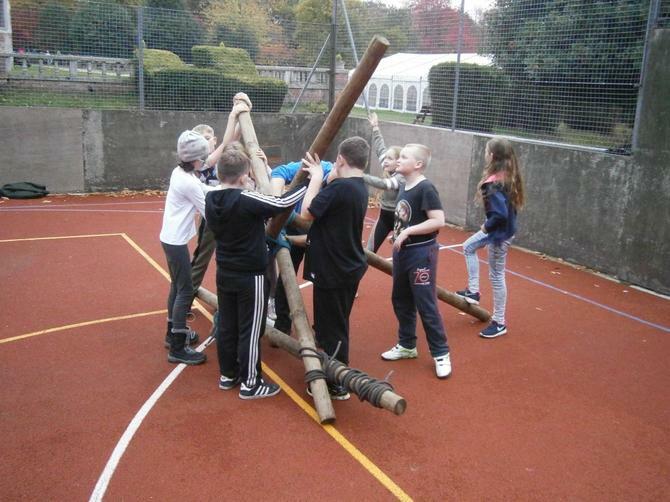 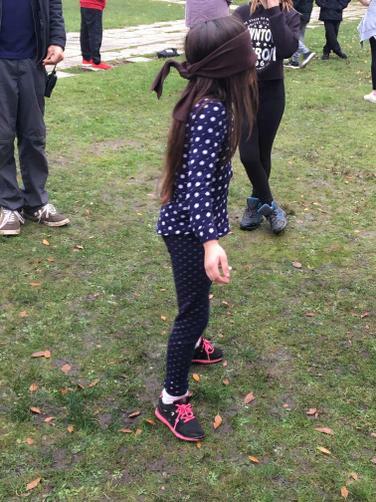 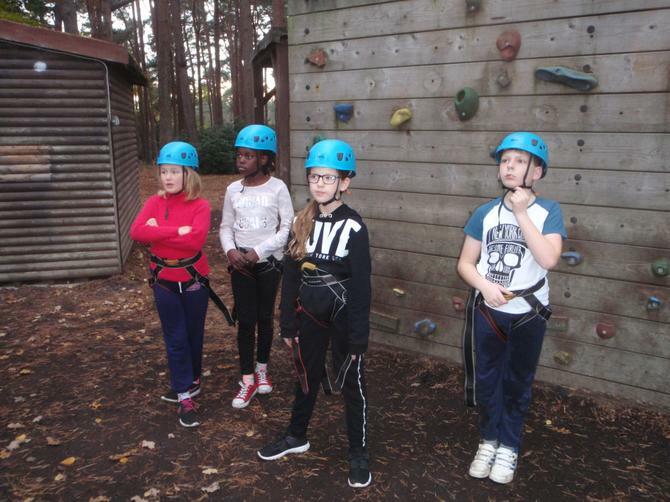 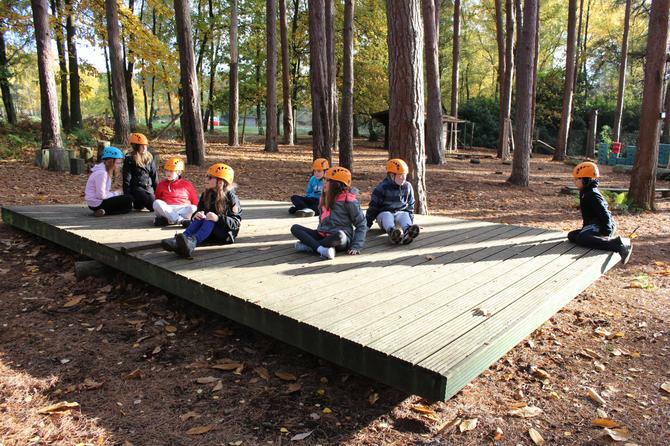 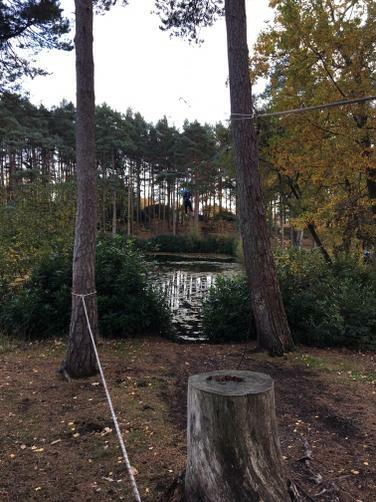 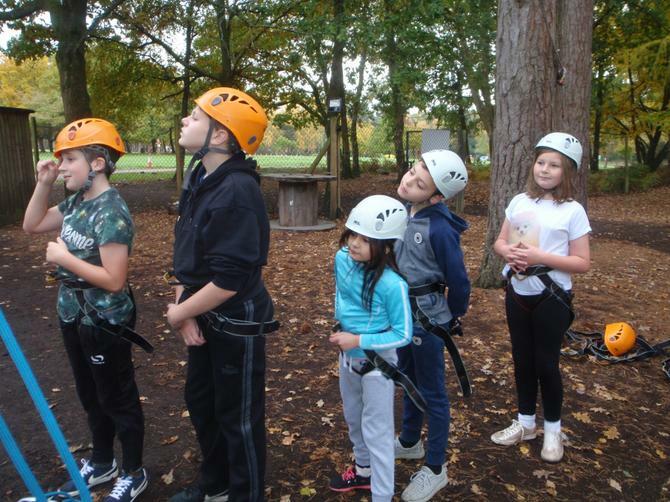 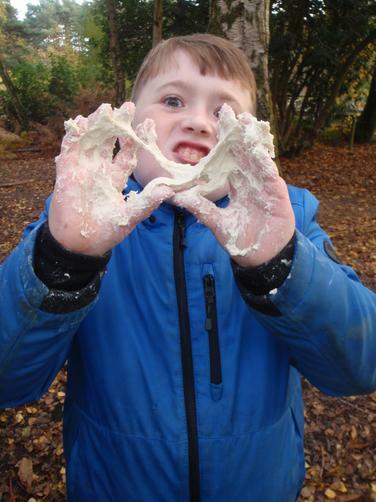 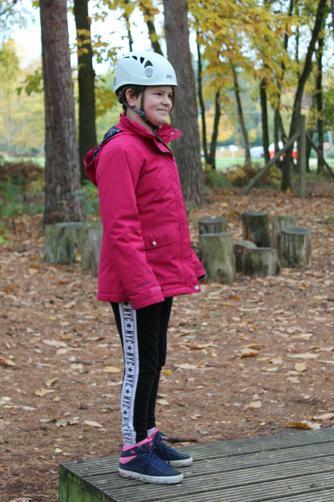 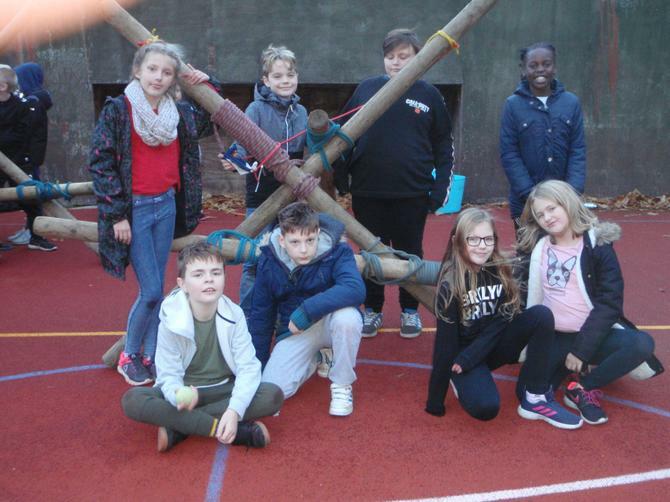 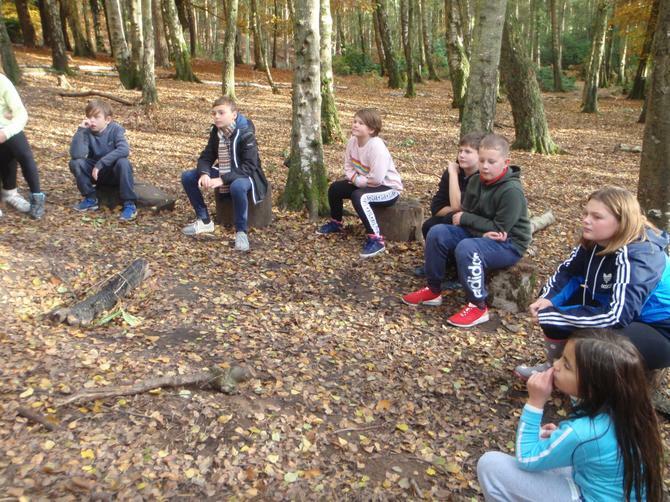 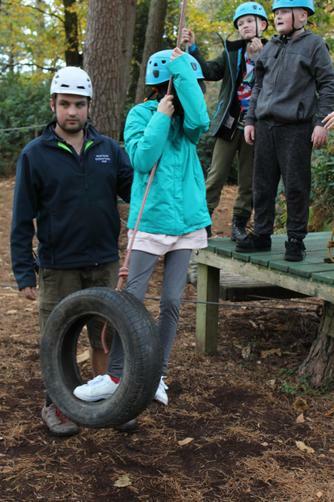 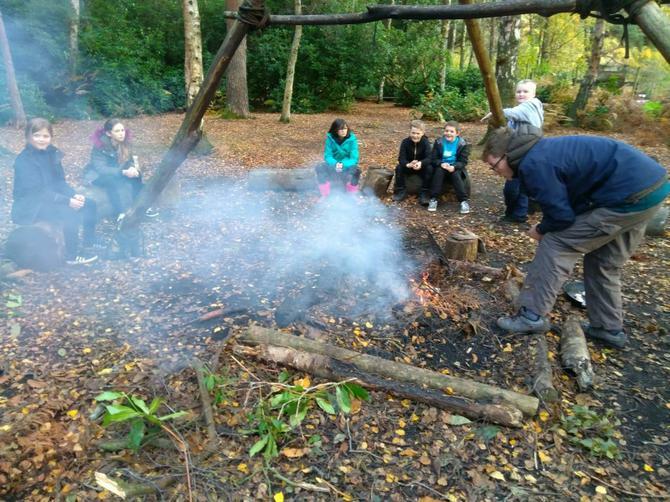 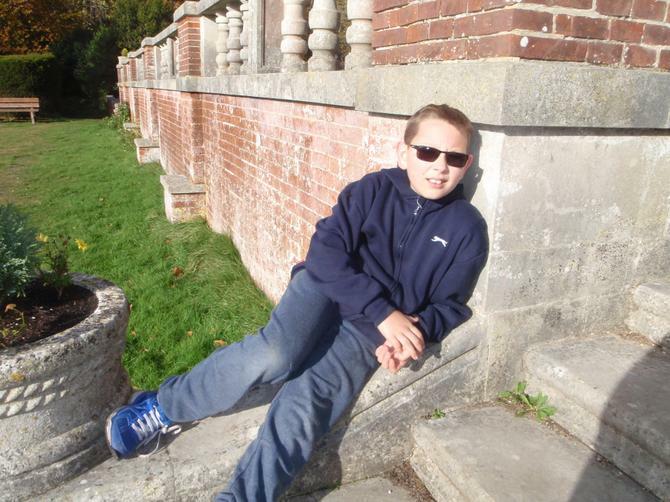 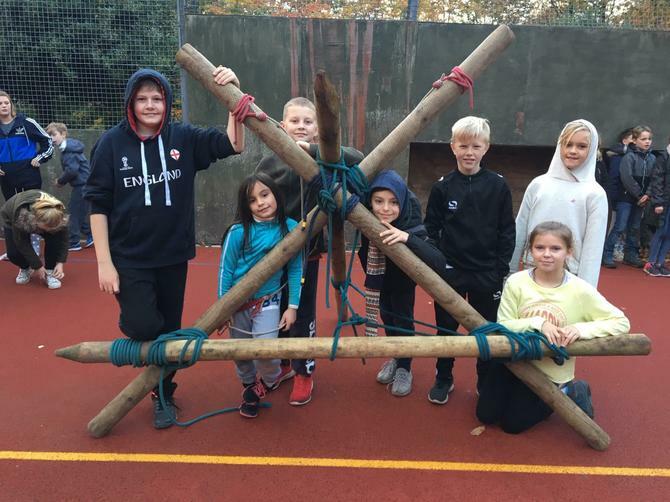 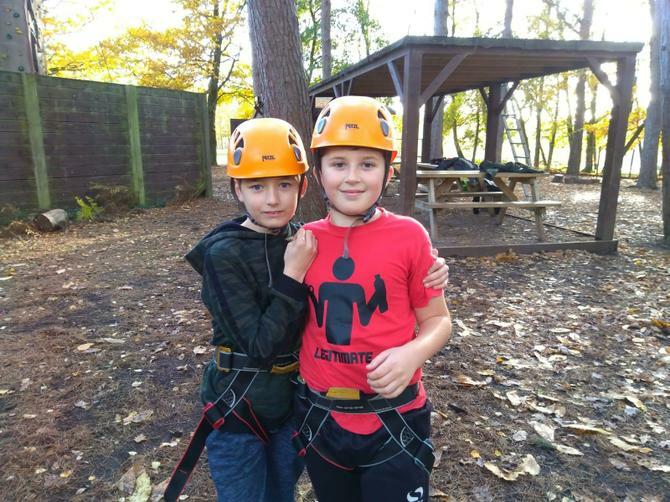 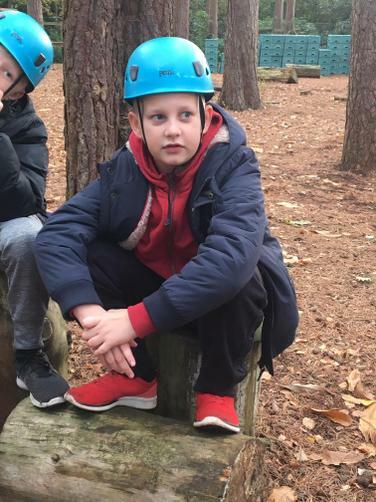 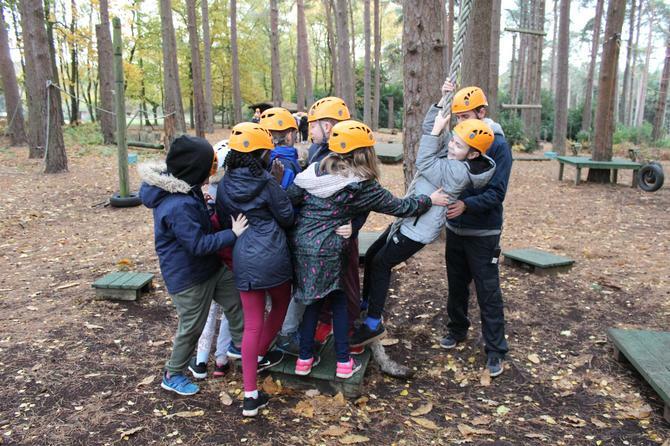 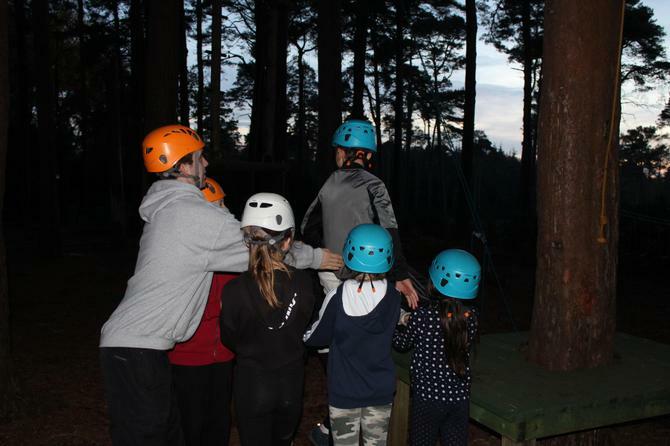 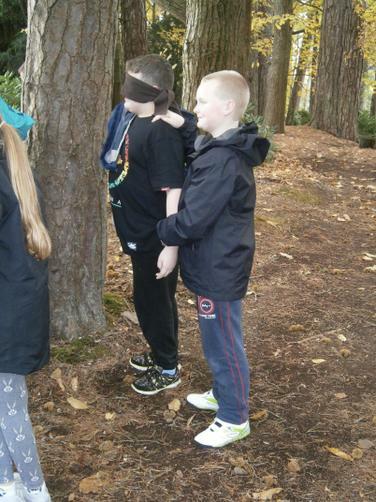 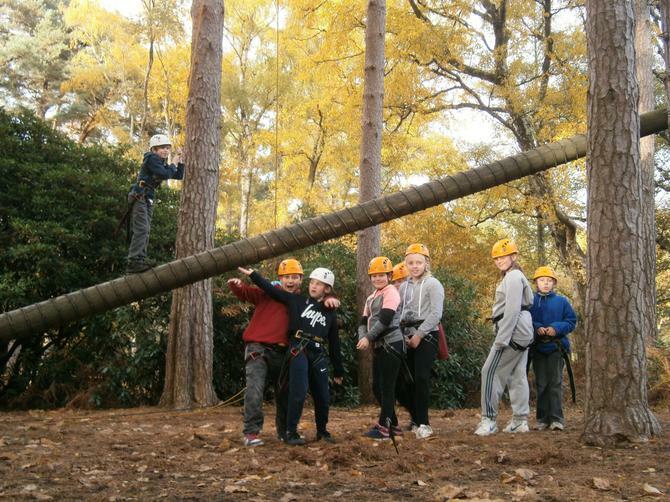 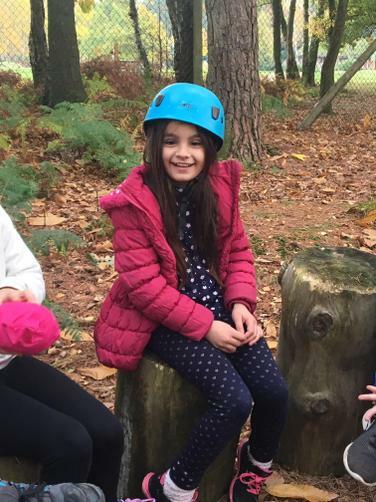 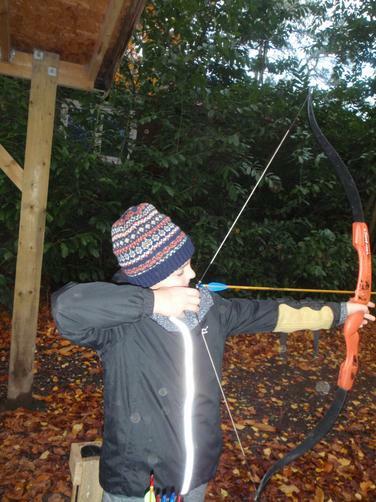 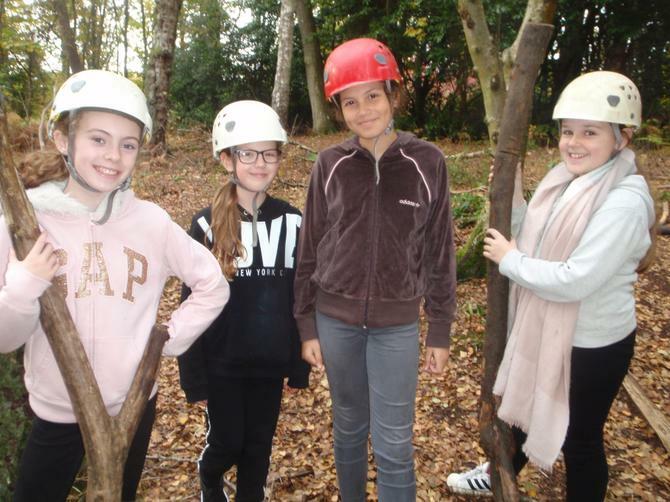 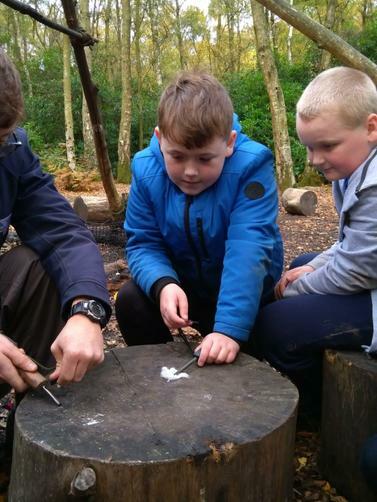 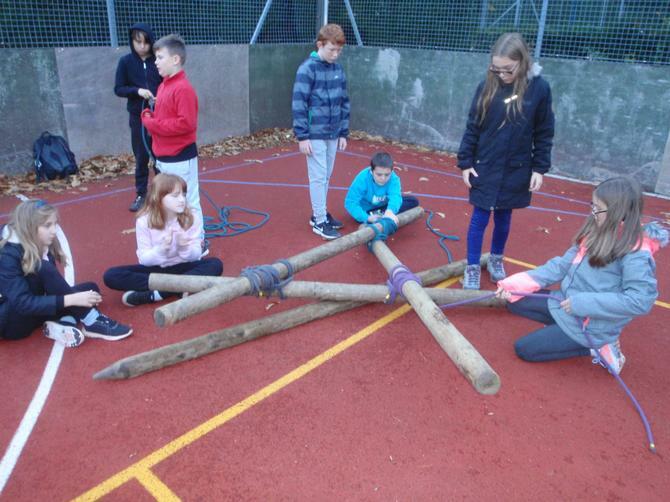 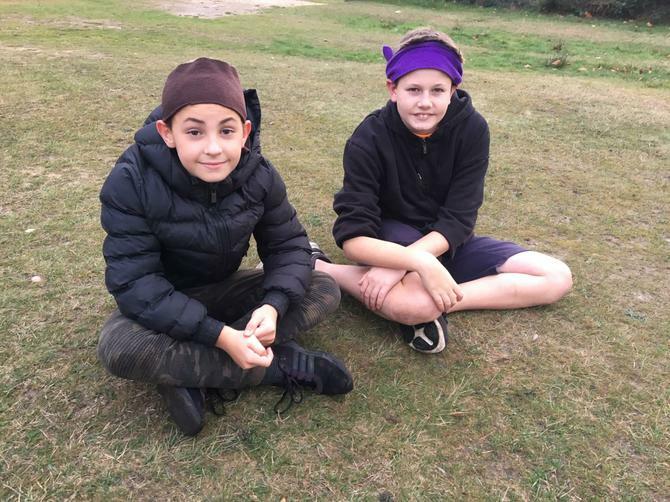 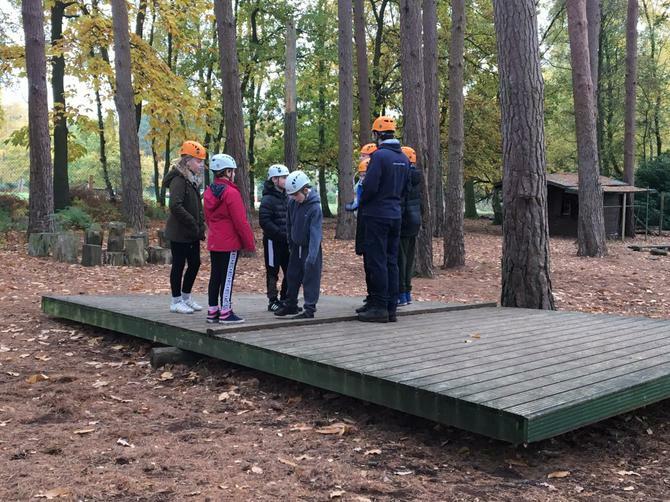 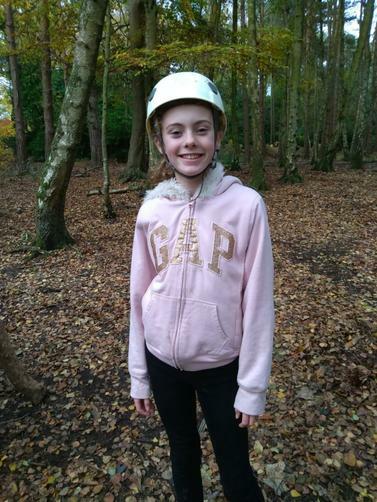 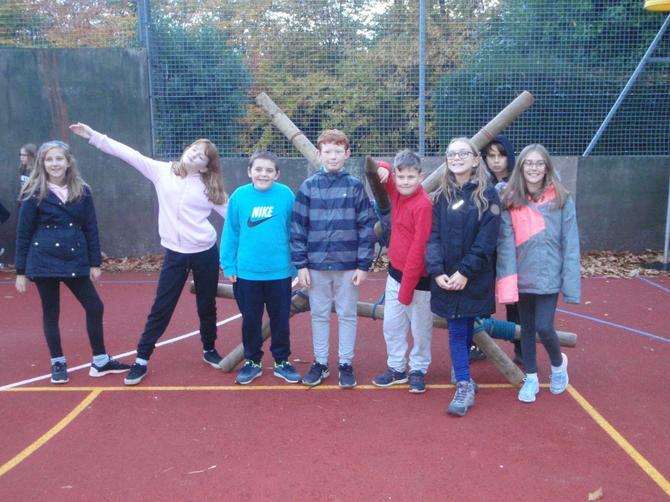 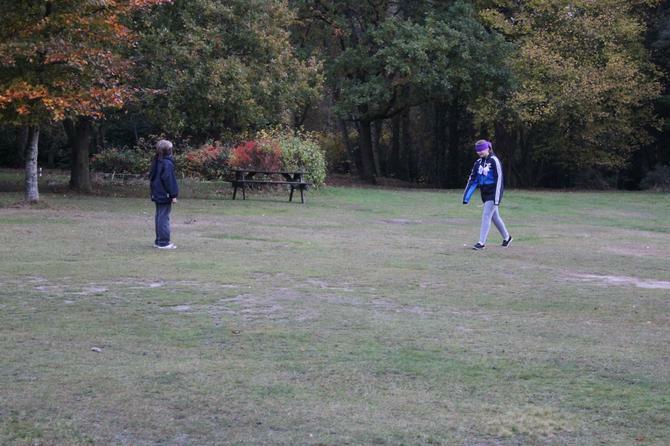 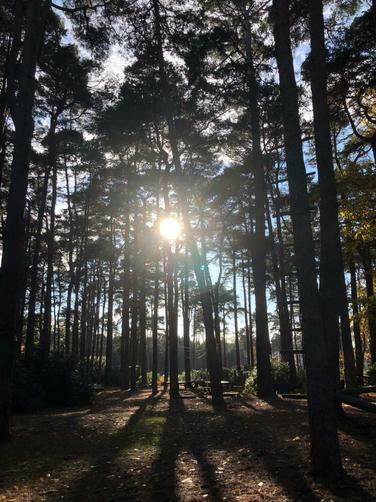 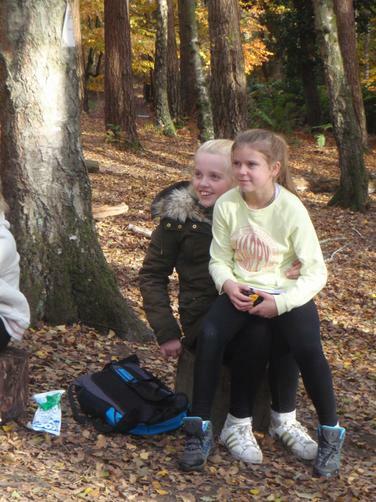 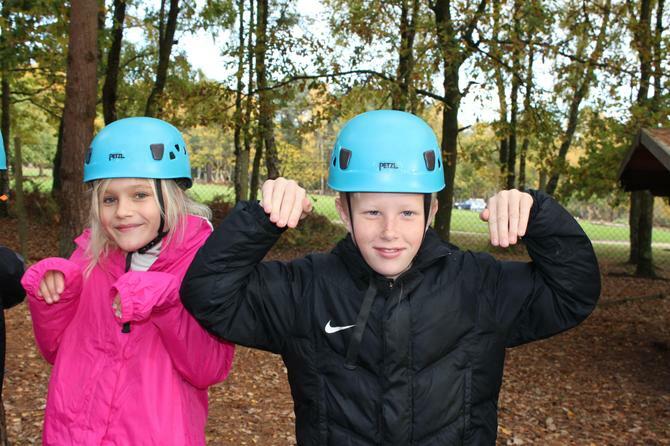 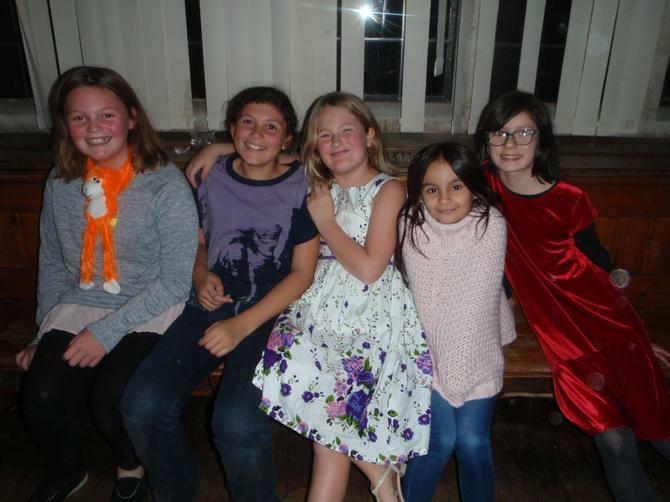 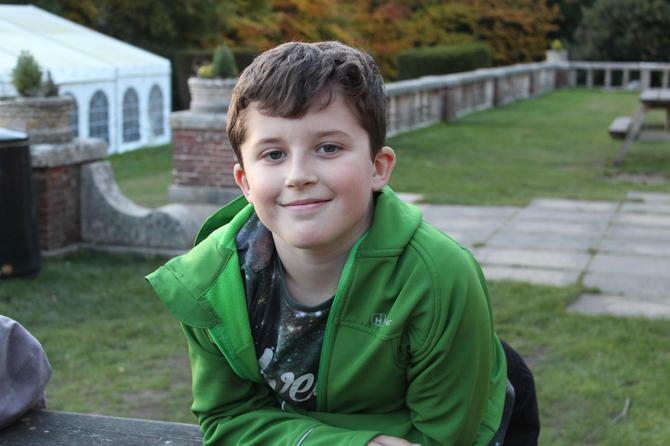 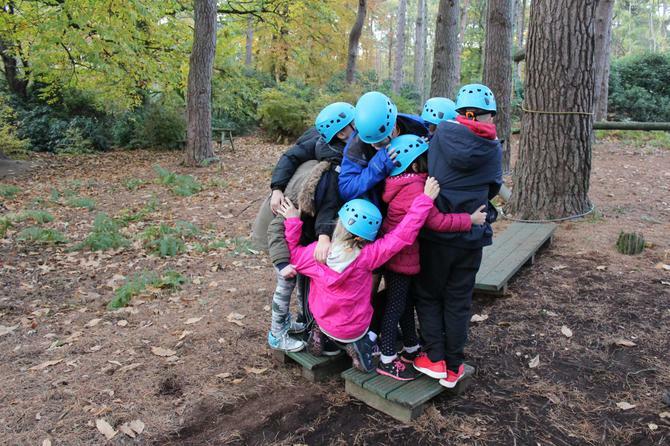 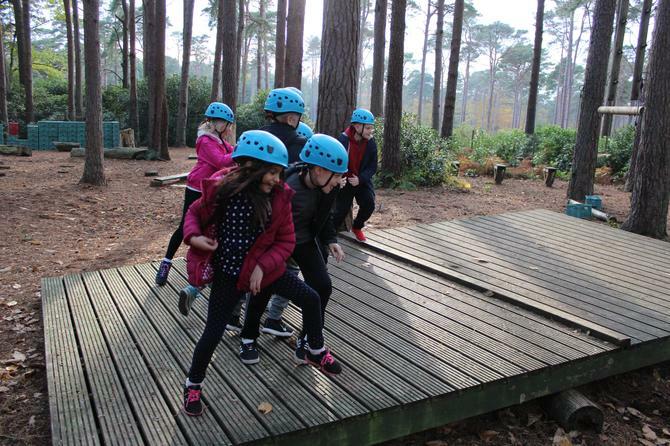 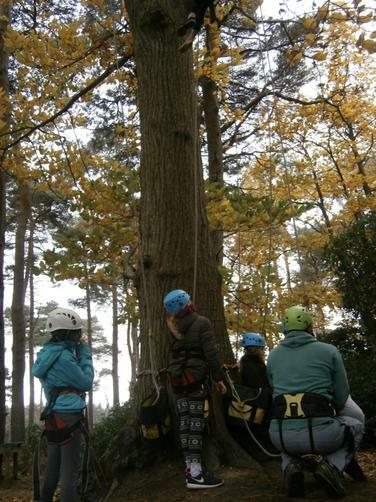 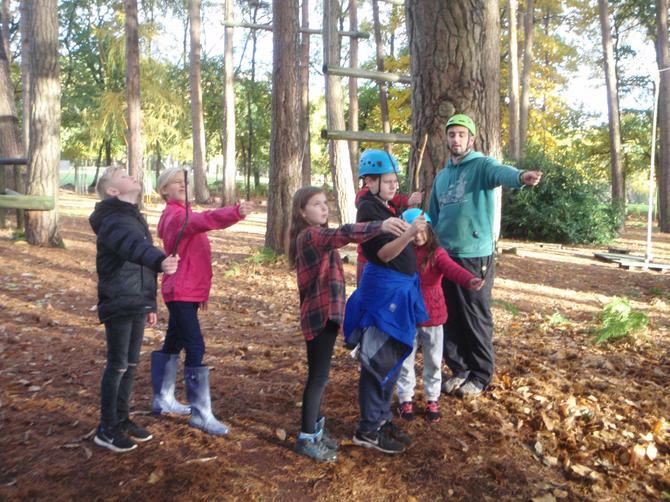 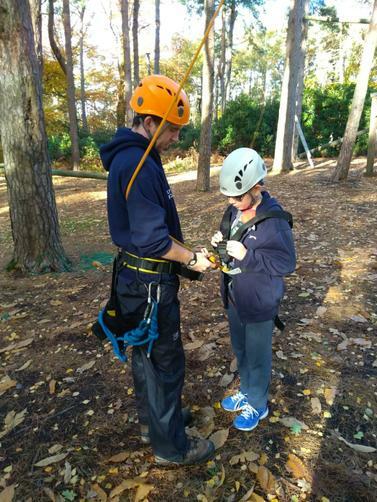 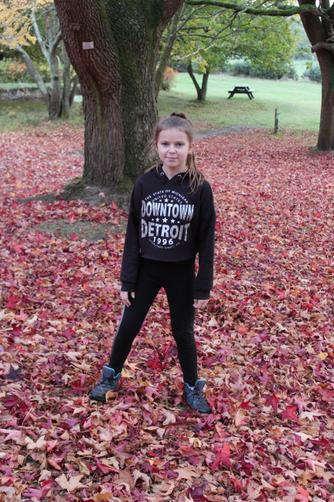 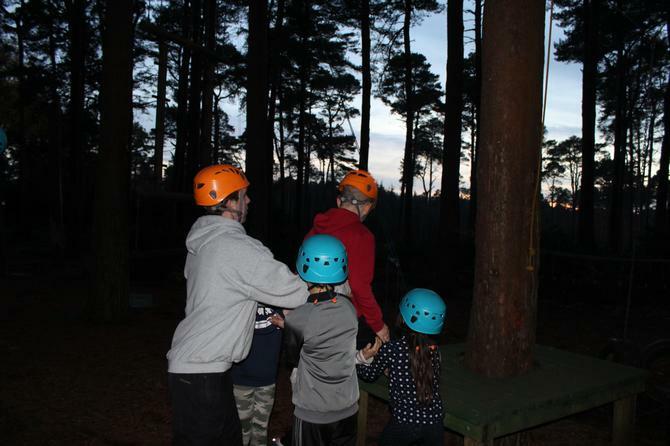 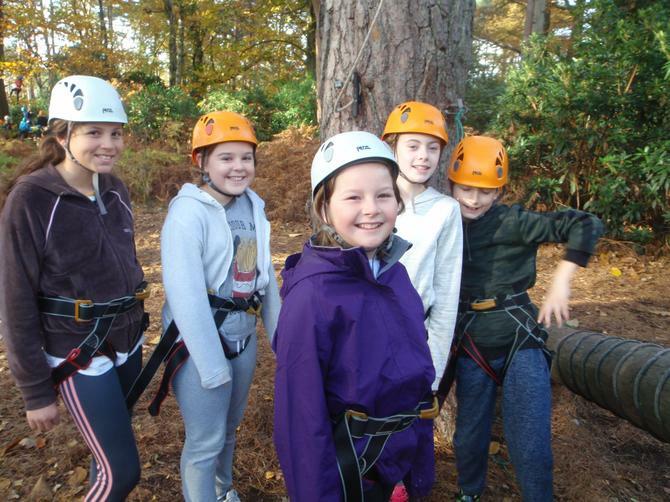 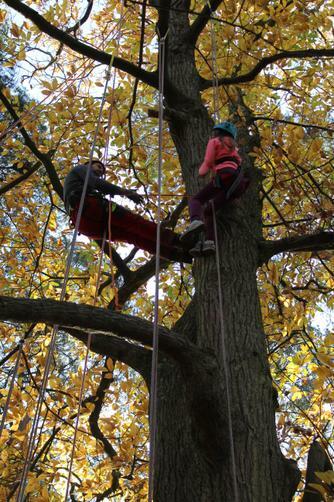 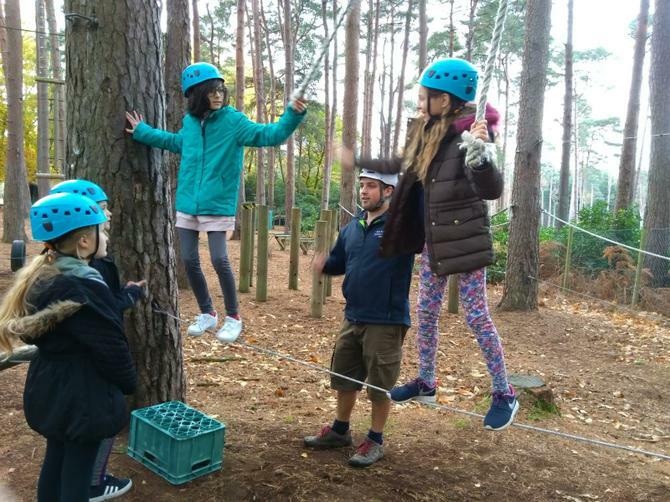 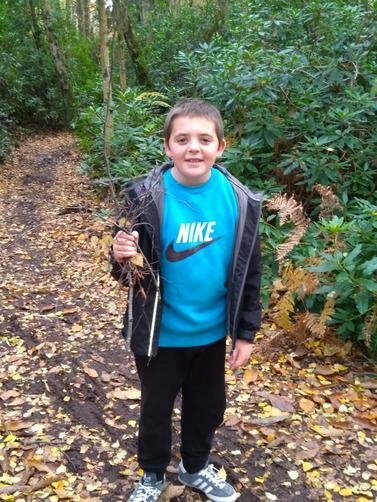 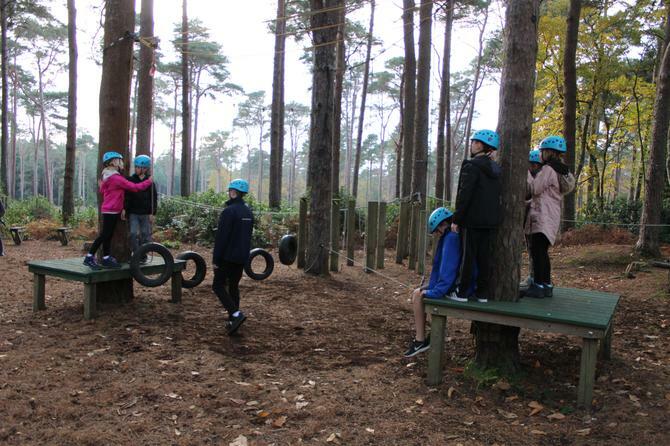 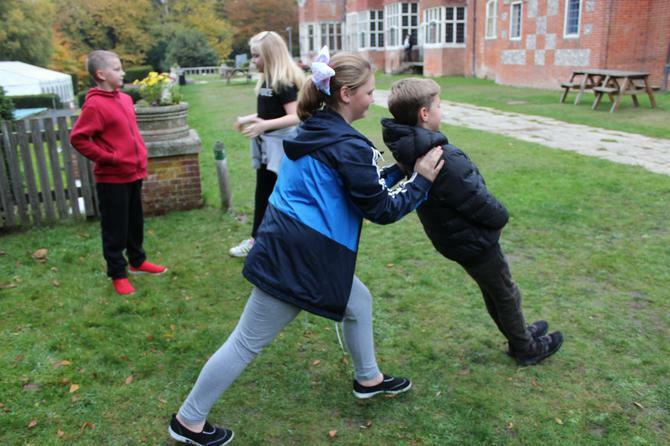 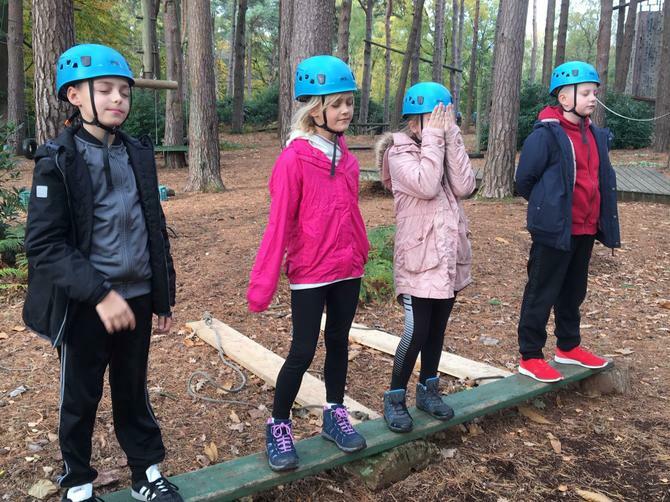 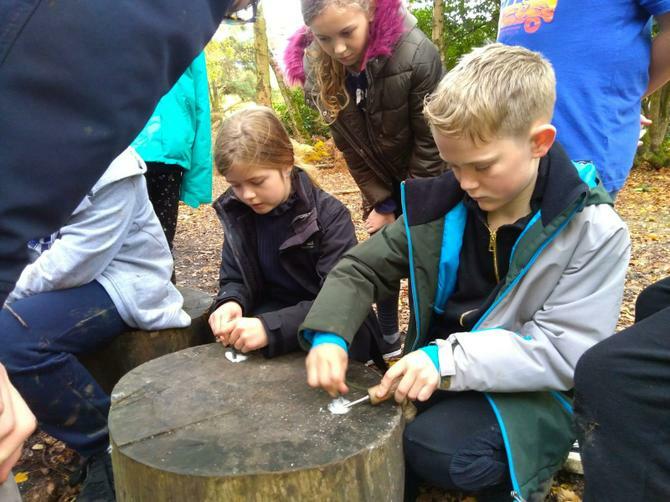 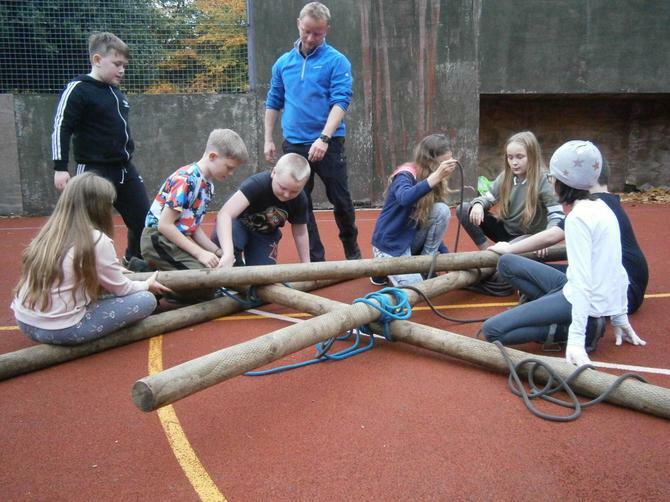 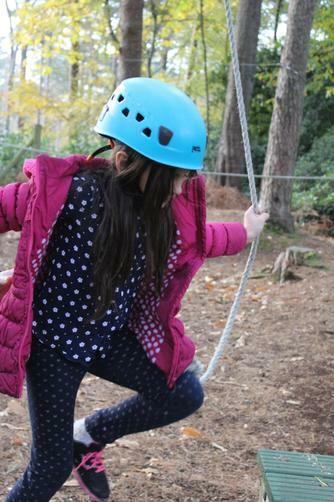 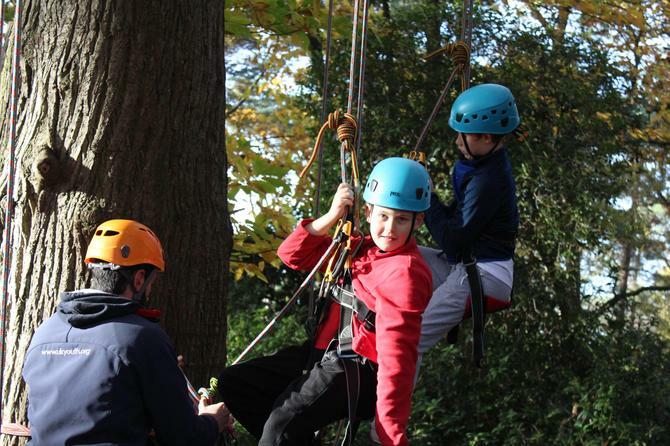 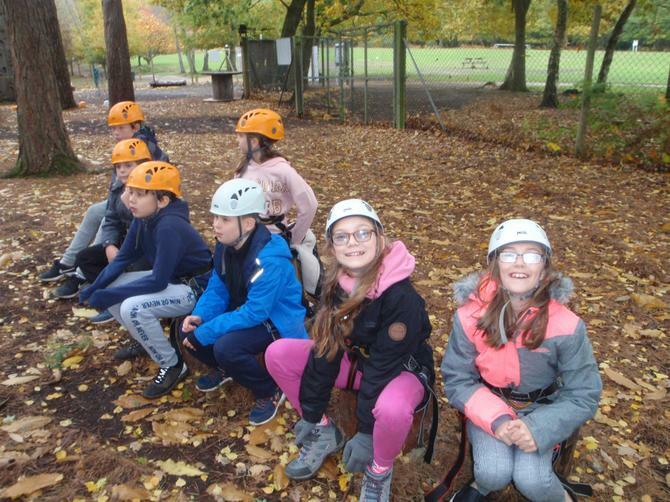 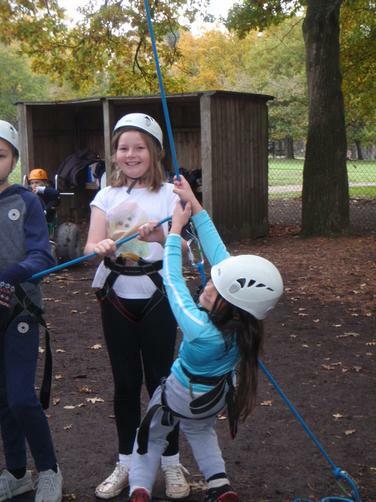 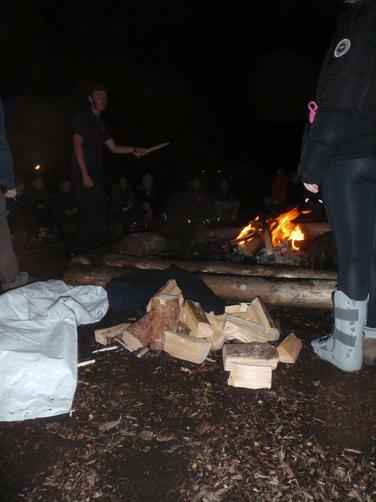 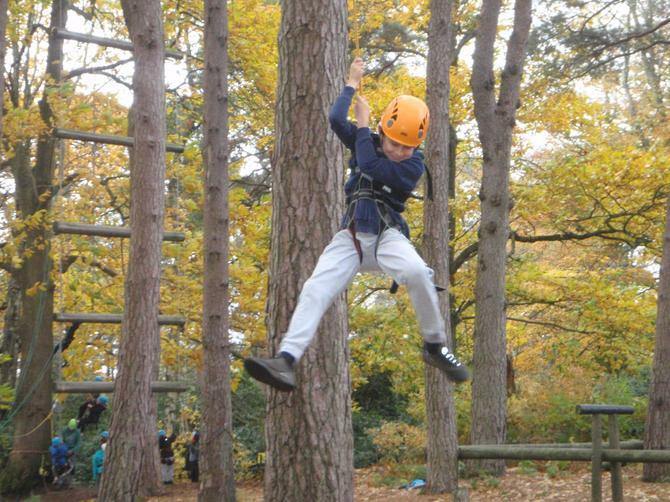 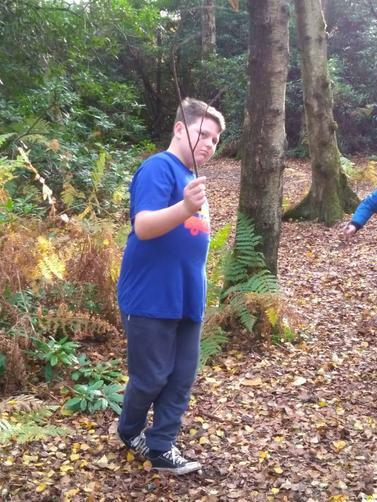 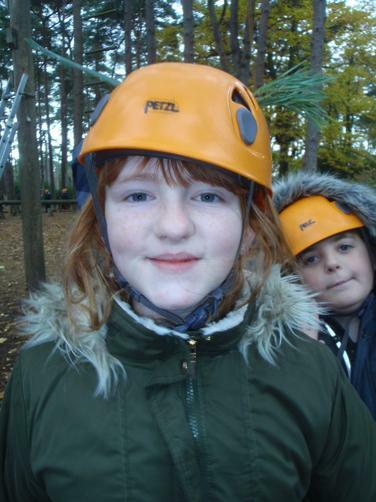 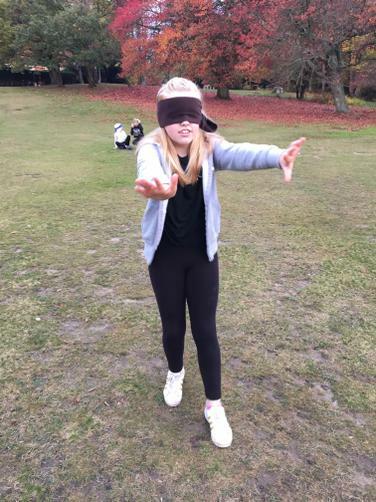 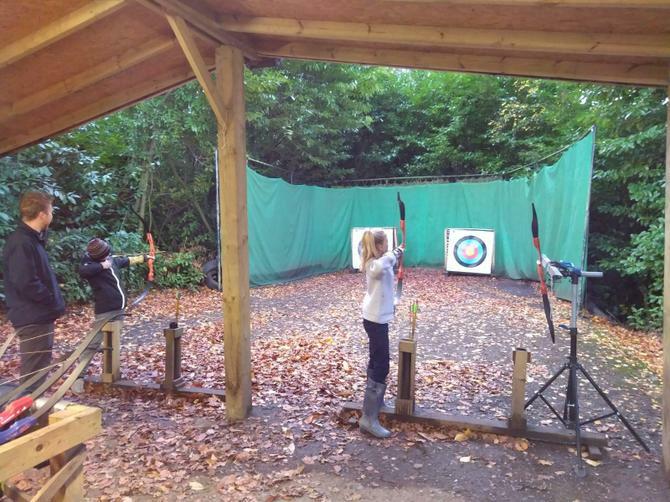 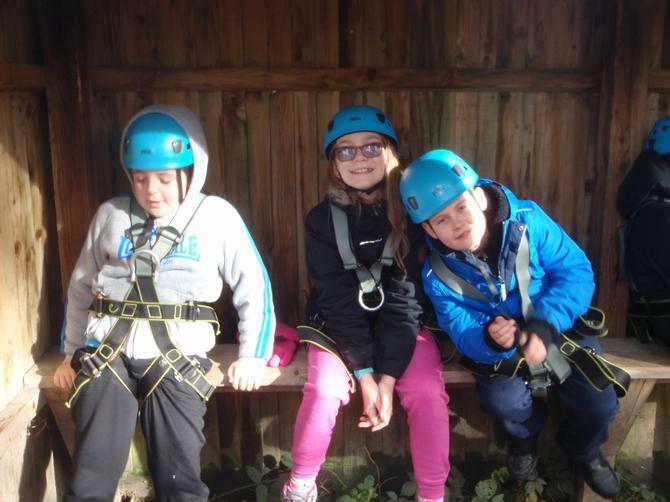 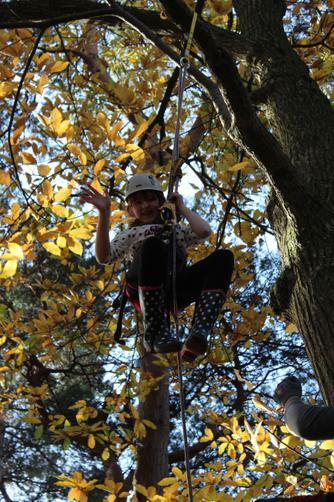 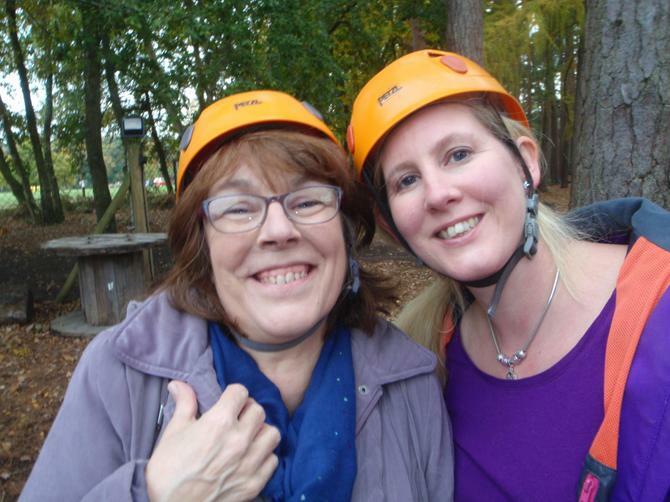 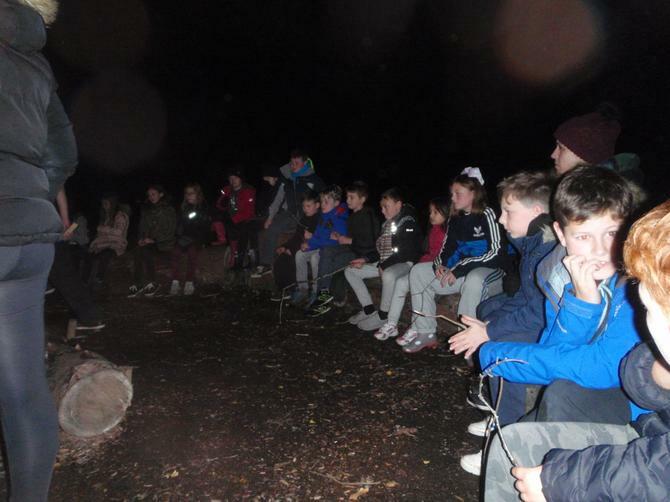 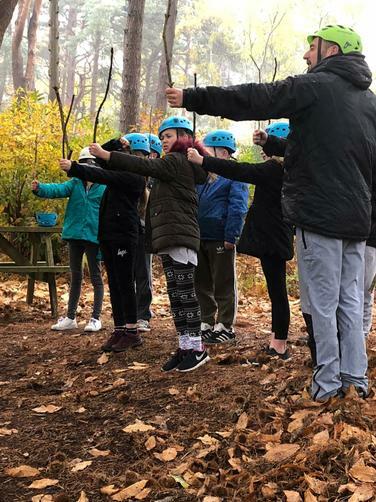 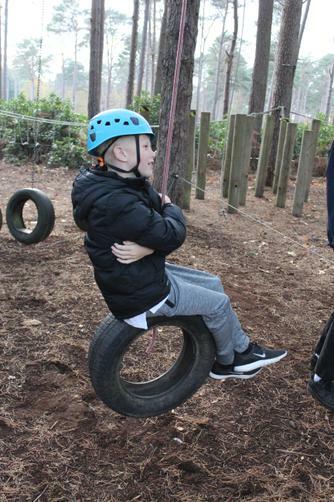 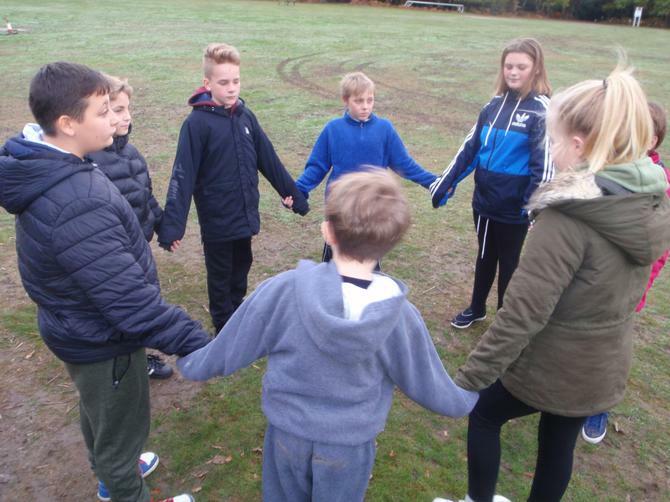 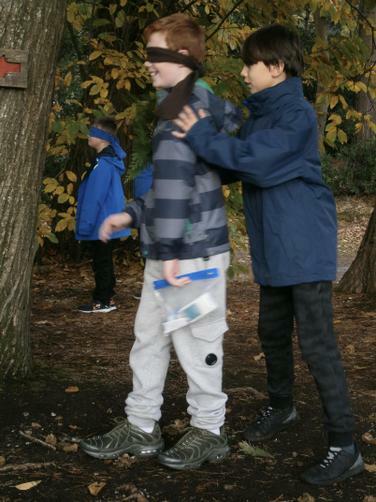 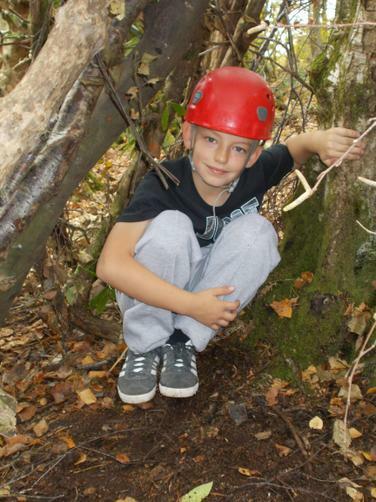 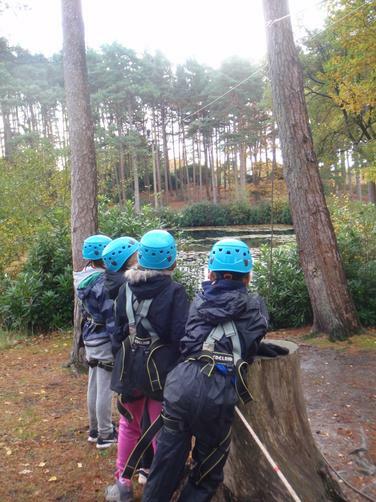 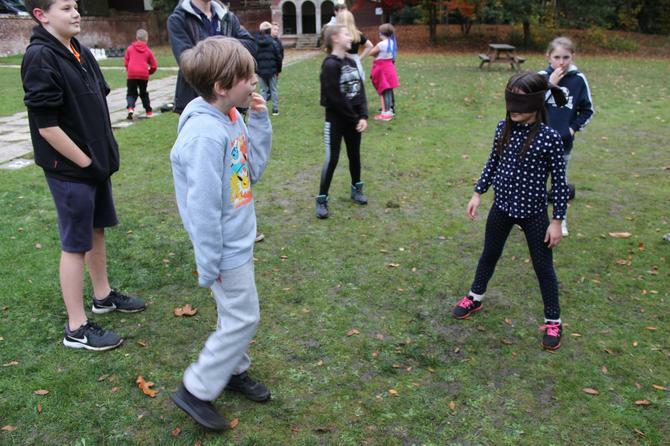 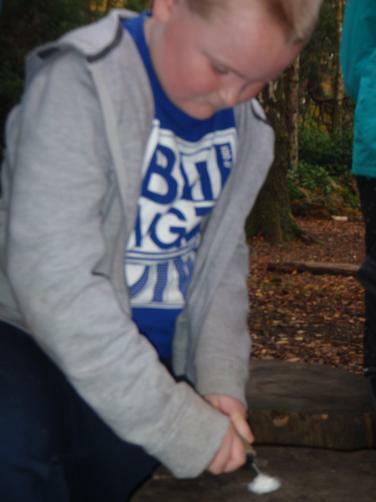 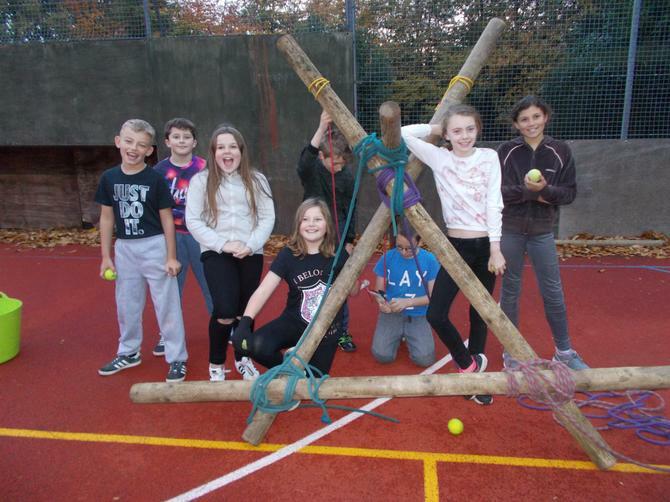 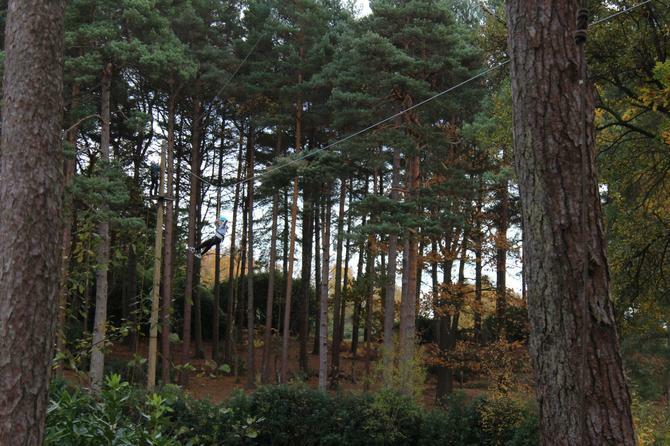 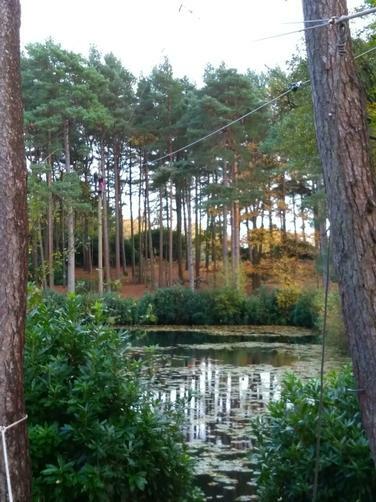 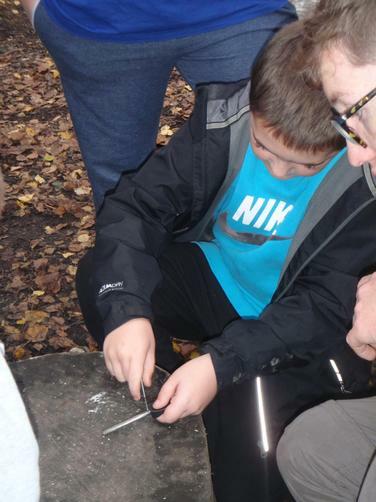 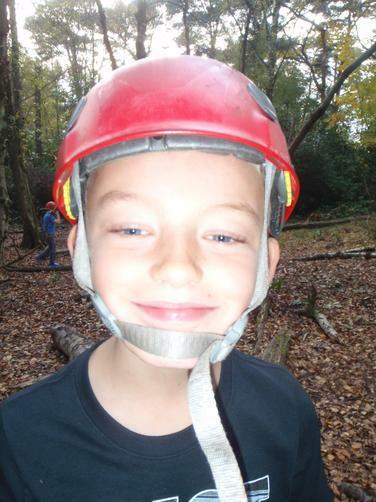 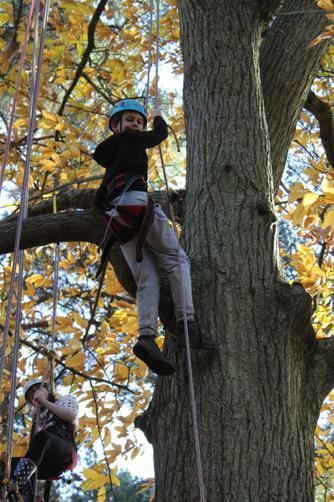 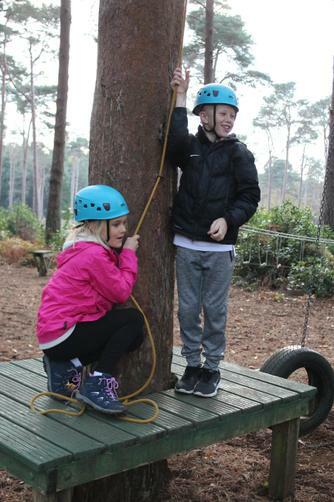 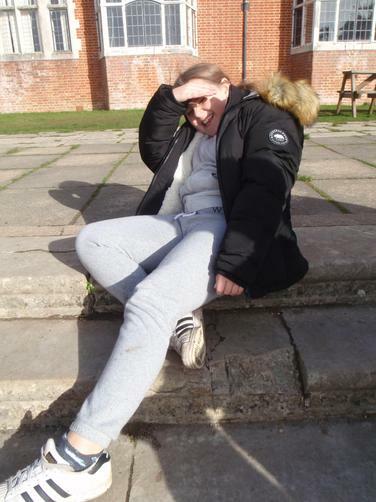 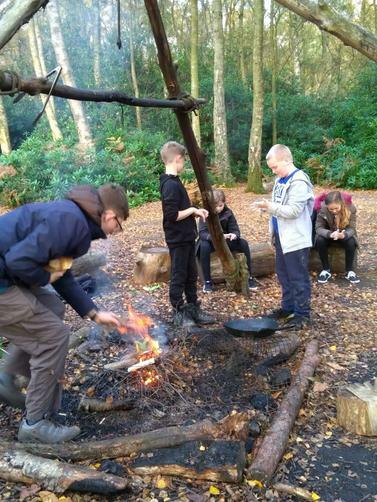 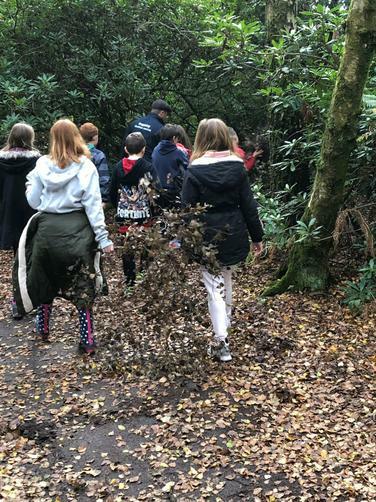 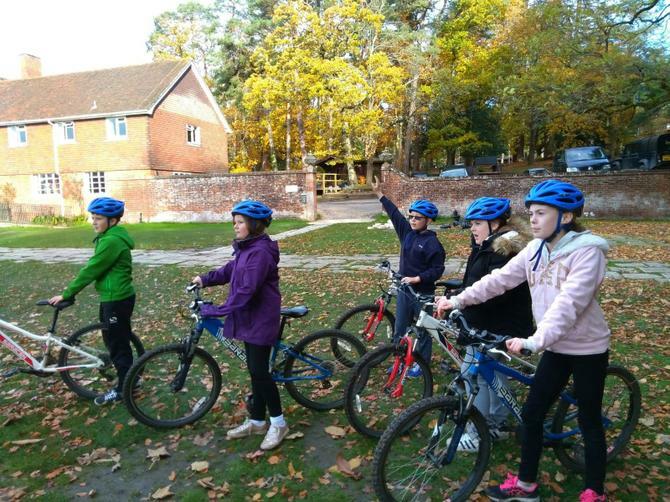 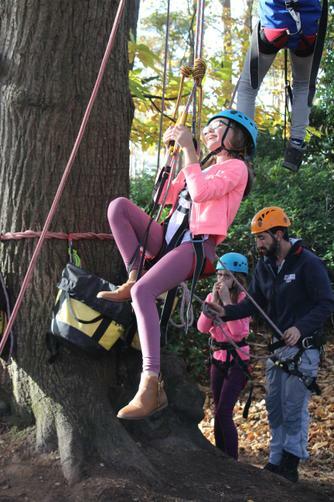 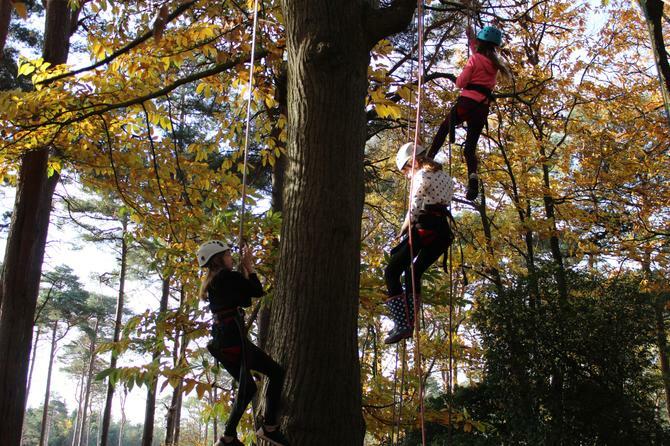 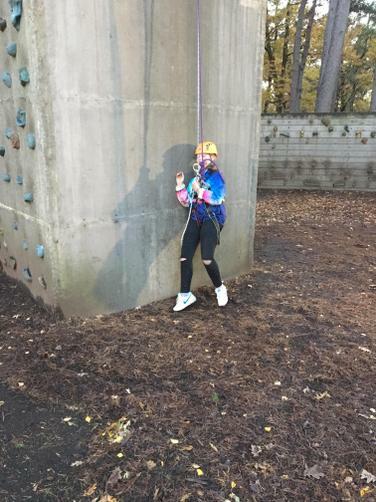 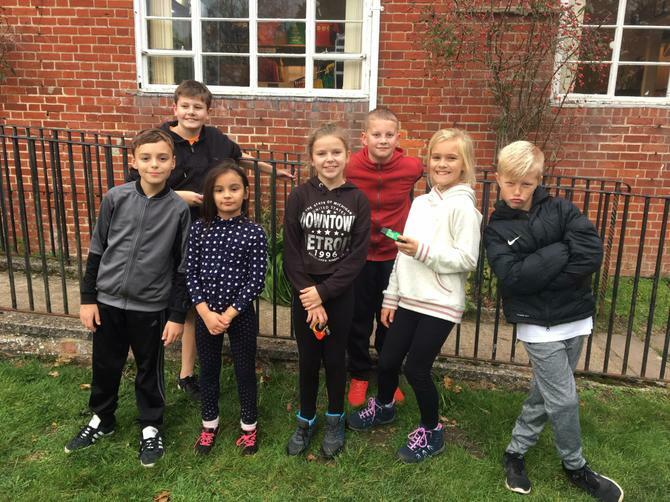 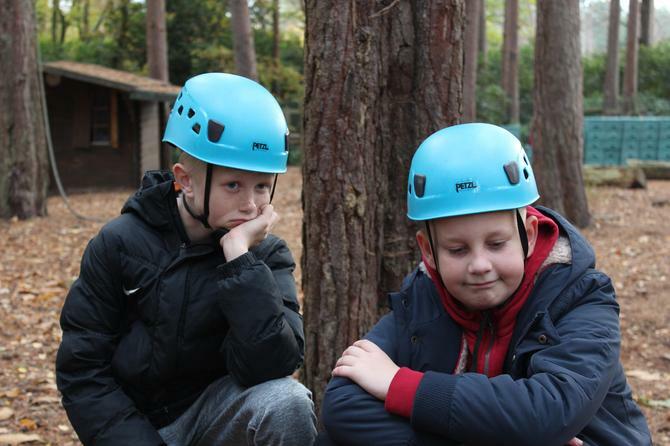 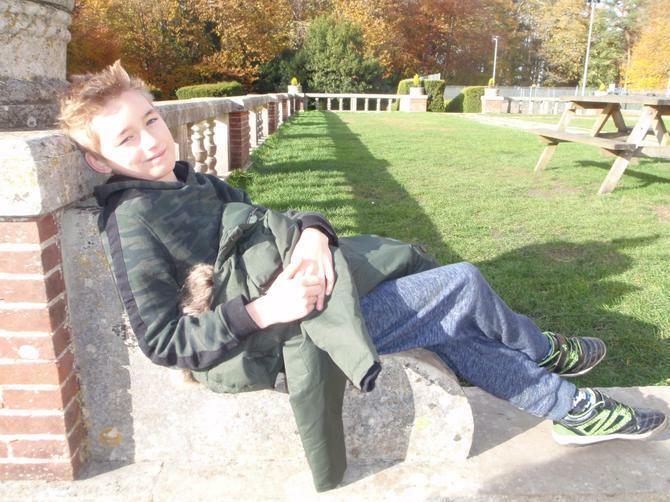 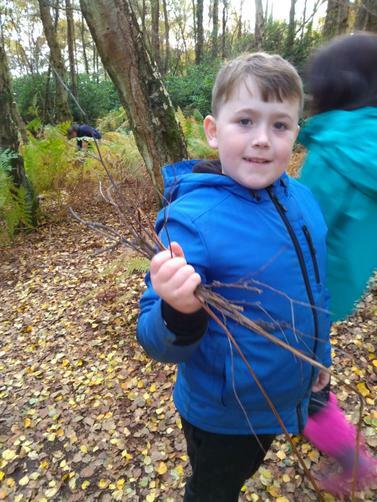 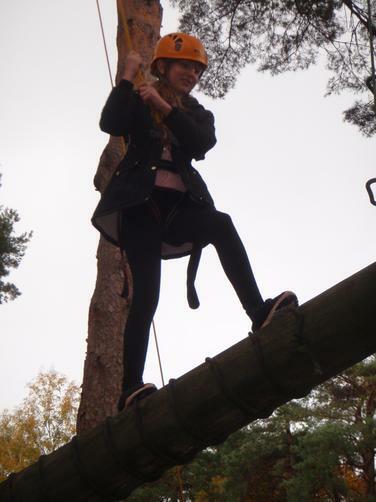 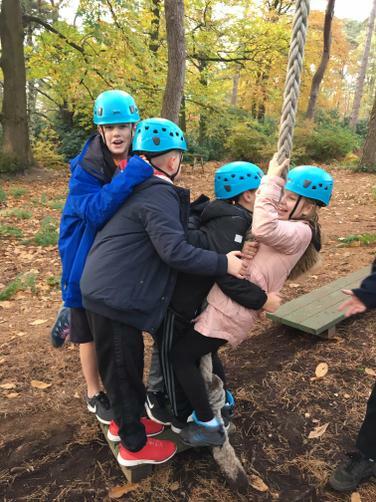 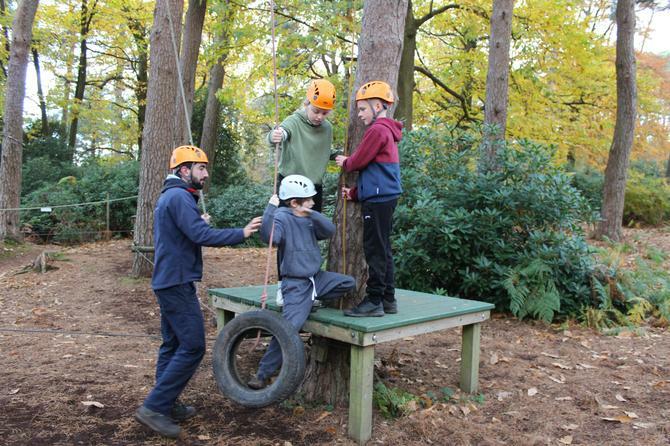 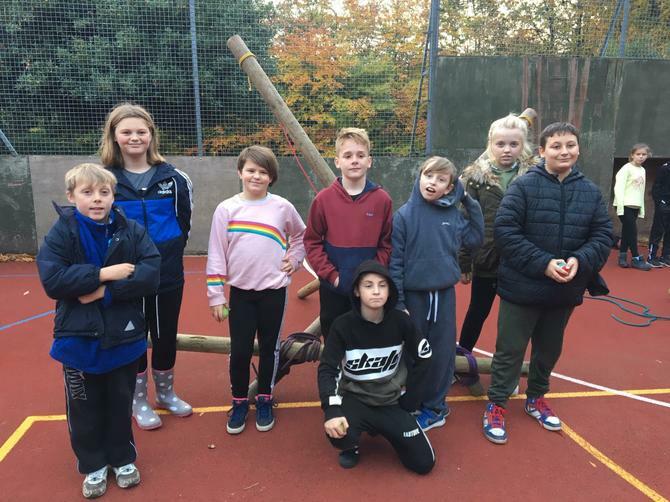 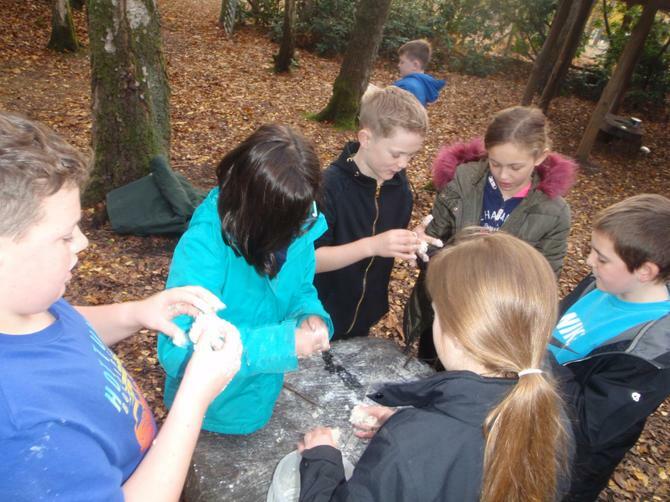 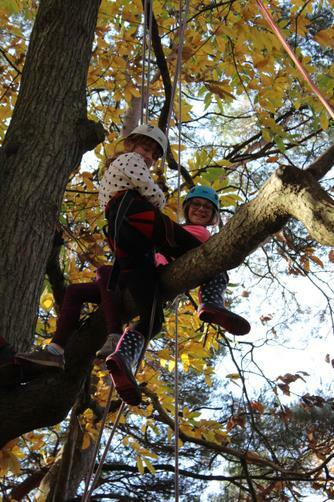 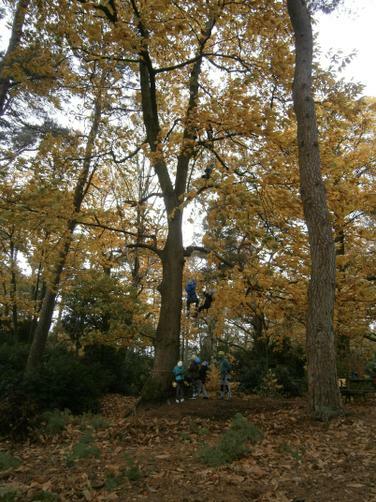 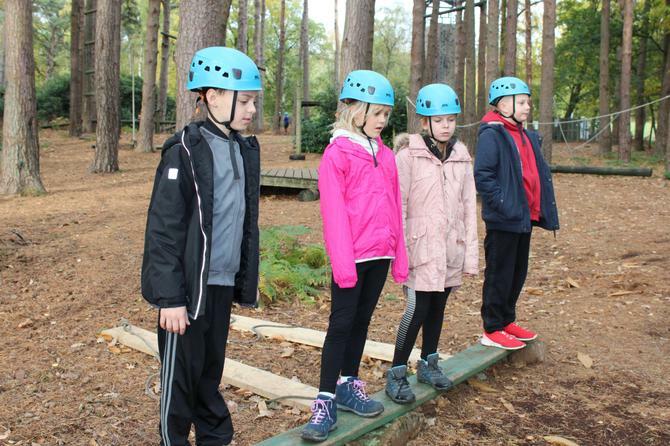 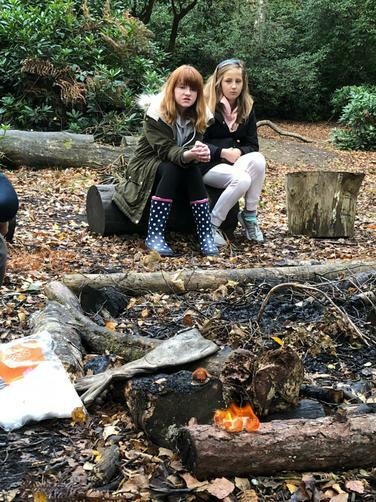 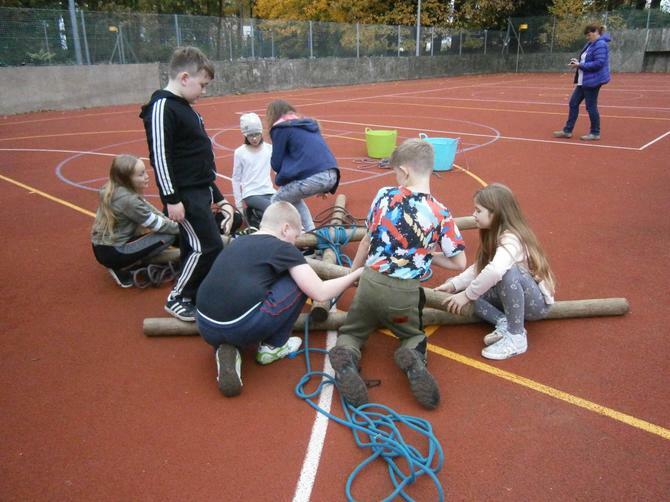 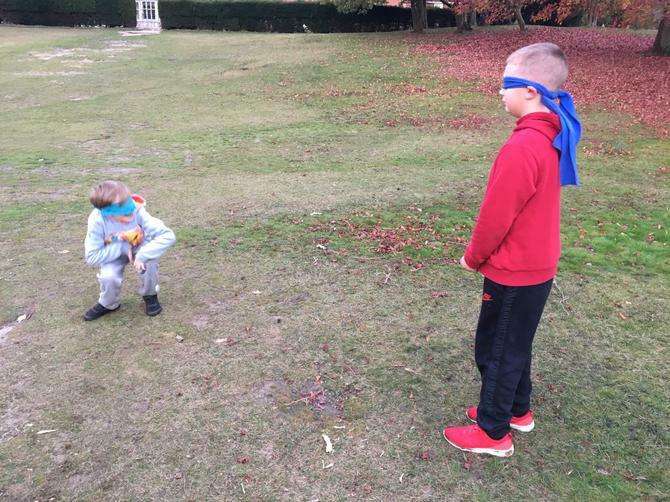 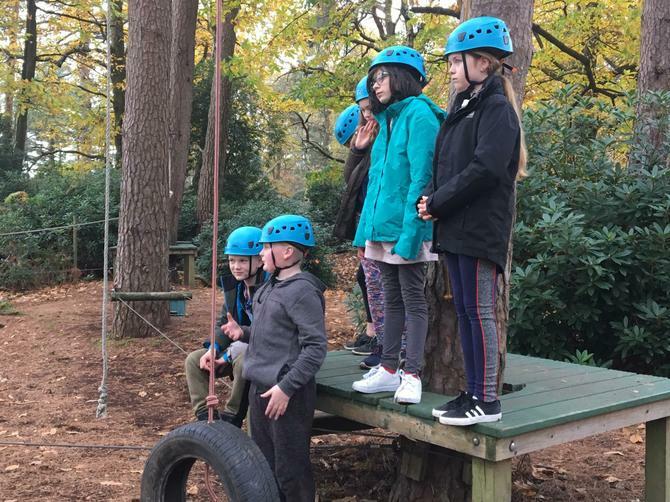 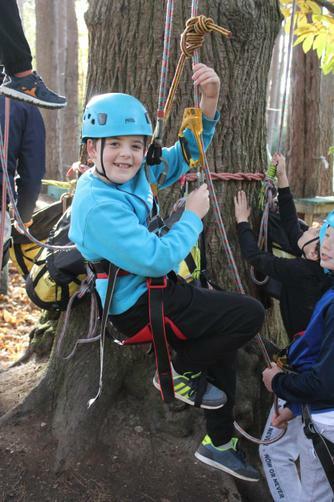 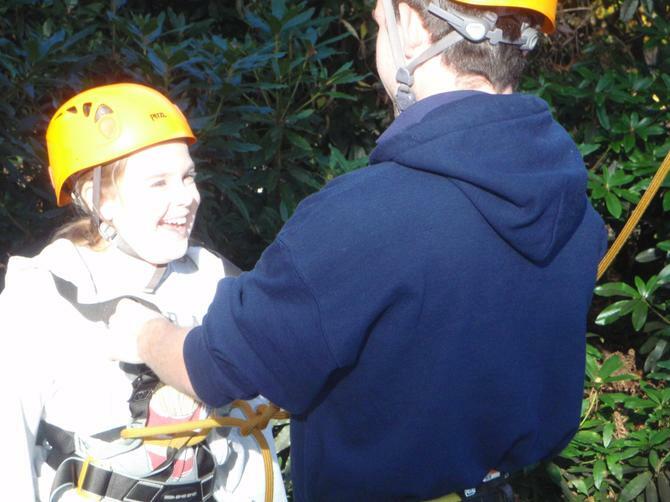 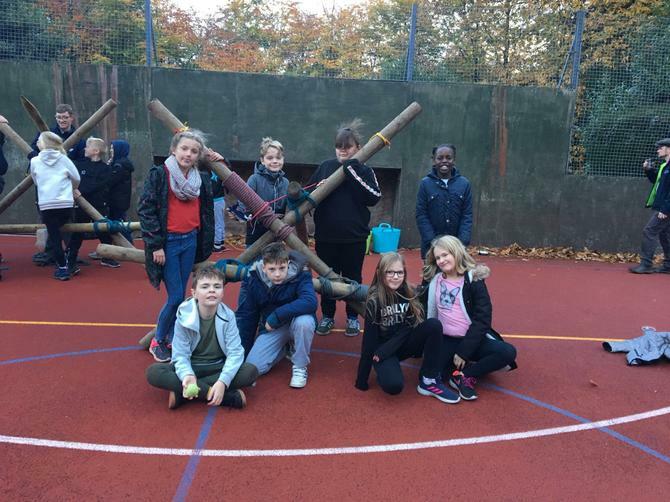 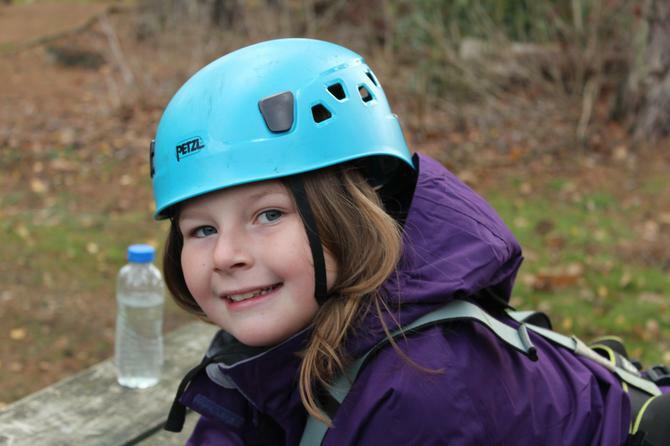 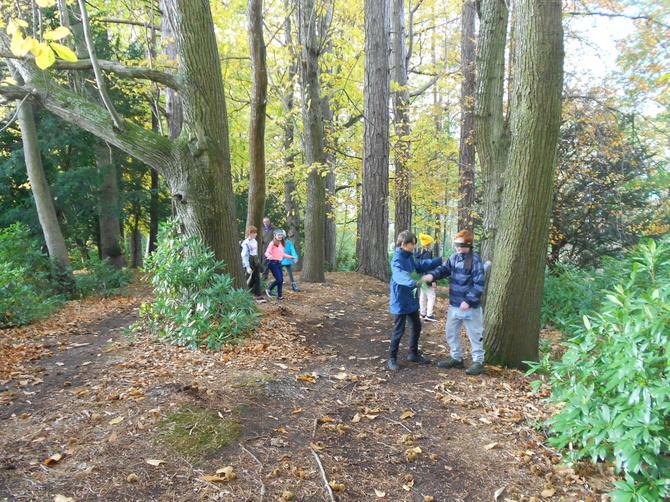 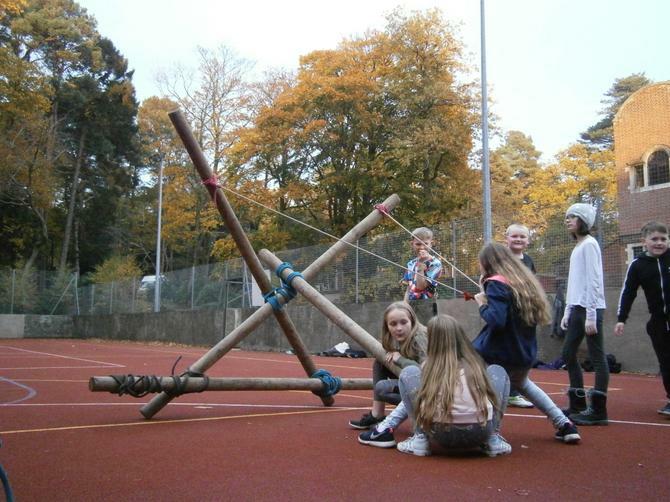 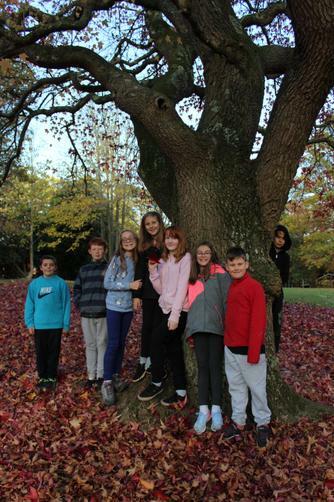 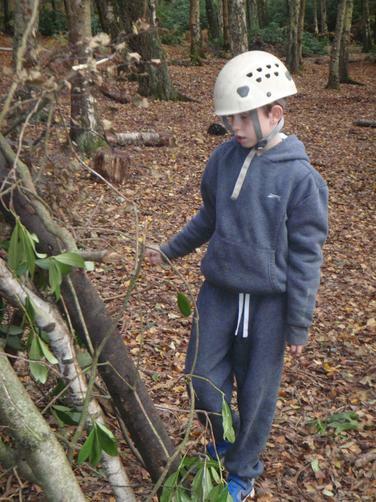 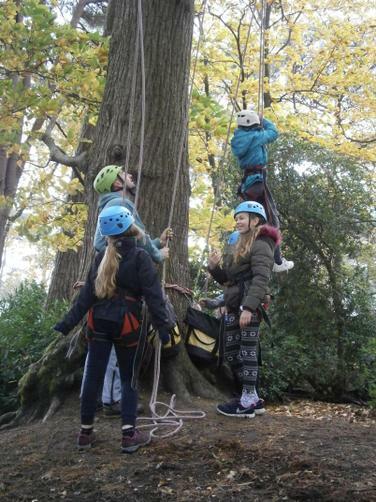 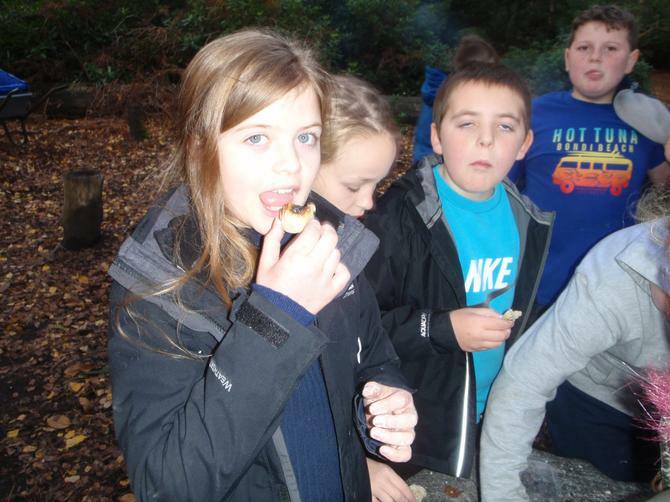 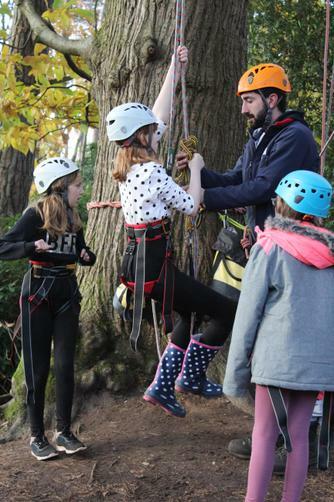 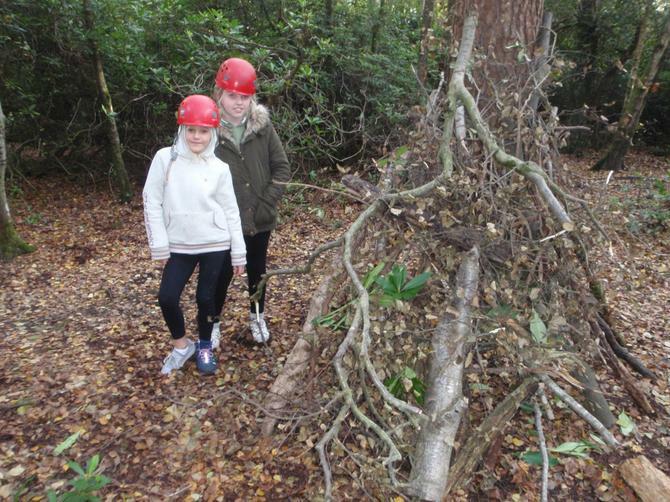 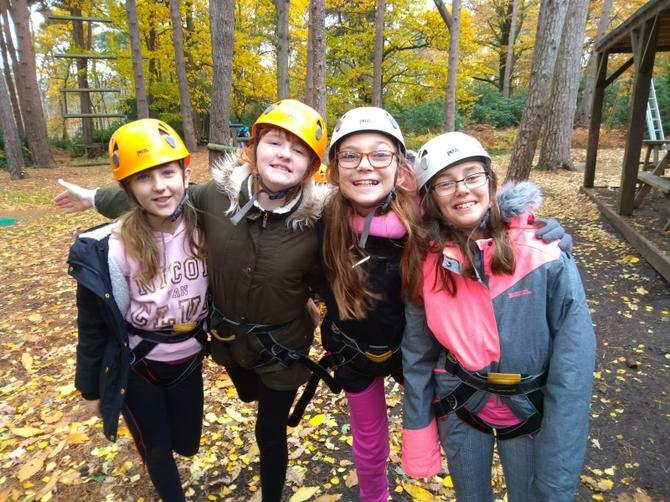 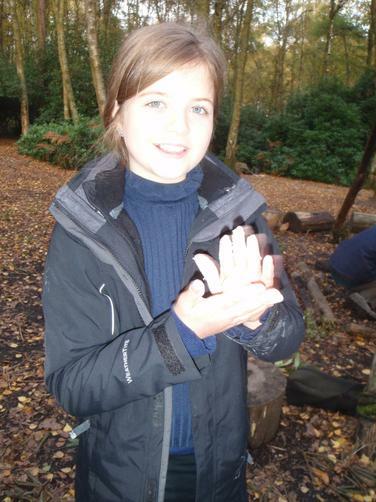 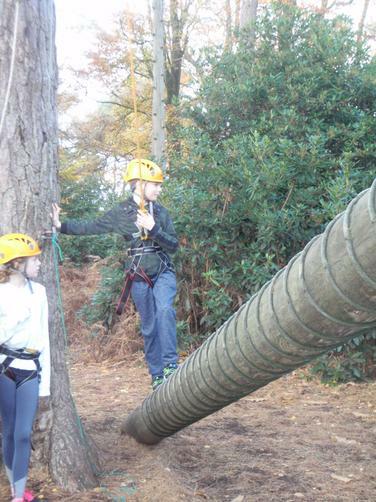 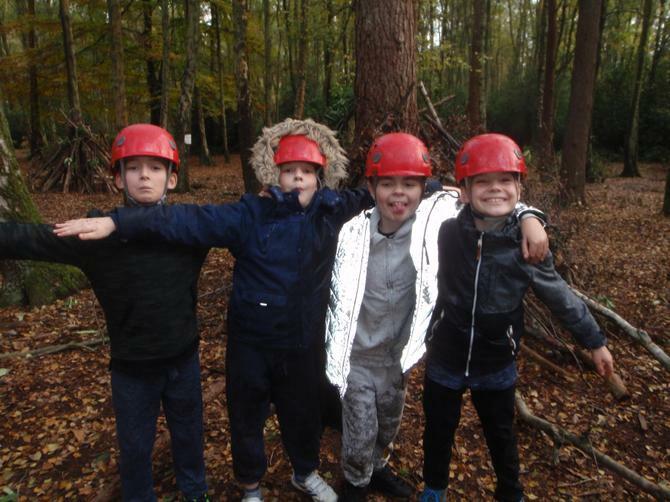 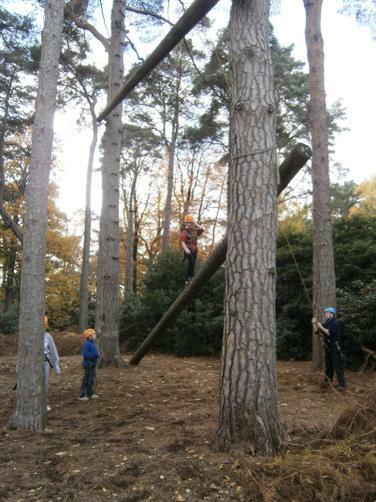 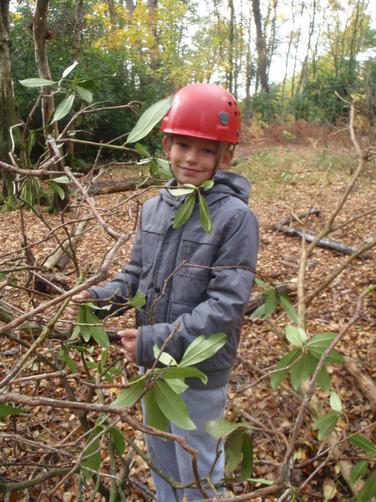 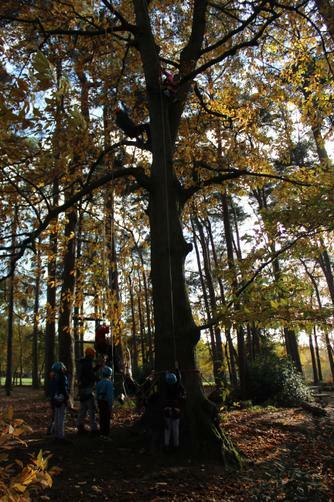 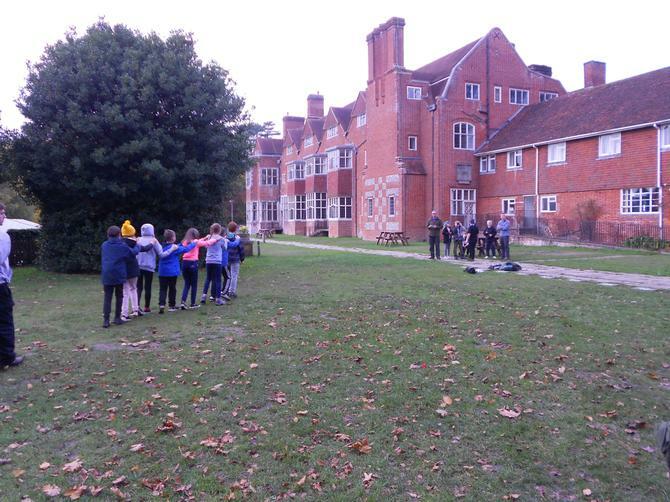 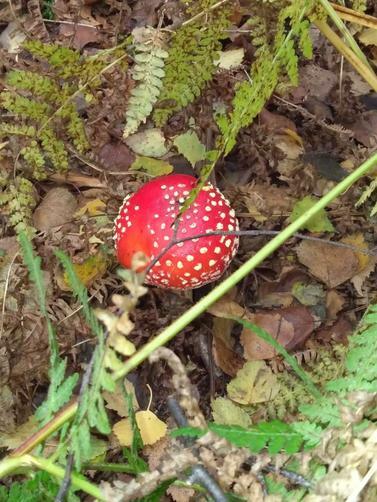 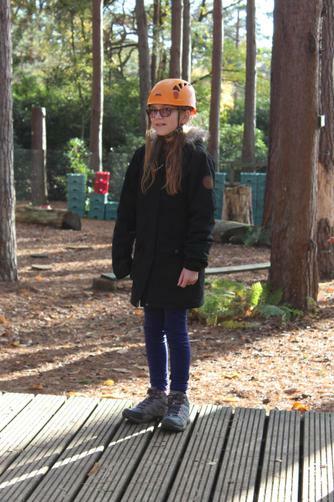 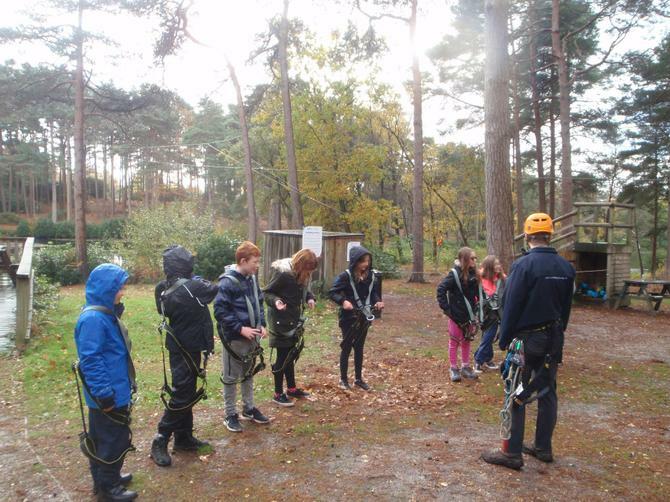 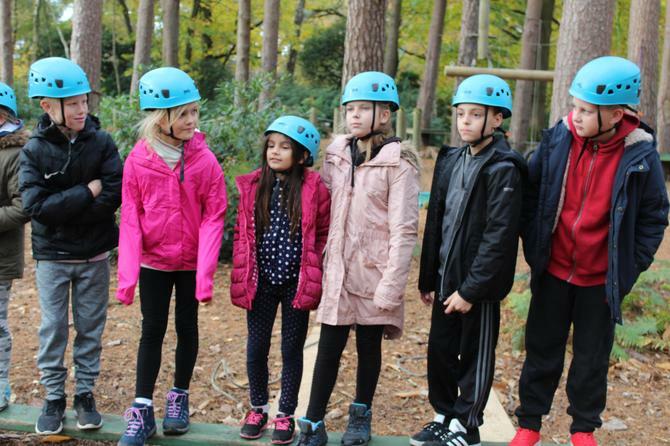 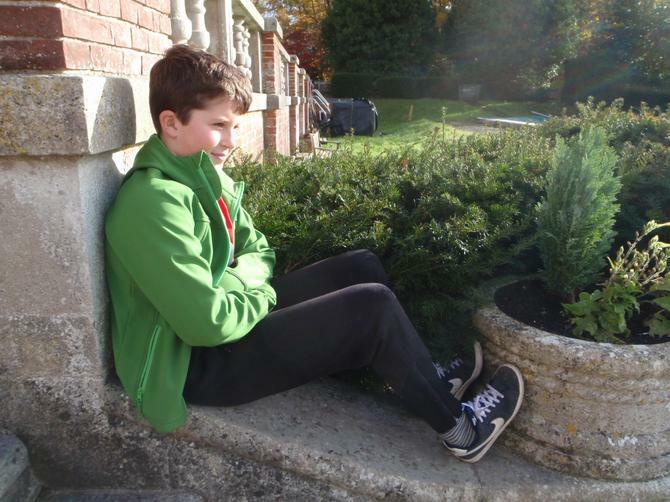 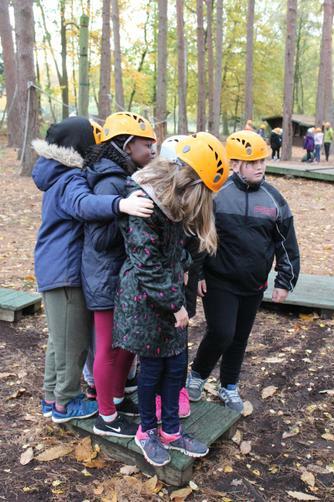 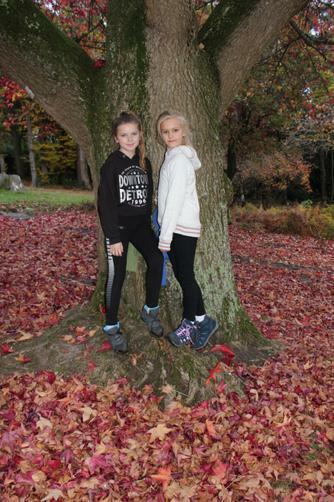 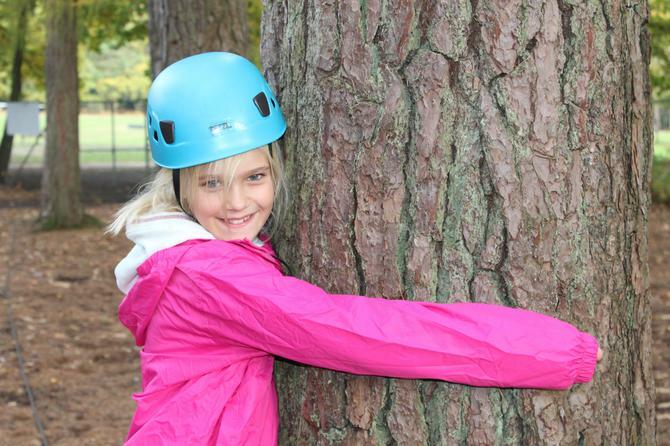 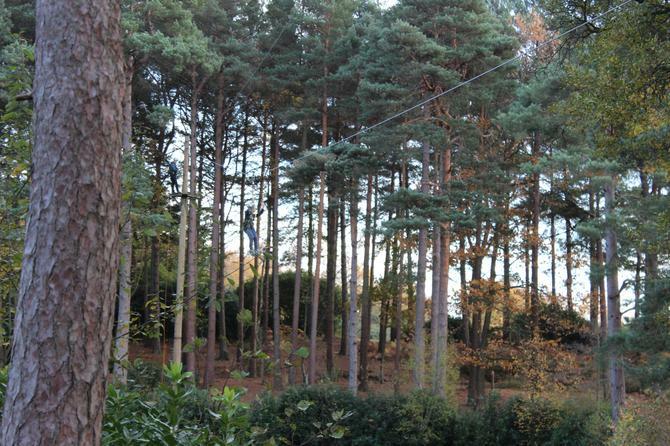 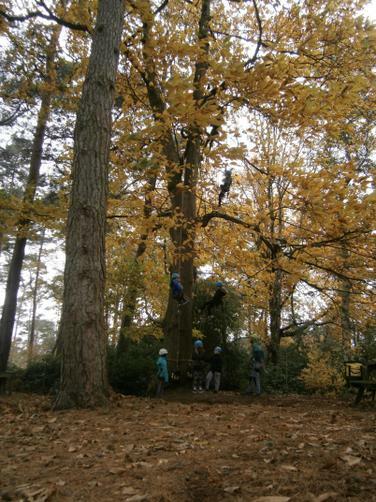 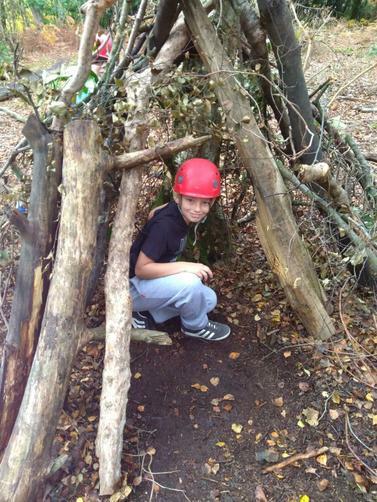 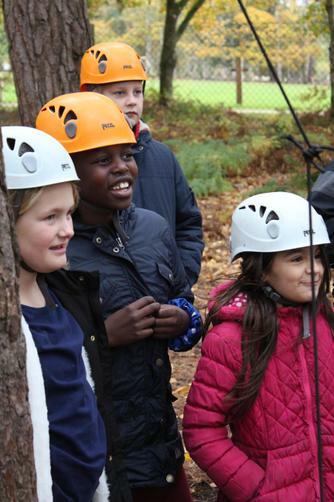 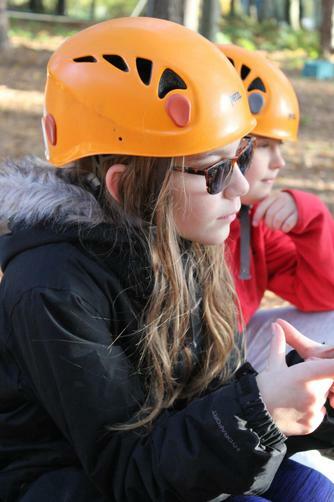 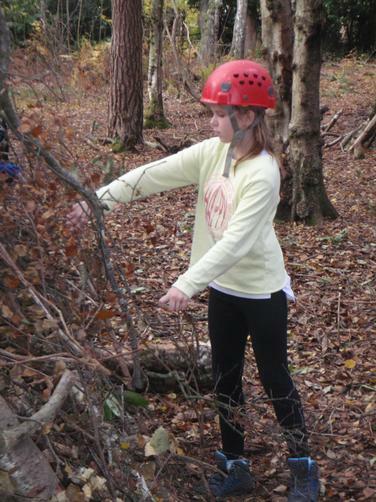 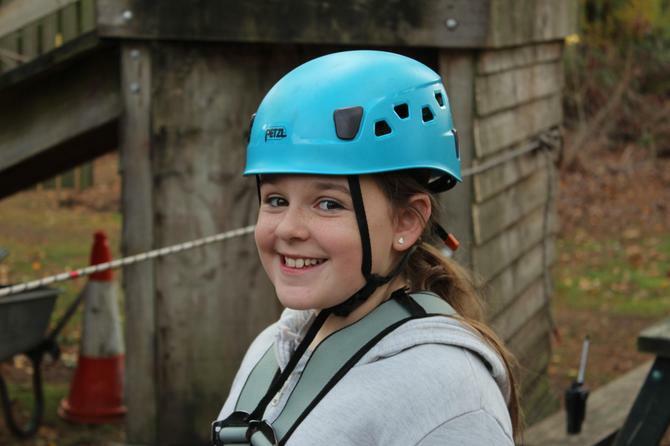 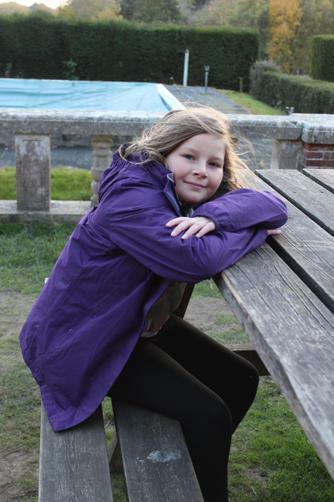 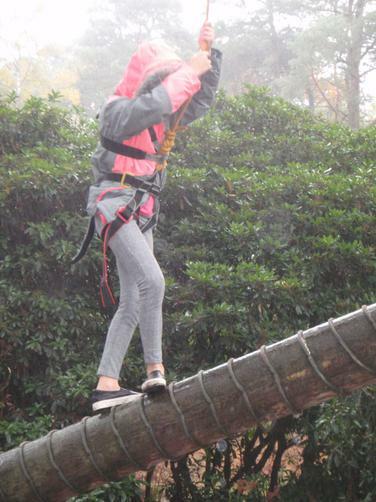 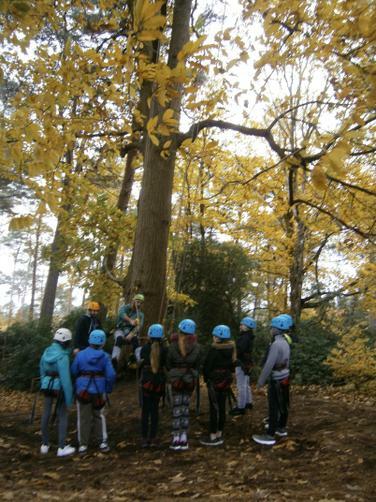 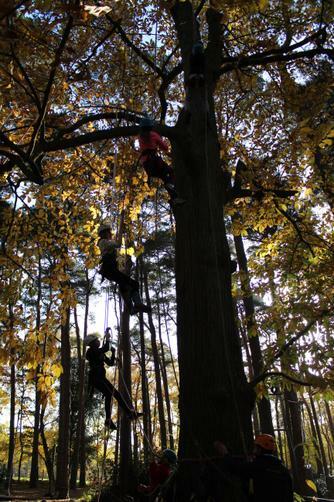 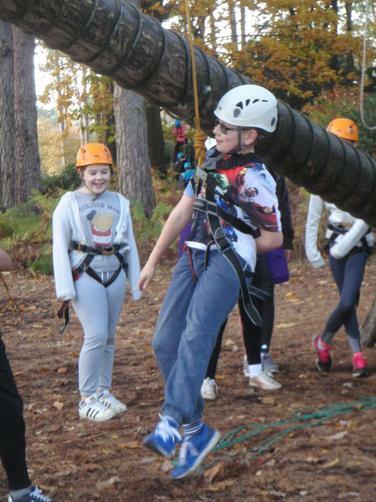 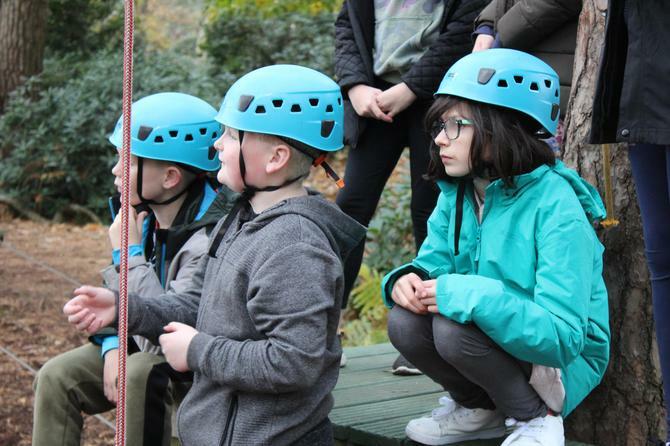 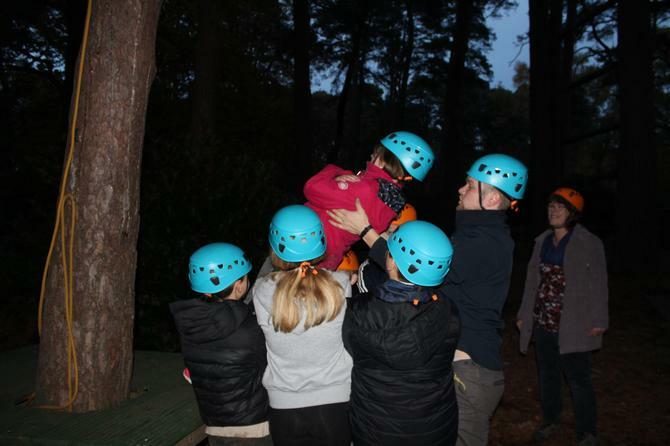 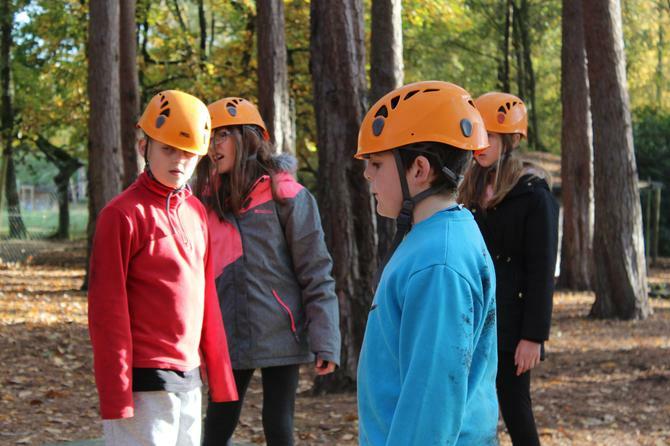 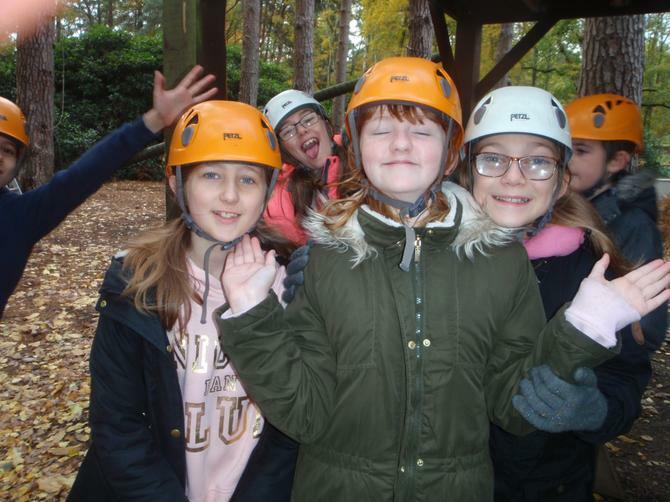 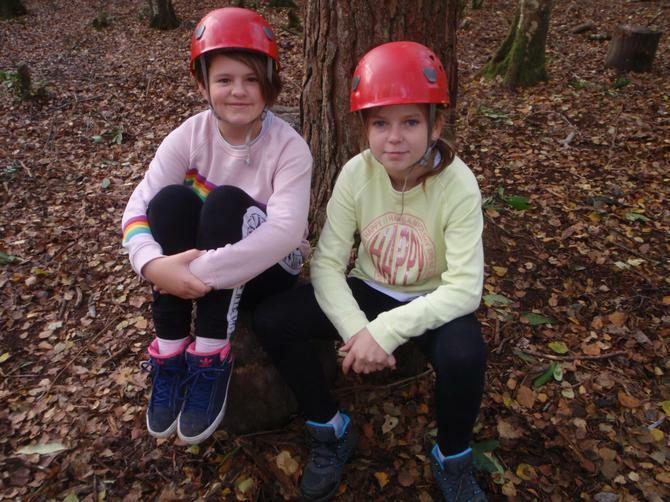 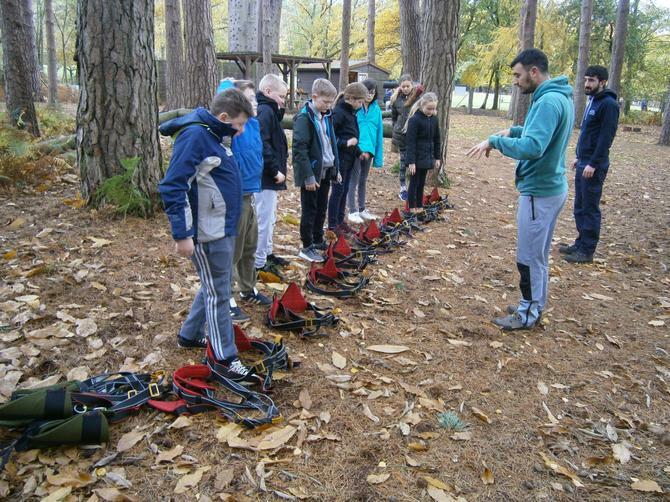 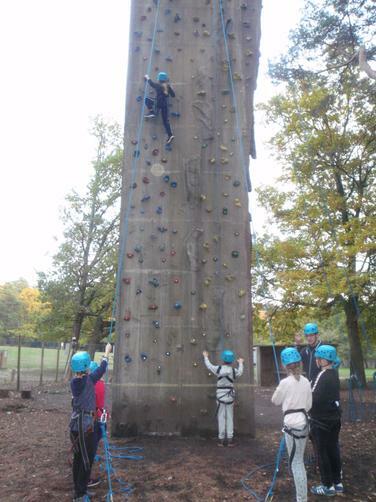 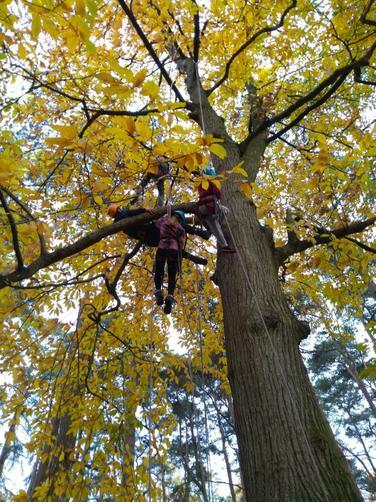 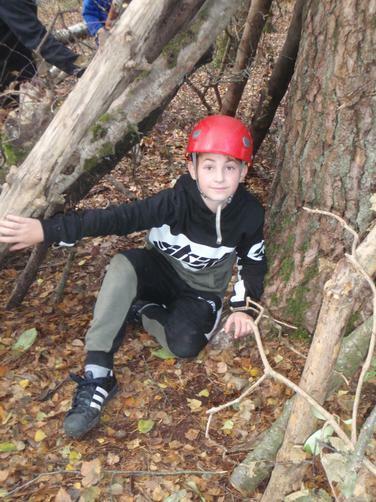 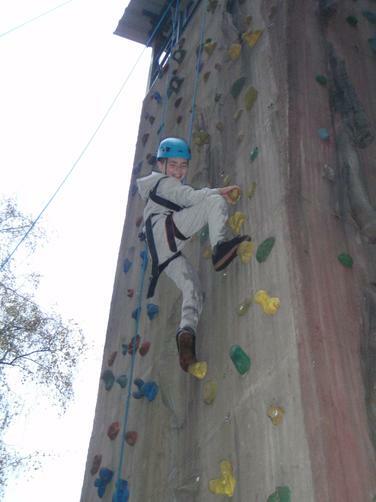 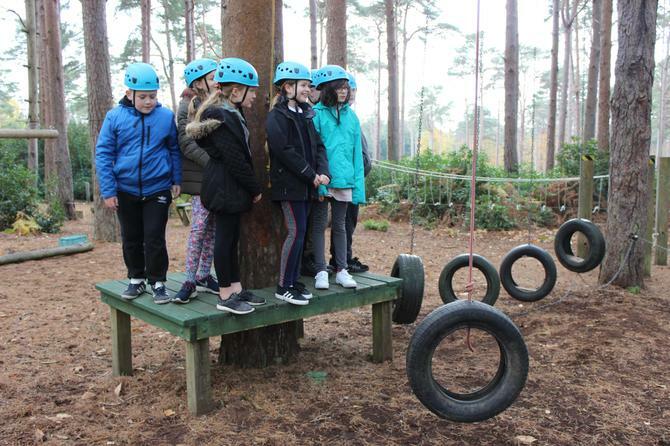 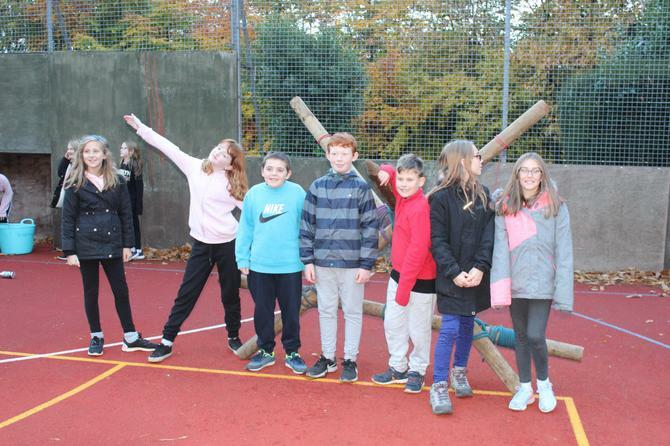 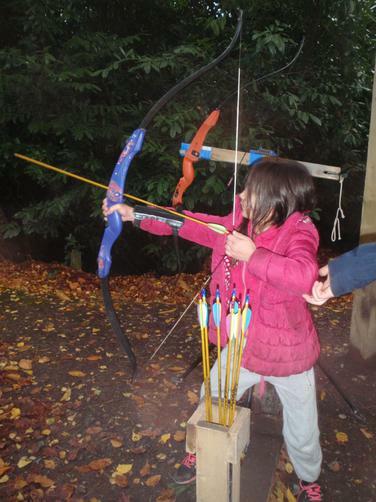 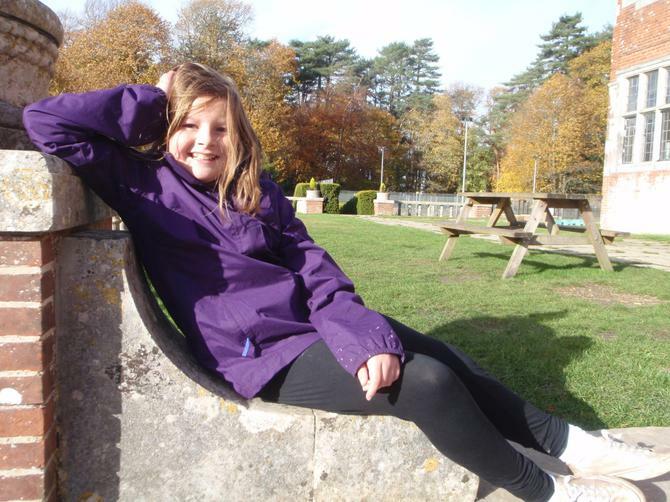 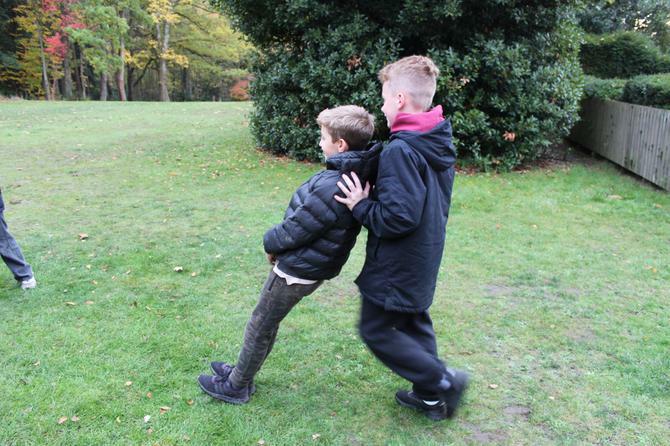 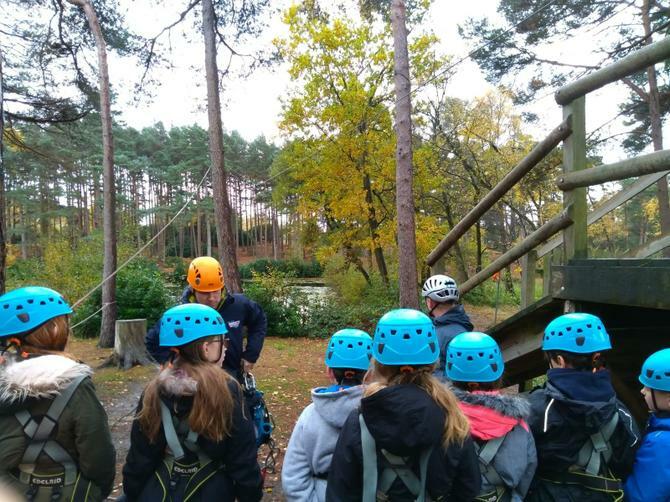 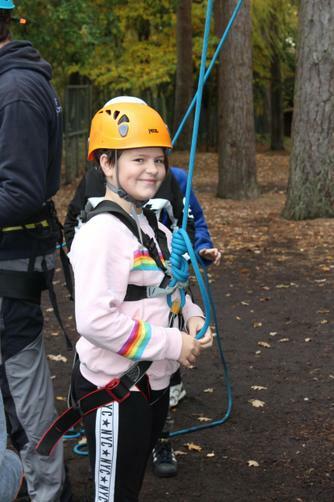 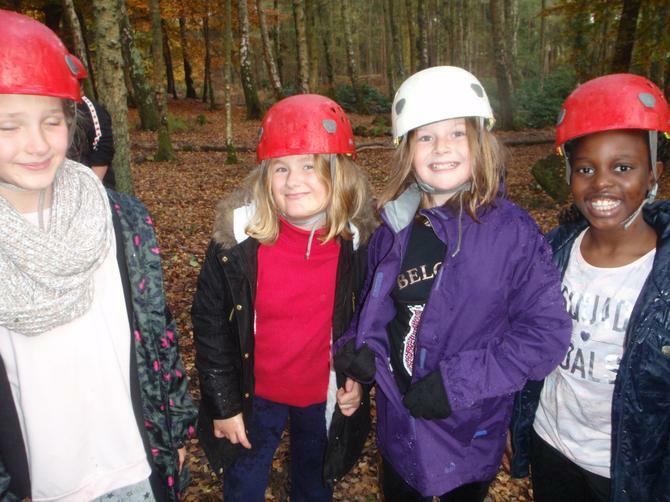 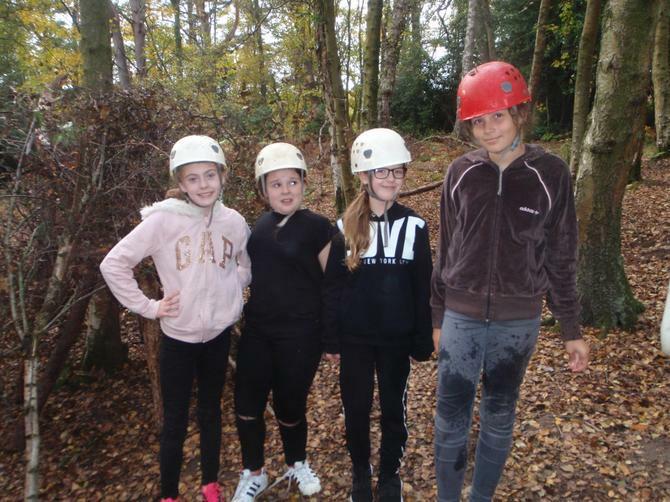 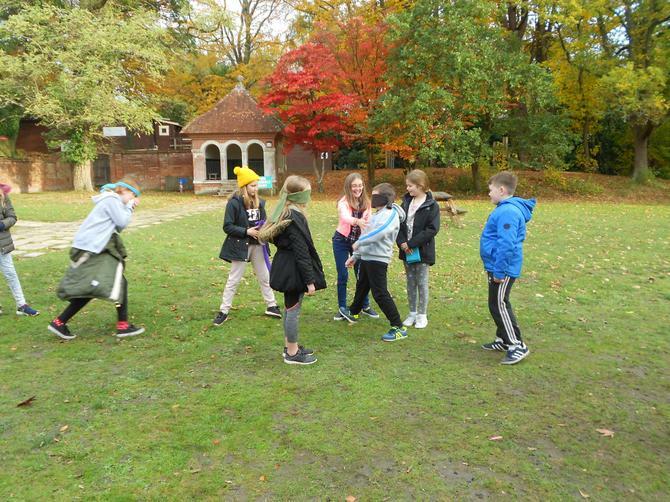 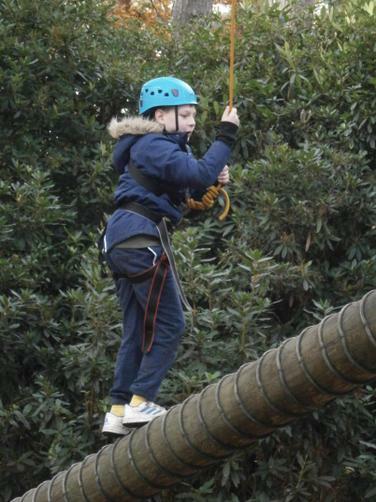 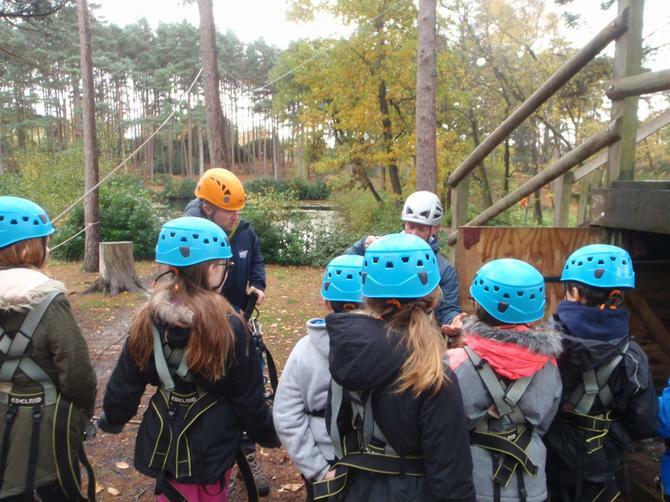 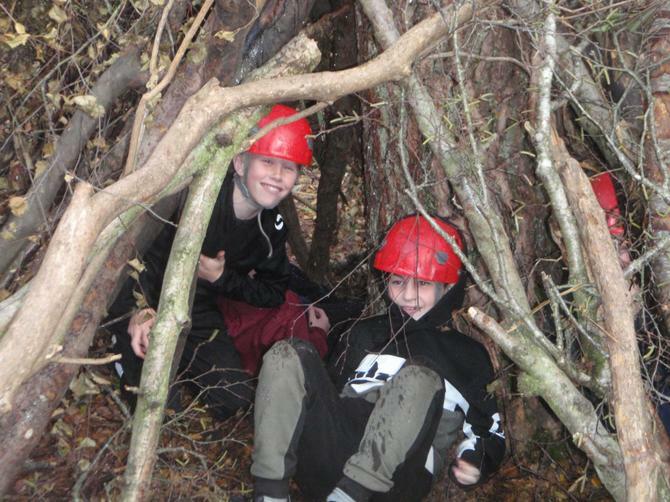 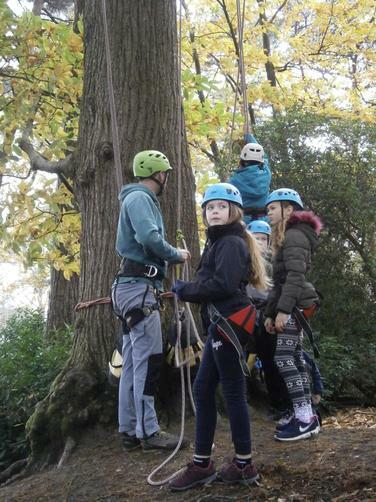 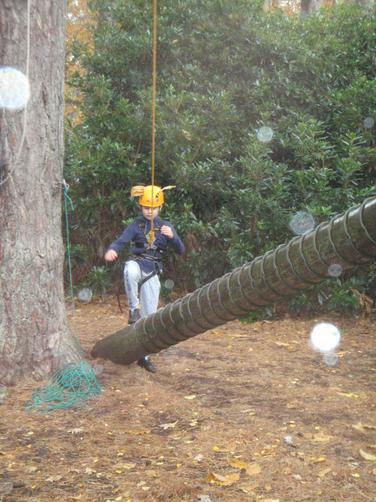 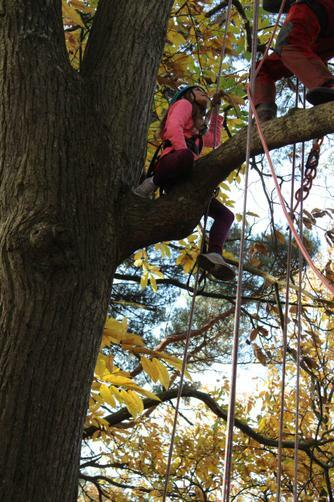 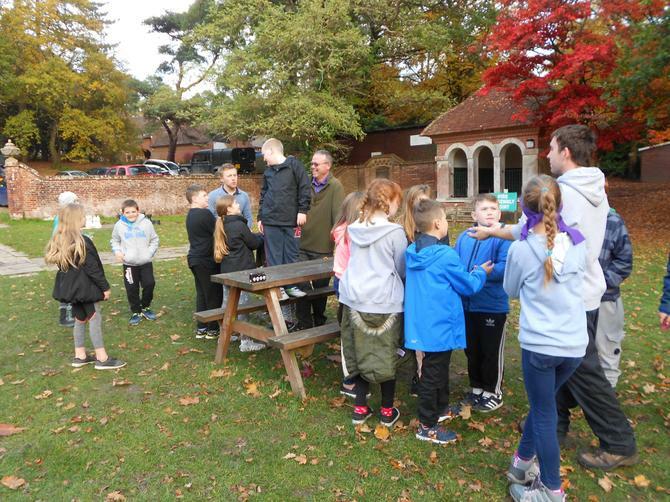 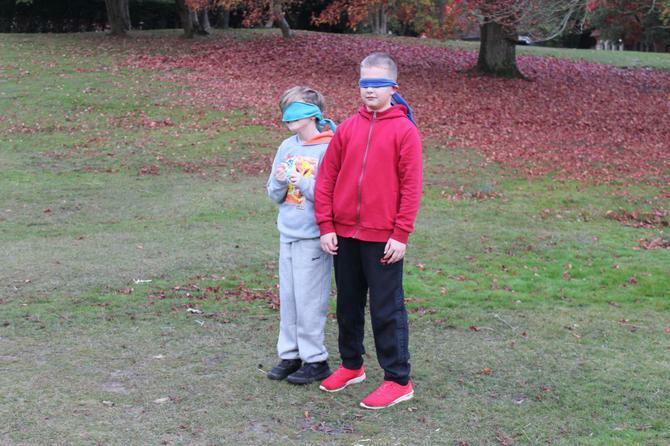 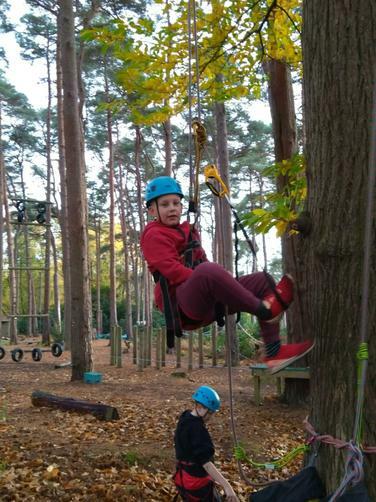 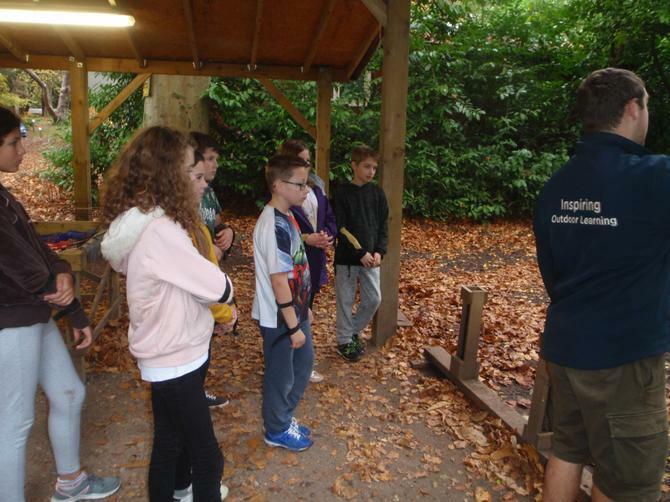 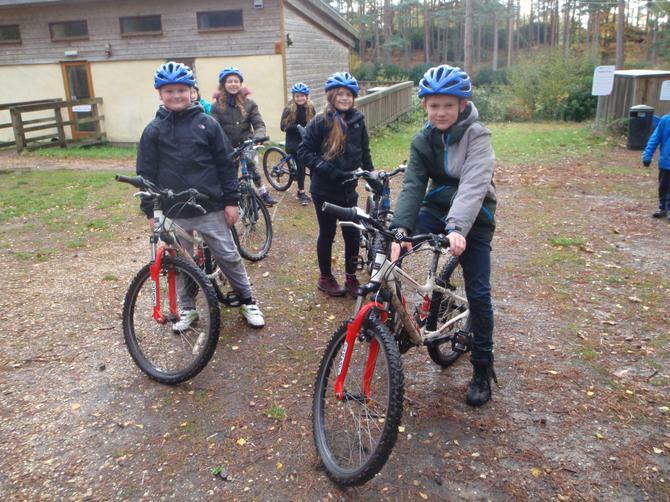 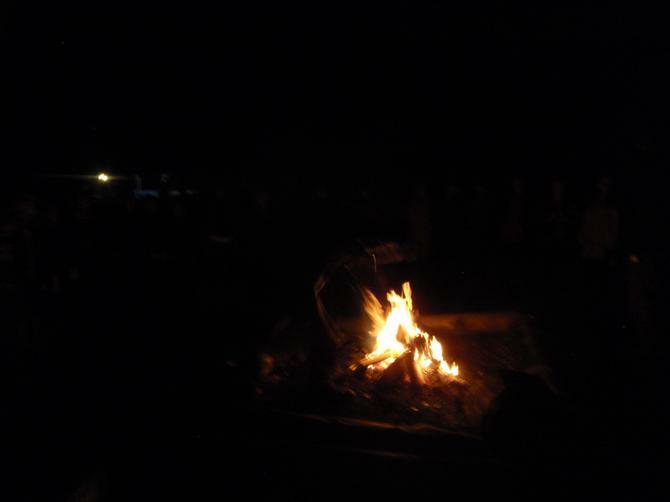 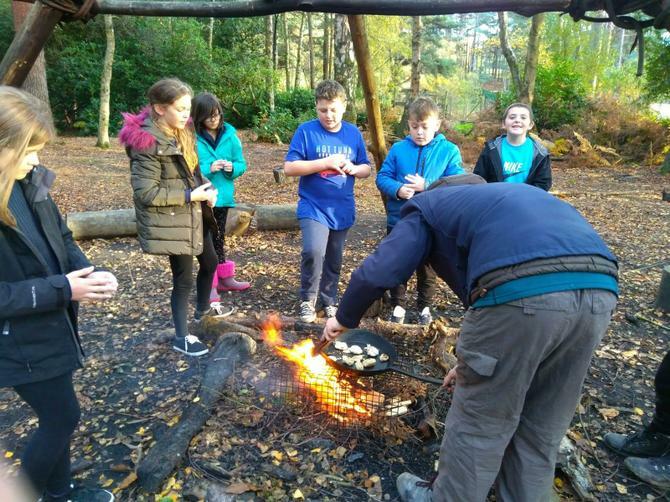 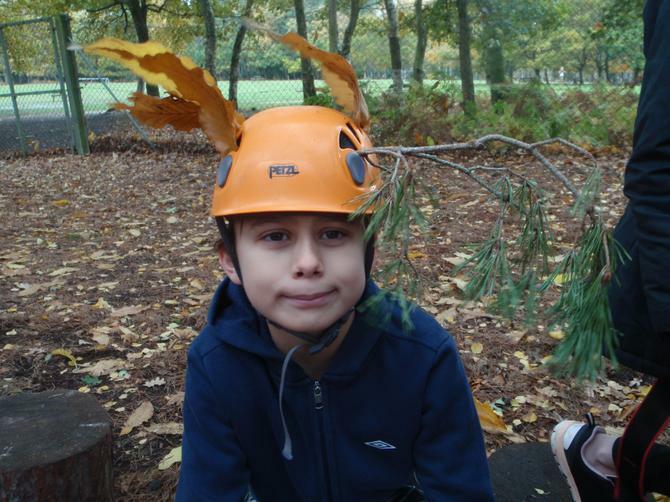 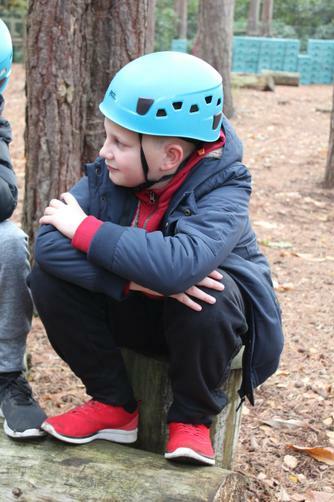 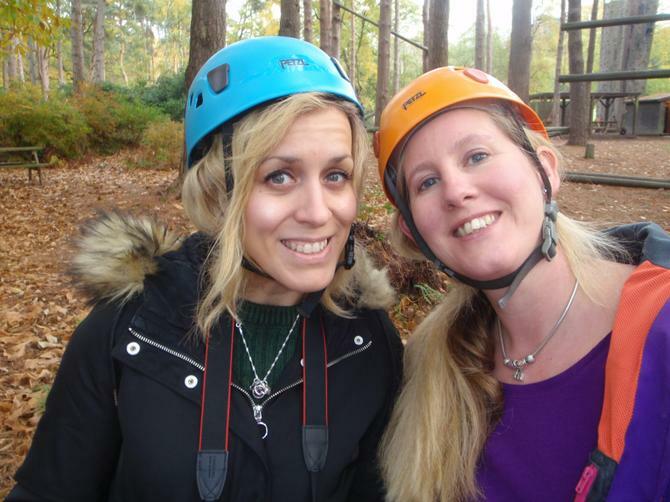 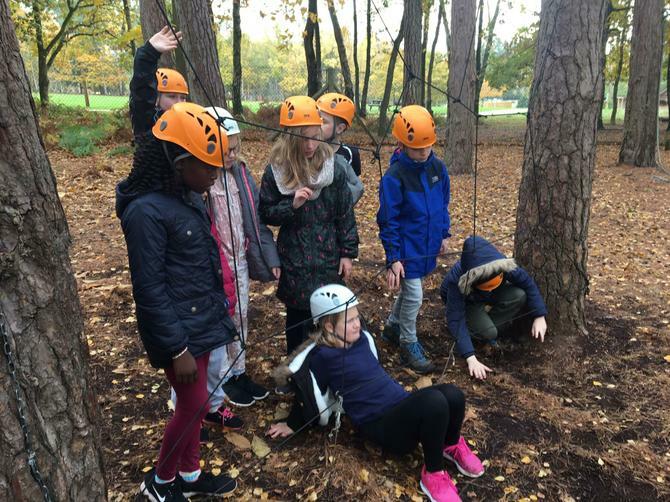 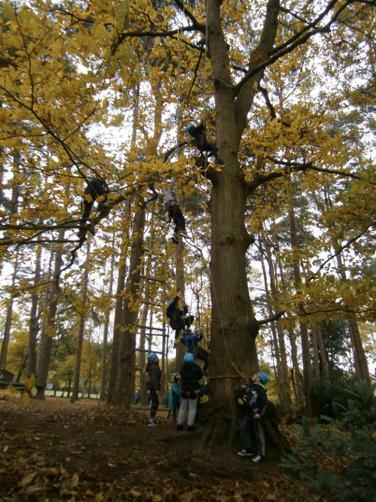 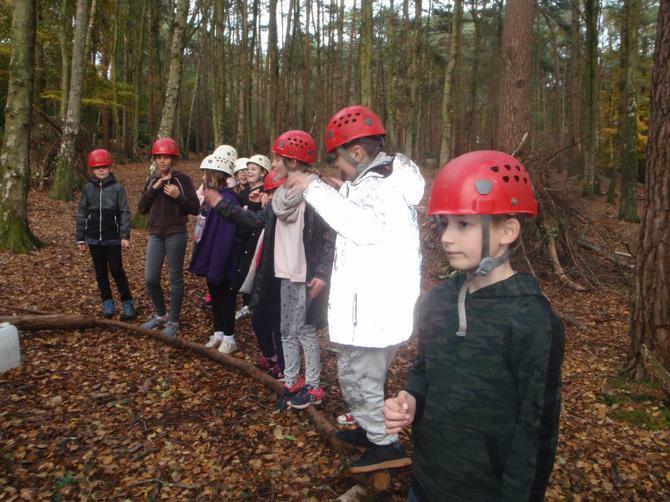 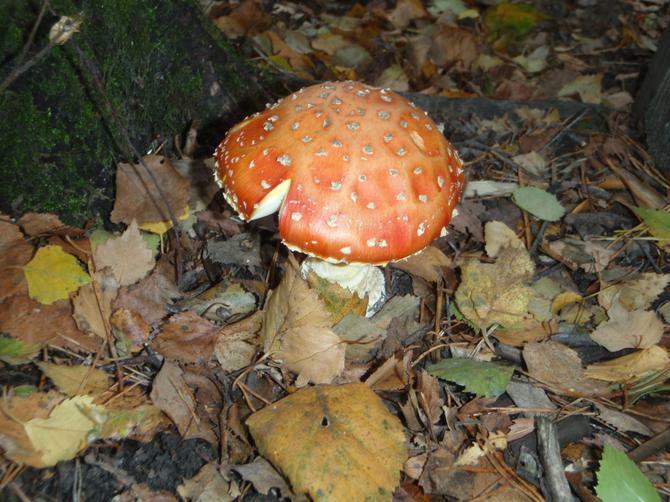 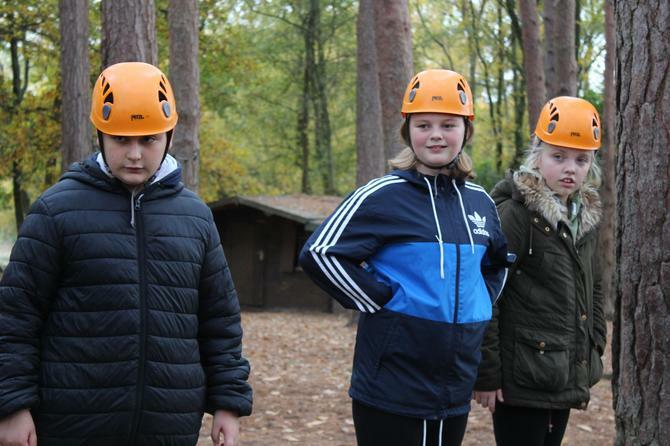 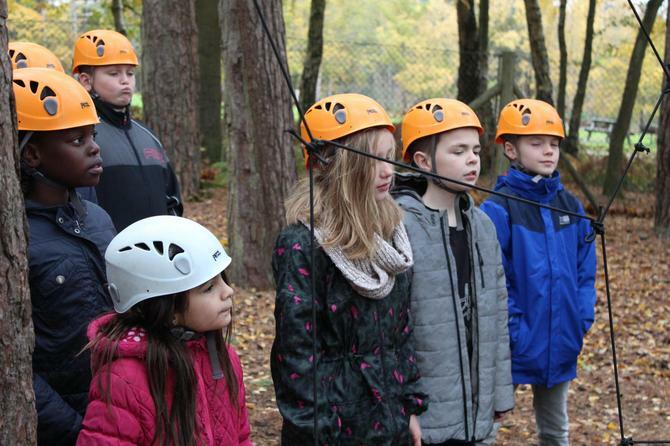 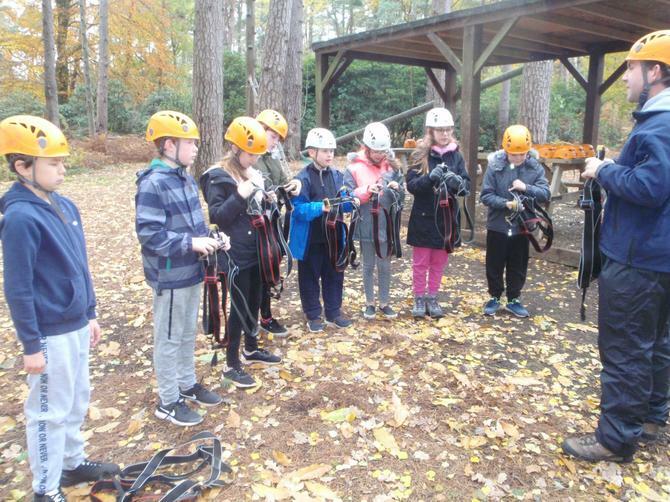 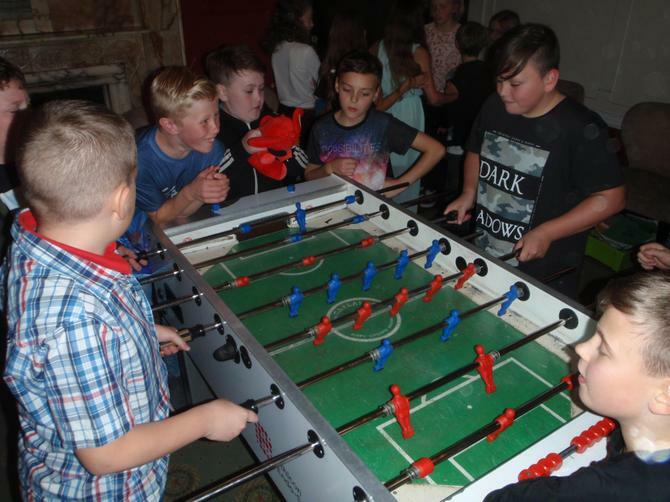 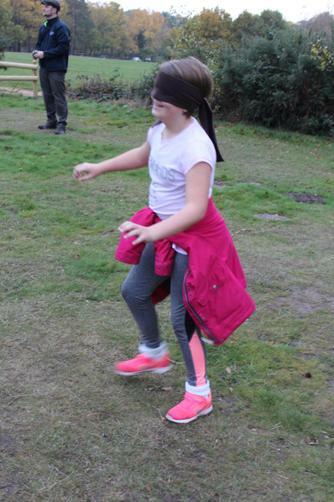 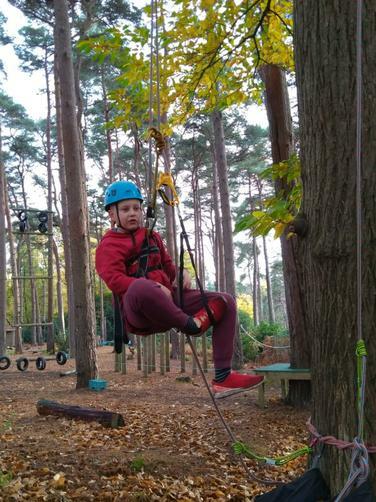 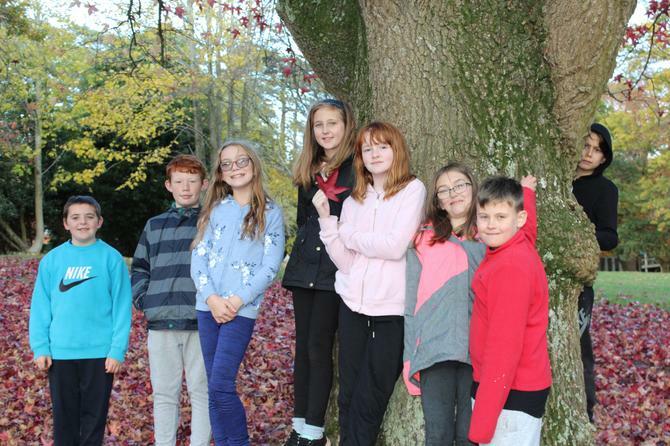 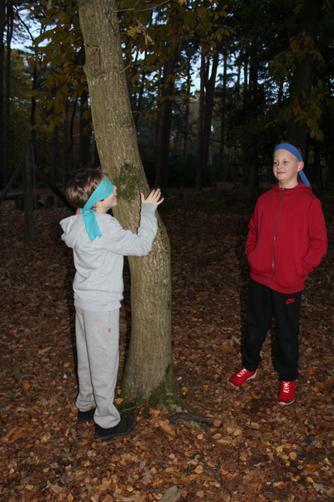 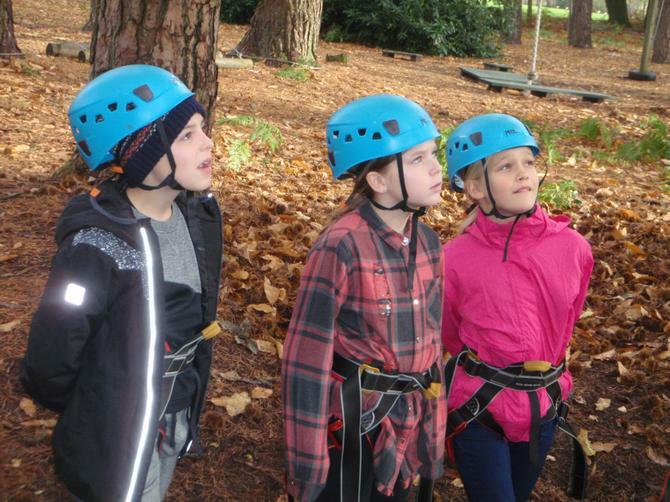 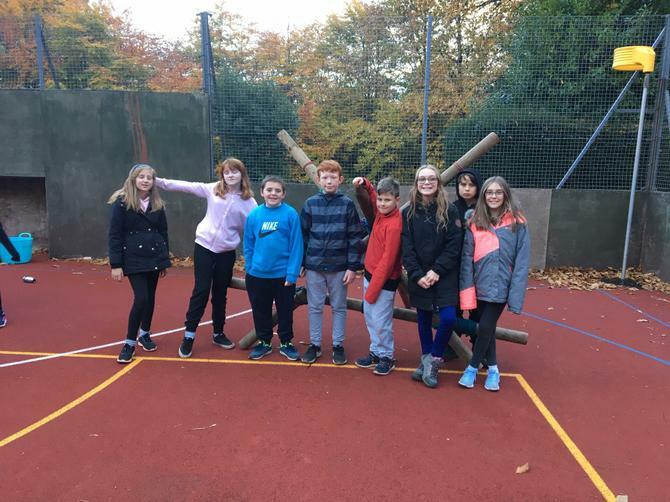 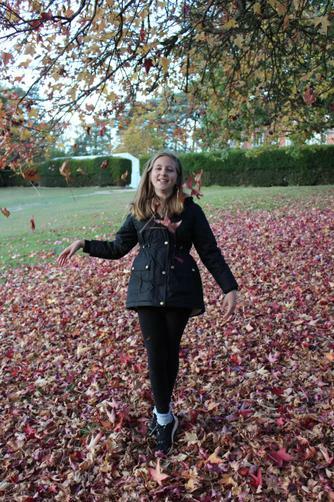 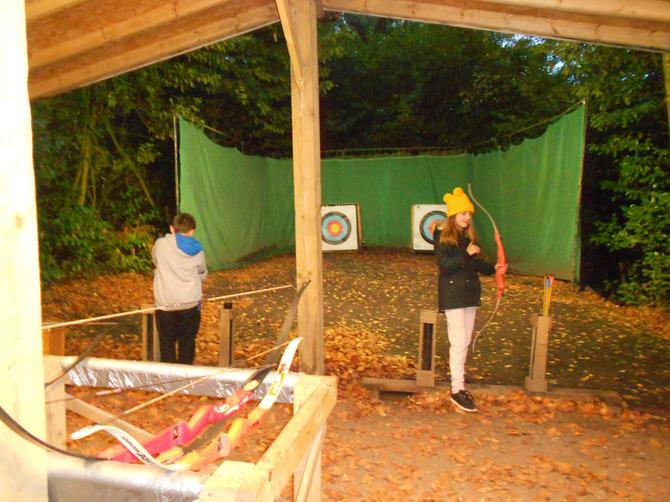 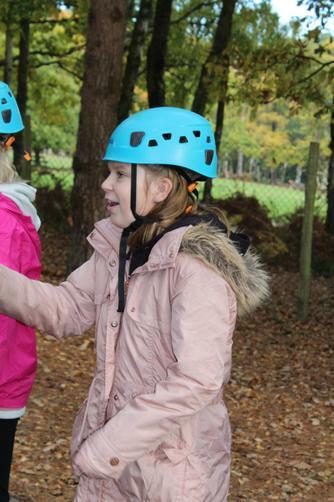 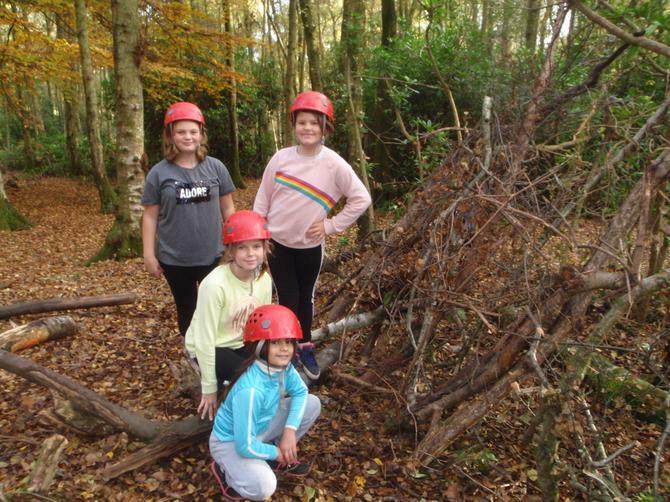 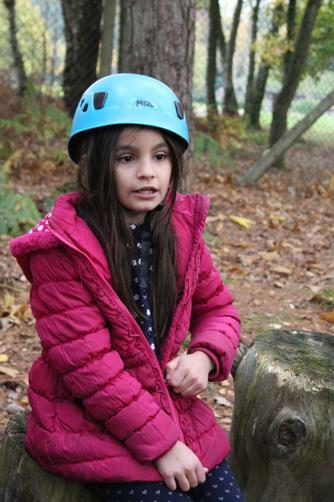 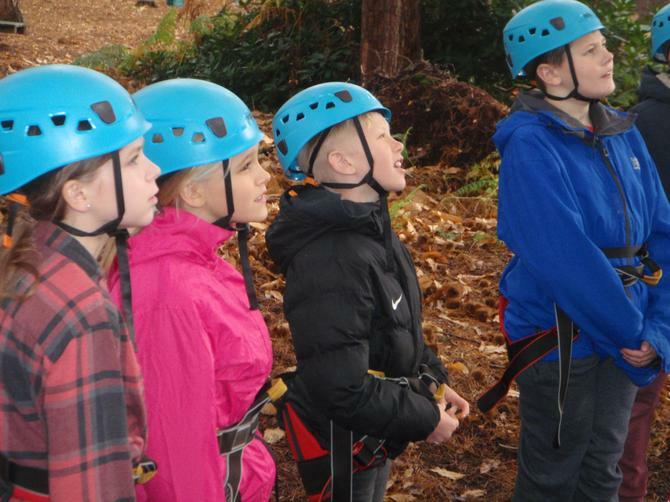 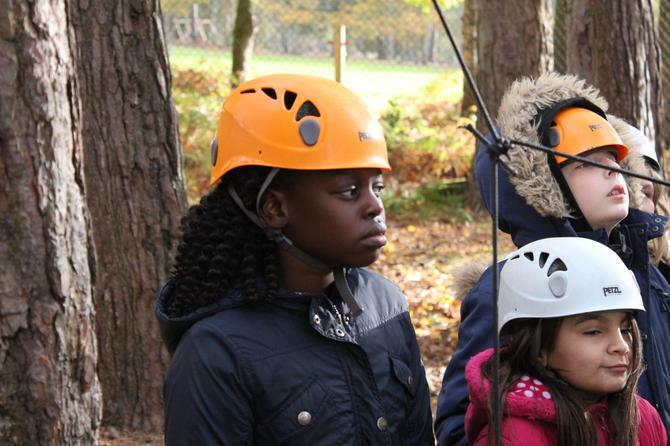 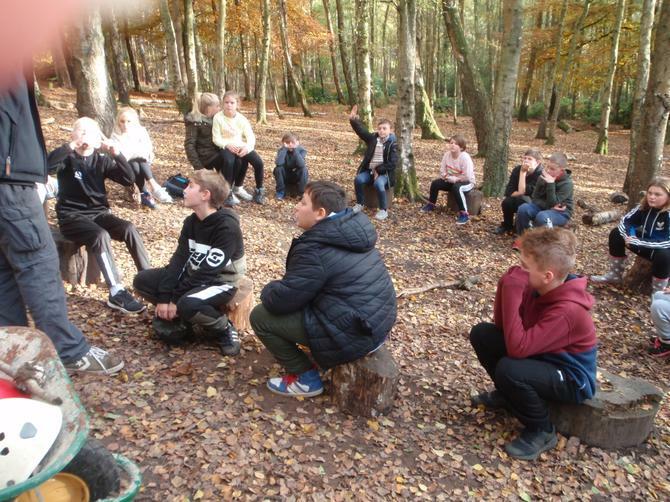 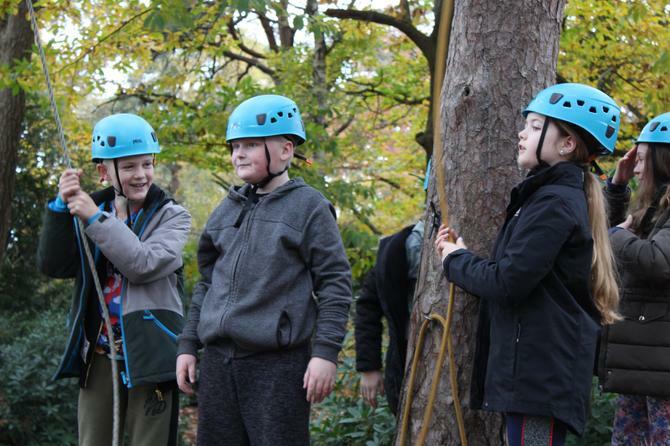 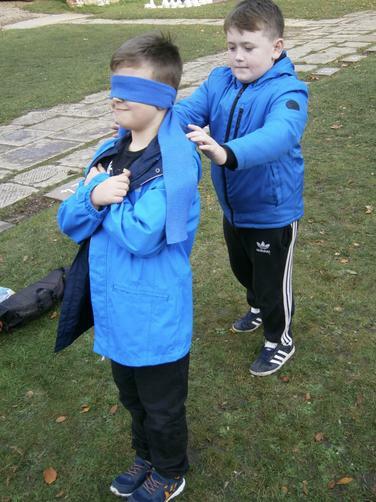 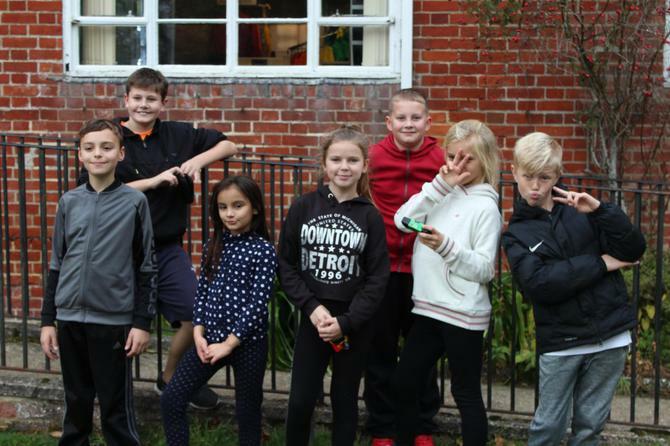 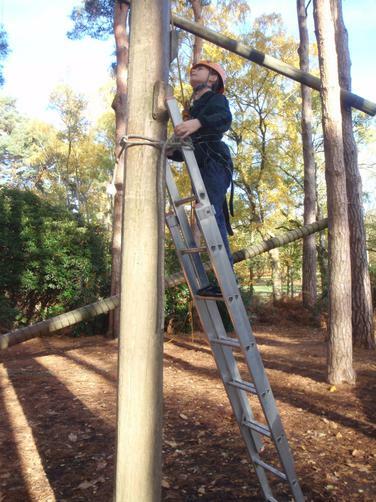 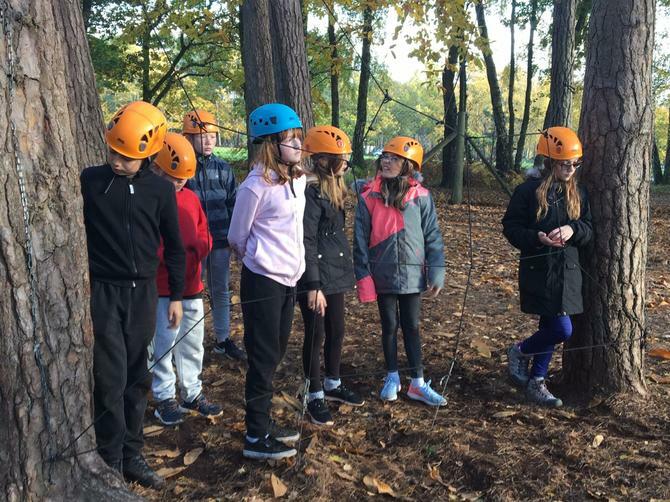 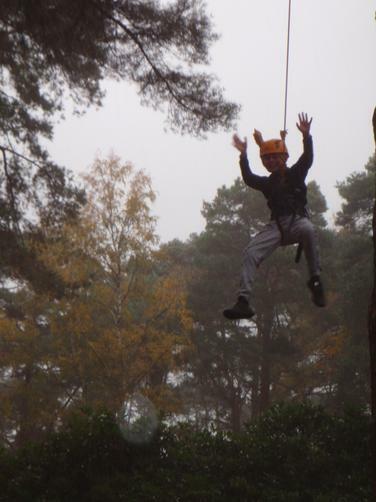 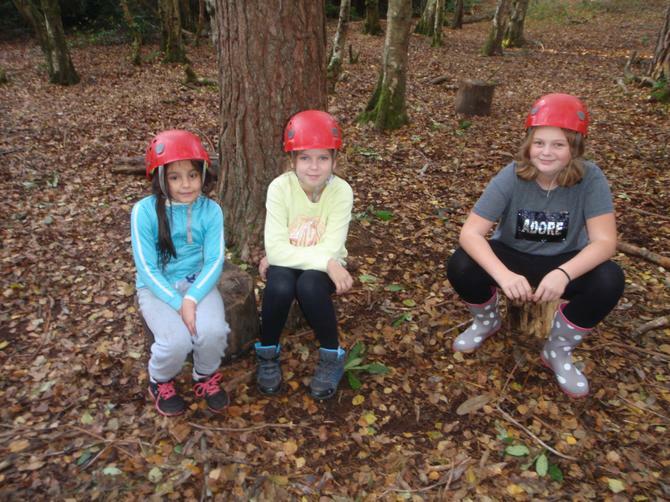 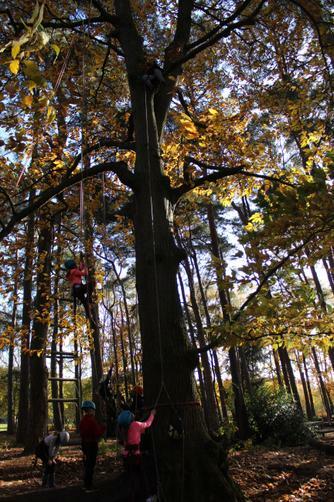 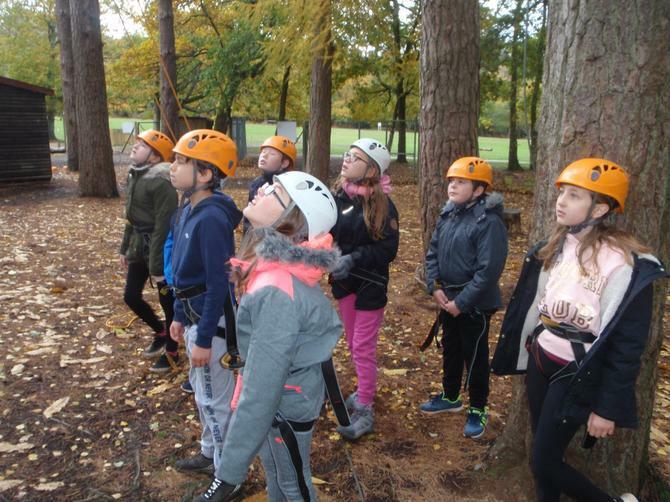 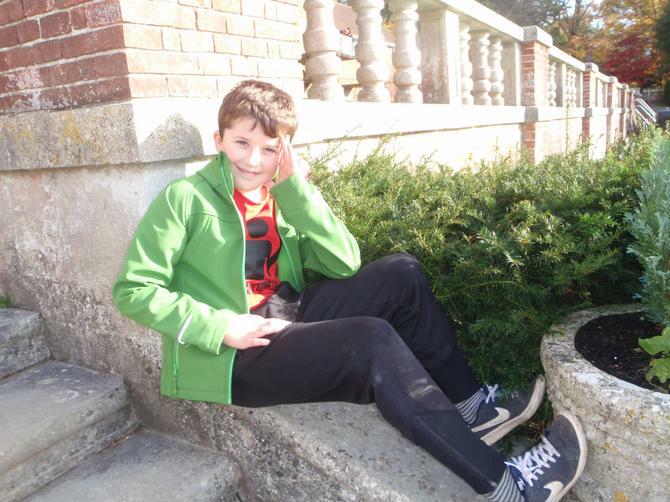 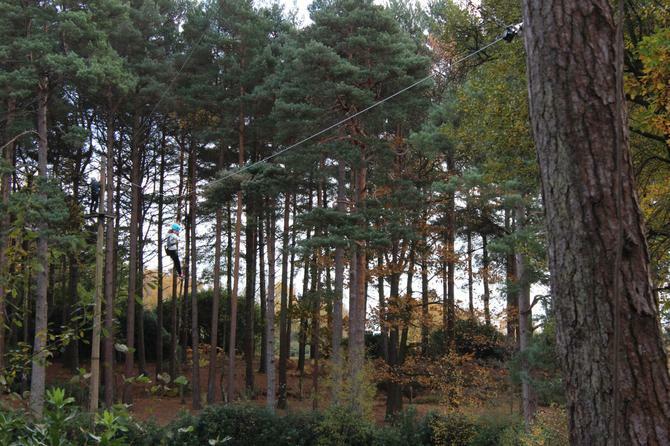 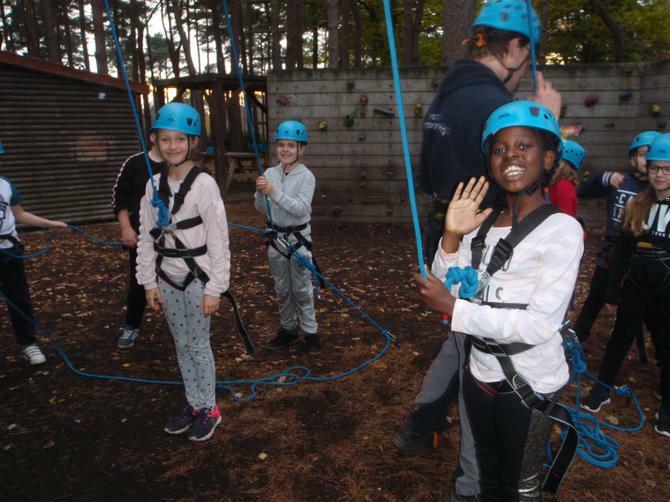 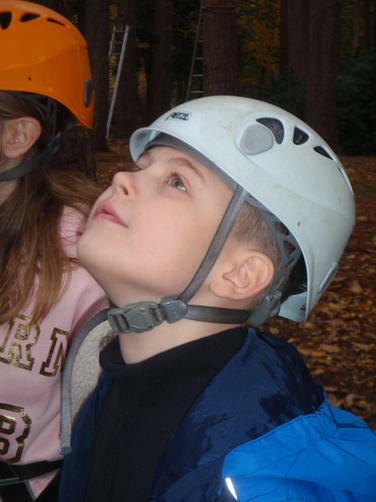 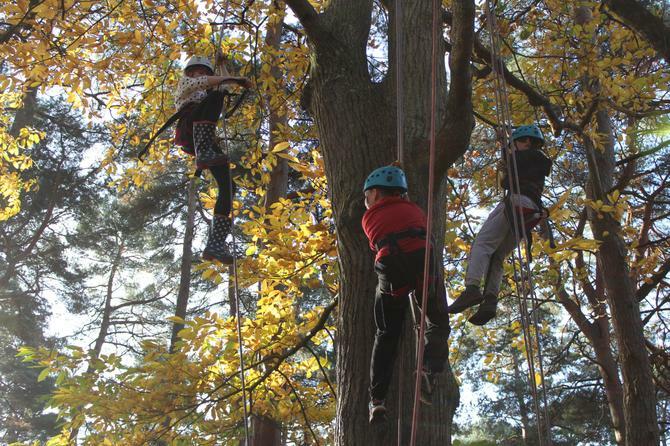 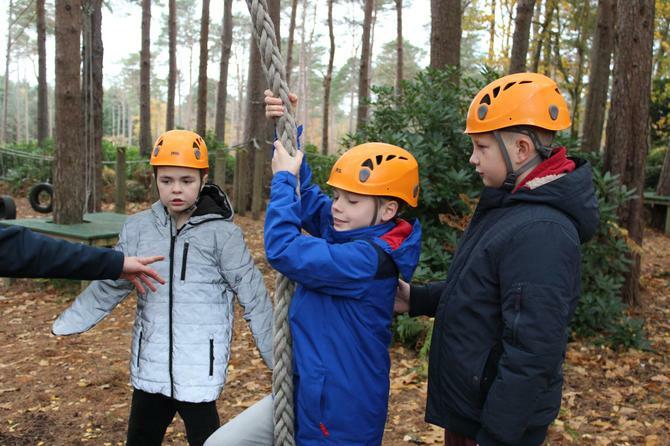 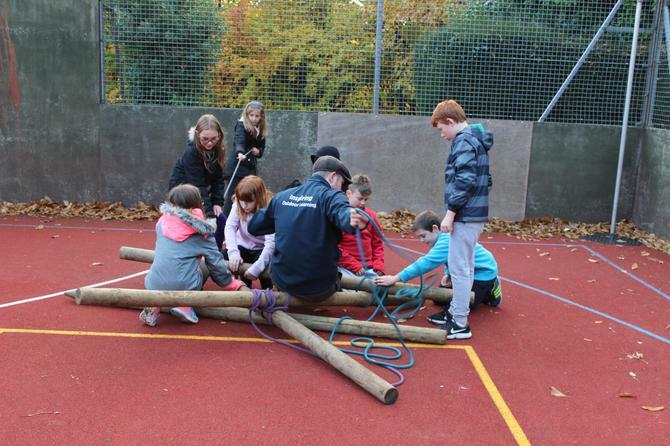 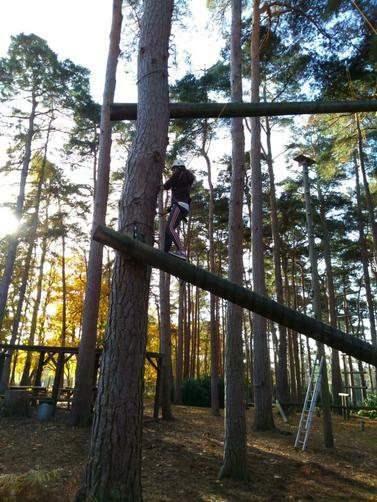 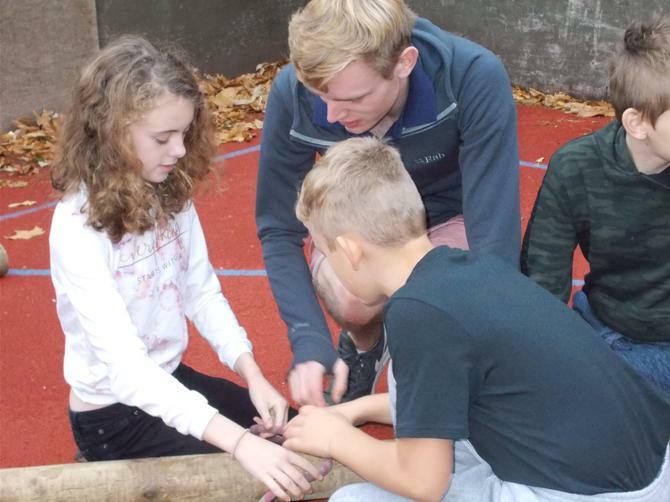 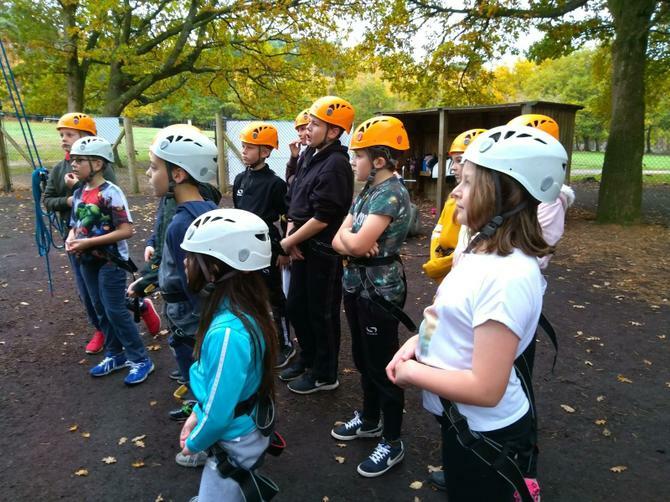 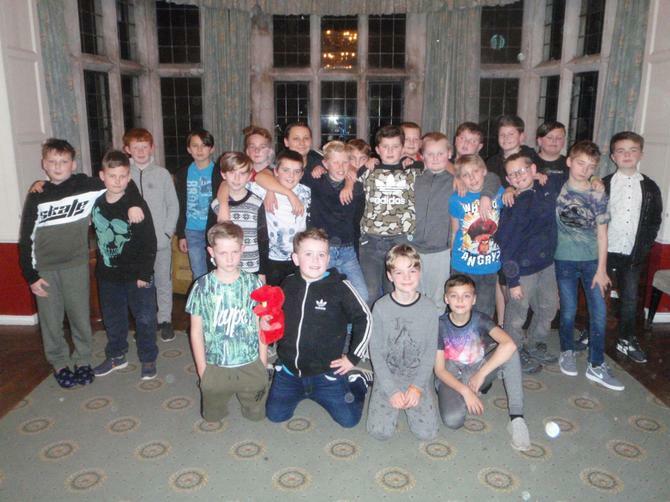 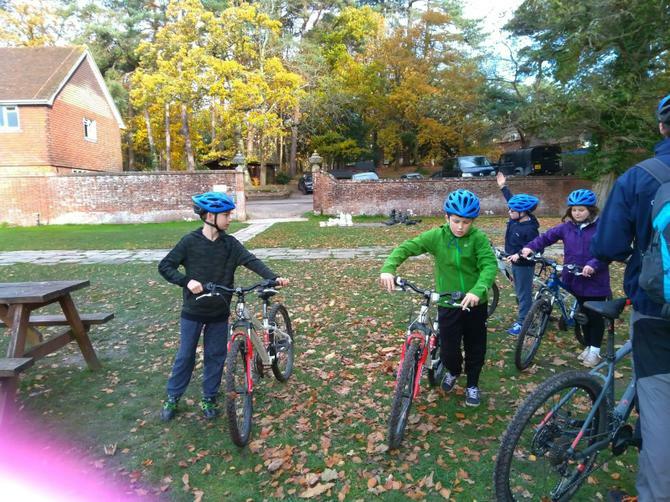 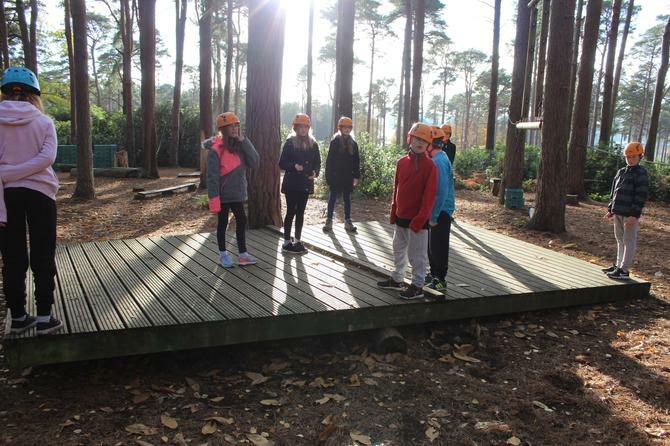 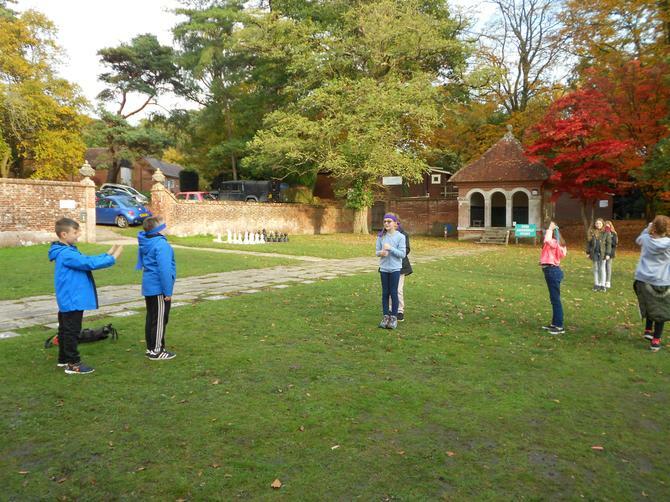 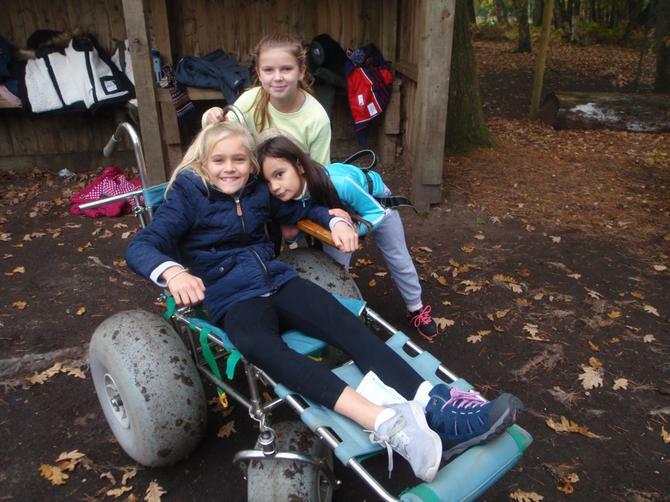 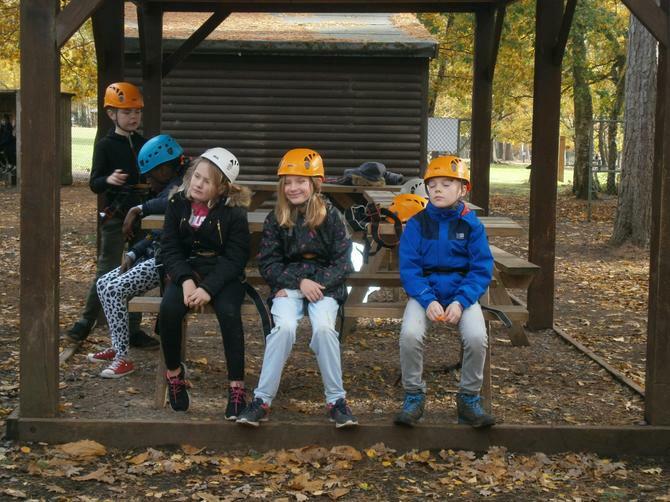 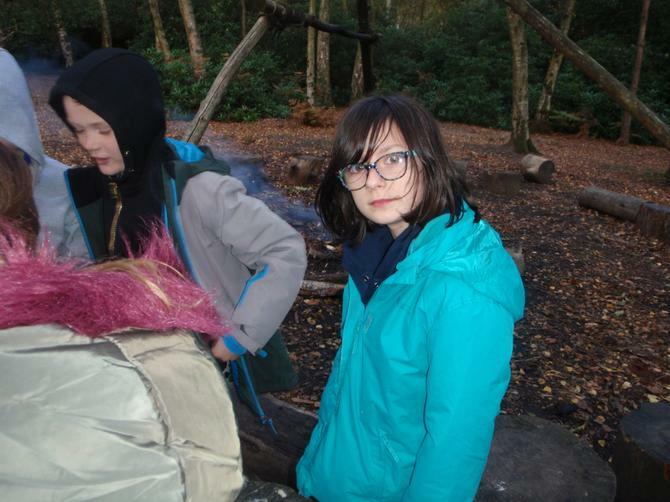 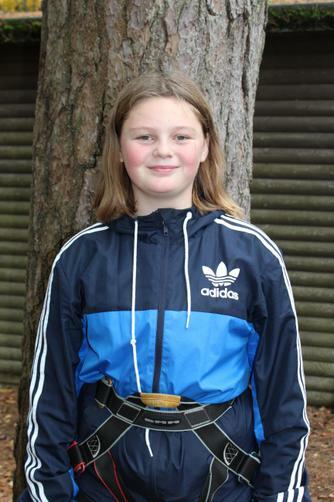 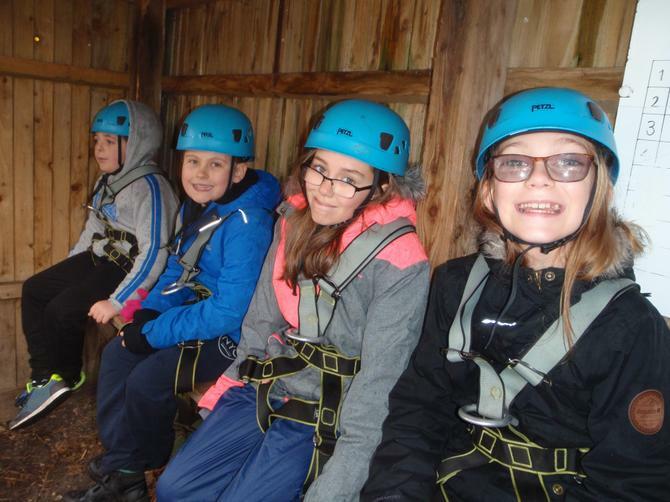 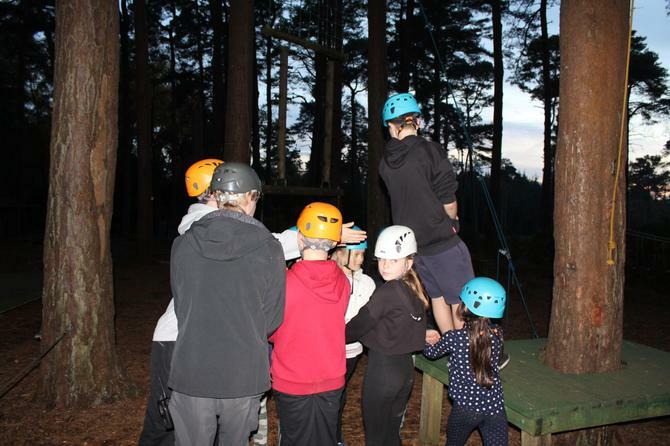 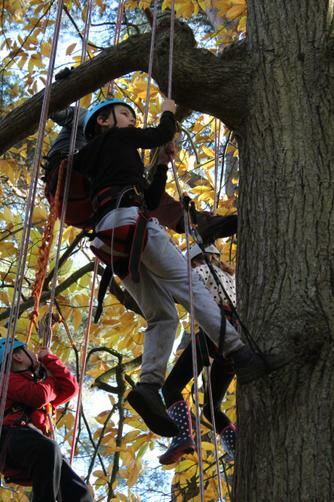 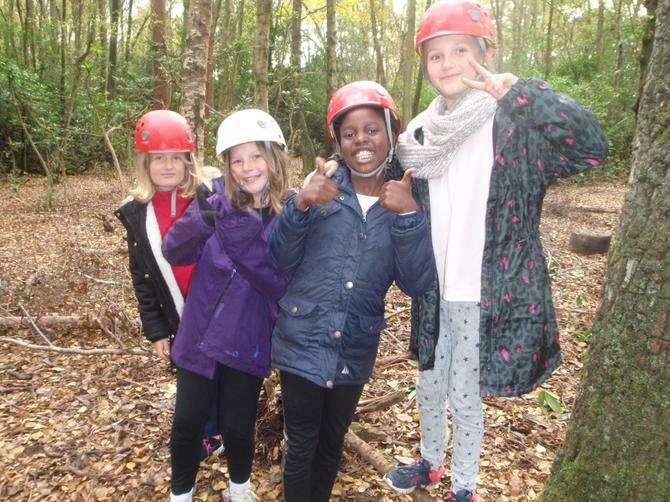 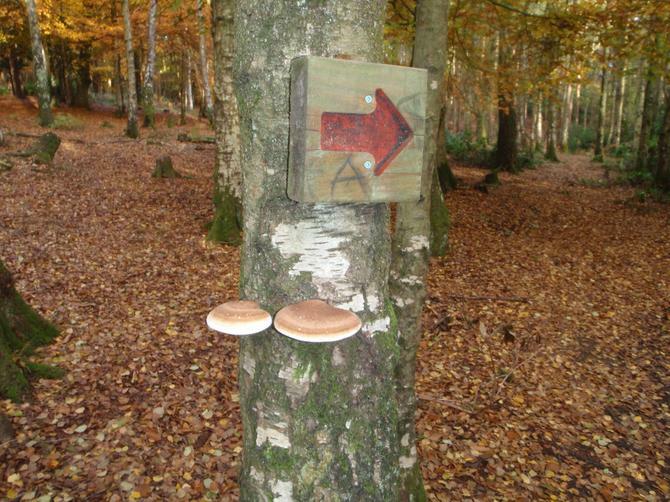 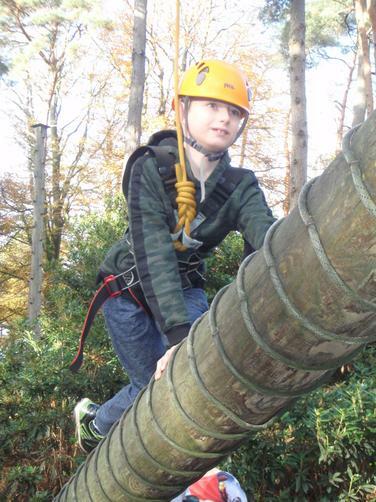 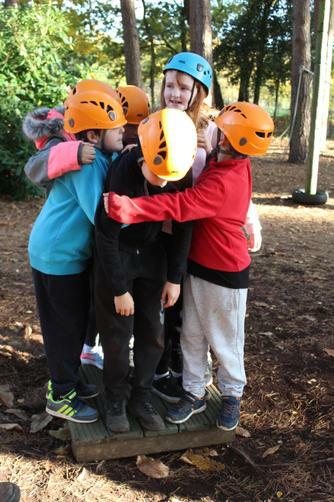 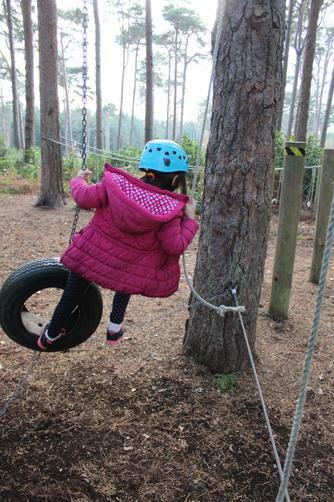 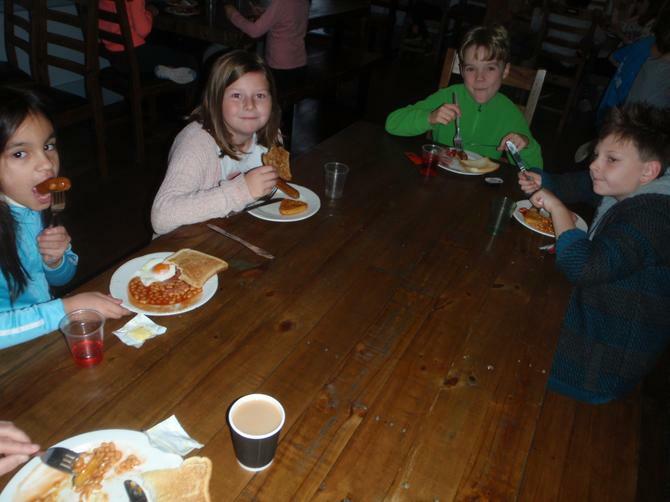 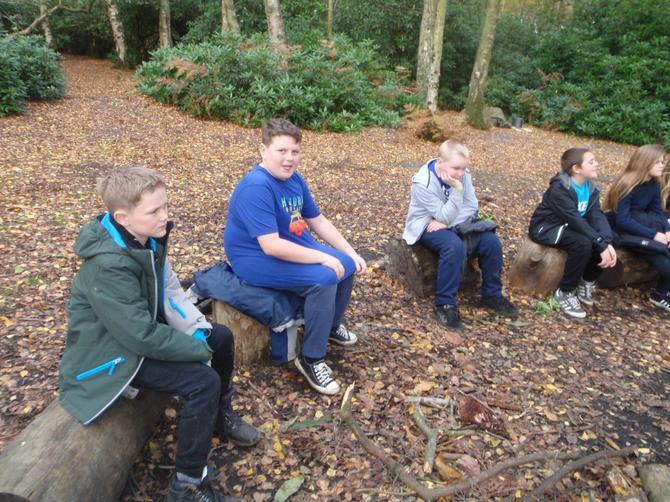 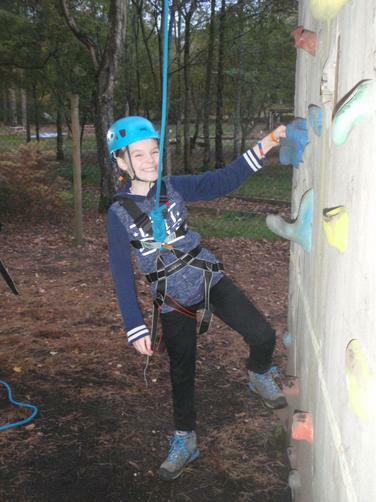 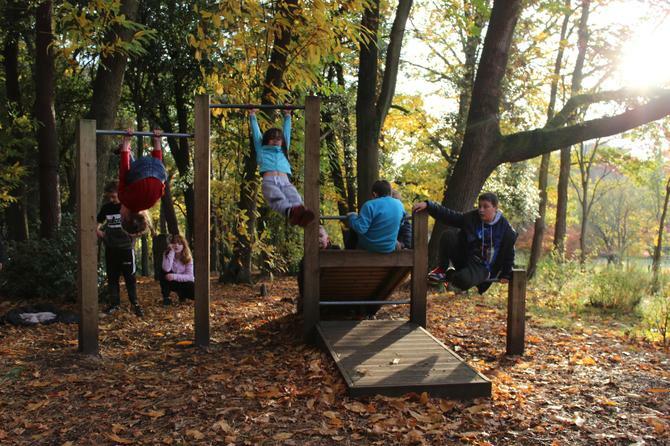 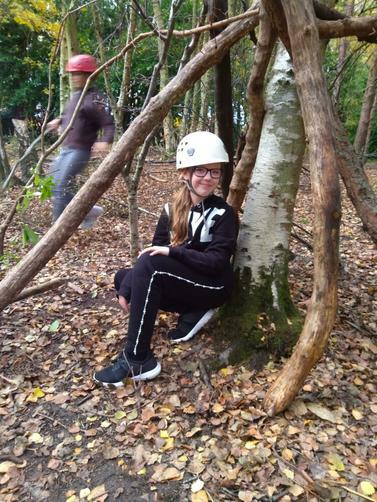 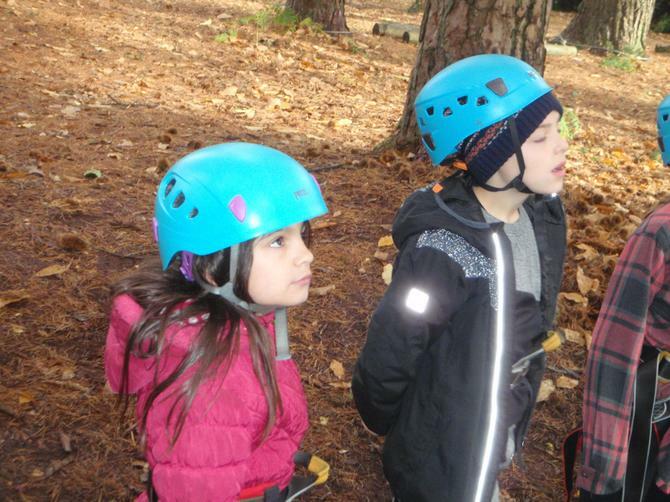 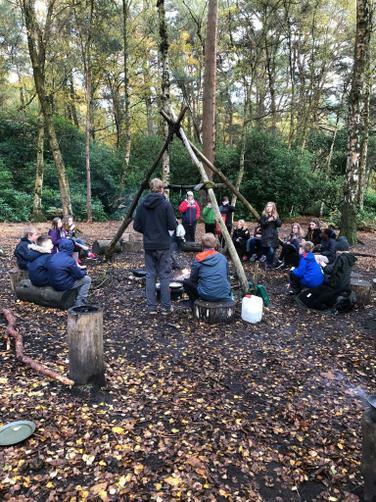 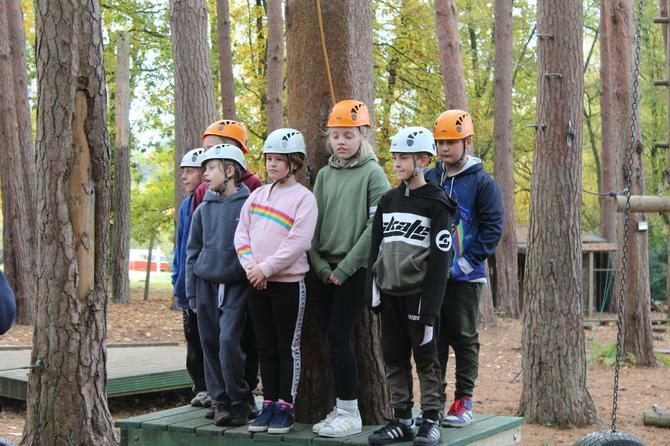 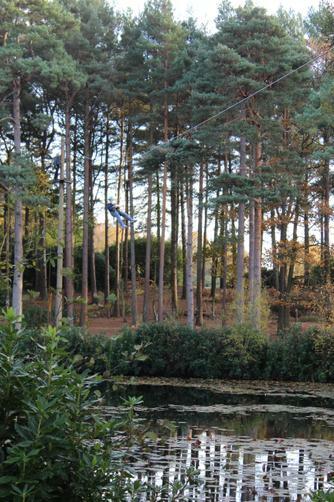 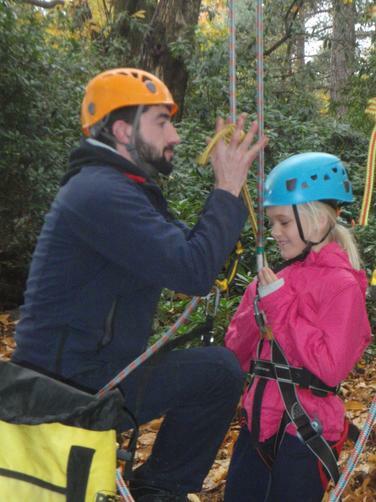 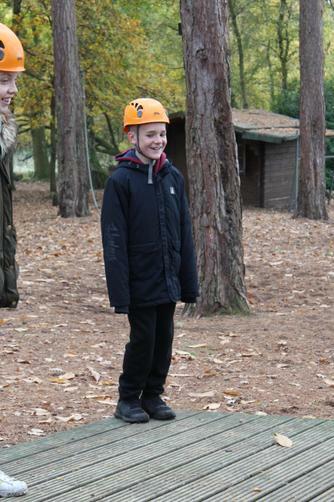 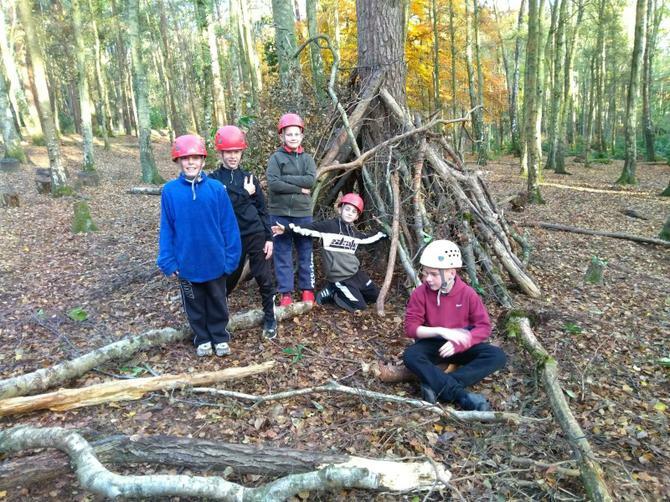 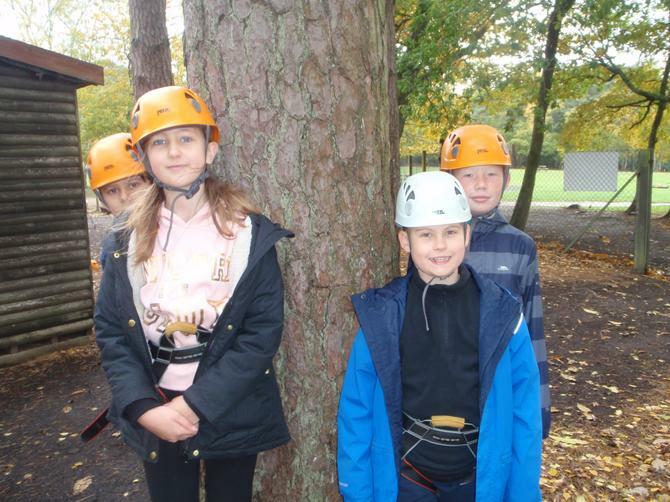 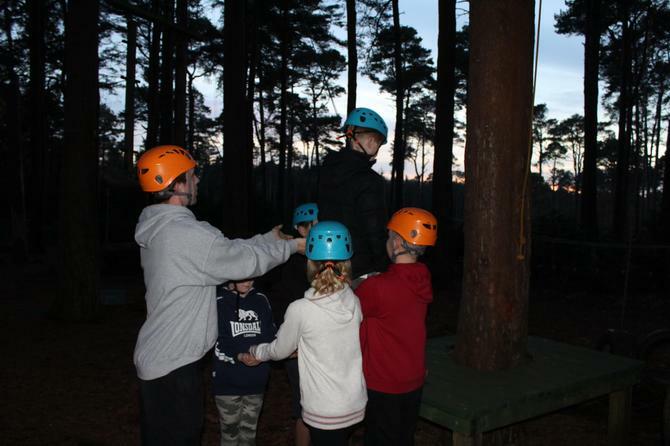 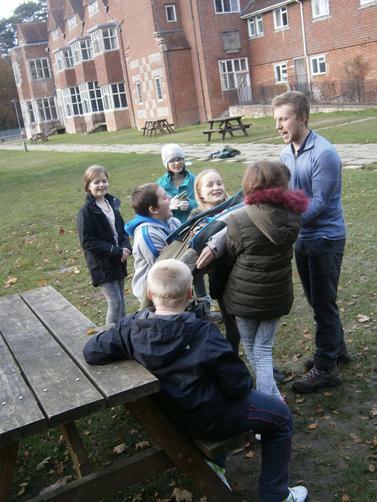 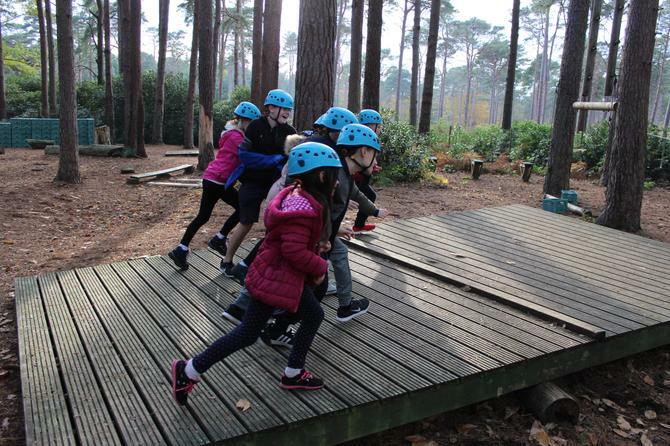 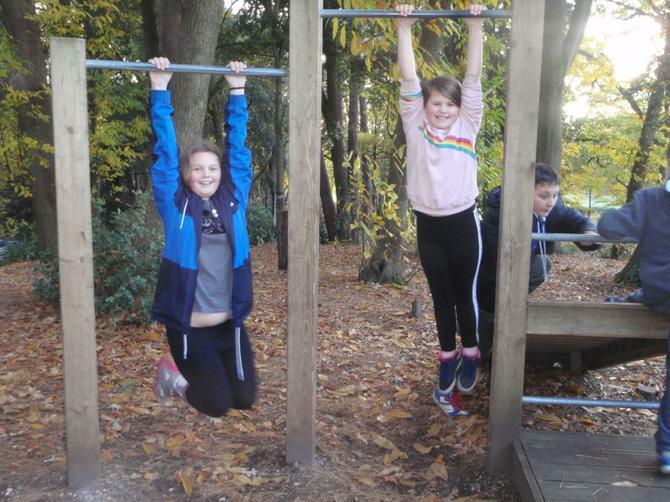 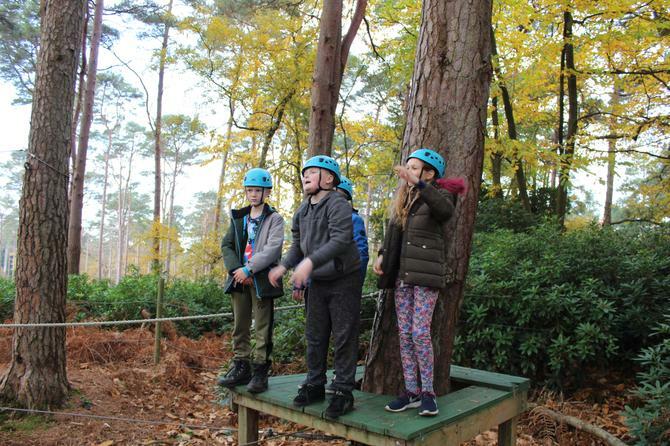 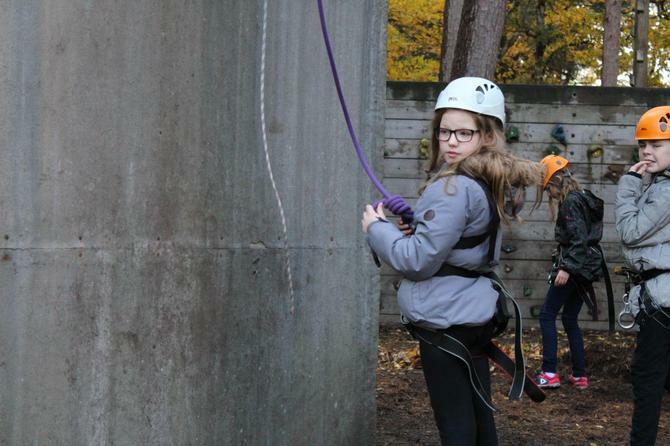 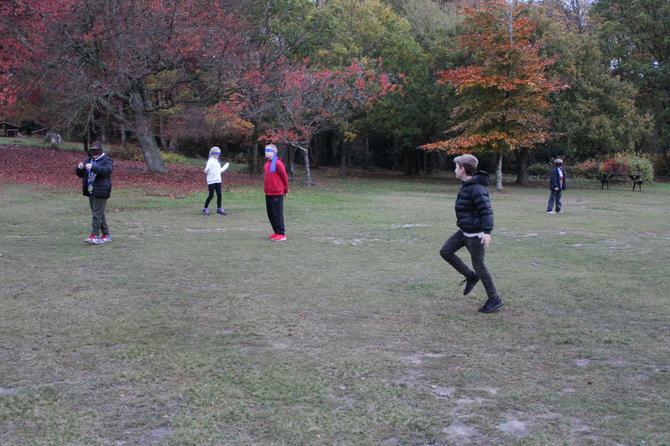 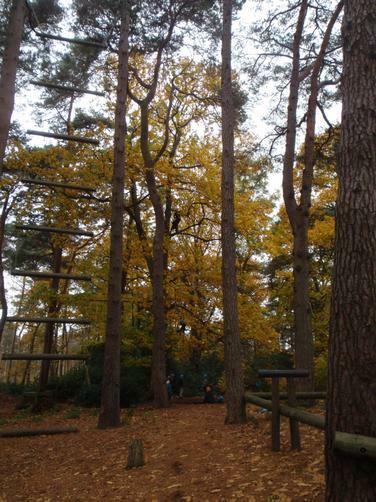 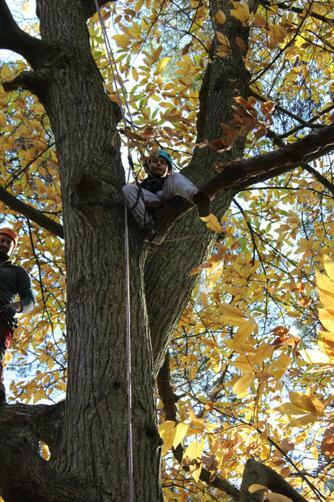 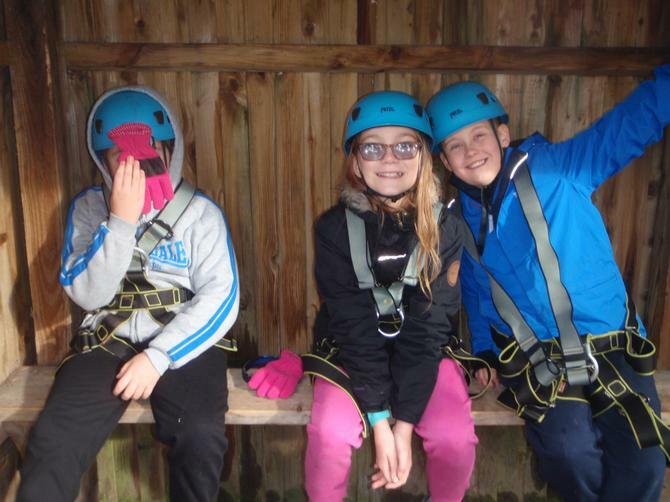 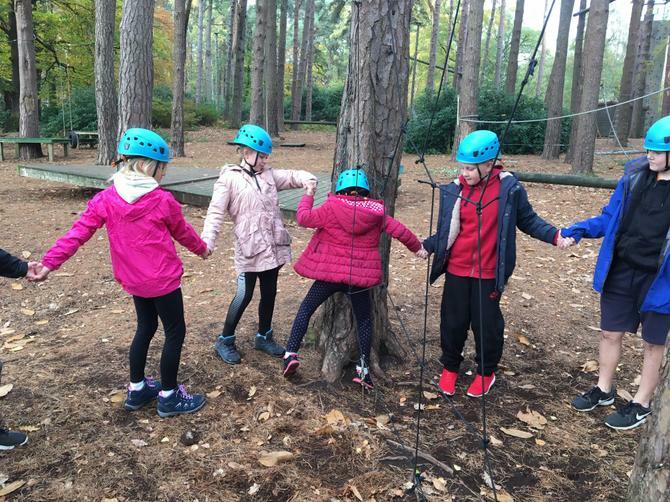 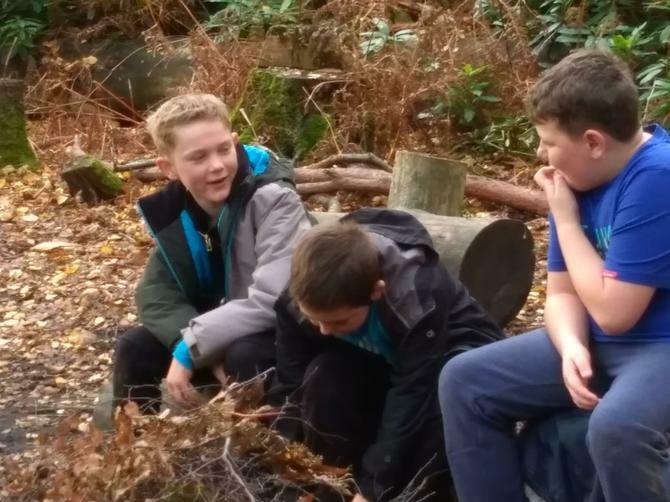 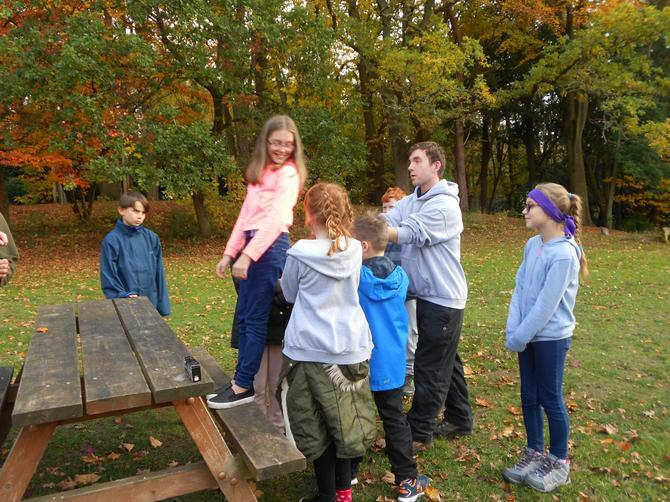 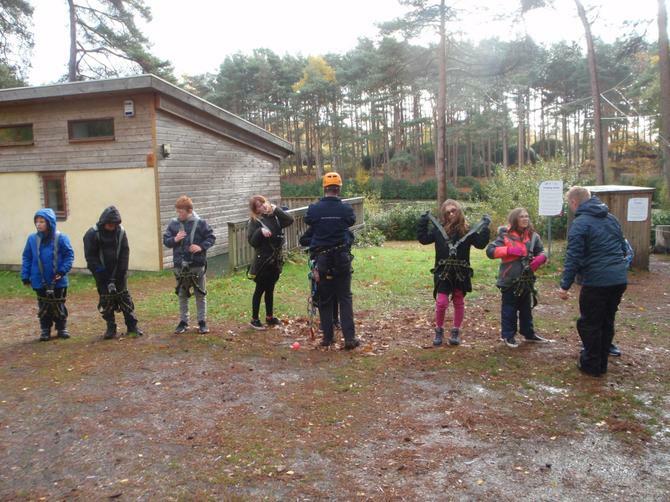 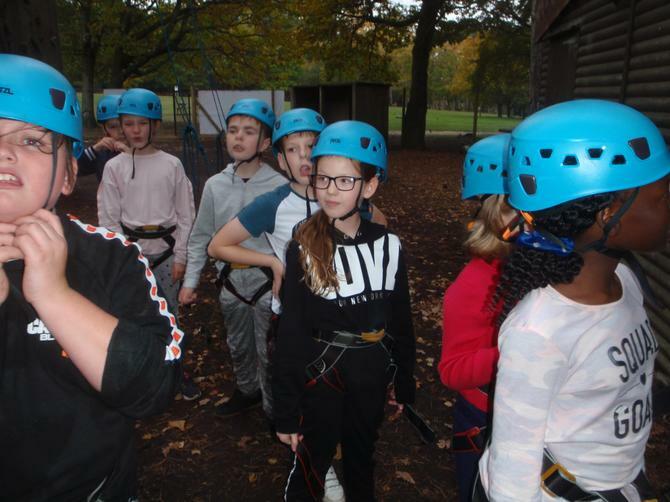 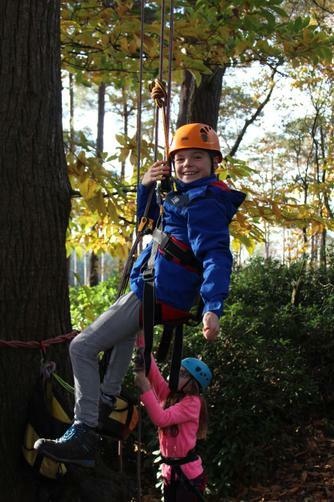 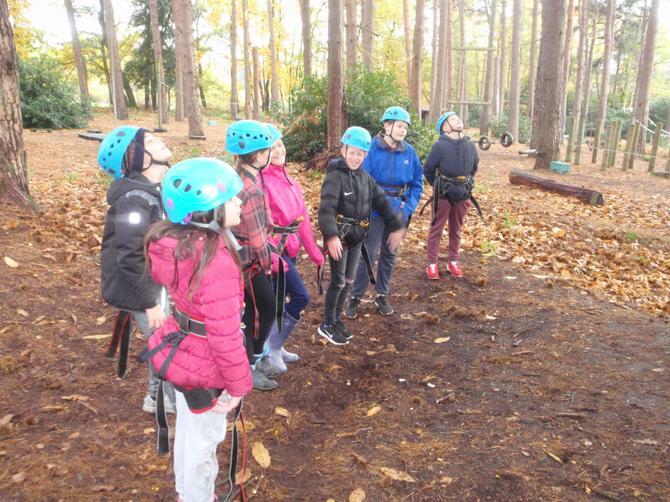 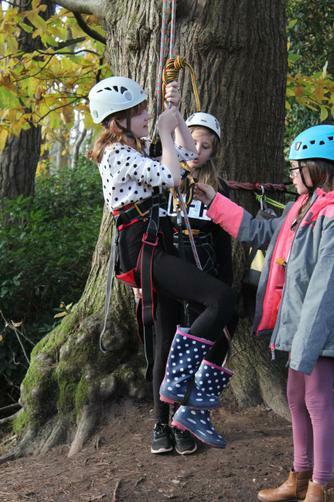 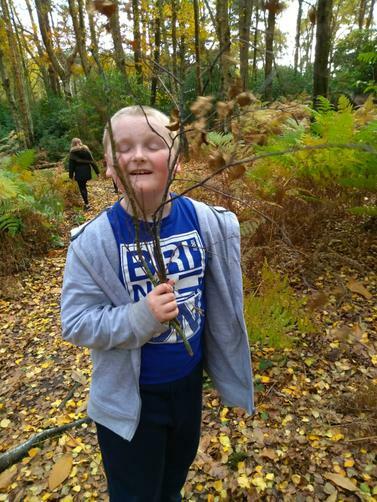 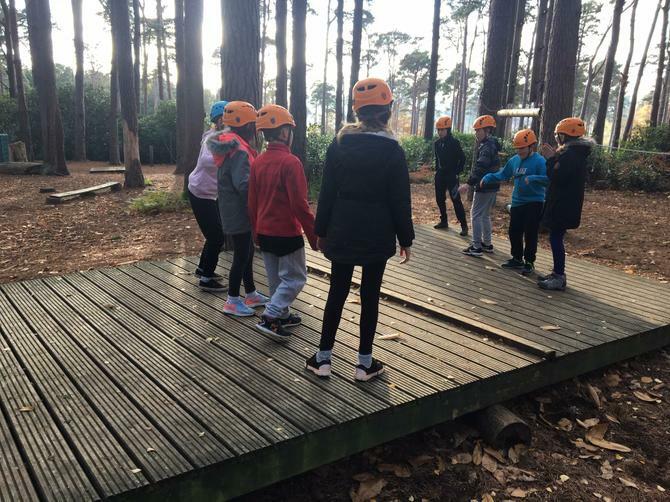 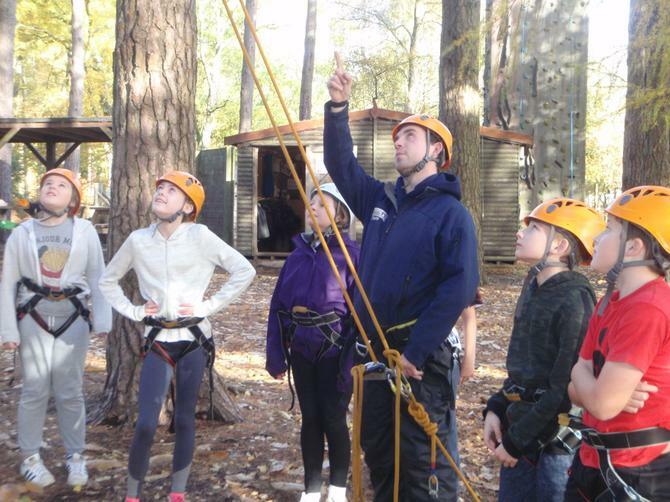 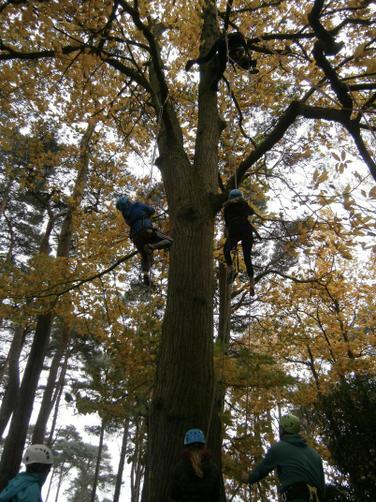 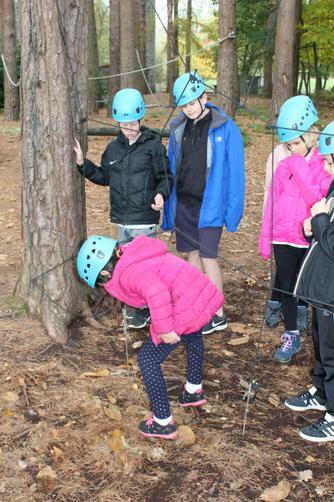 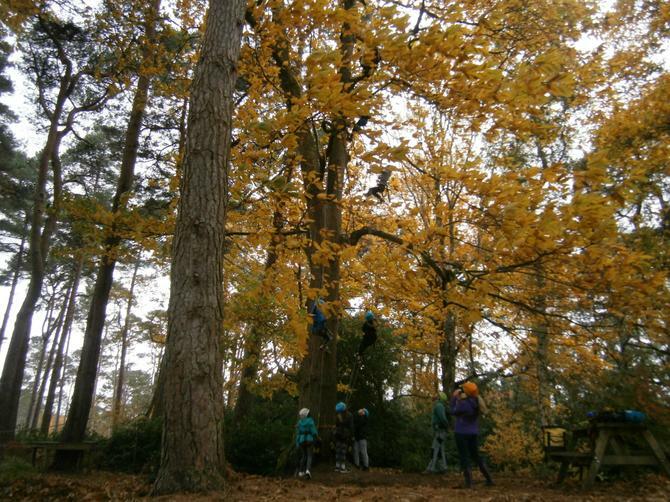 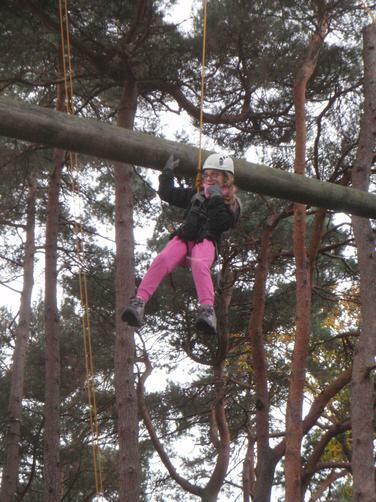 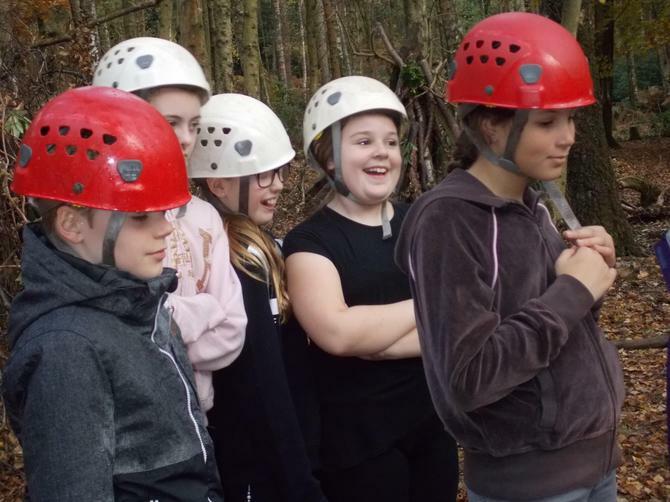 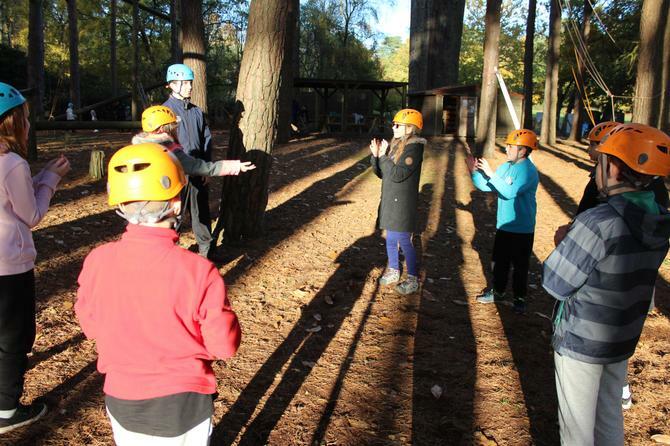 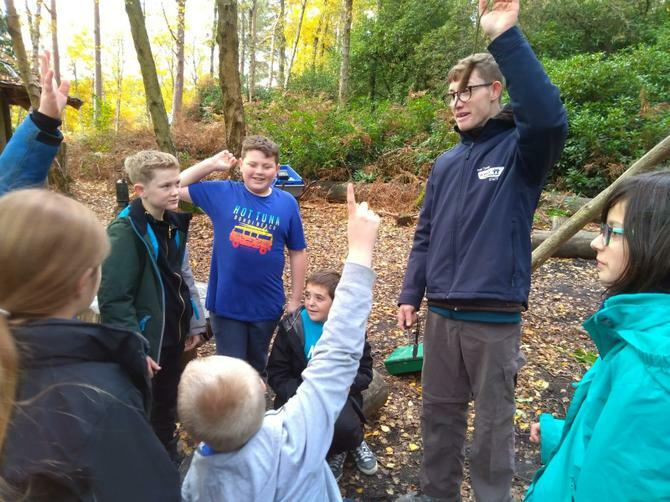 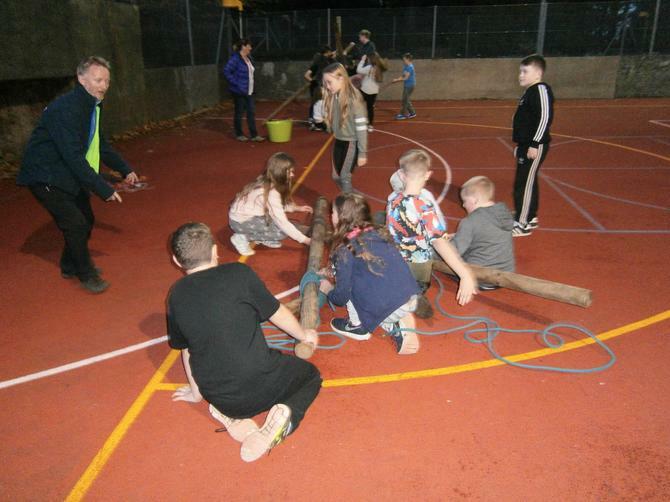 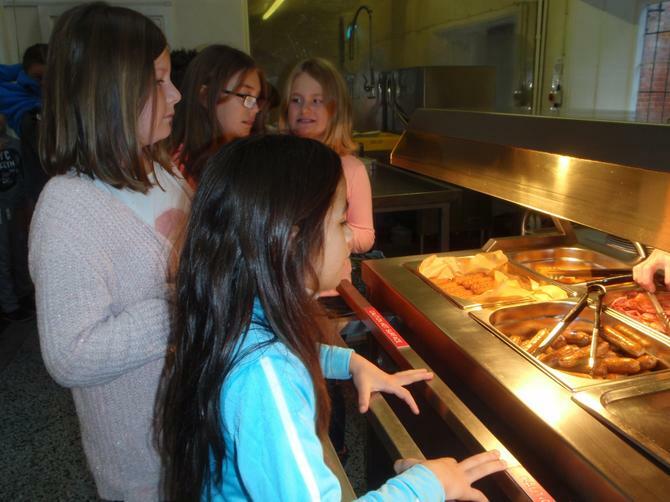 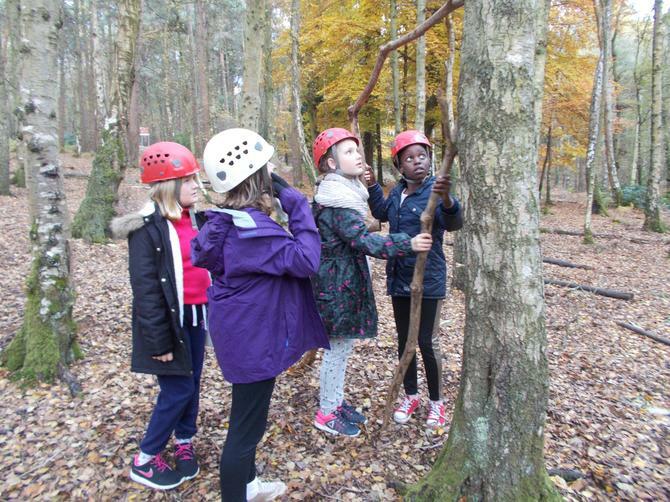 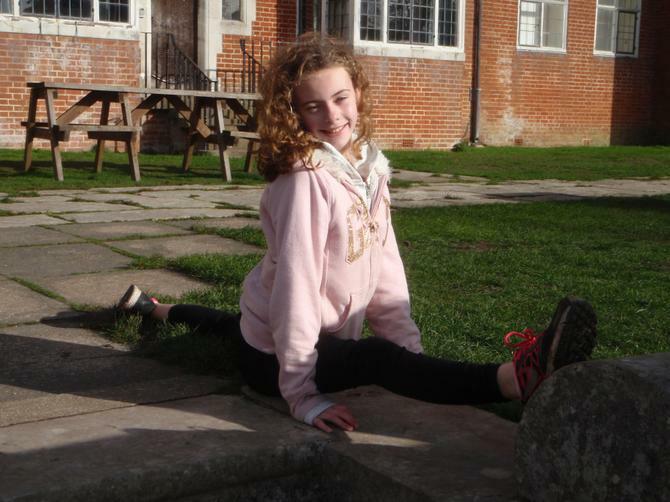 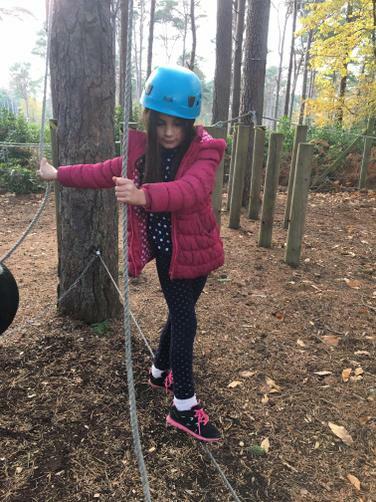 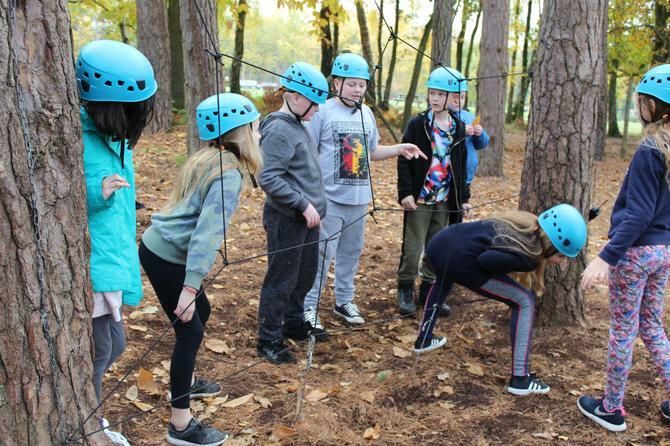 05.11.18-09.11.18 If your child was with Mrs. Cox for any of the activities at Avon Tyrrell, this is the place to look for their group photos. 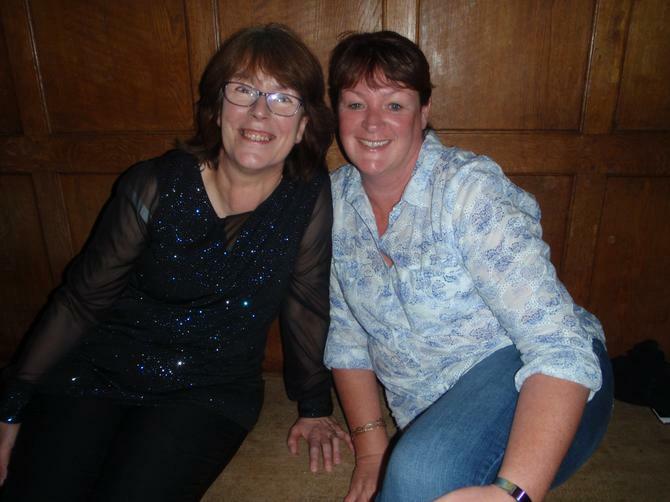 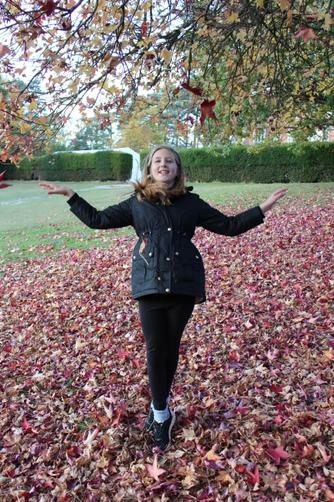 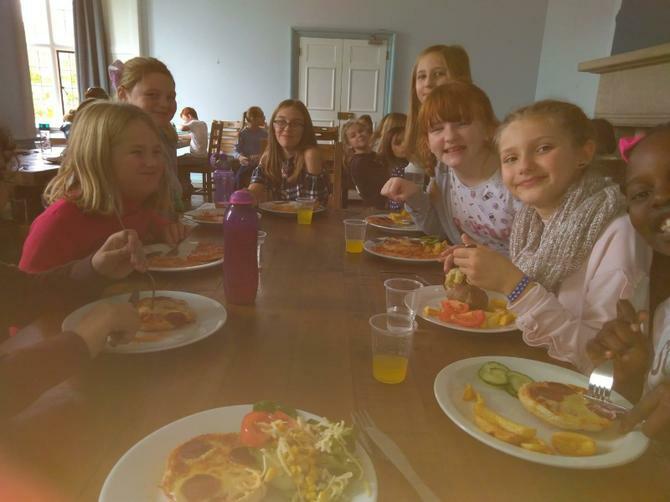 What a fantastic week! 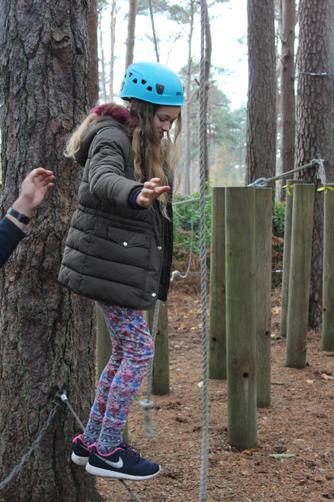 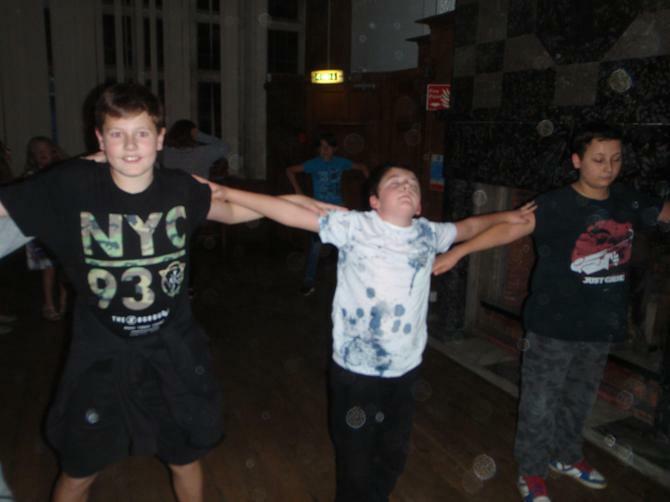 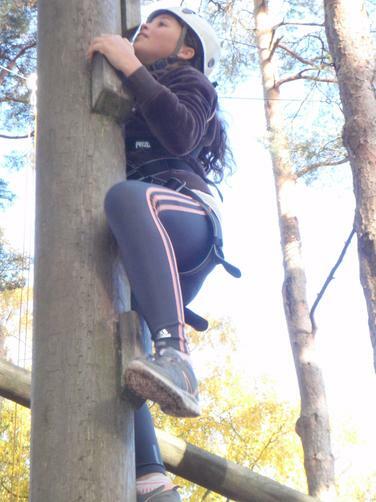 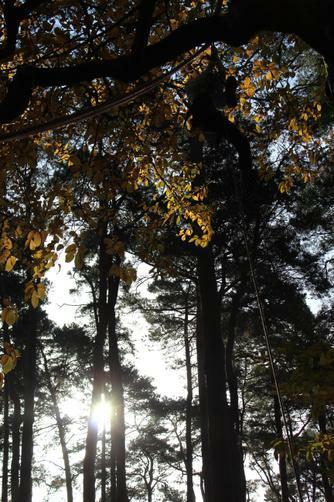 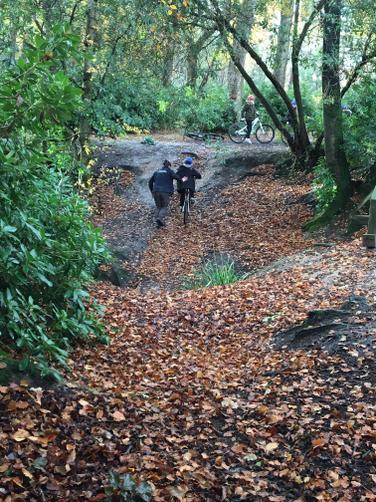 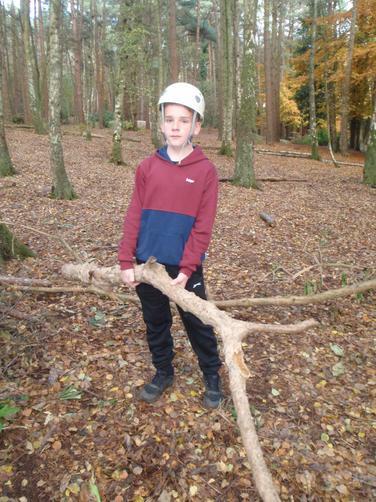 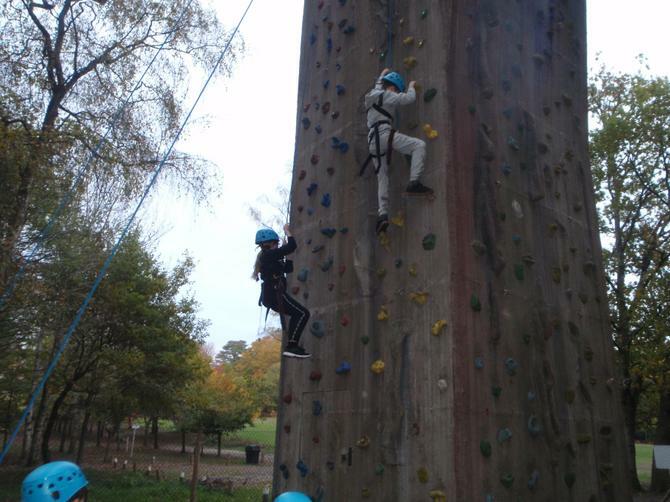 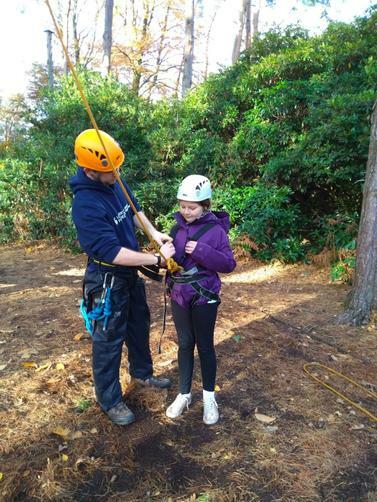 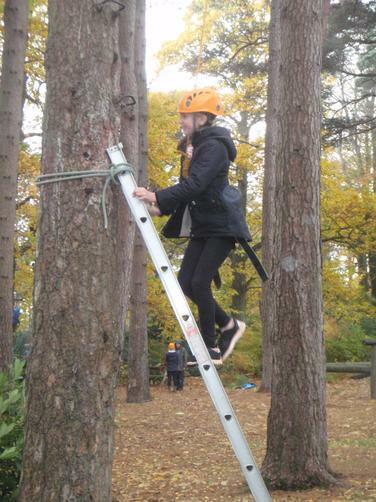 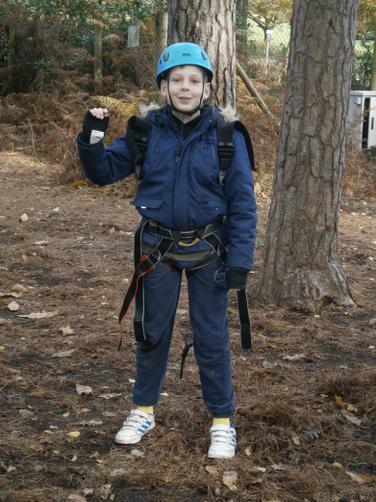 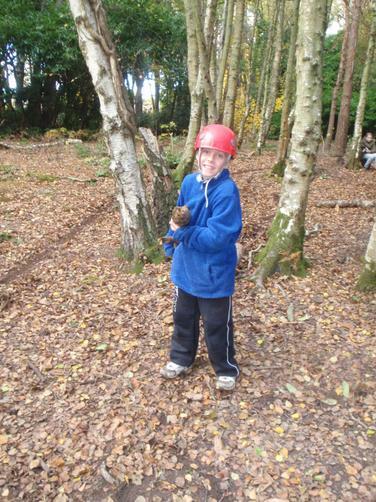 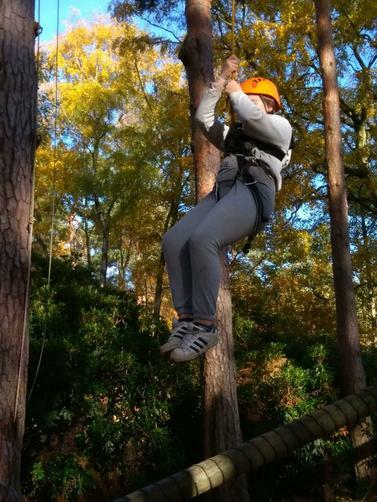 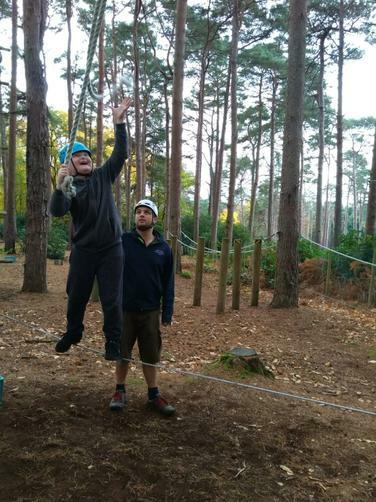 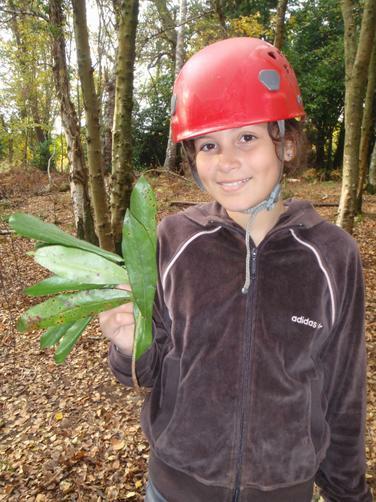 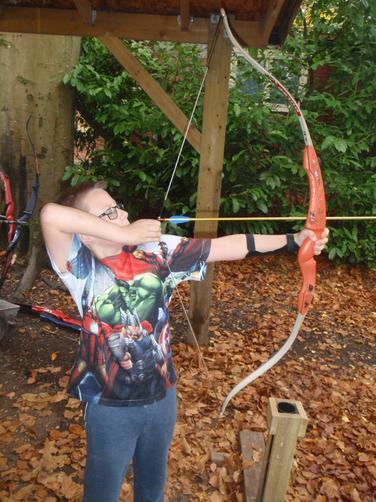 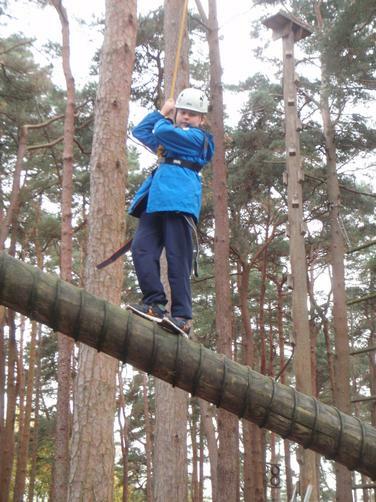 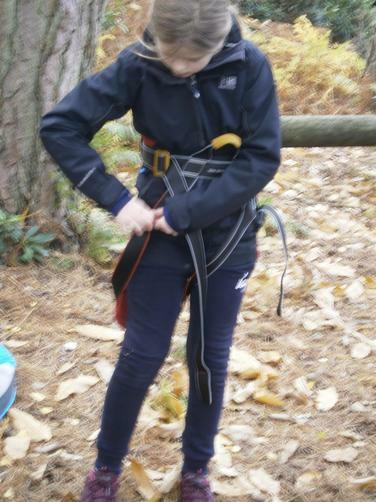 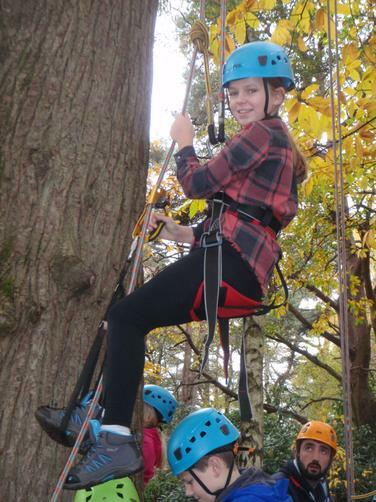 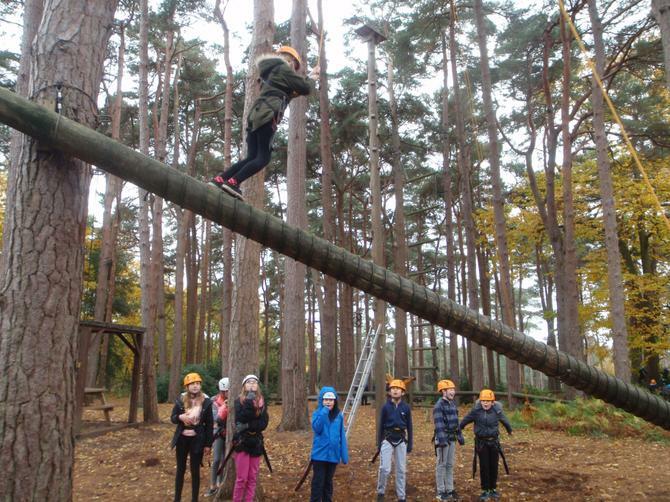 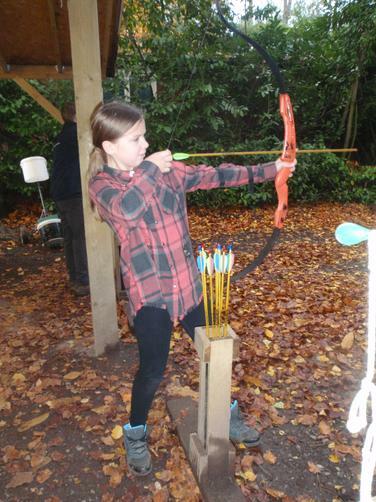 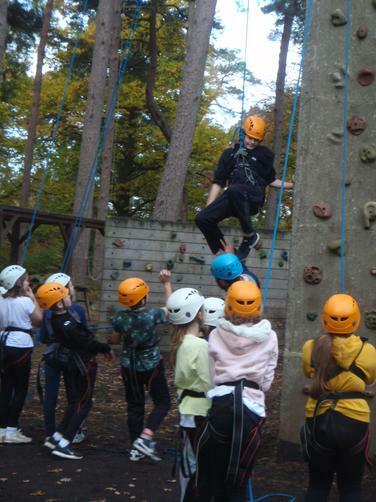 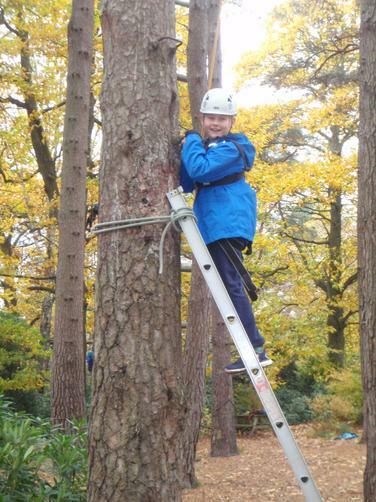 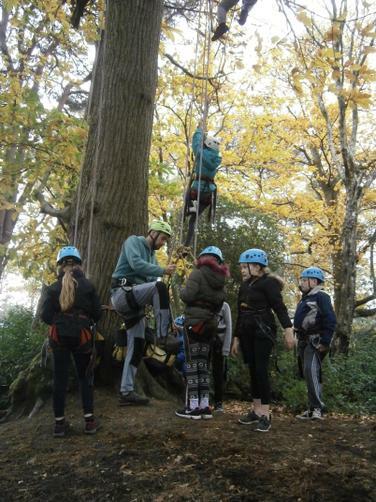 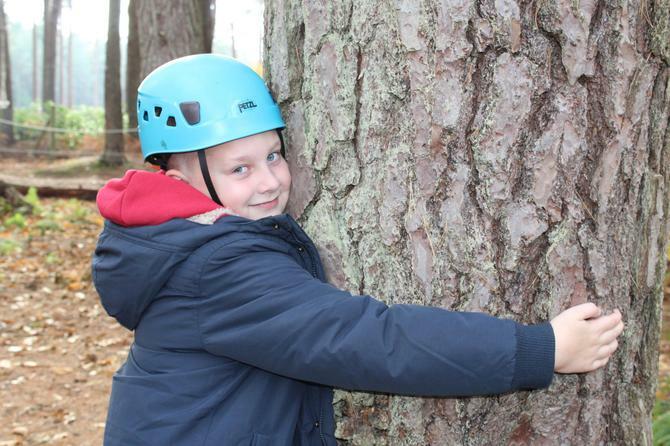 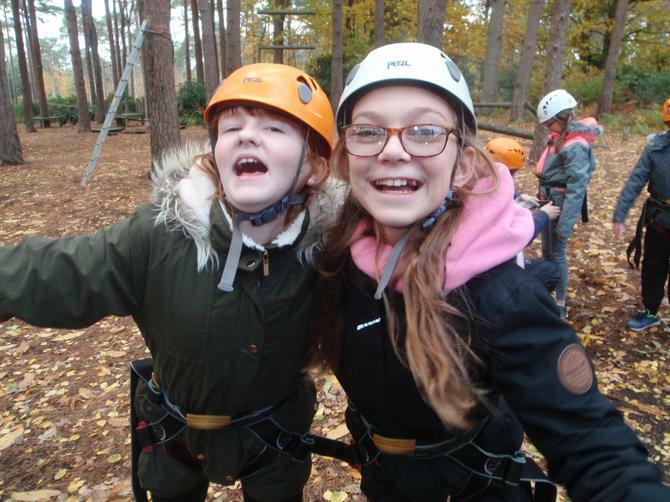 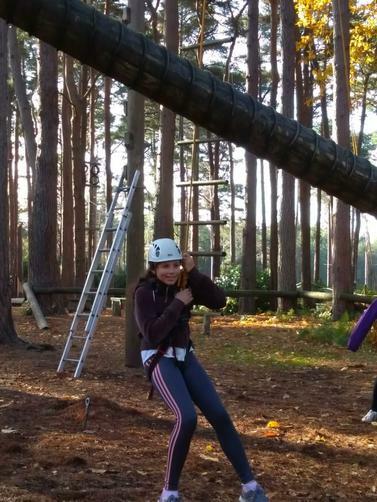 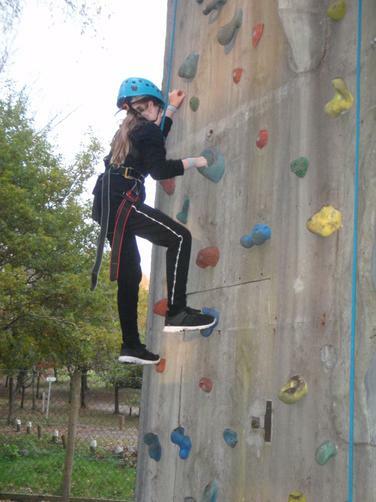 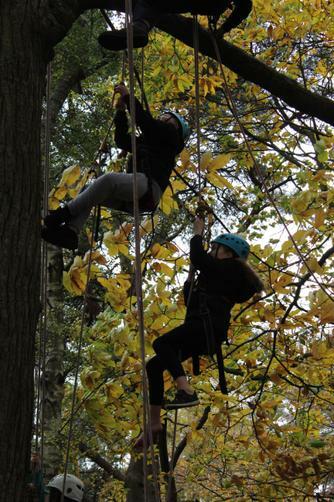 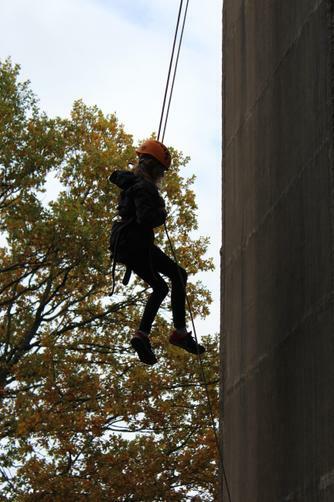 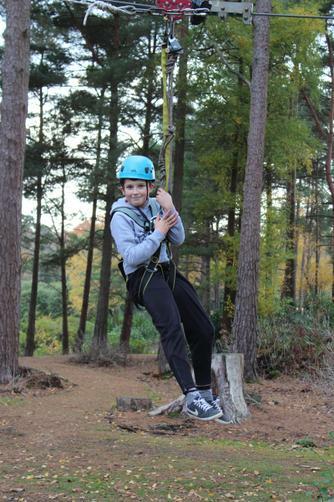 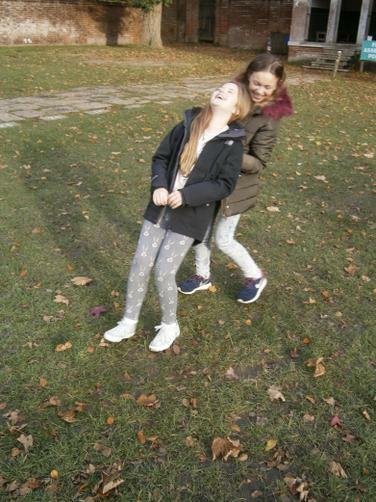 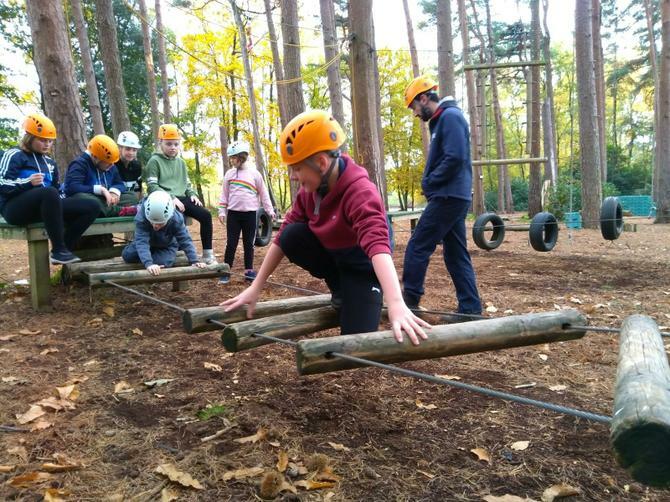 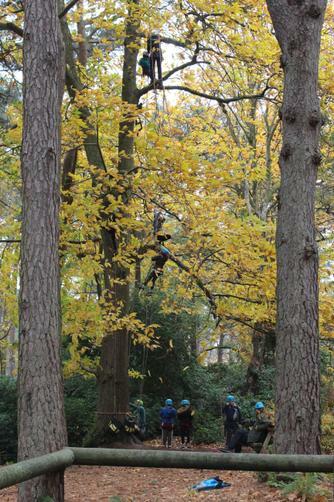 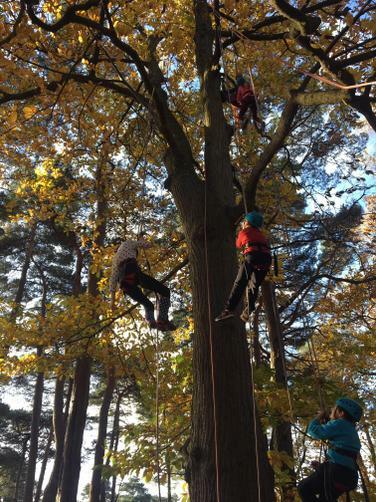 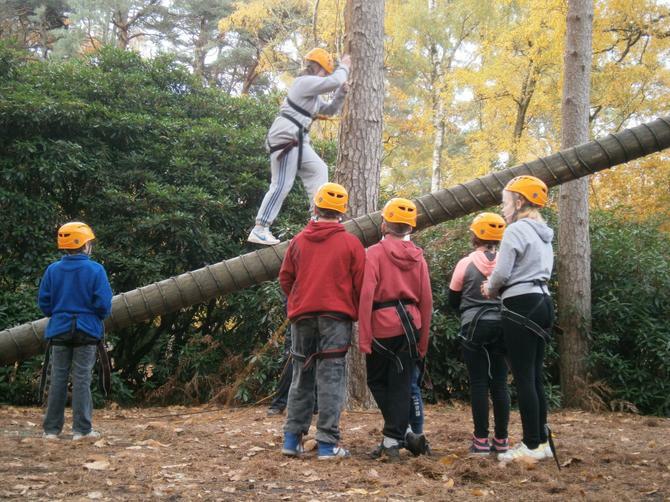 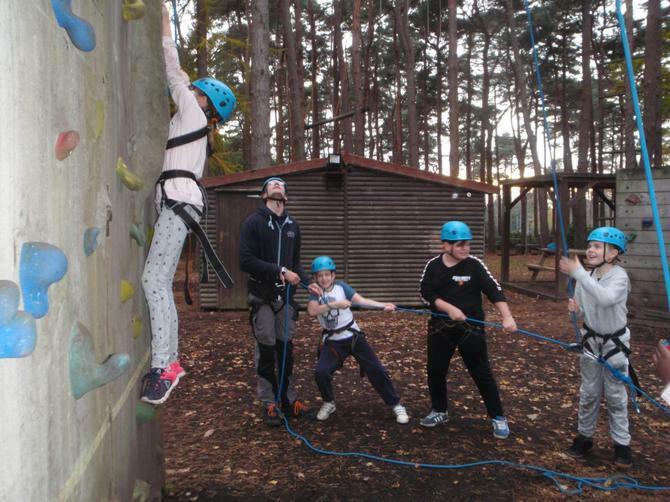 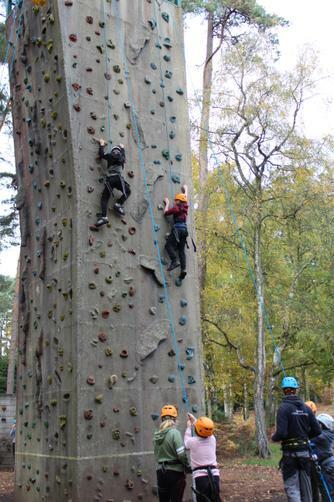 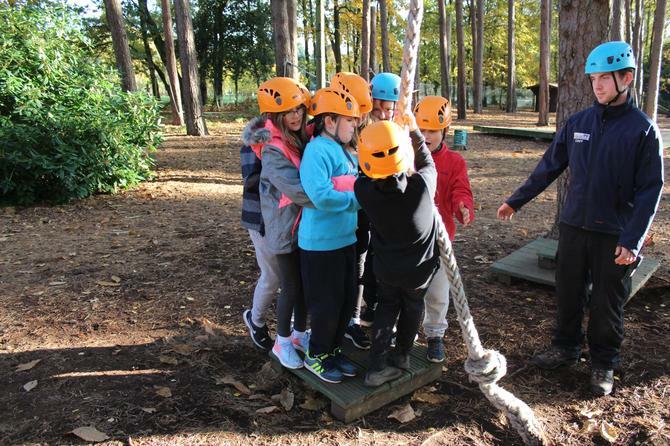 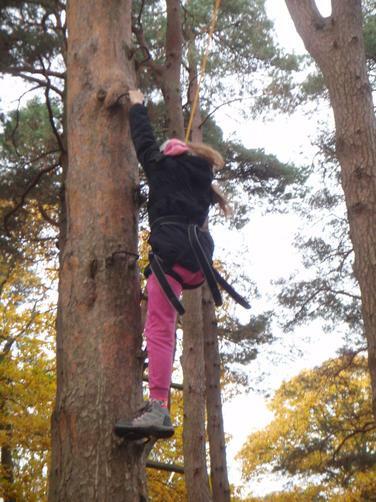 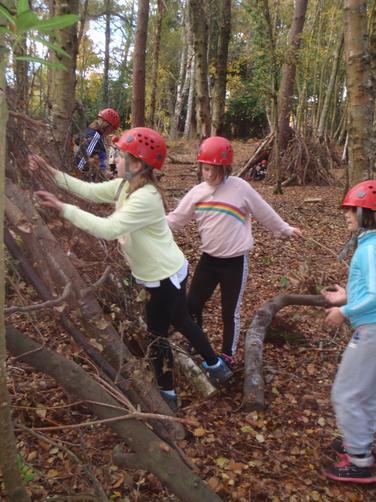 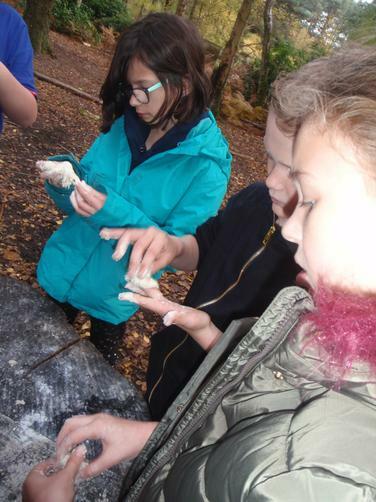 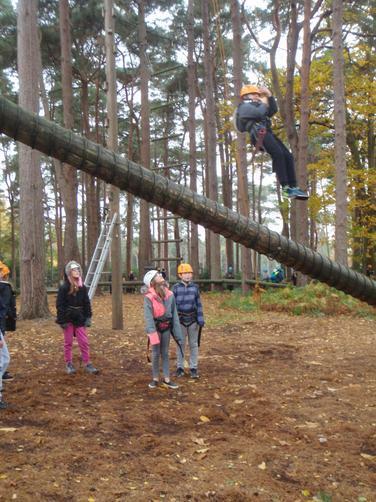 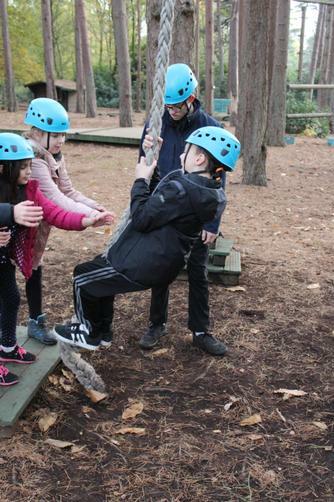 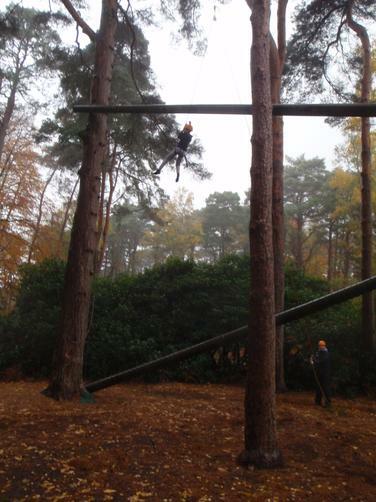 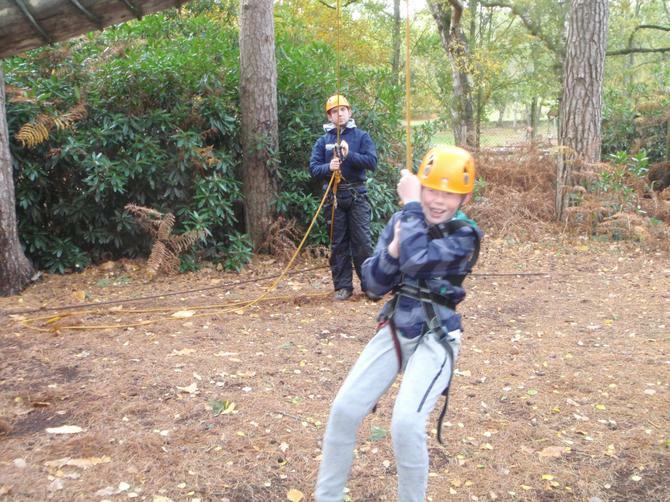 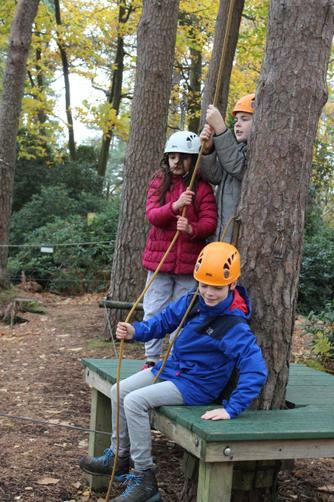 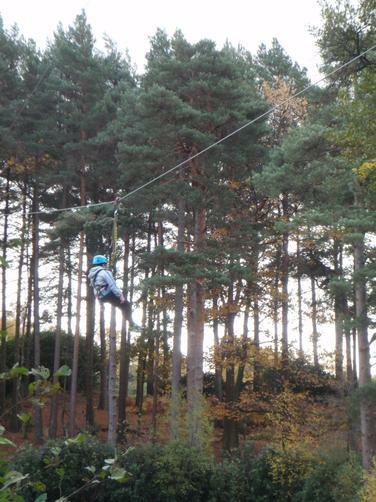 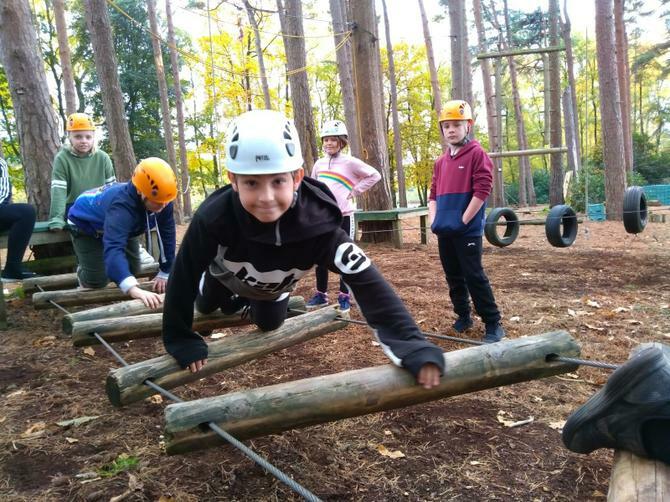 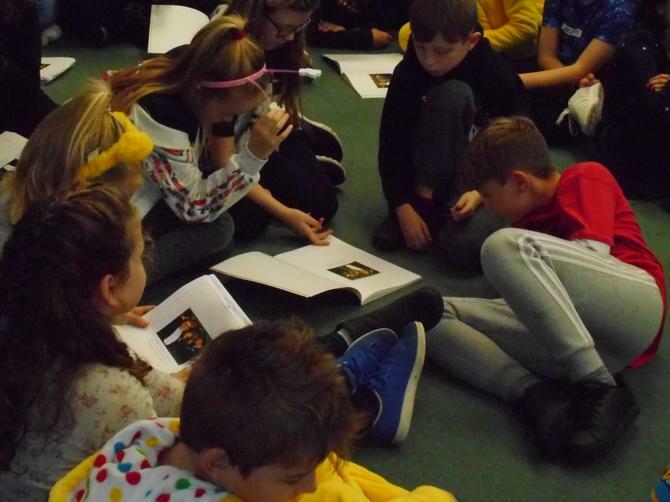 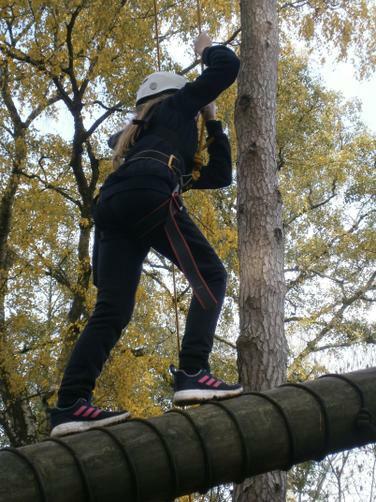 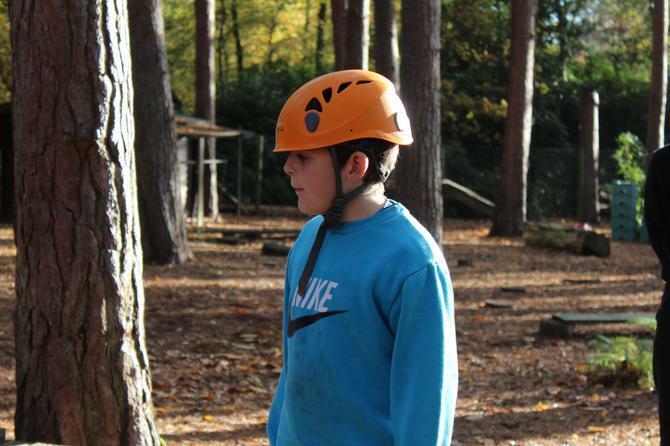 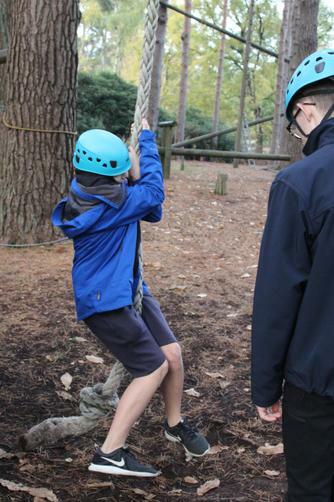 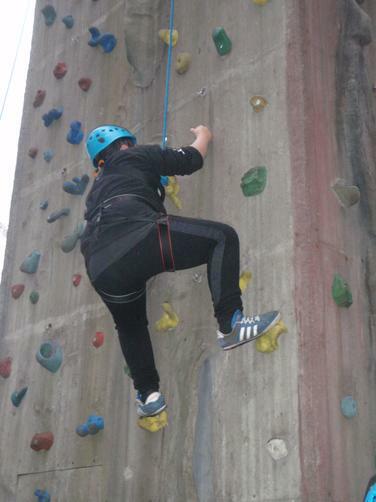 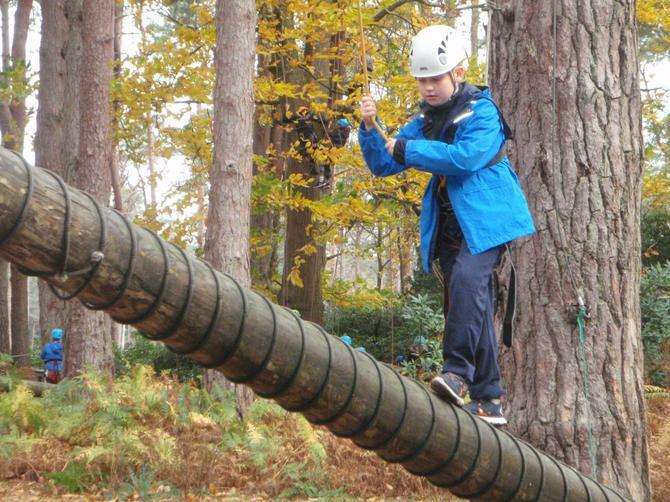 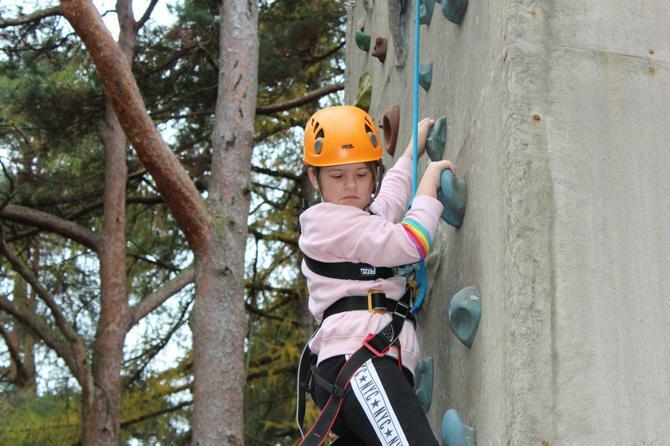 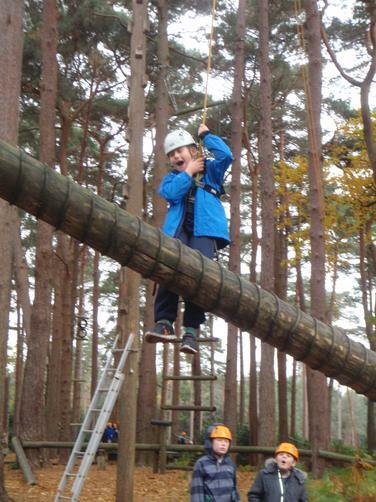 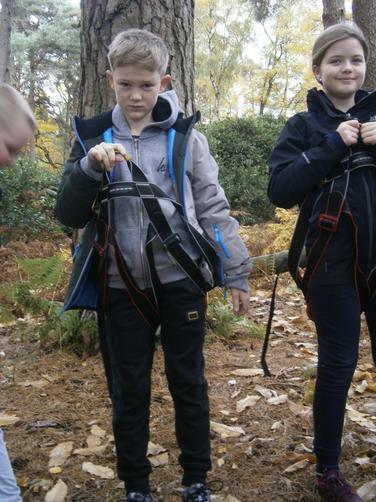 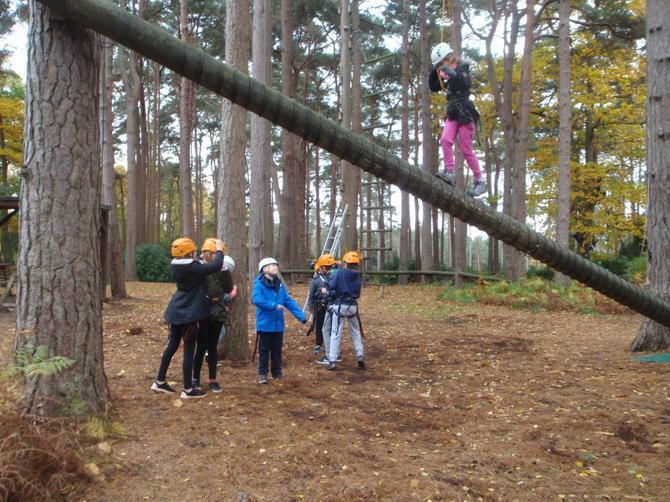 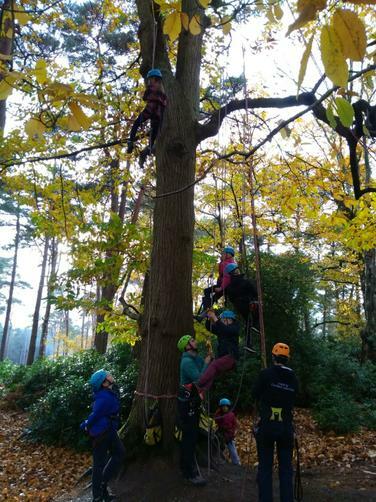 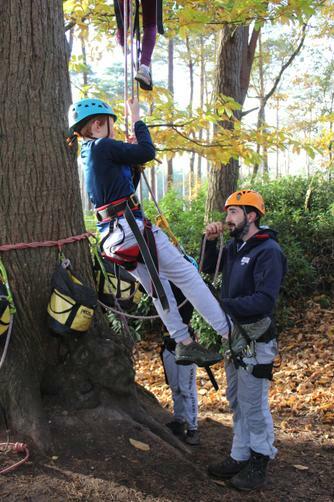 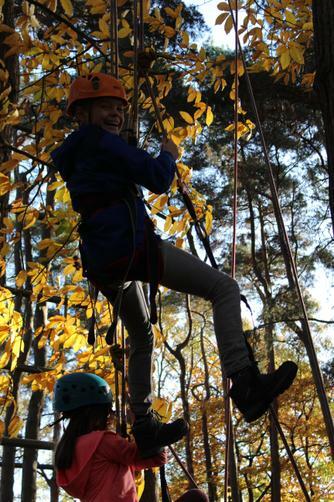 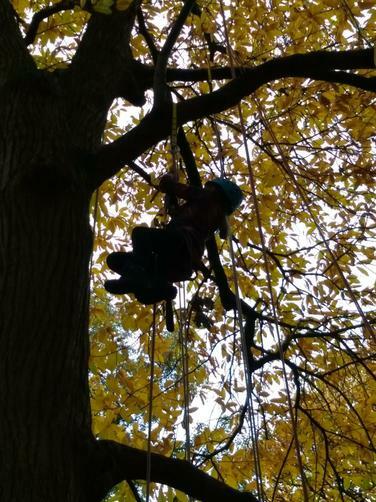 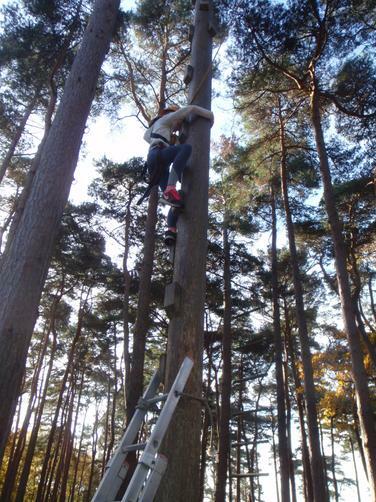 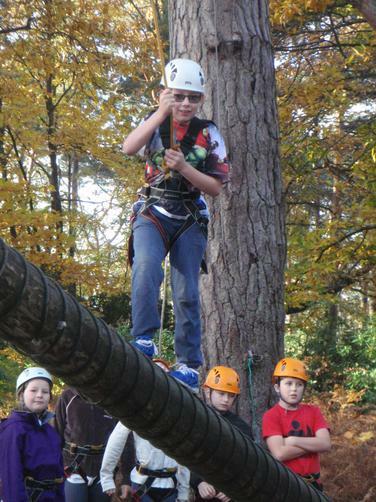 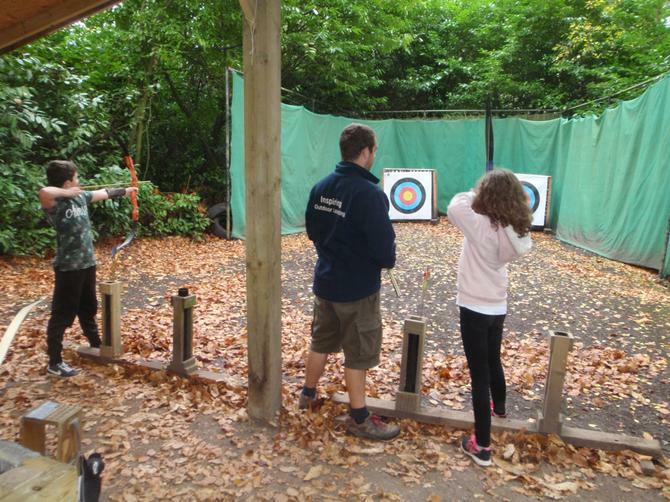 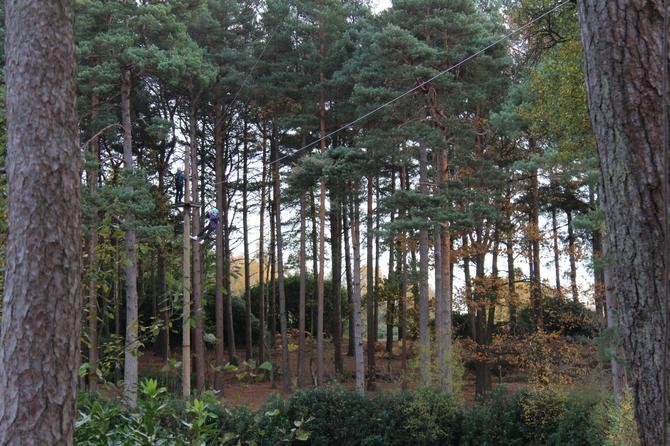 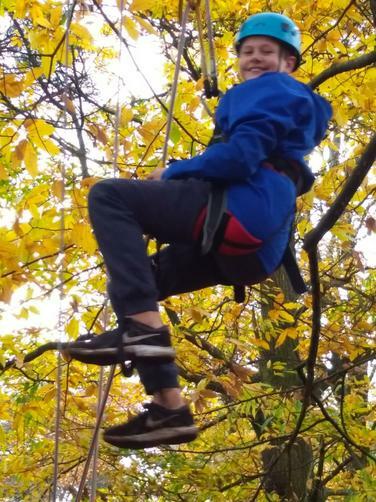 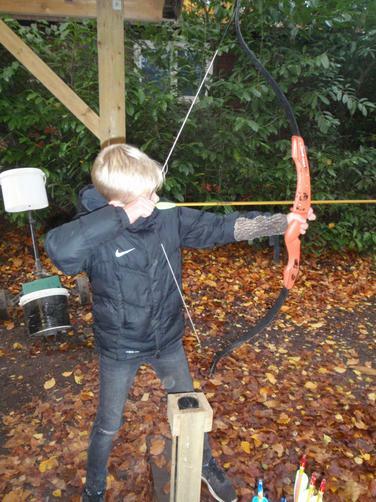 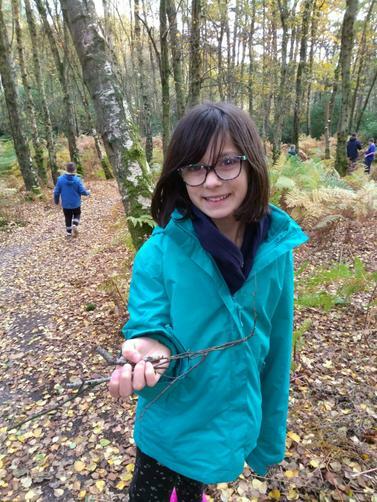 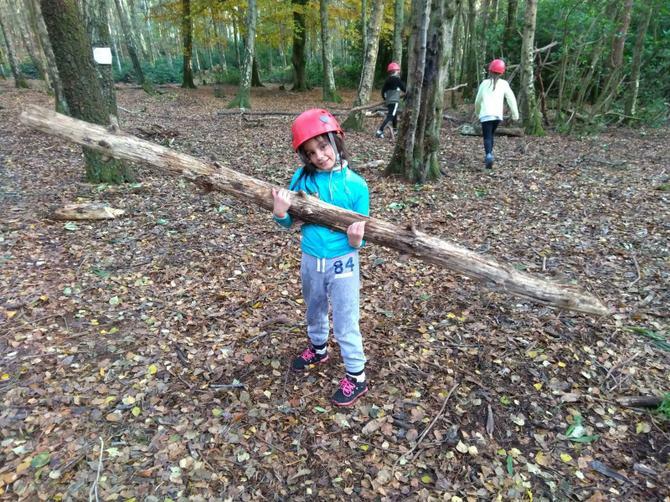 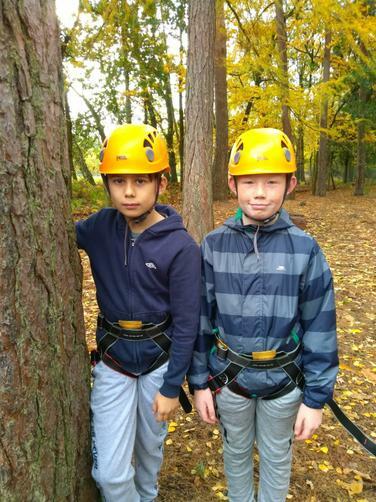 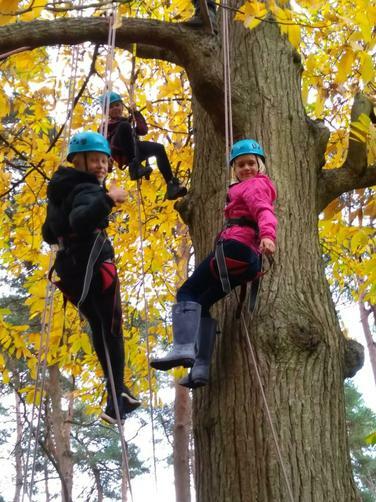 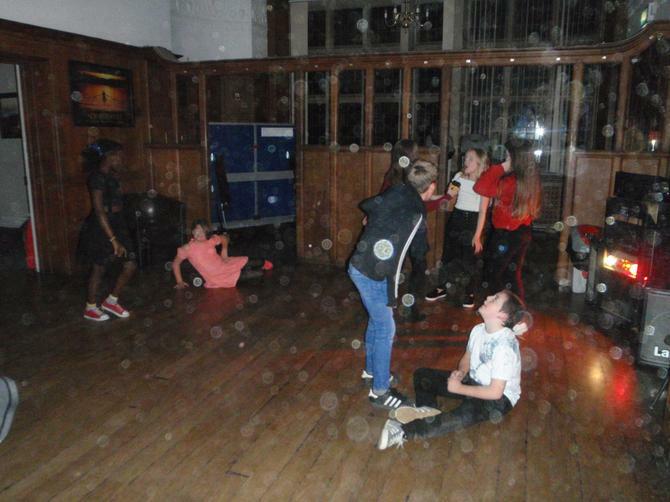 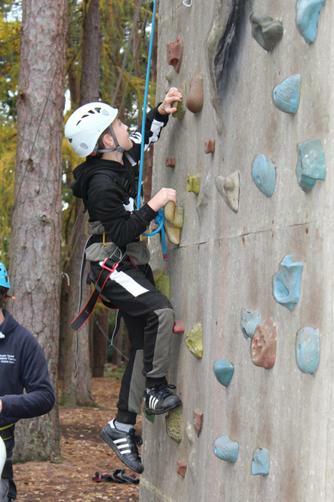 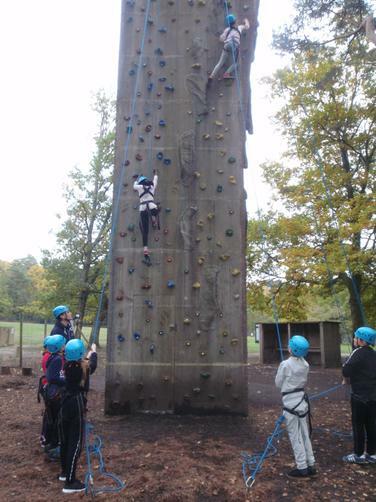 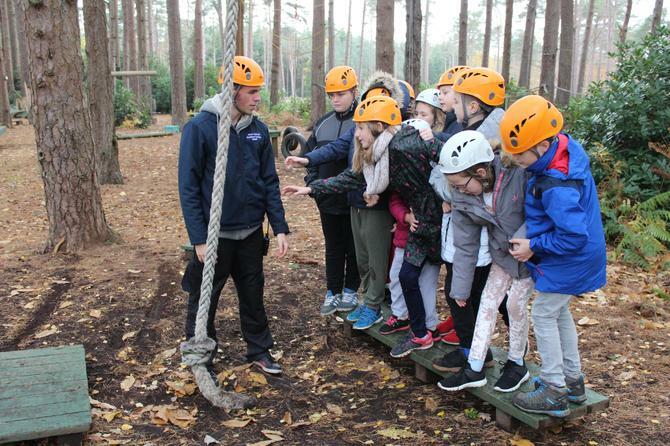 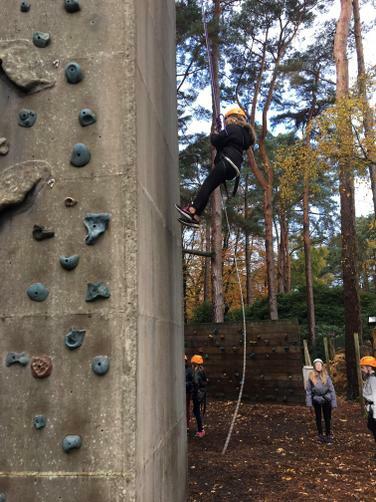 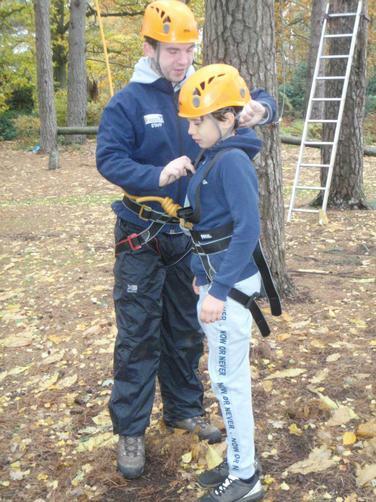 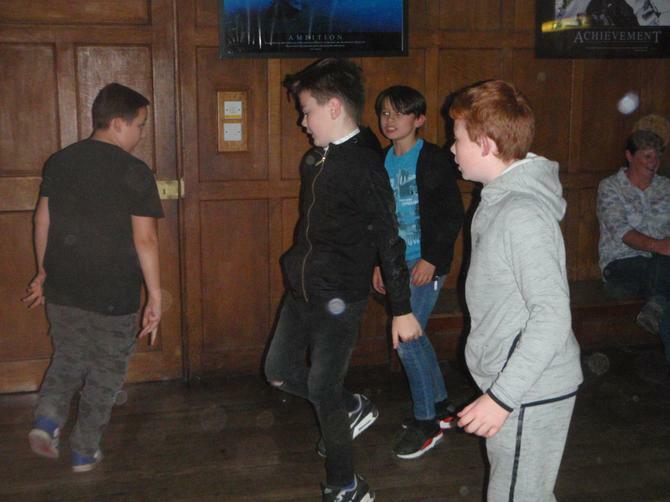 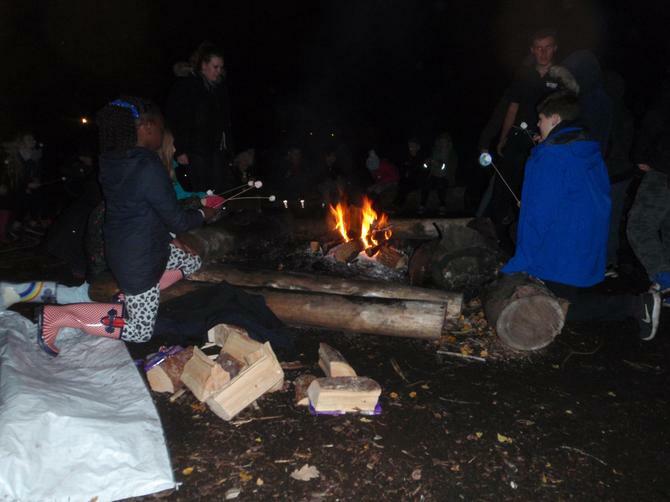 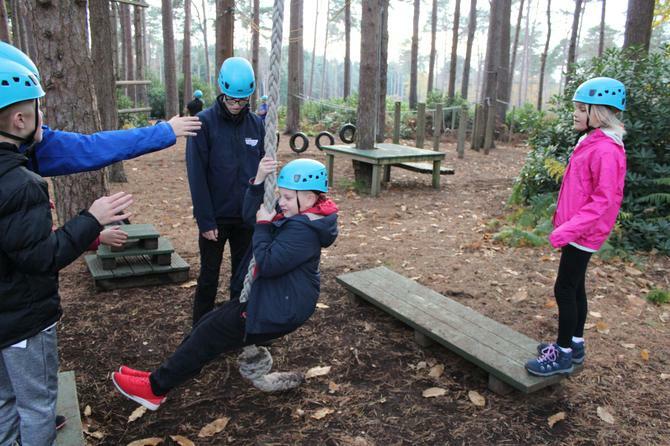 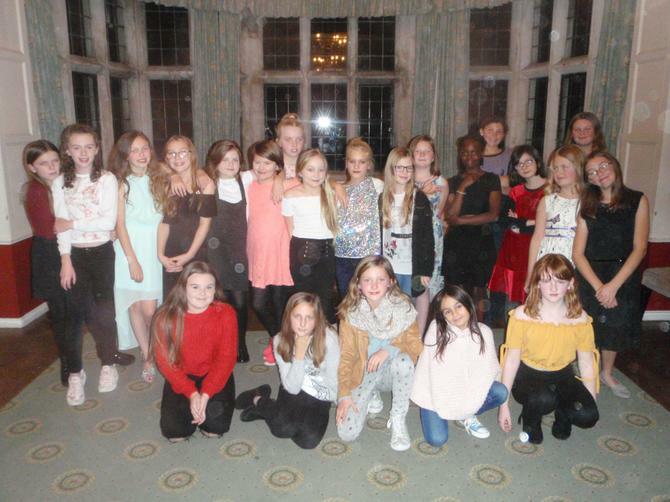 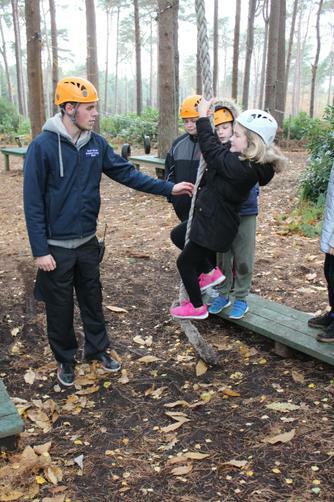 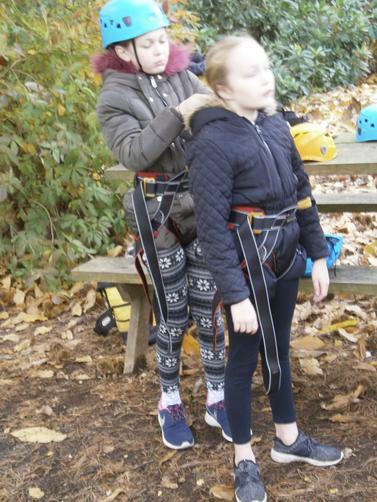 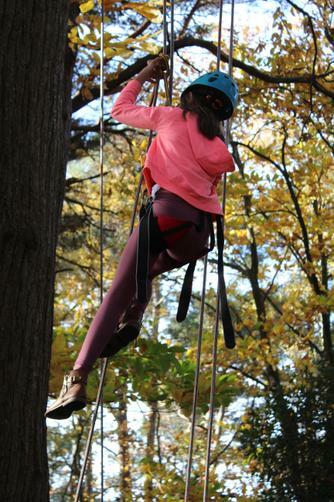 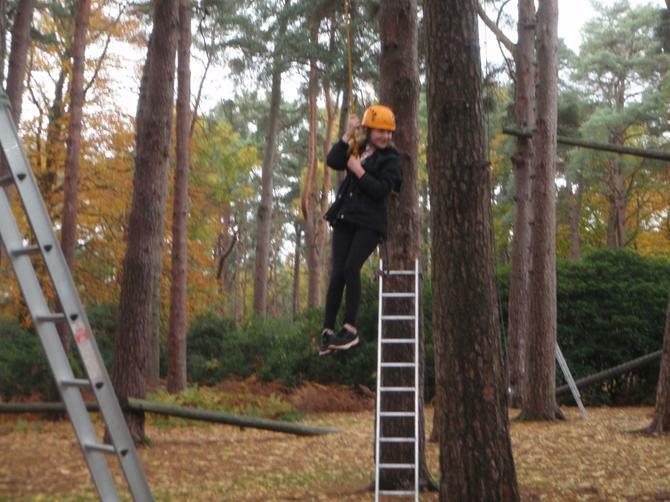 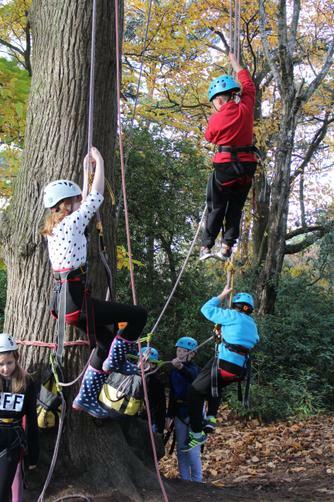 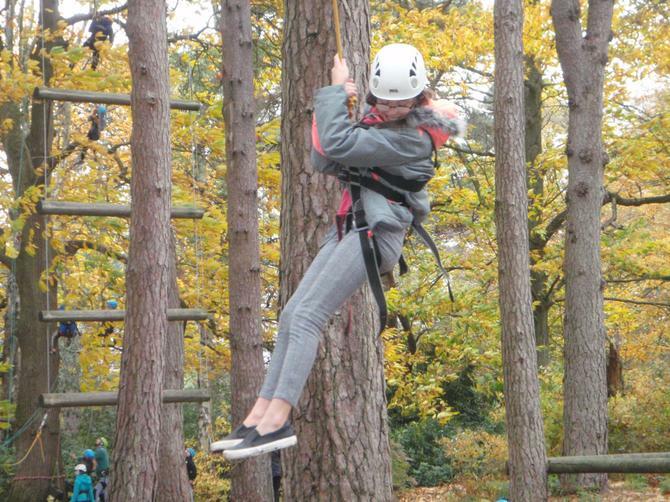 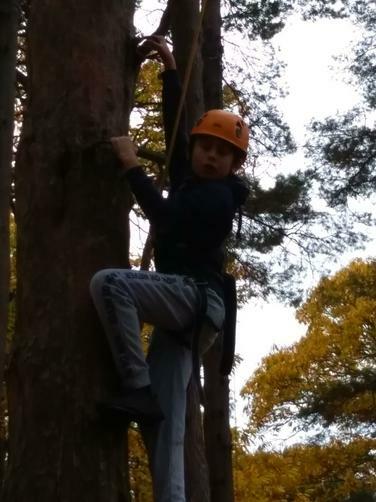 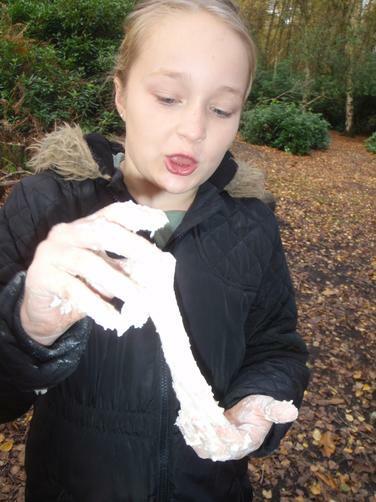 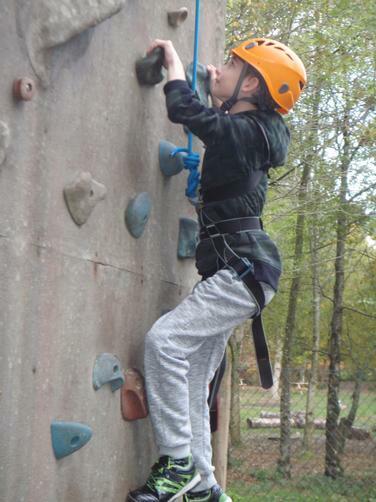 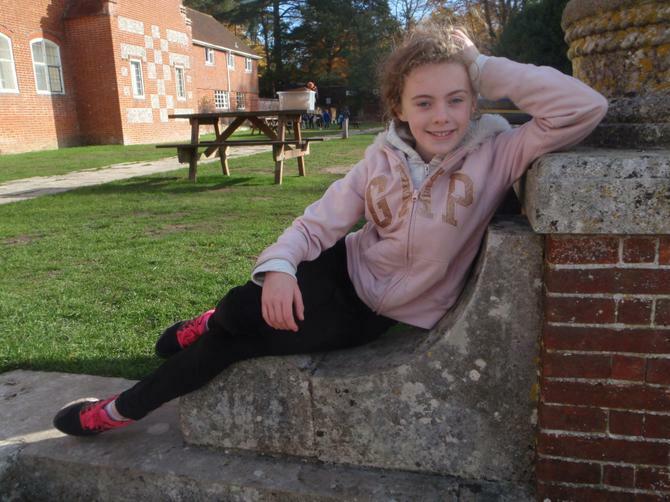 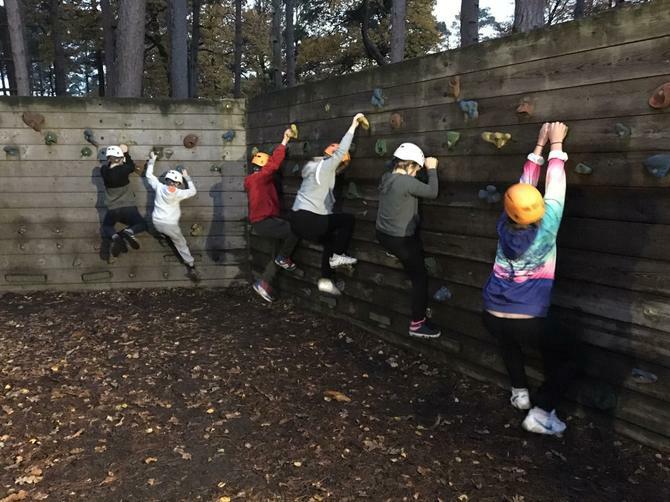 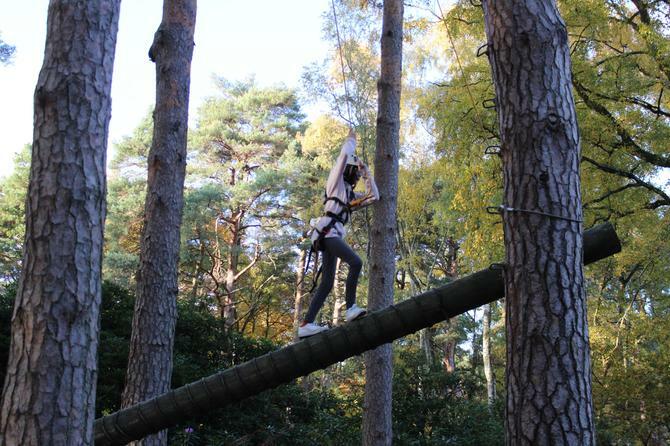 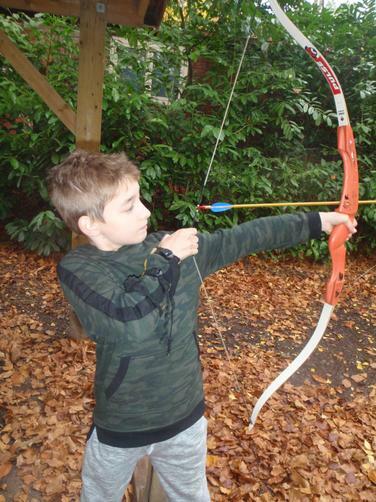 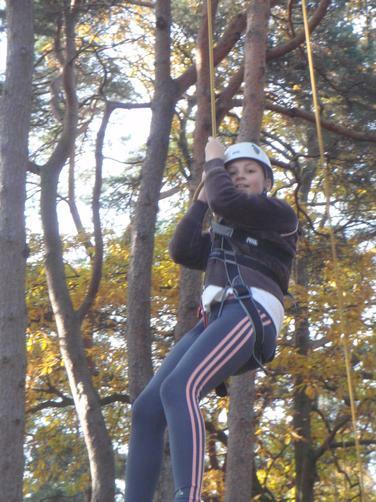 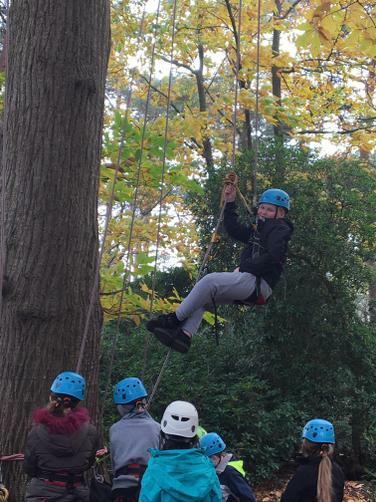 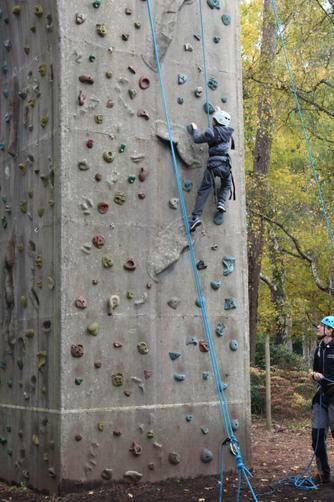 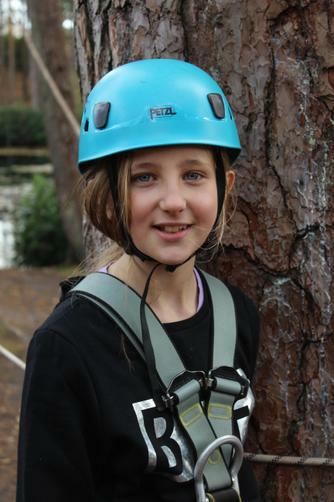 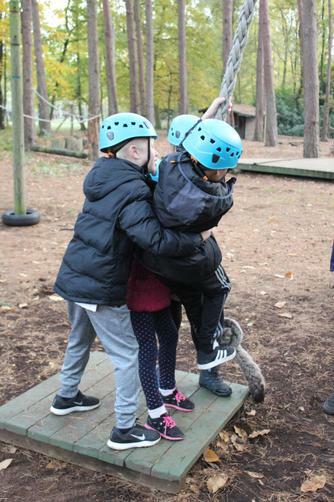 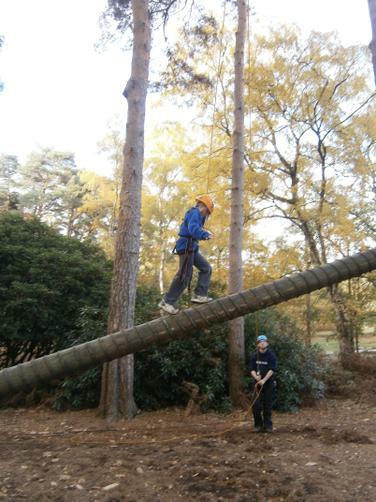 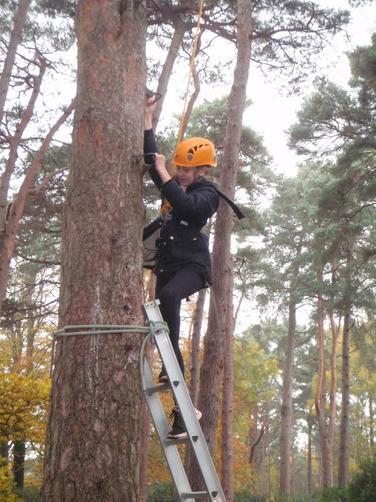 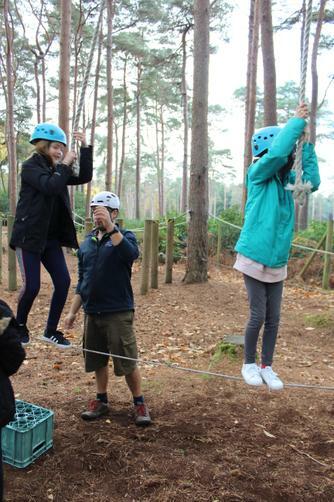 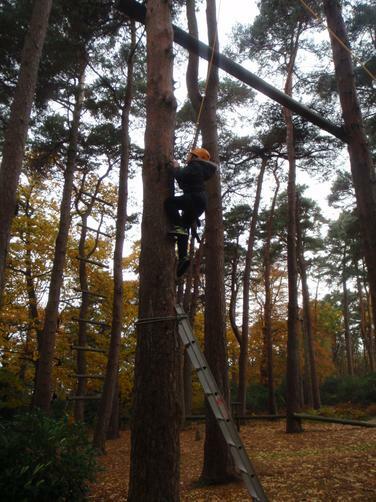 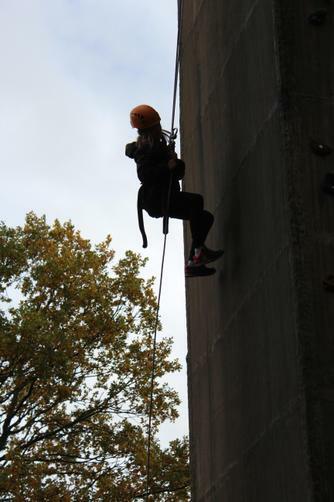 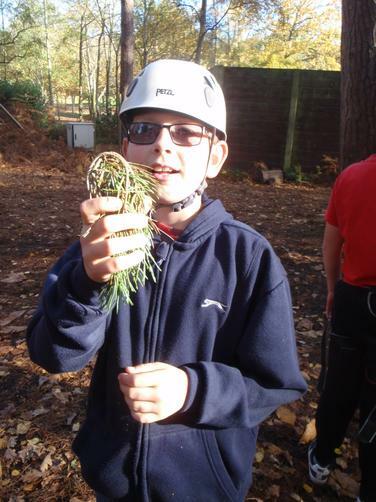 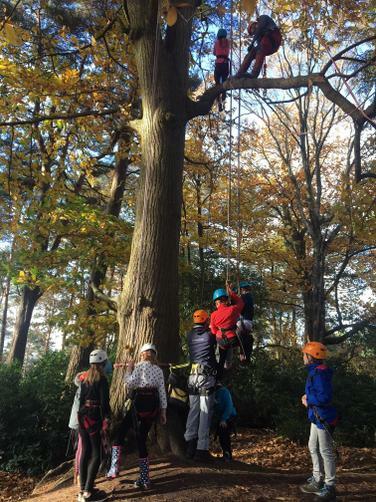 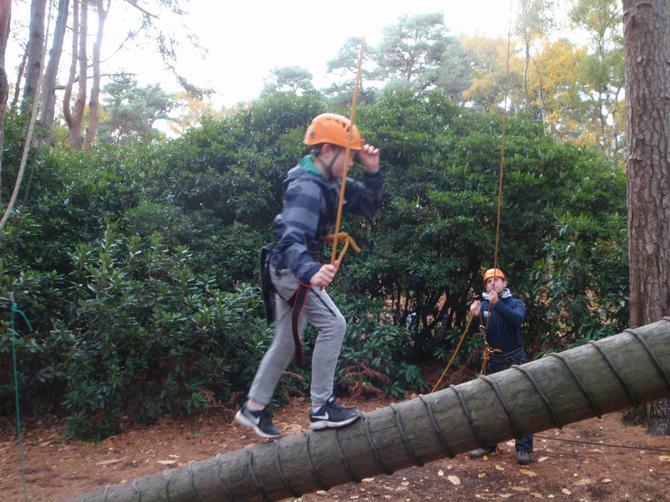 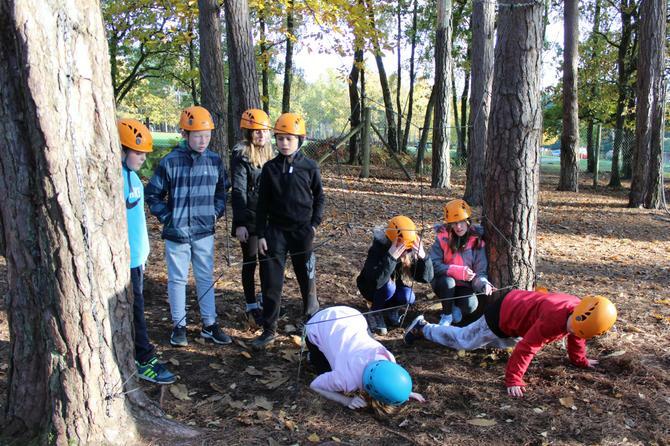 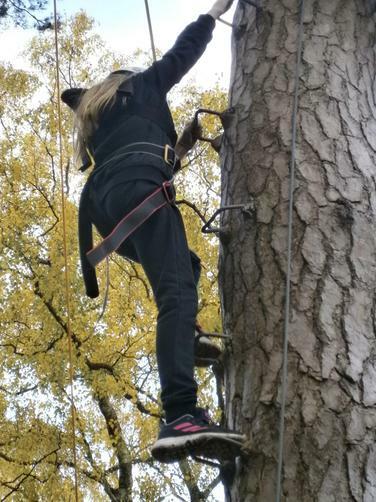 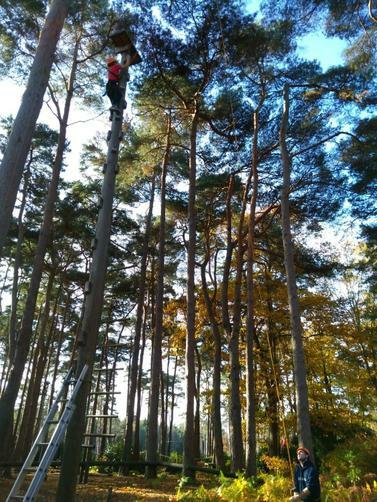 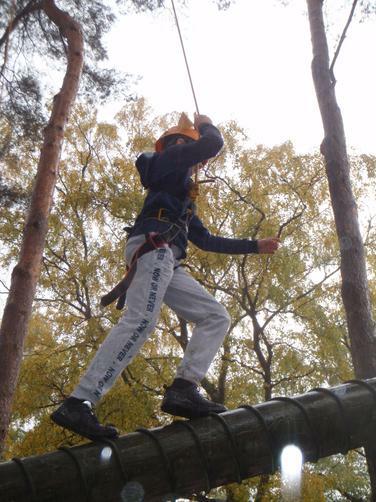 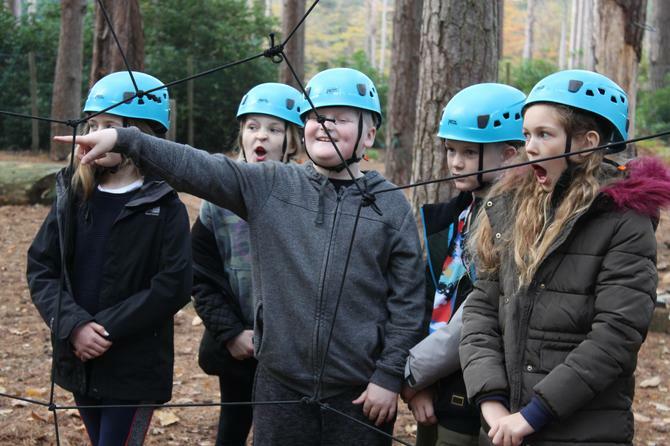 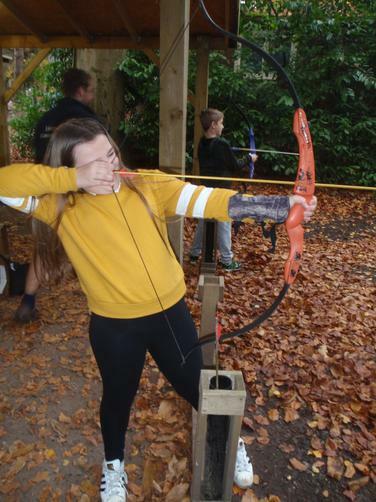 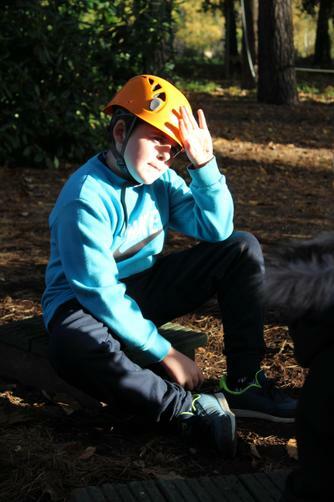 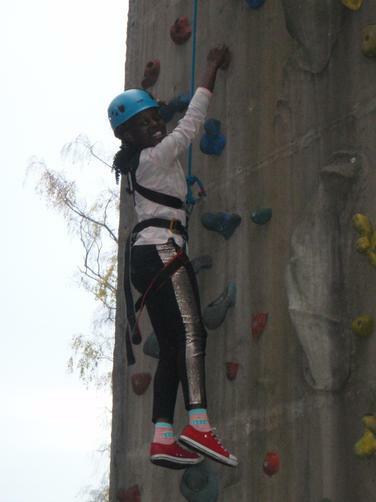 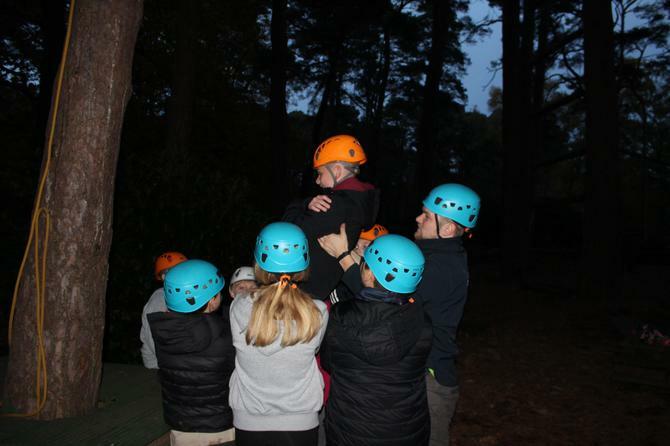 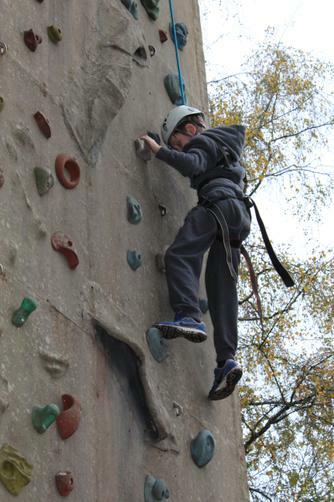 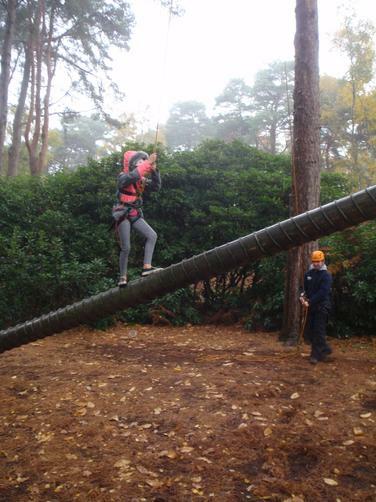 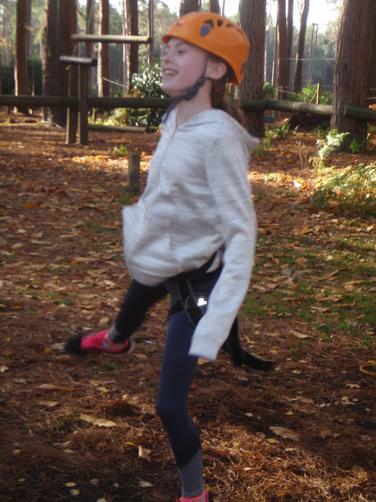 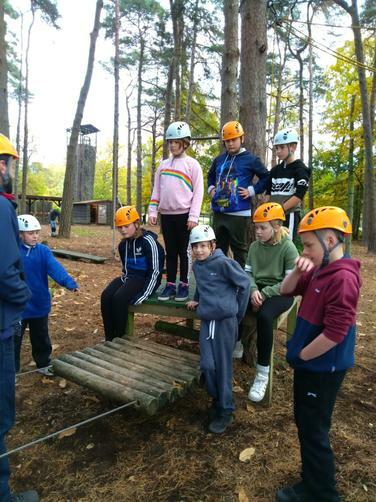 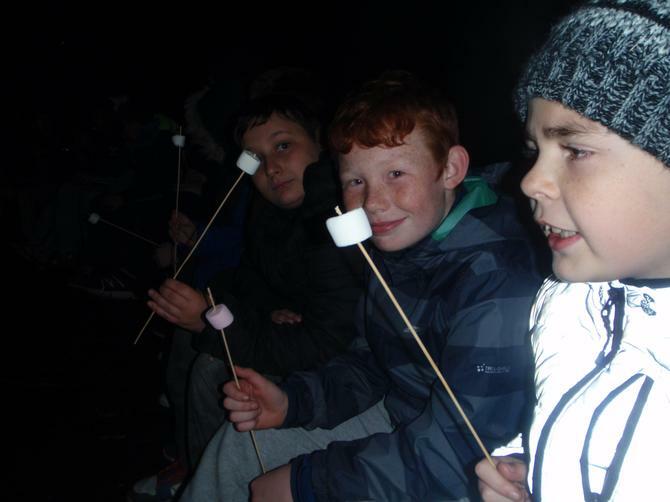 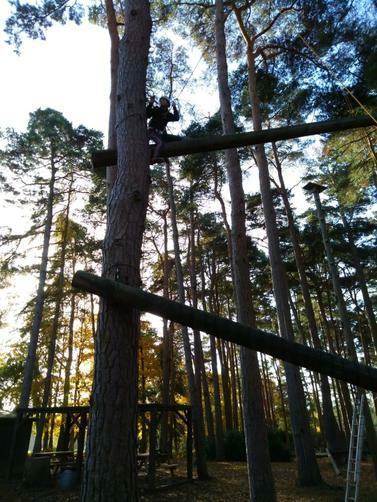 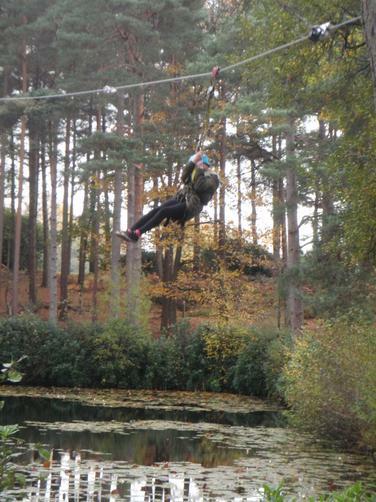 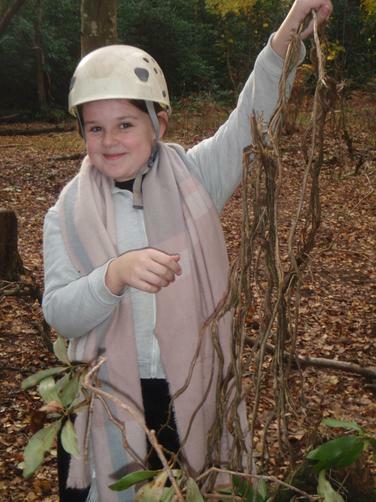 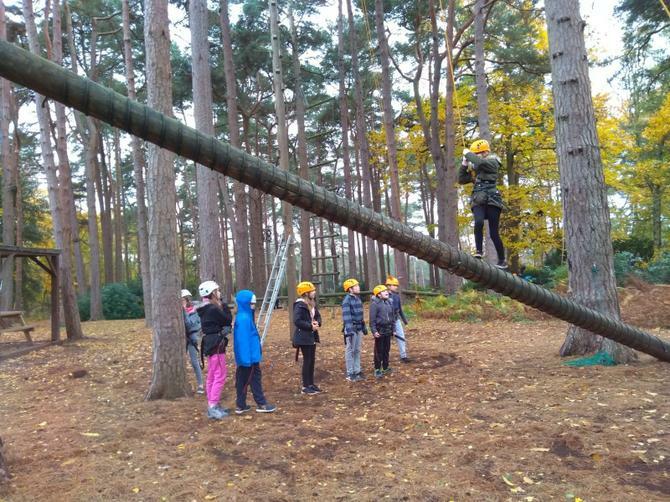 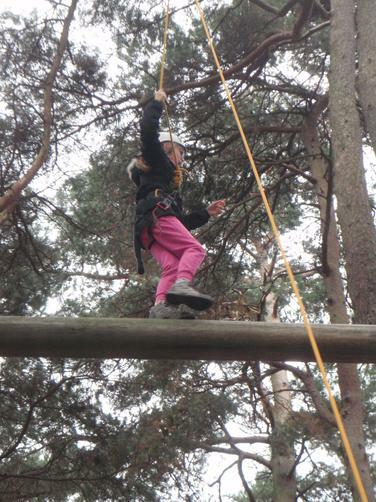 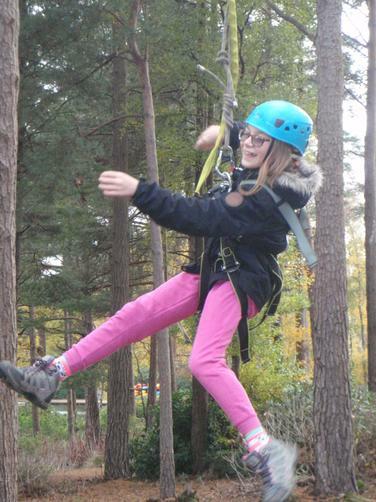 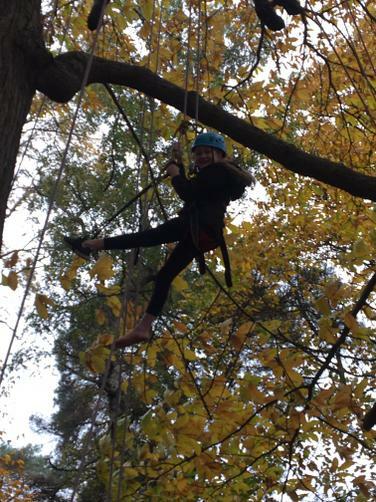 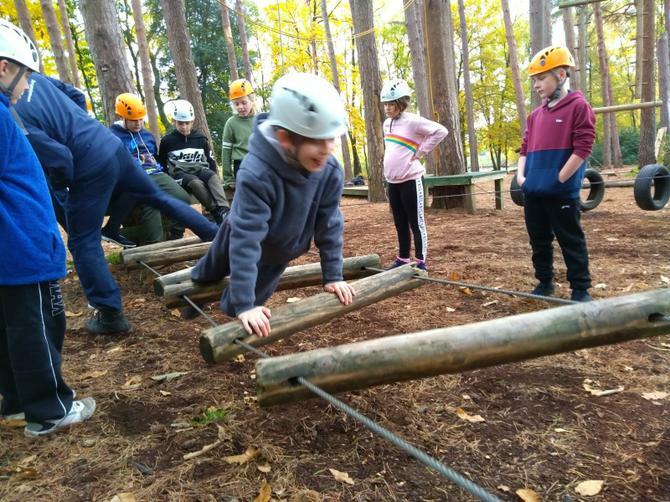 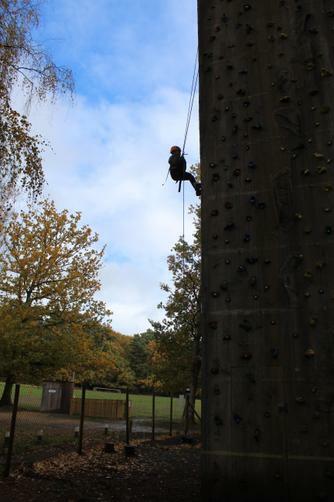 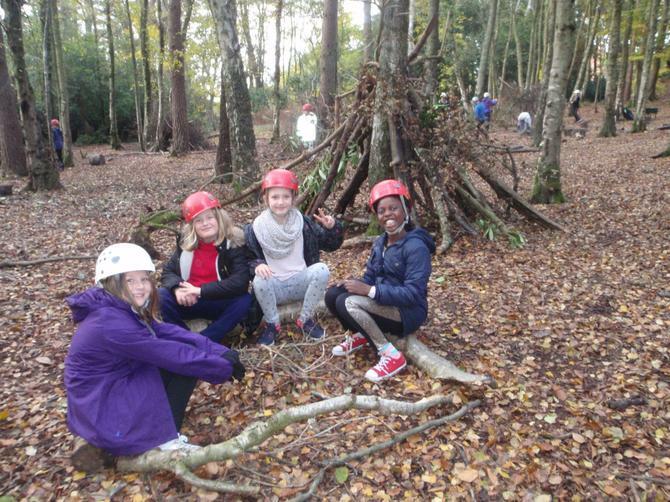 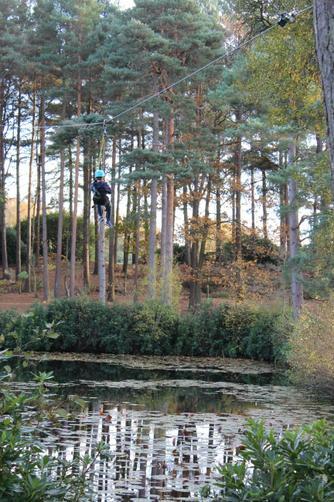 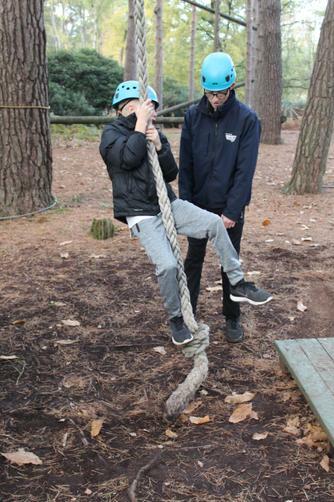 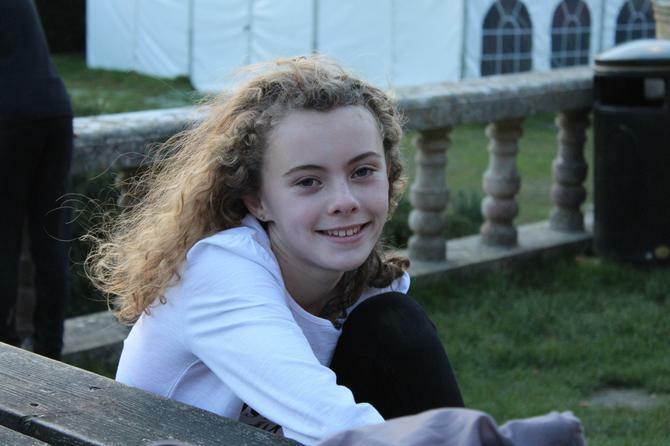 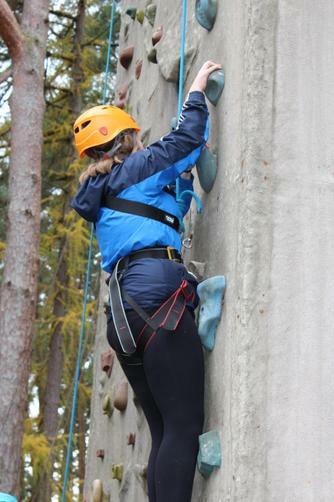 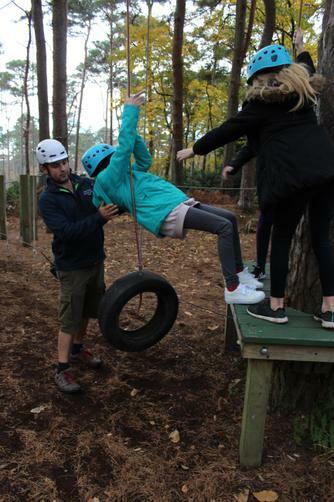 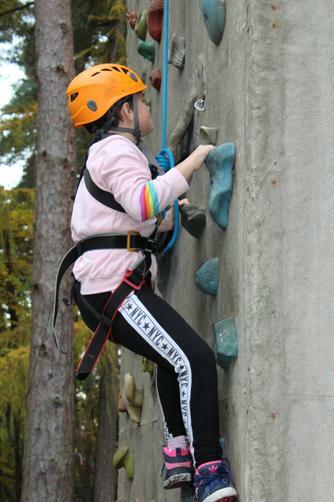 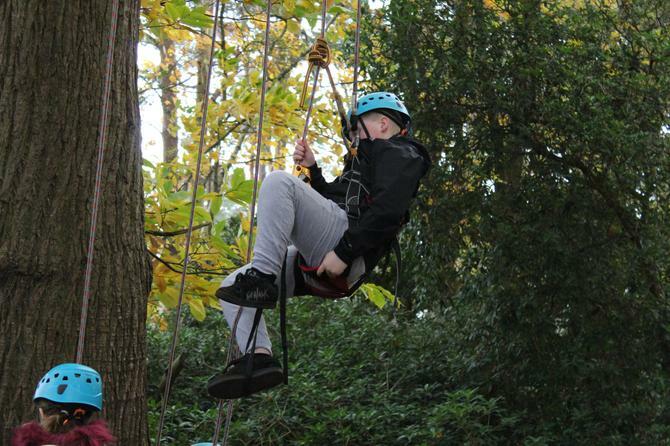 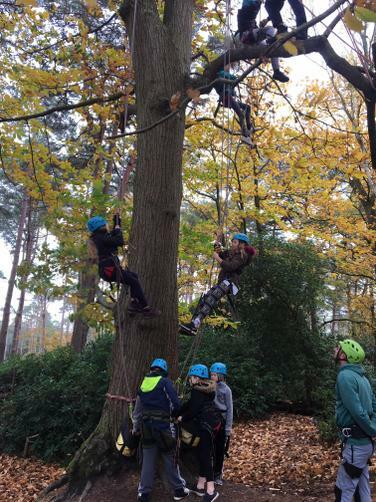 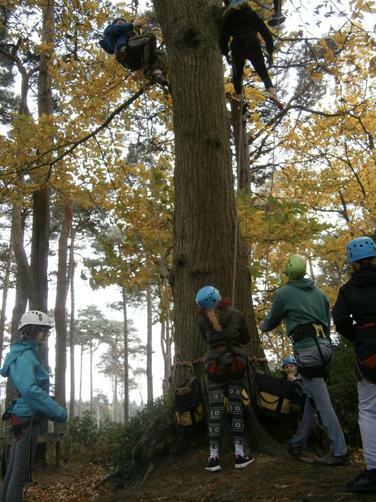 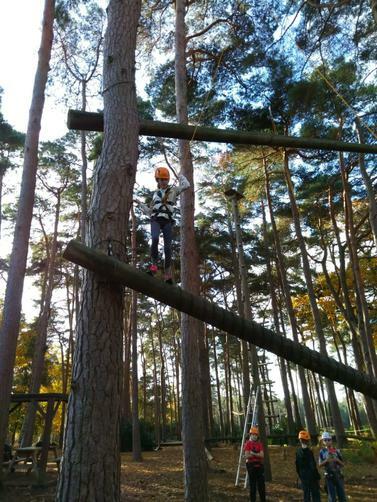 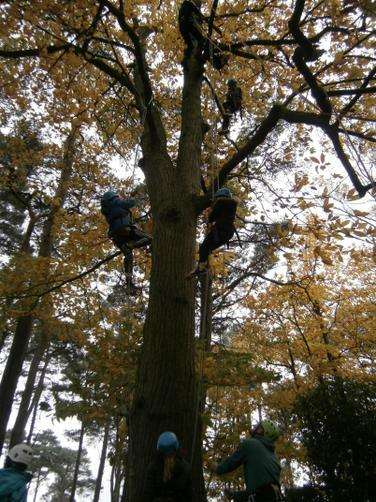 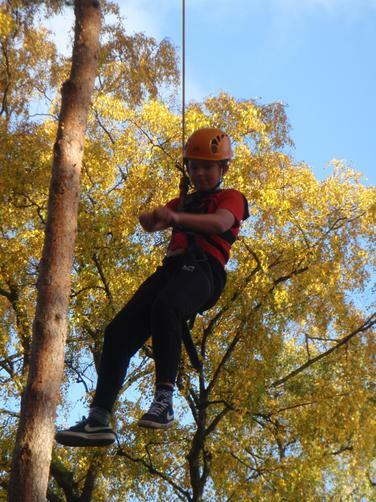 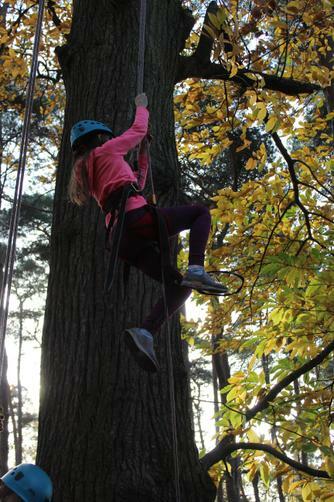 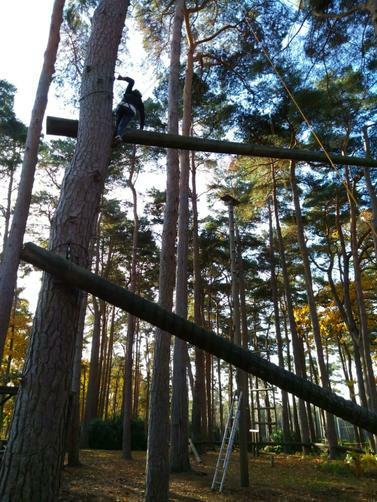 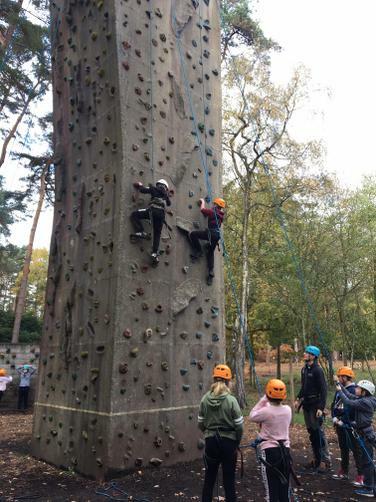 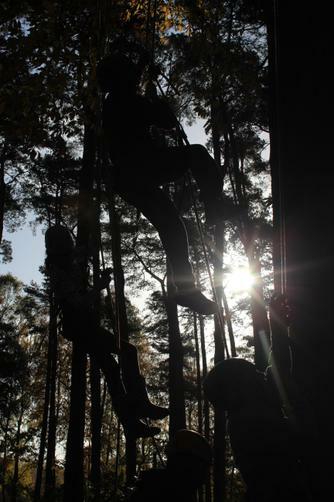 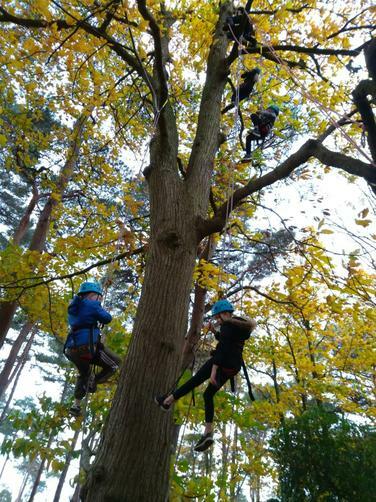 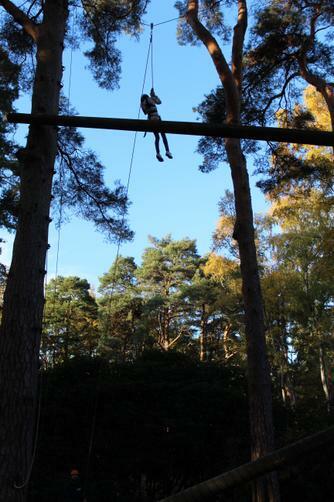 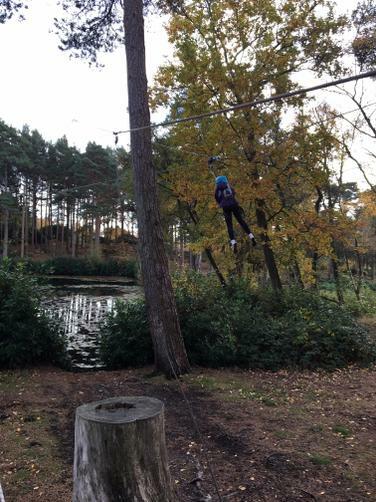 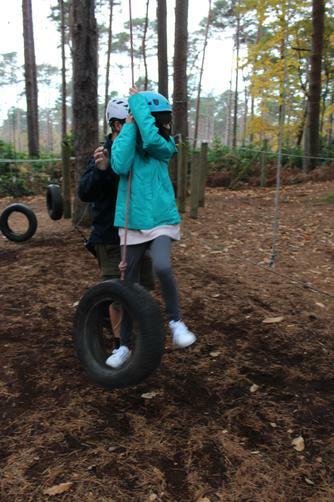 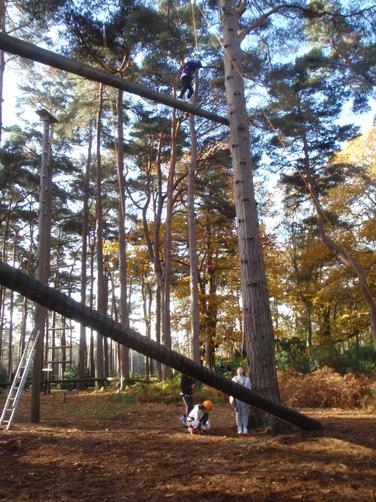 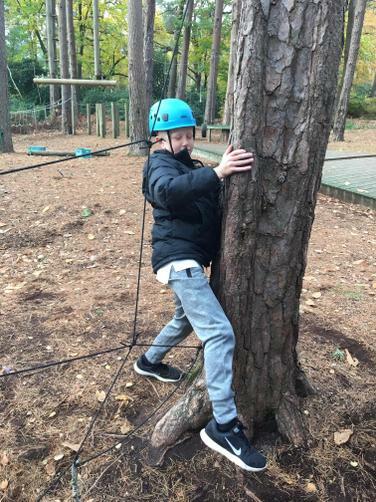 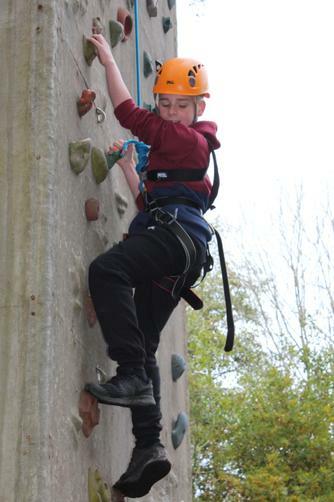 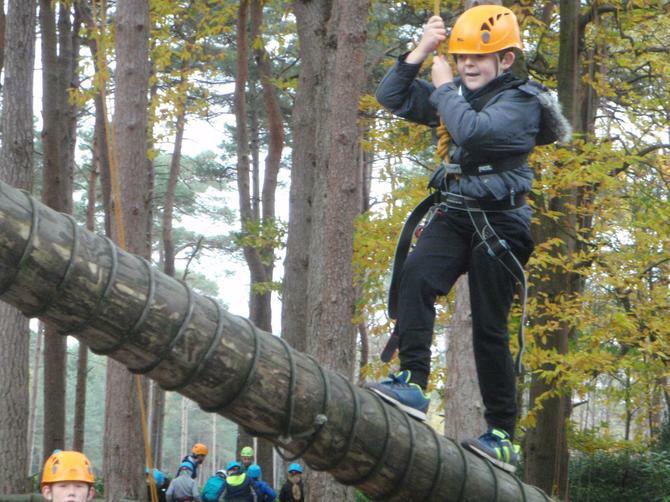 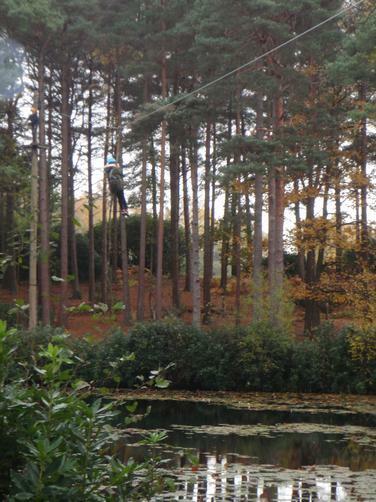 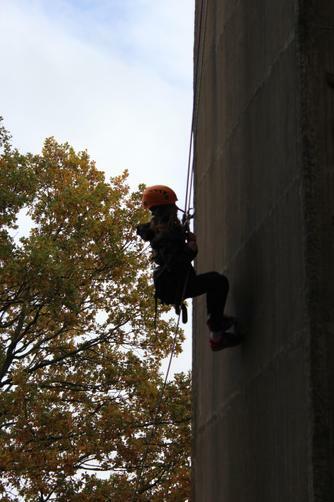 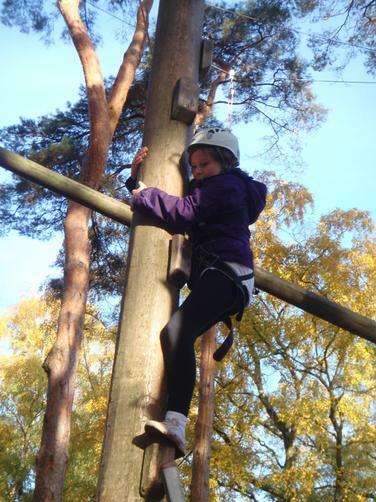 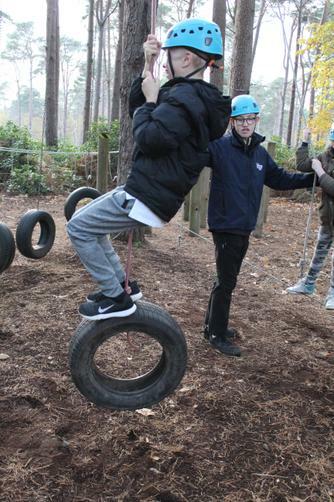 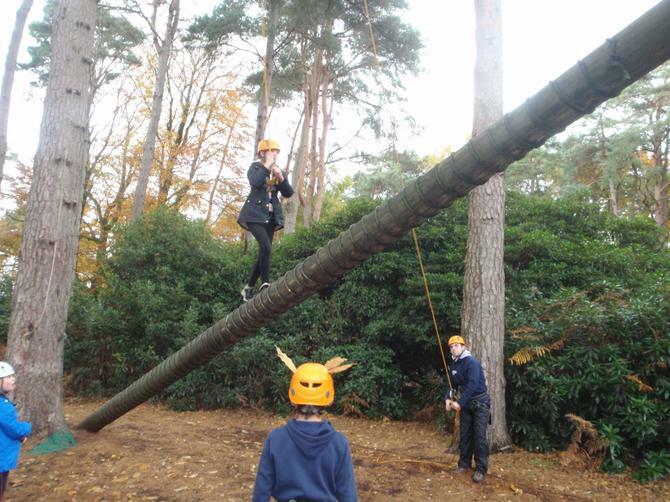 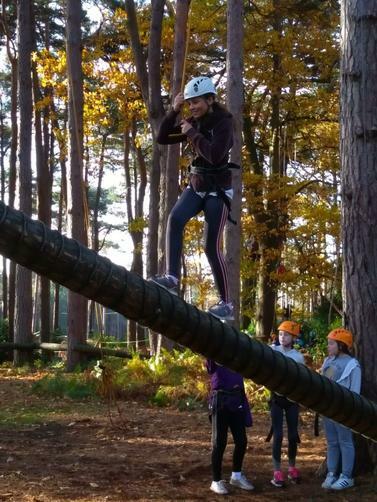 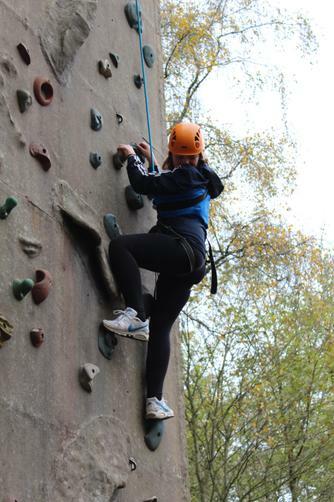 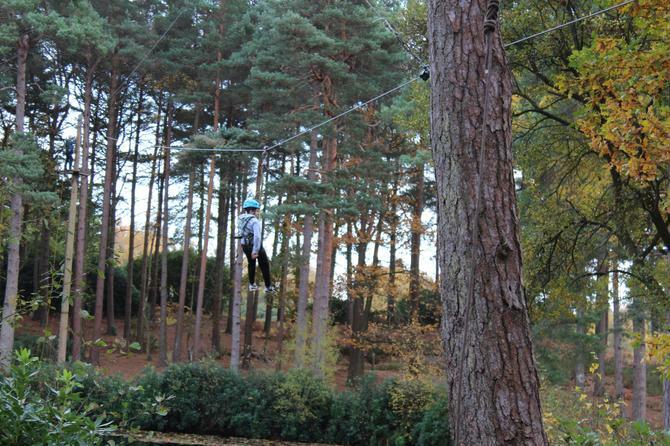 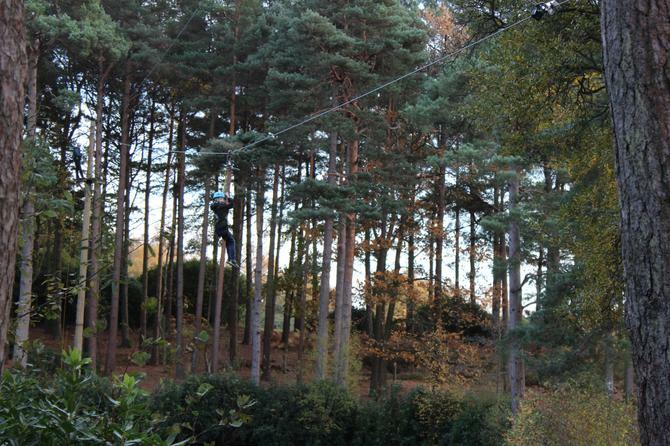 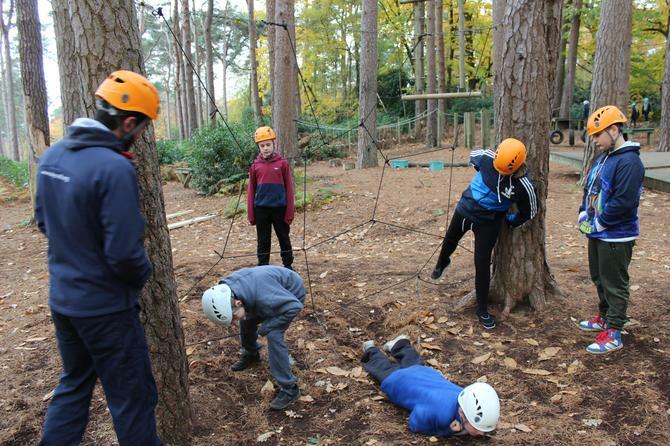 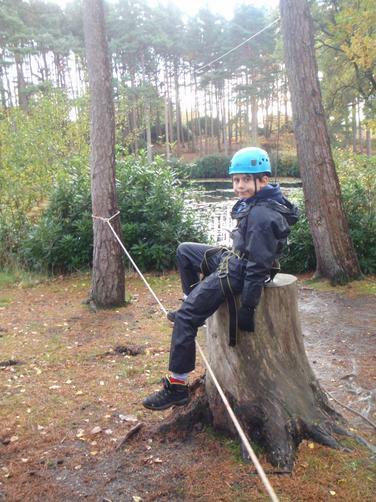 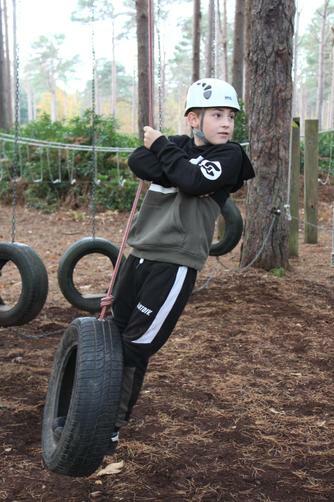 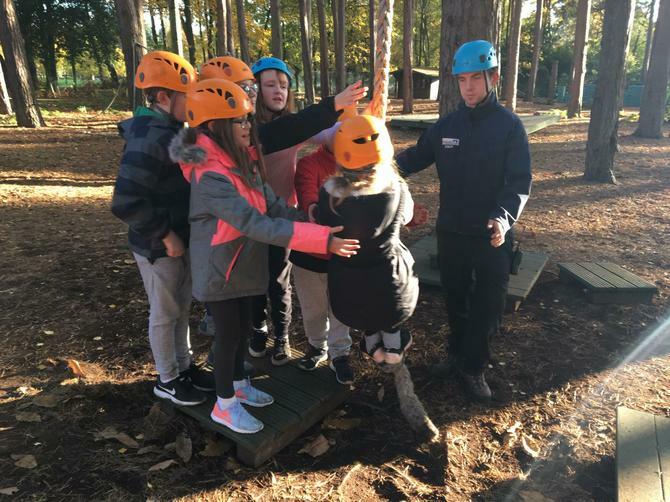 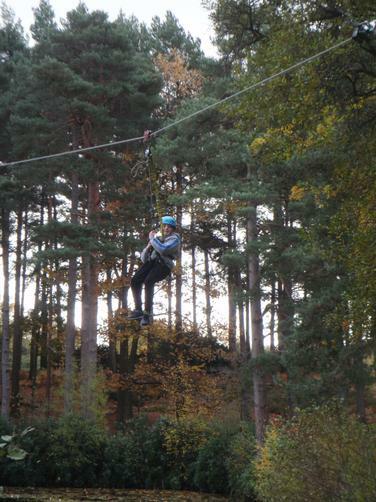 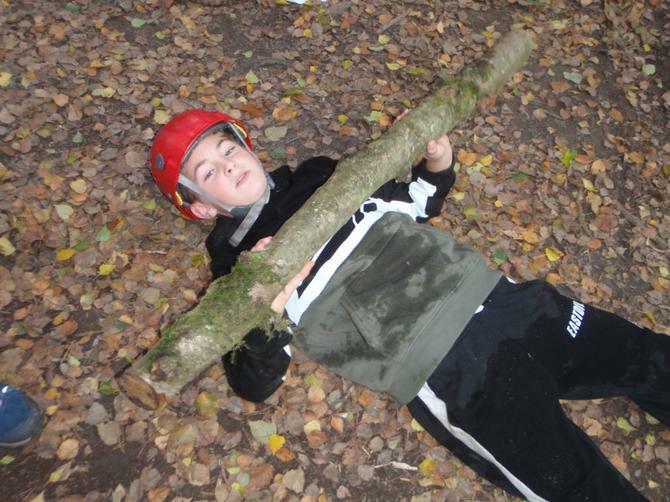 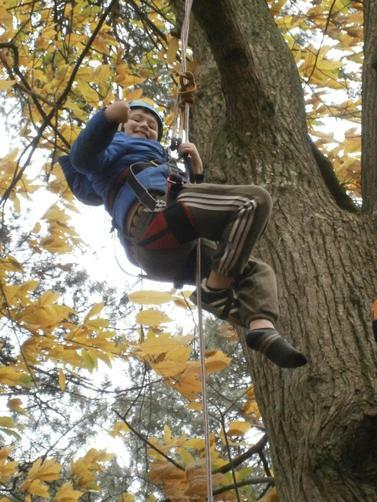 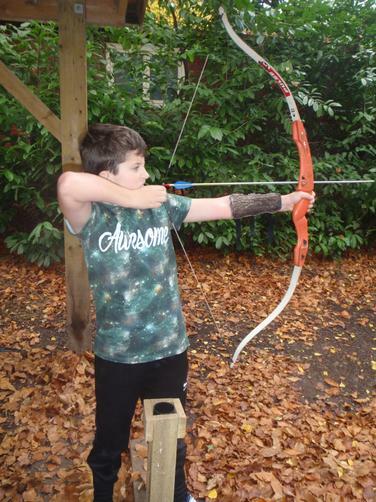 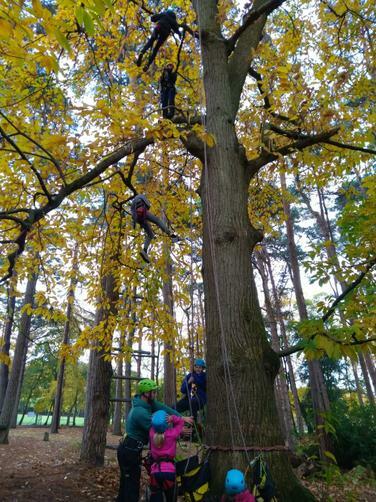 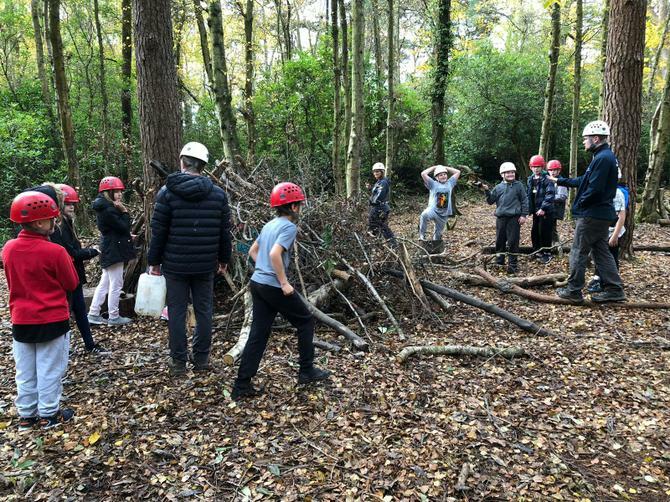 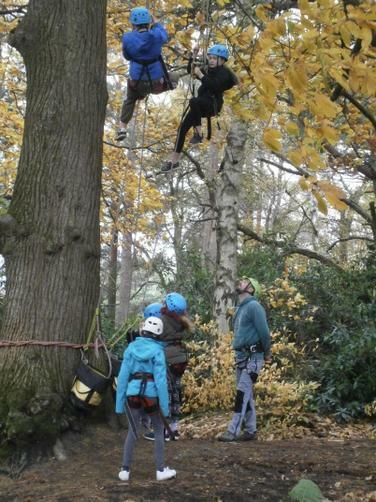 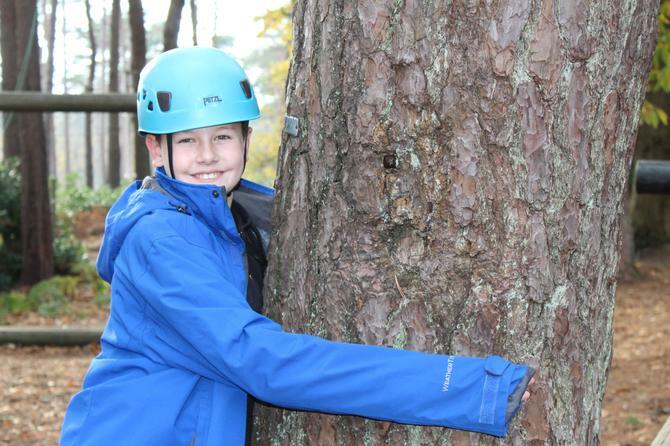 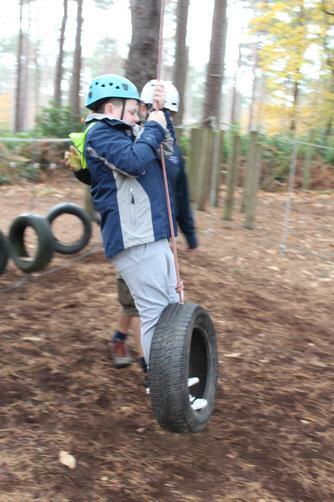 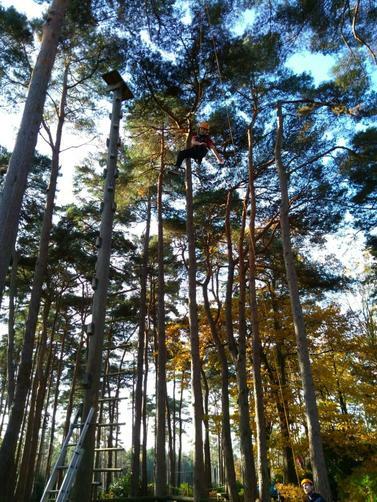 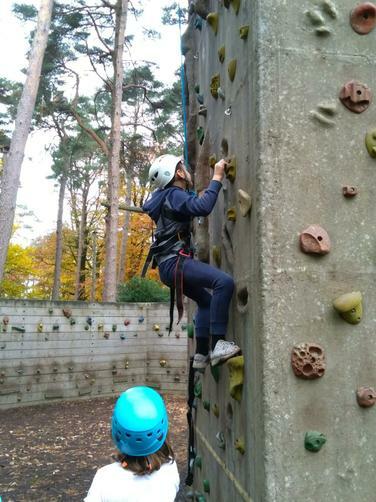 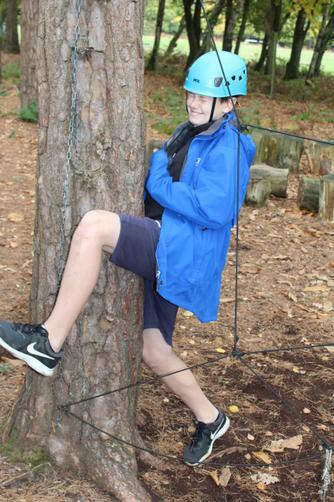 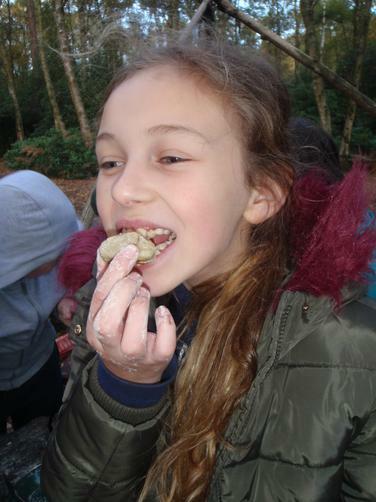 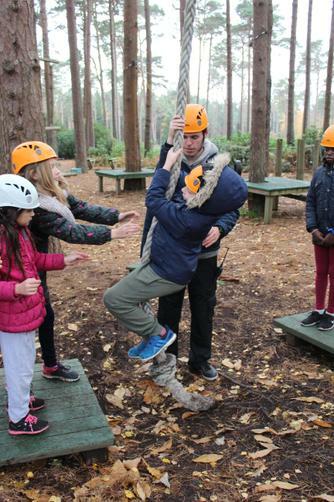 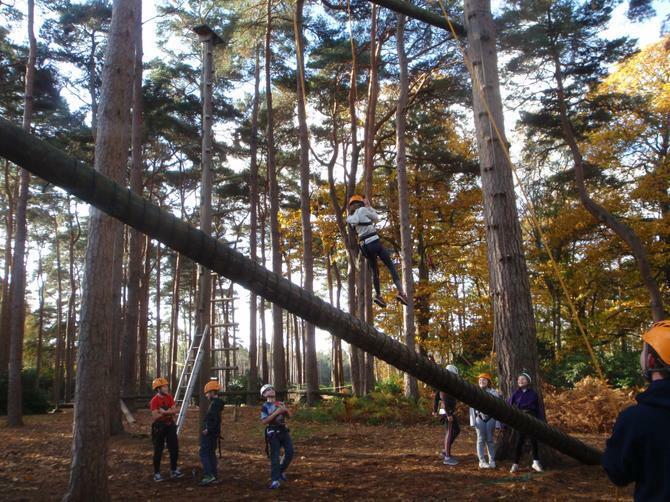 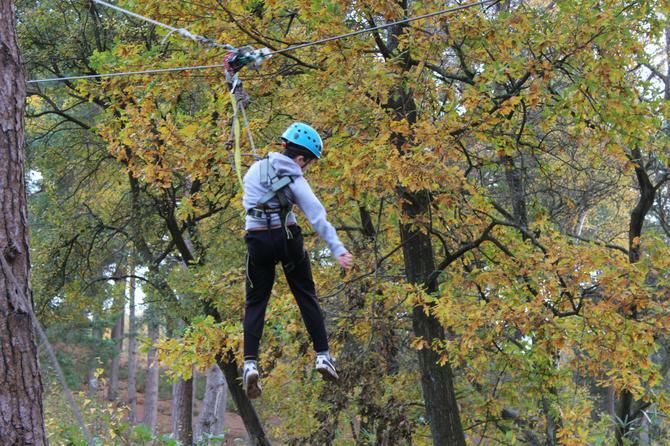 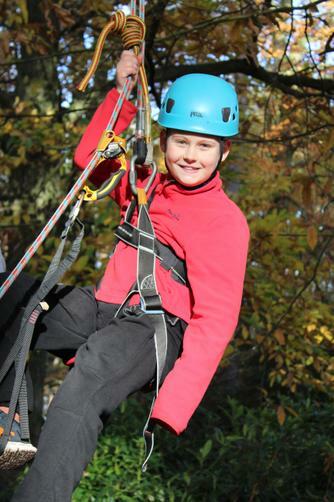 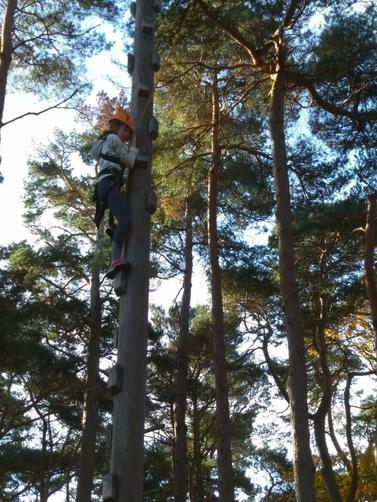 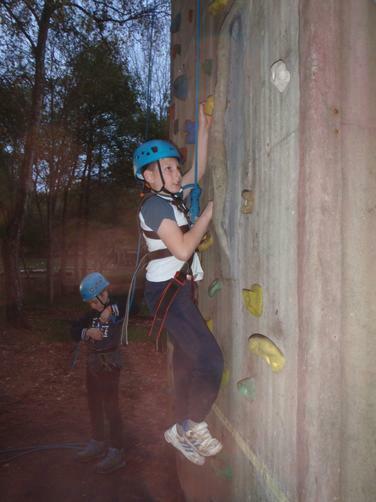 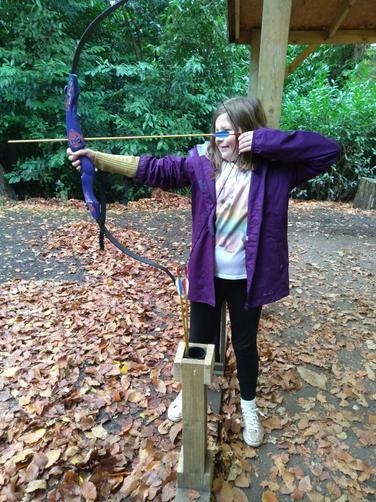 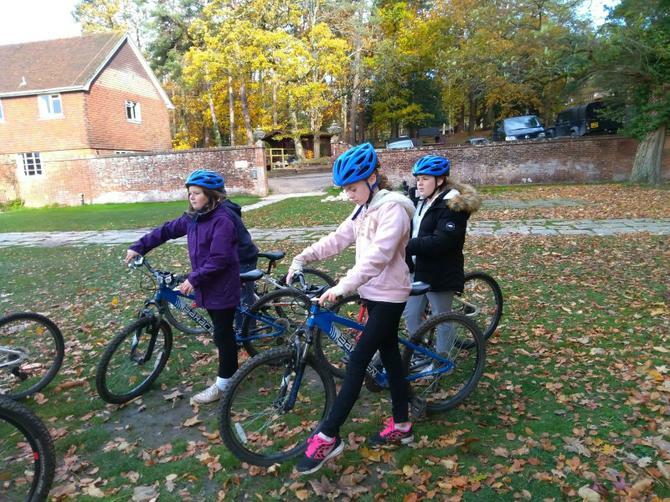 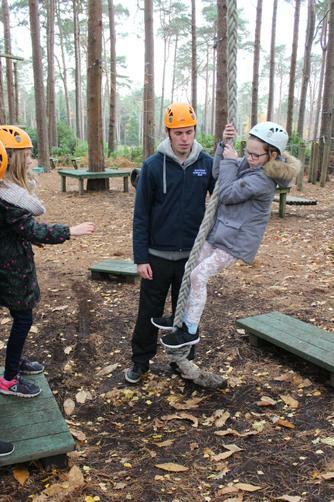 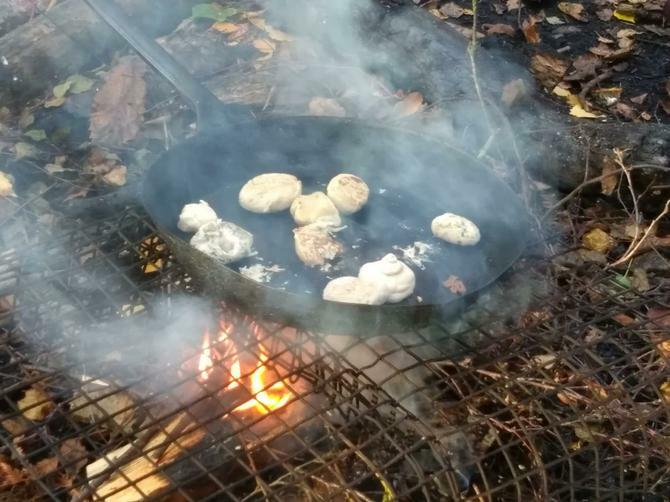 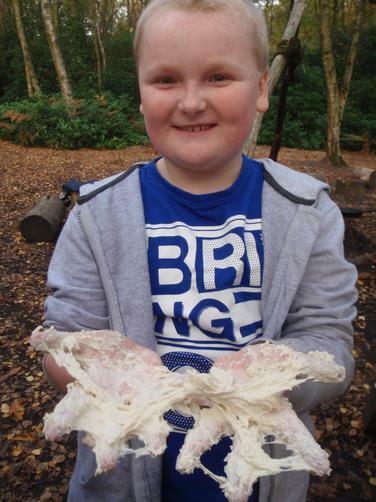 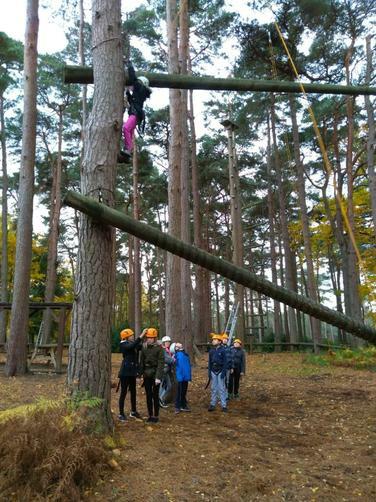 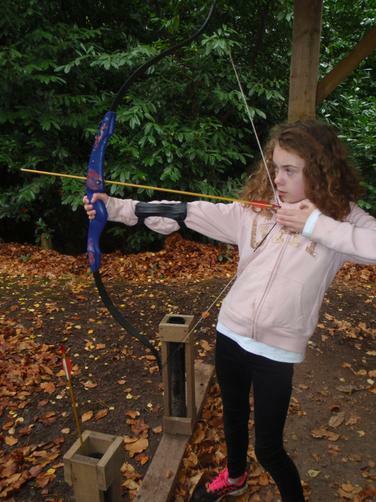 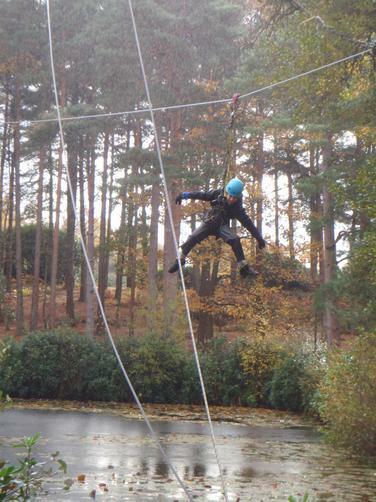 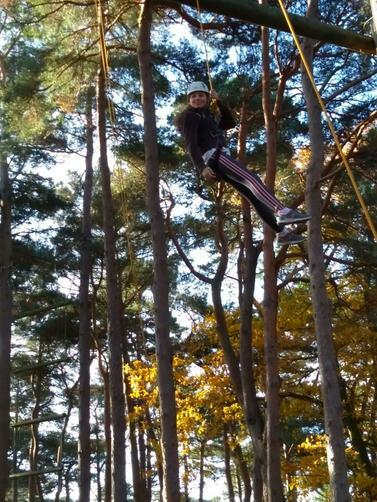 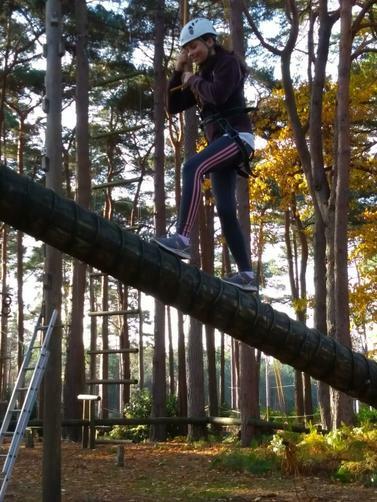 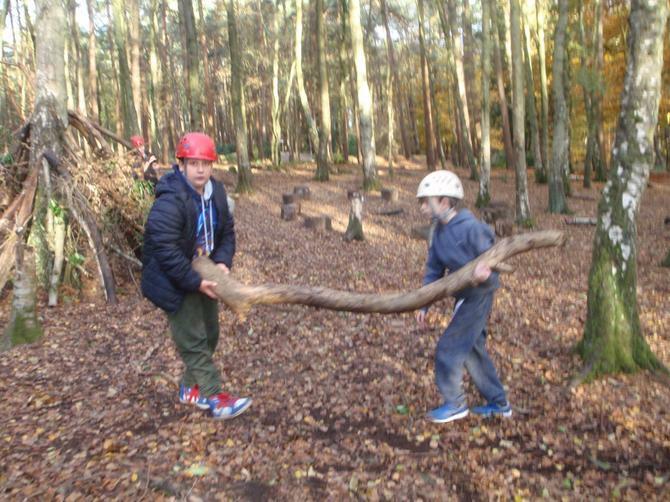 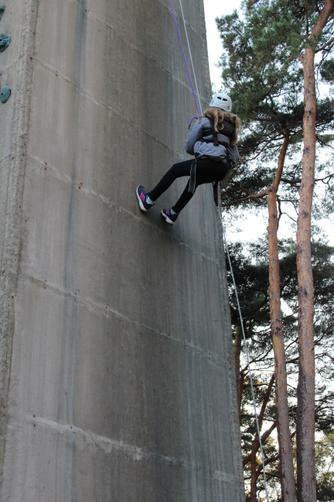 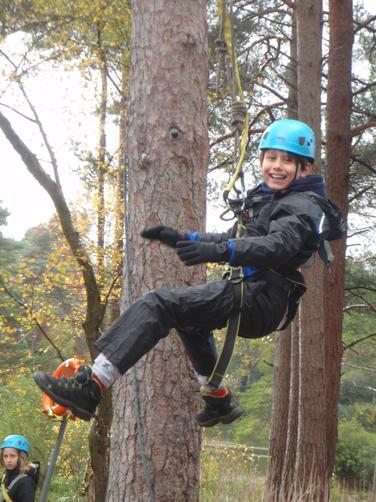 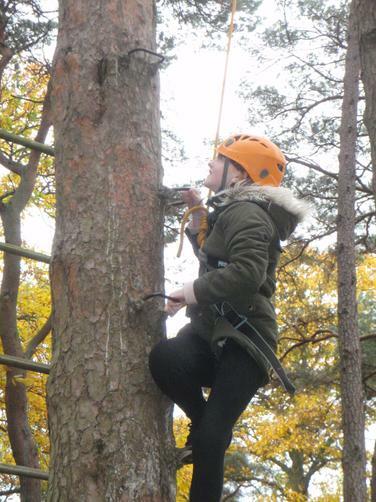 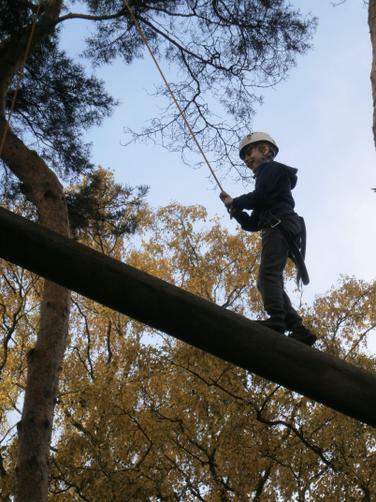 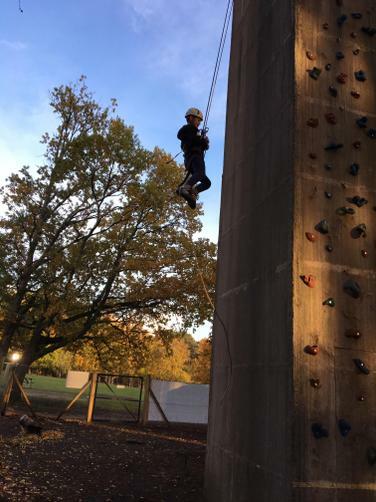 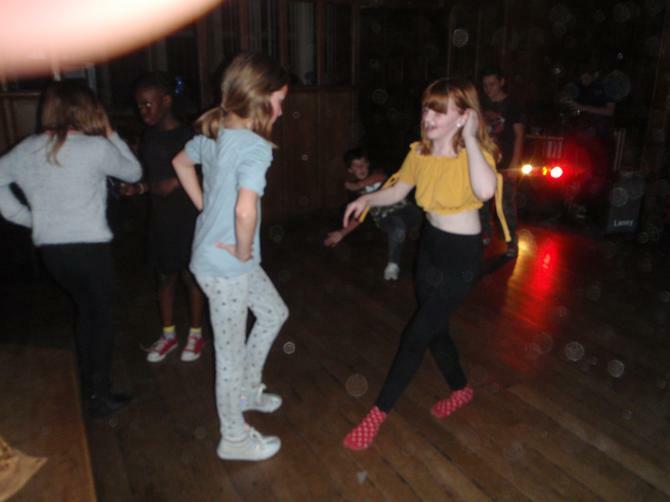 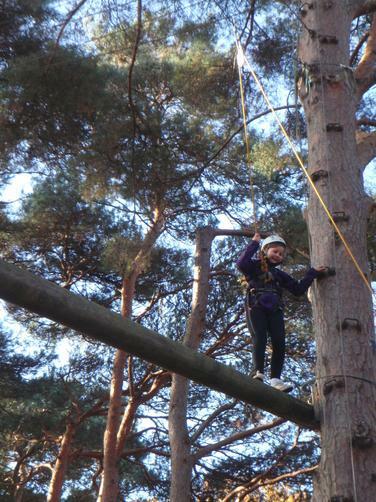 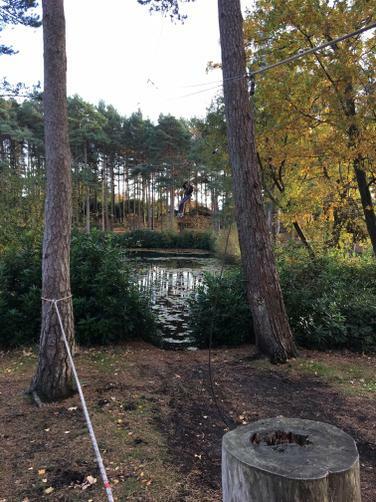 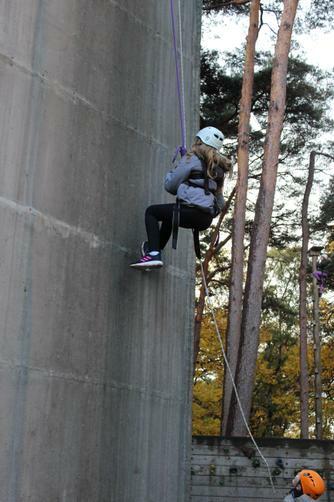 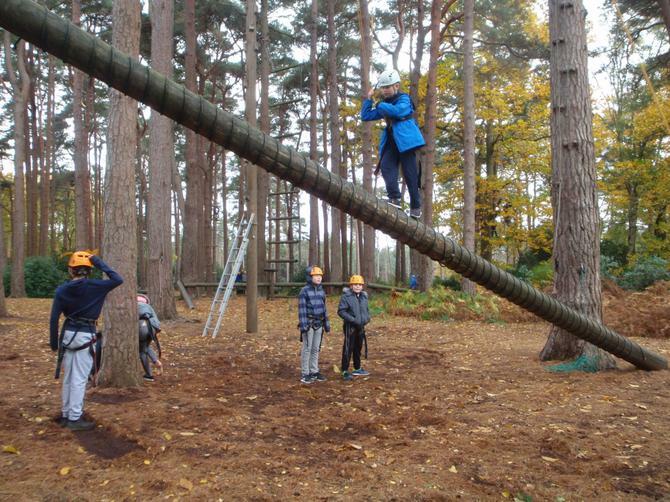 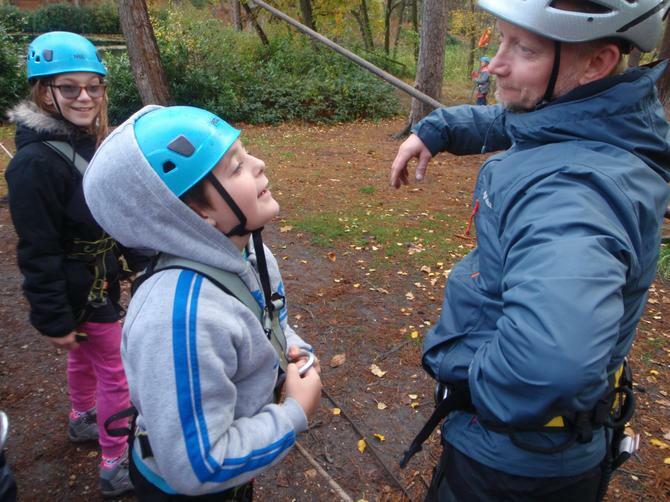 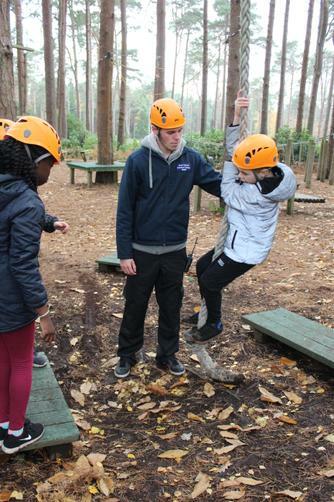 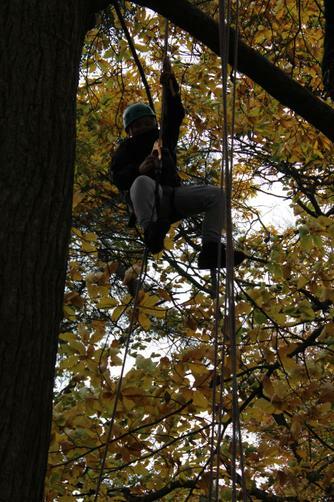 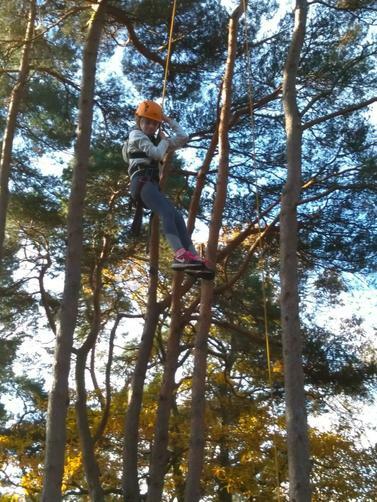 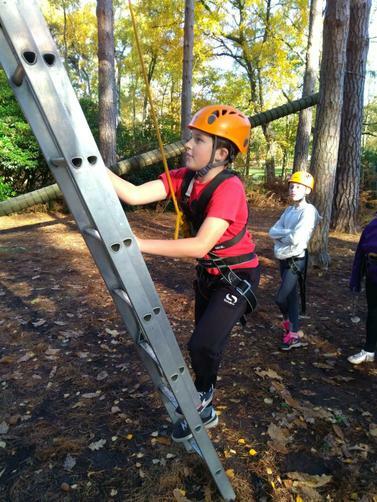 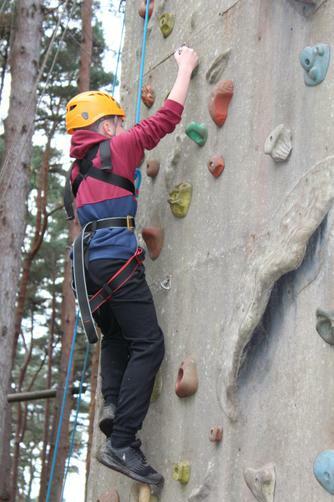 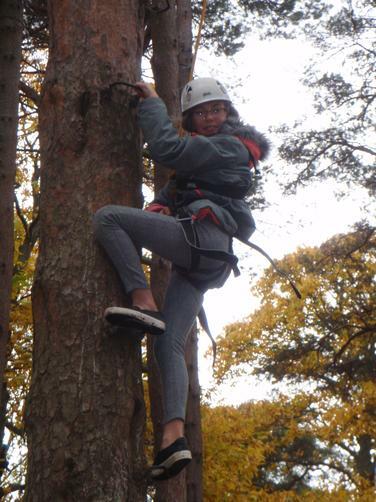 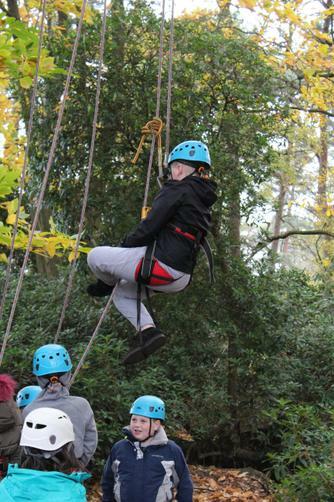 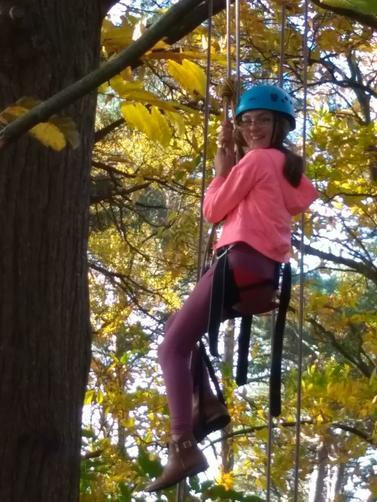 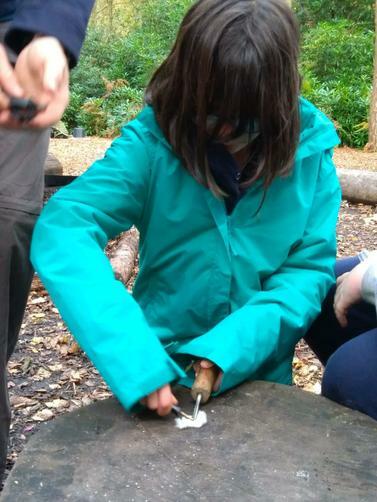 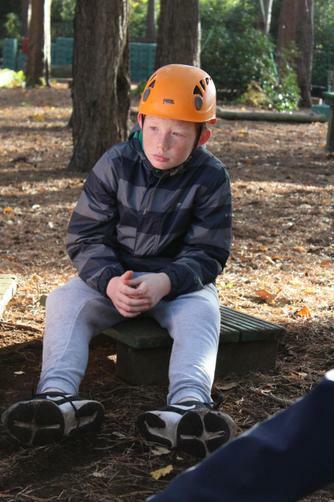 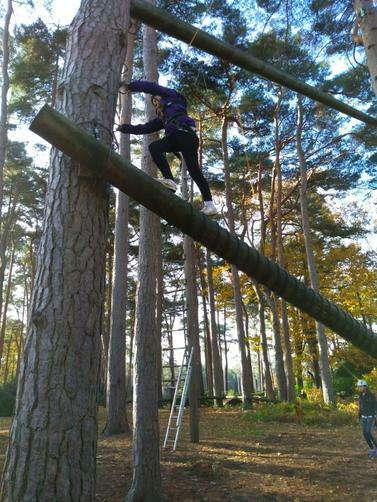 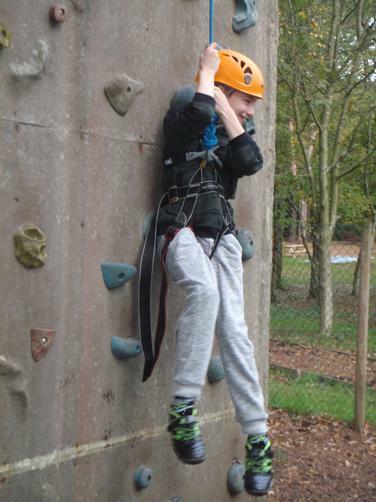 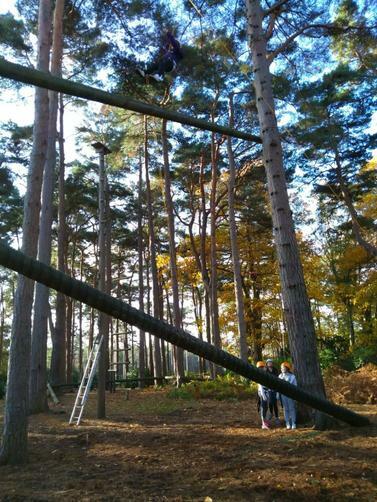 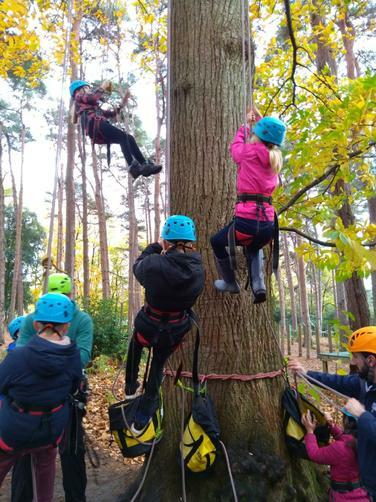 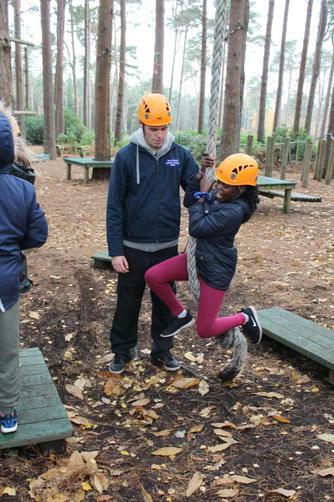 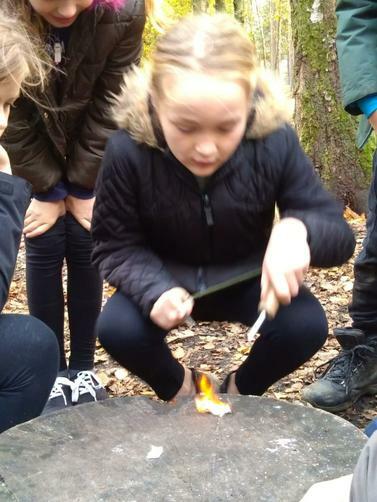 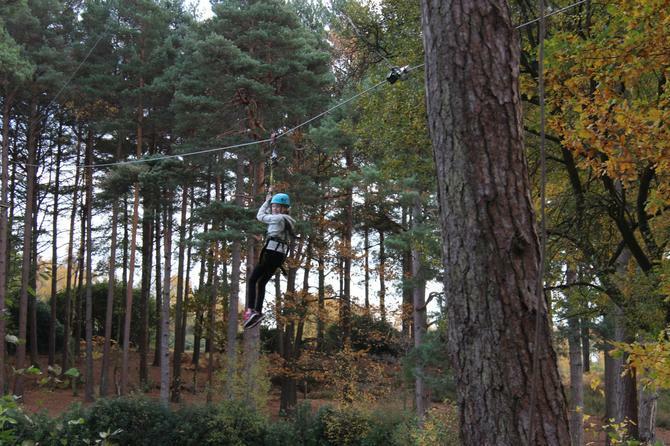 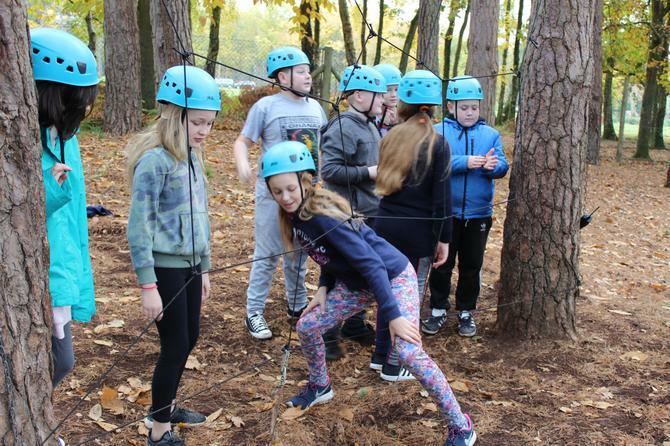 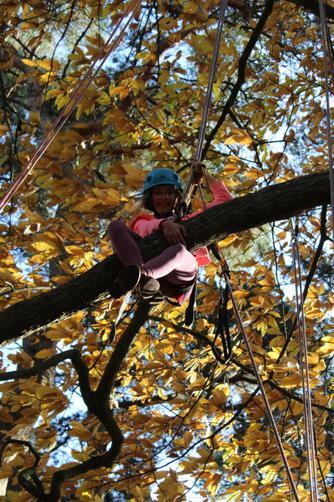 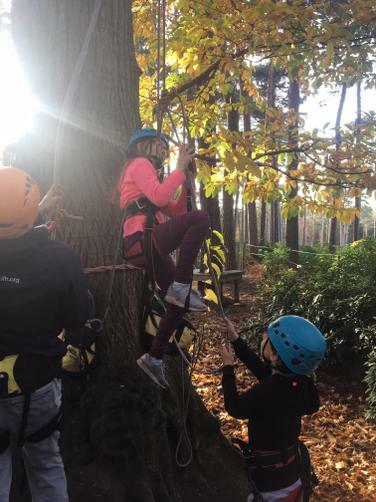 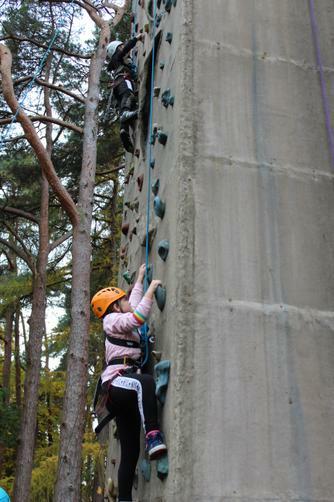 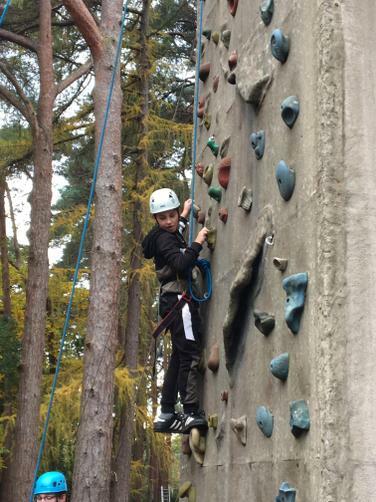 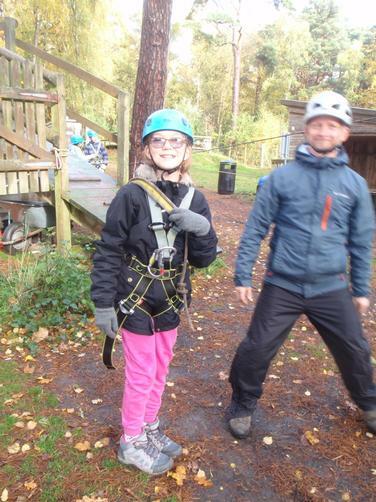 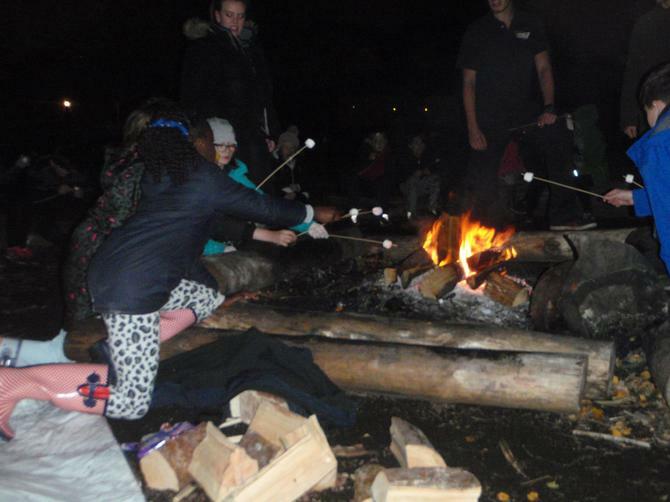 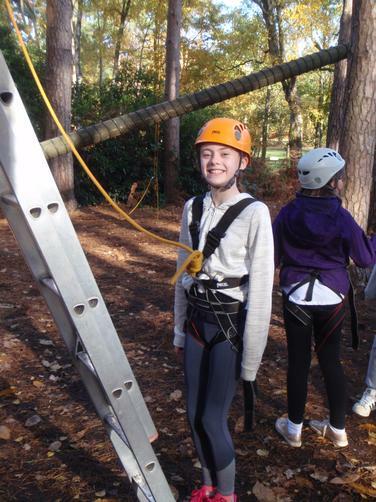 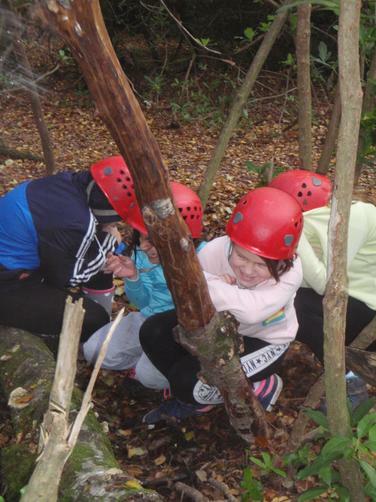 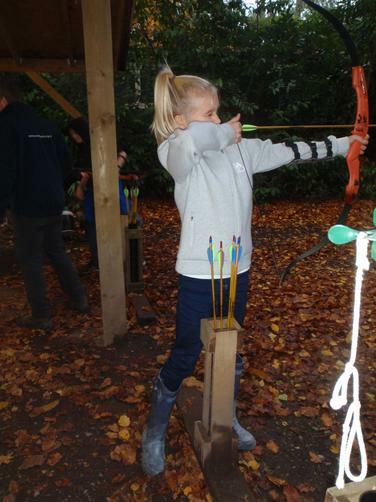 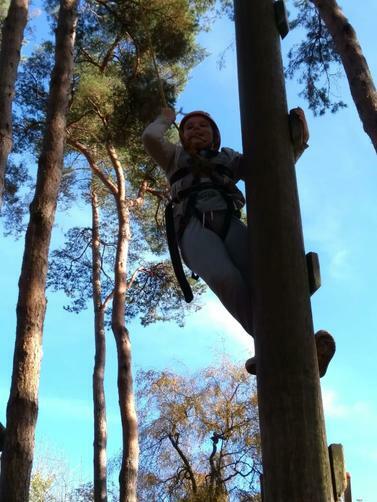 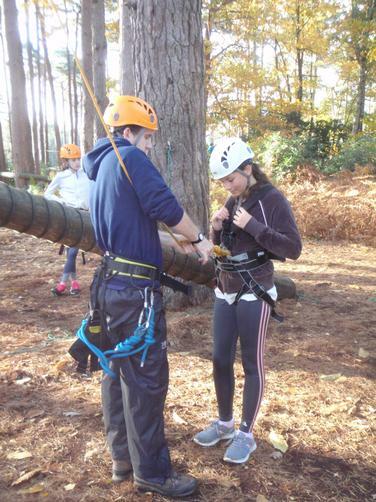 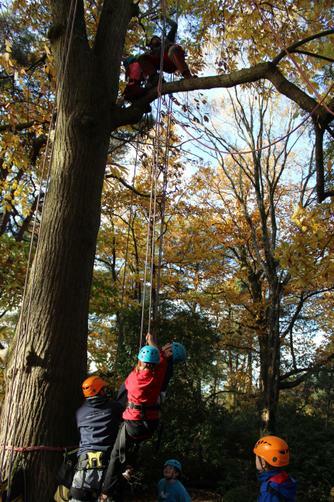 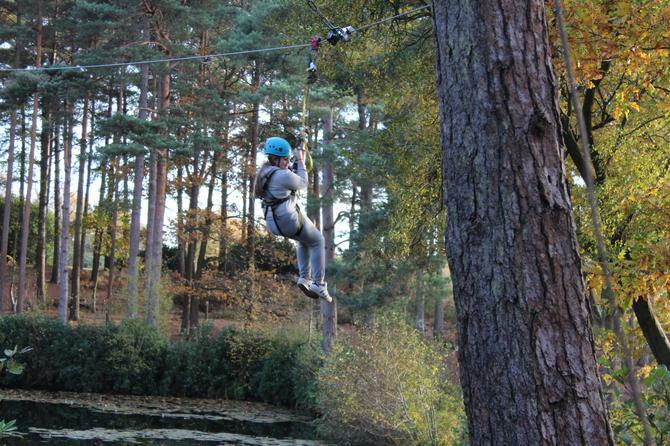 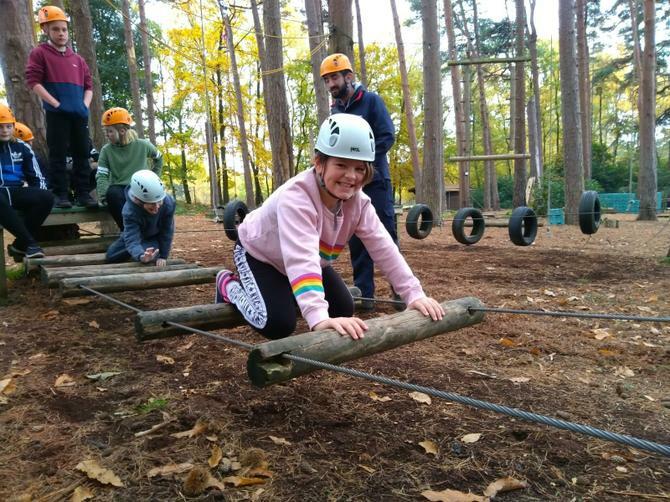 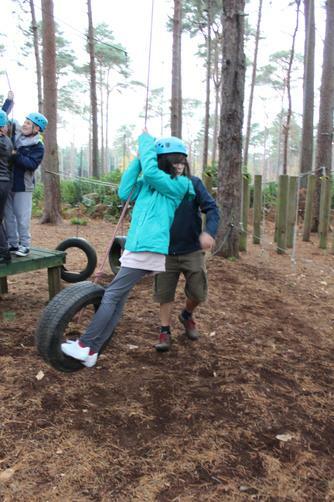 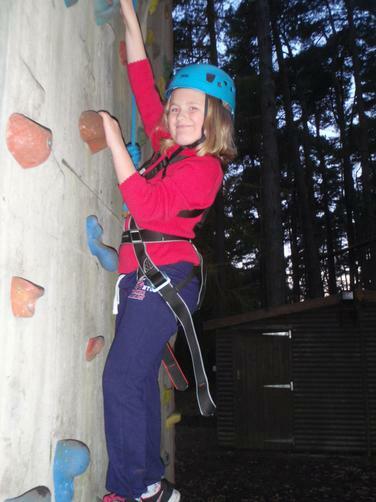 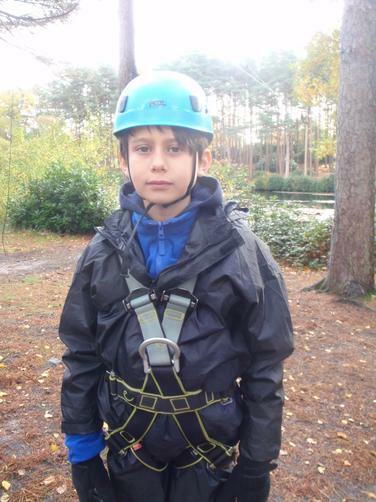 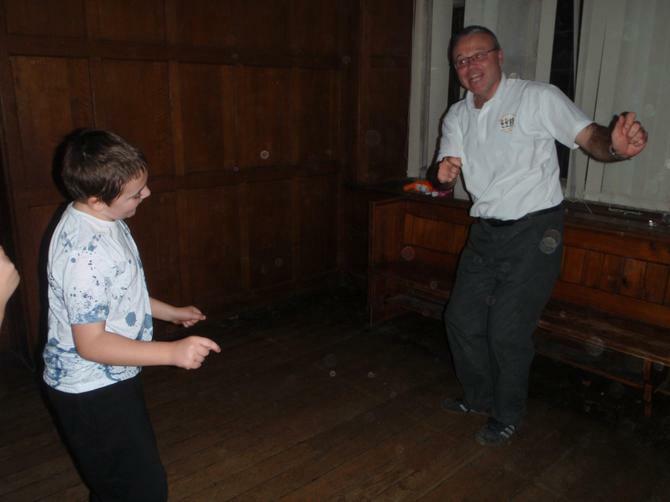 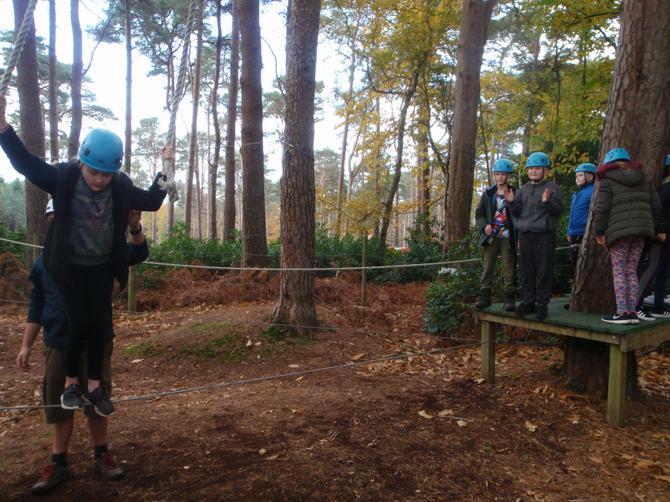 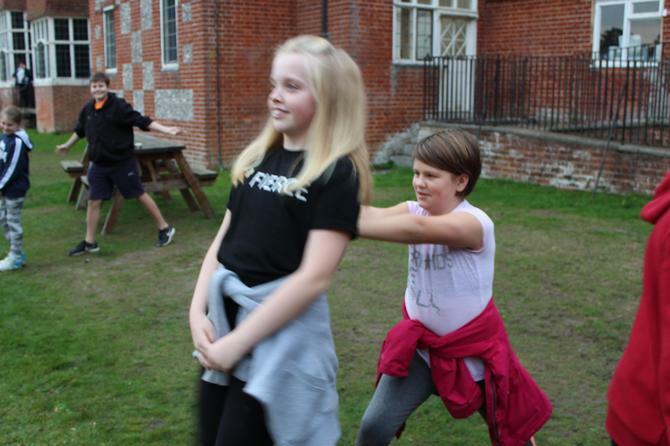 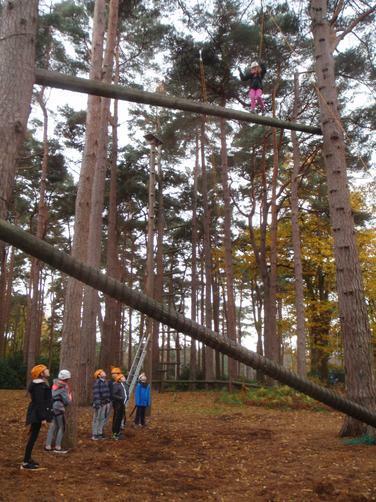 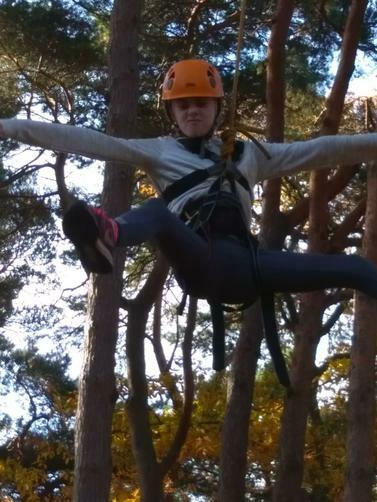 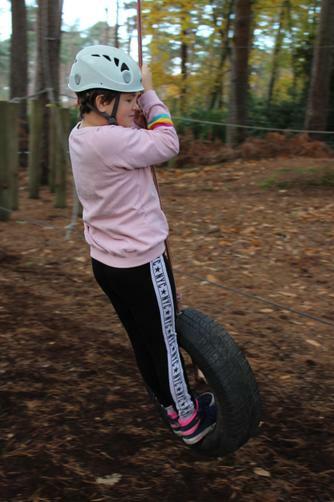 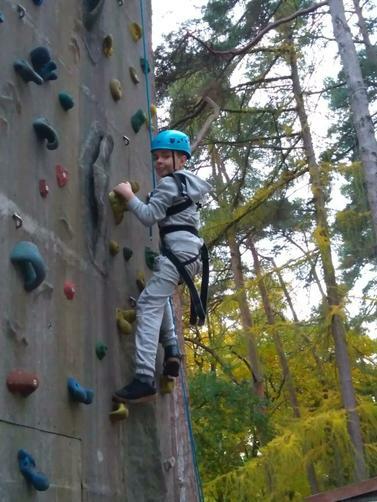 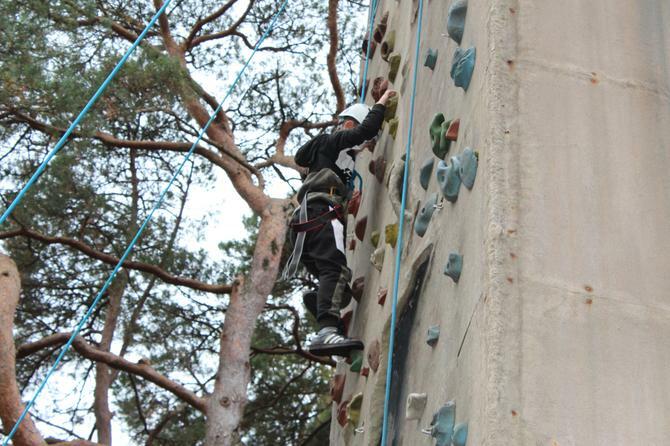 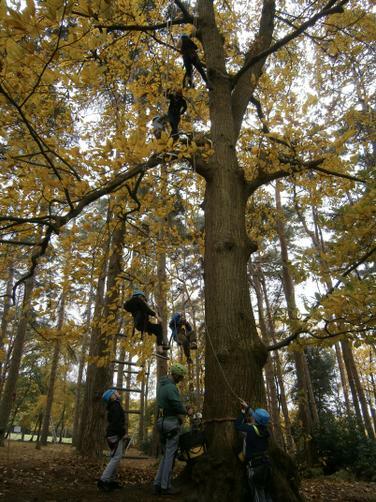 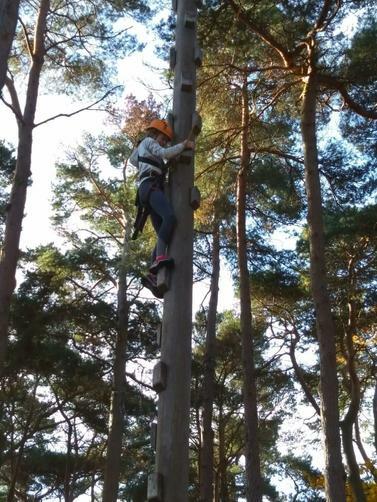 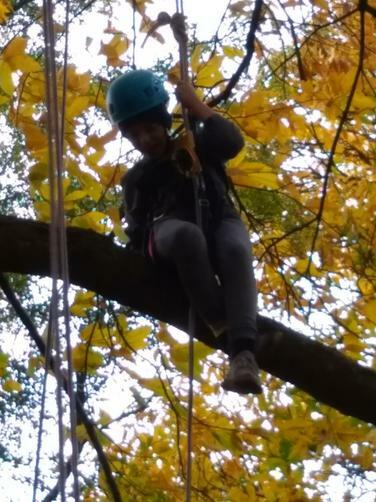 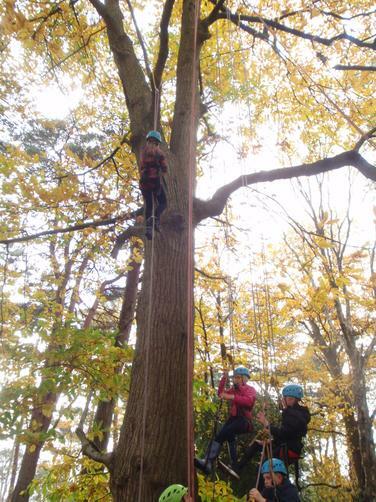 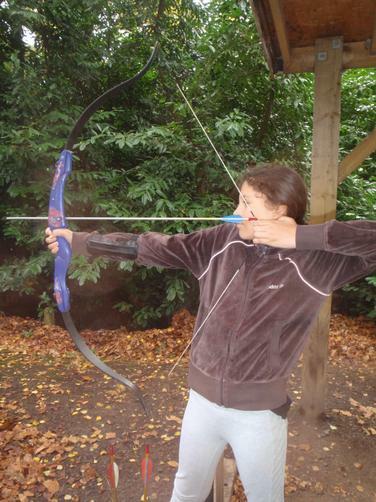 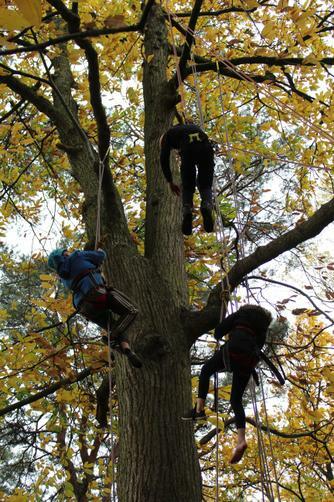 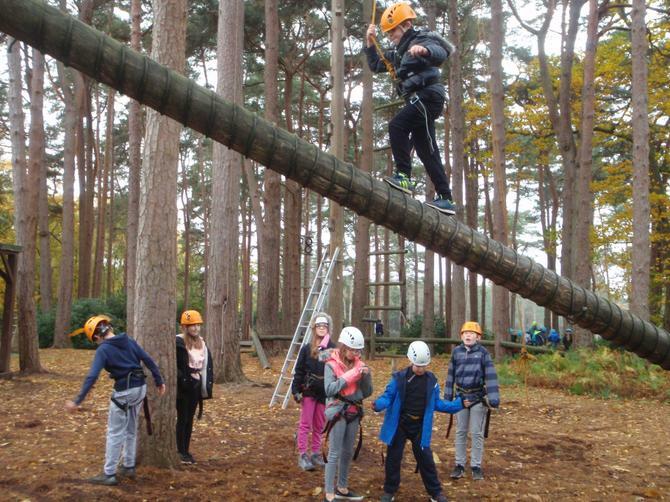 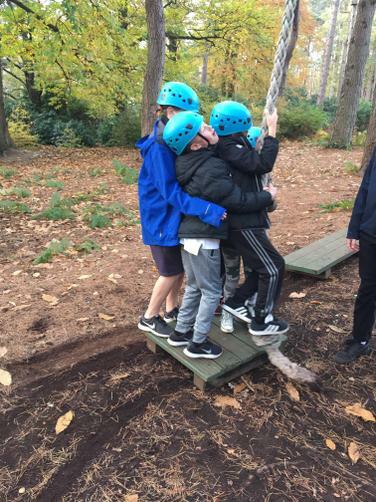 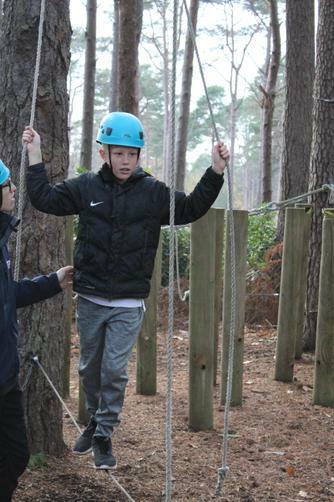 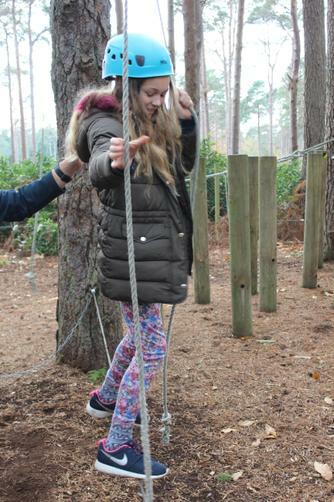 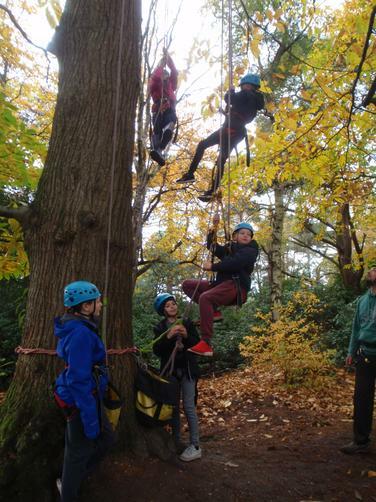 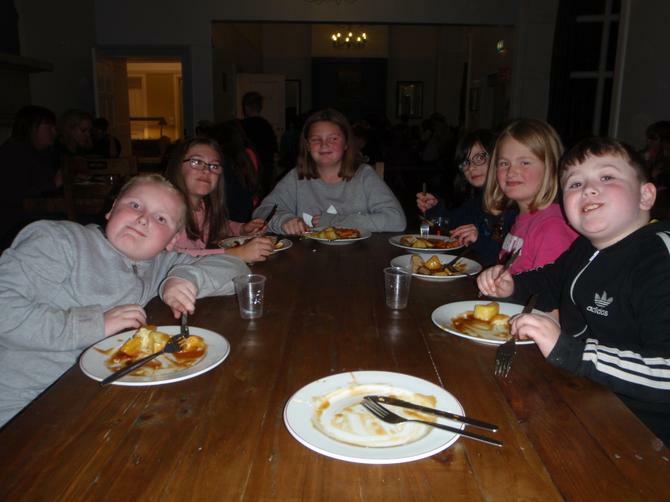 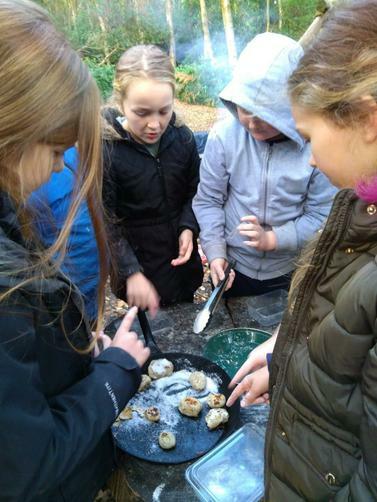 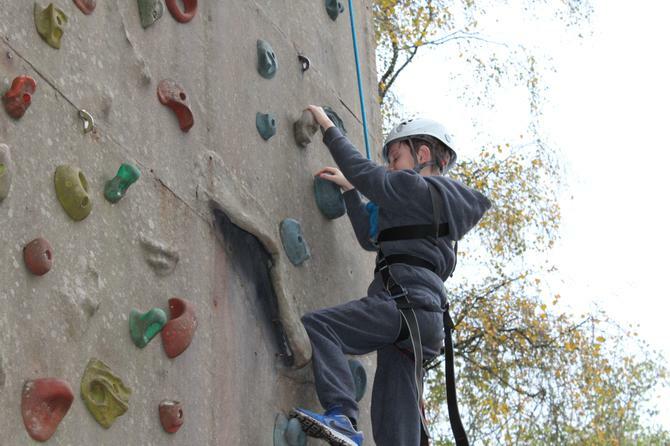 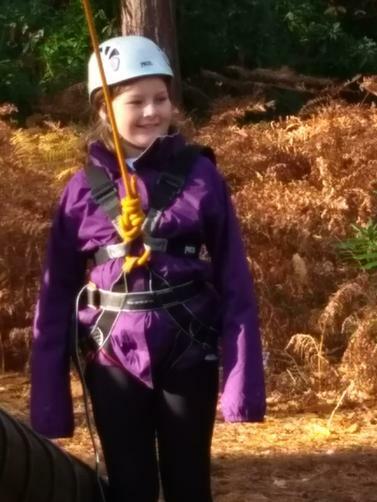 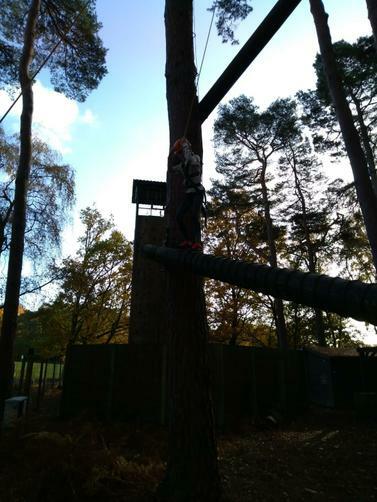 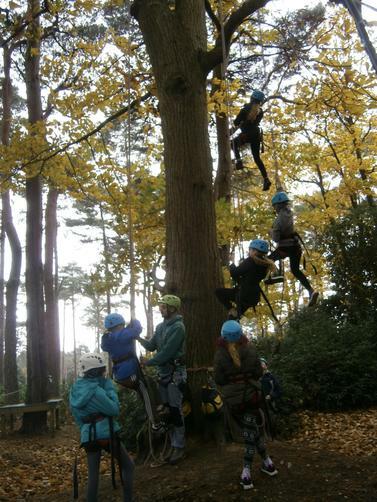 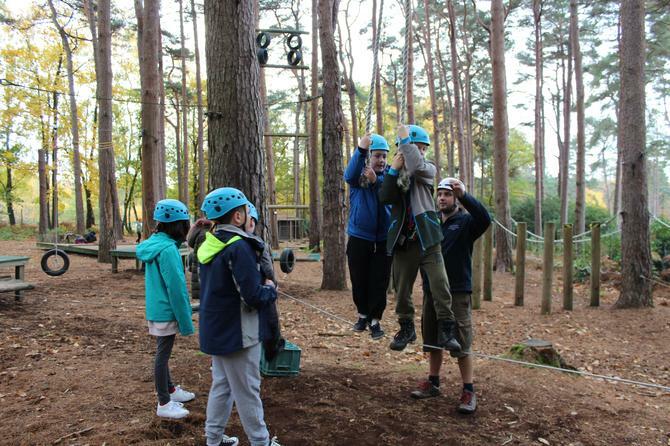 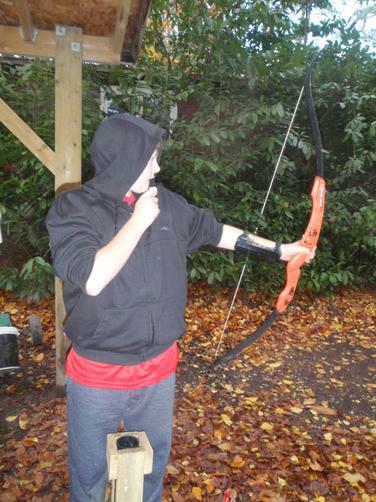 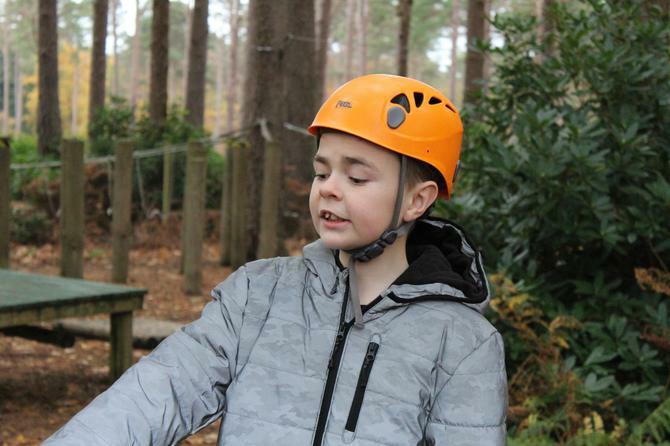 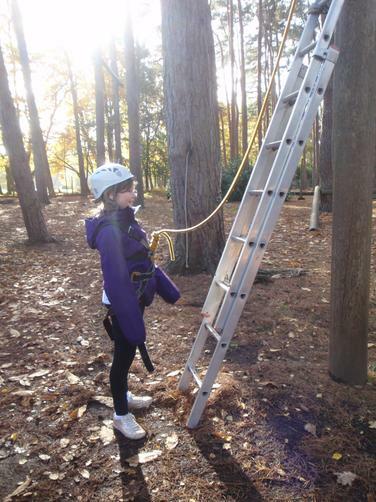 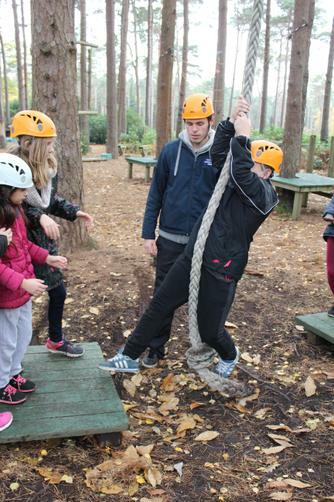 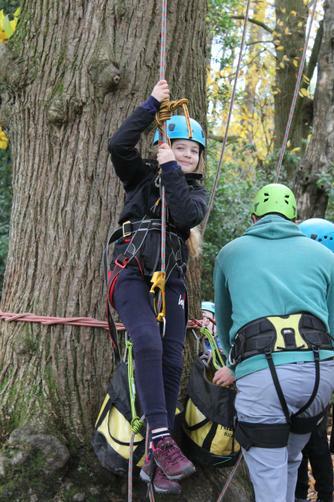 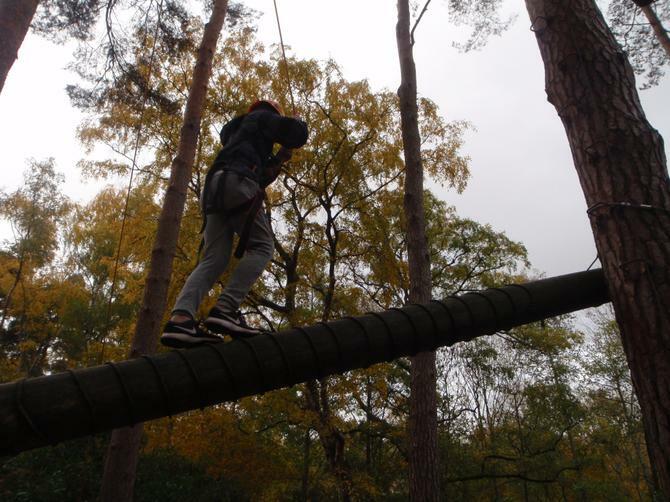 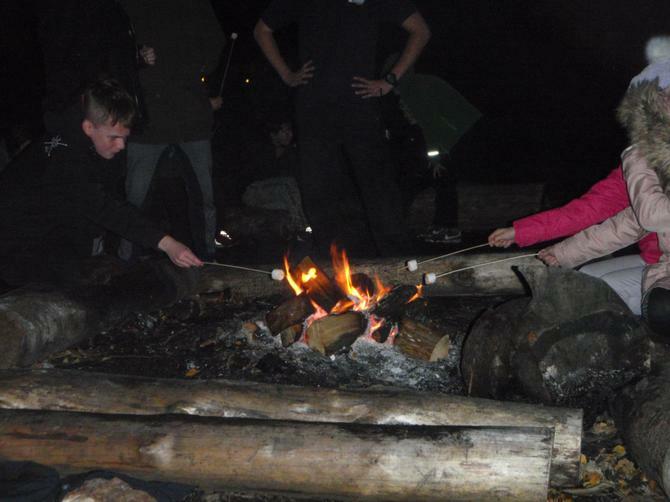 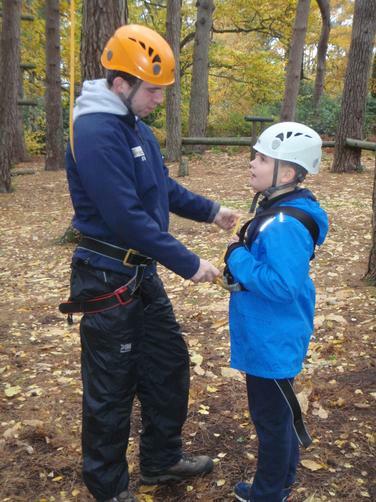 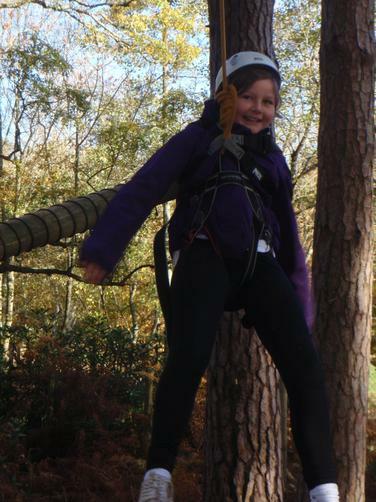 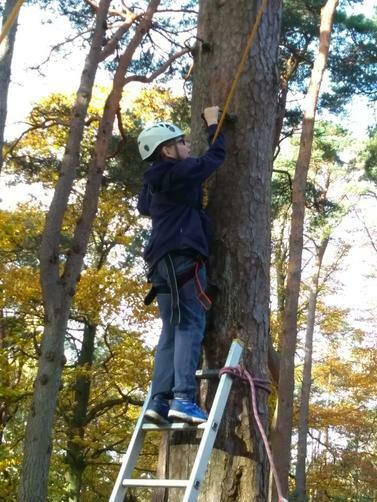 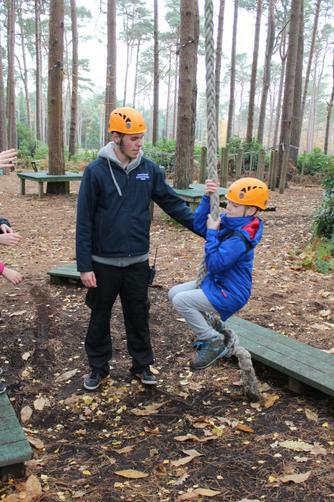 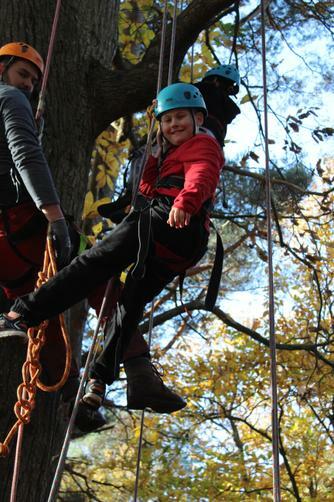 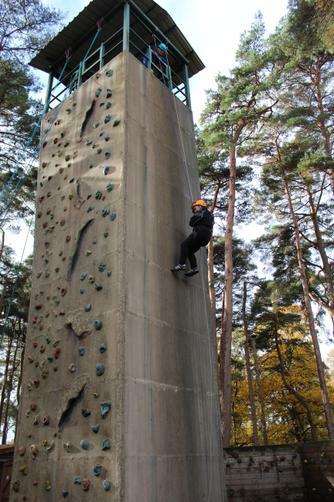 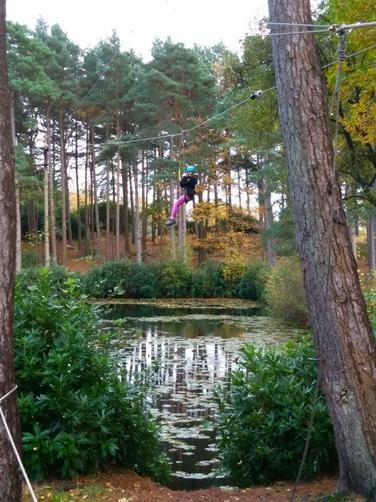 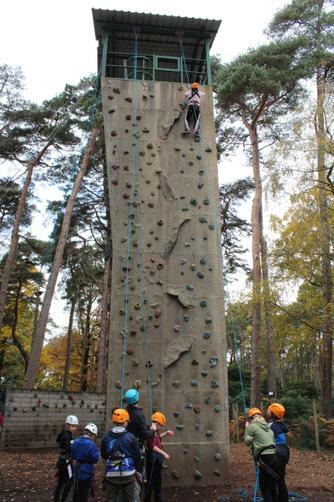 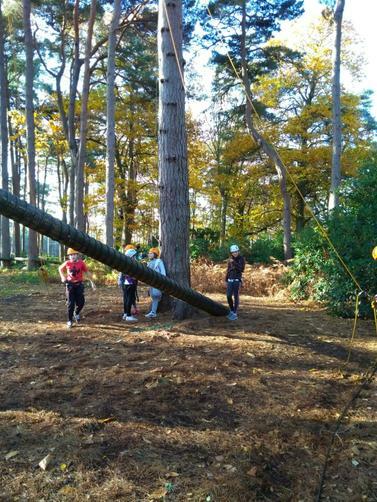 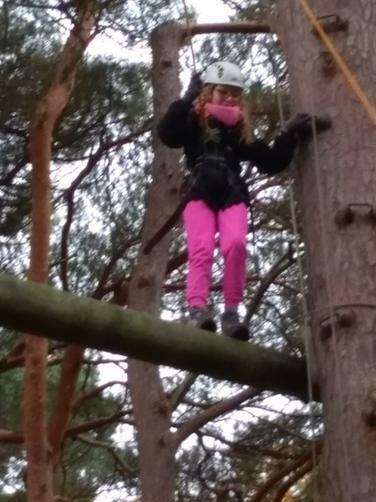 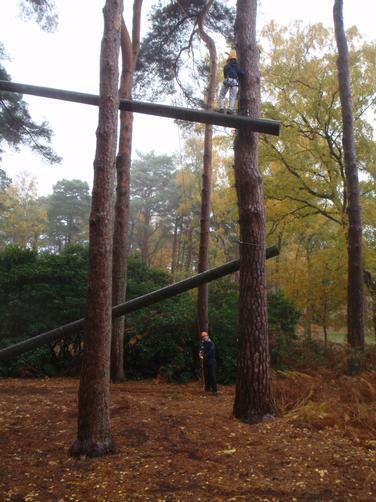 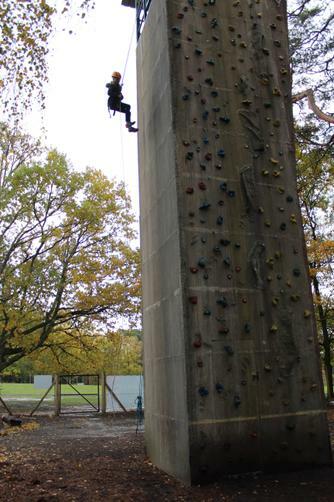 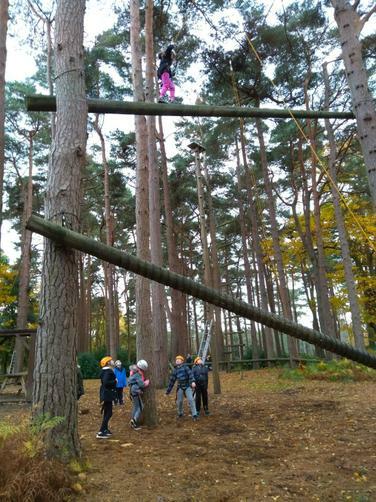 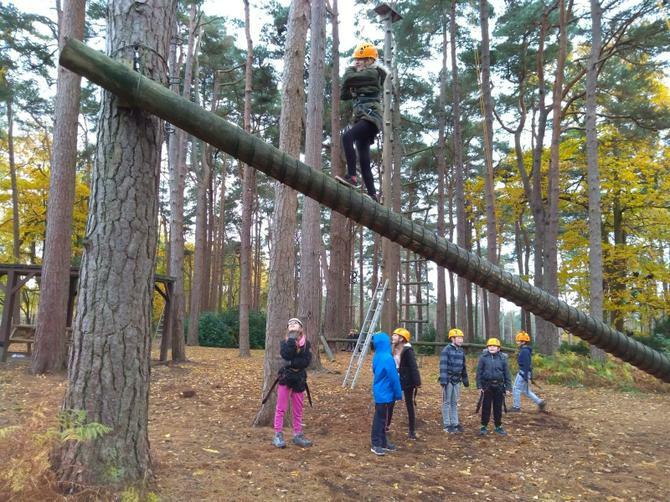 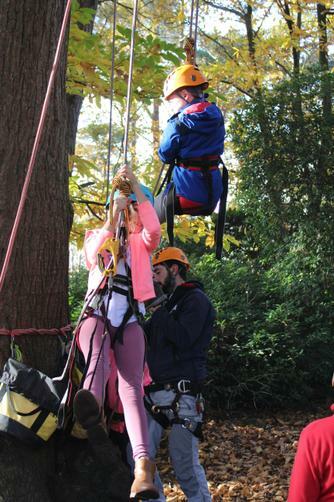 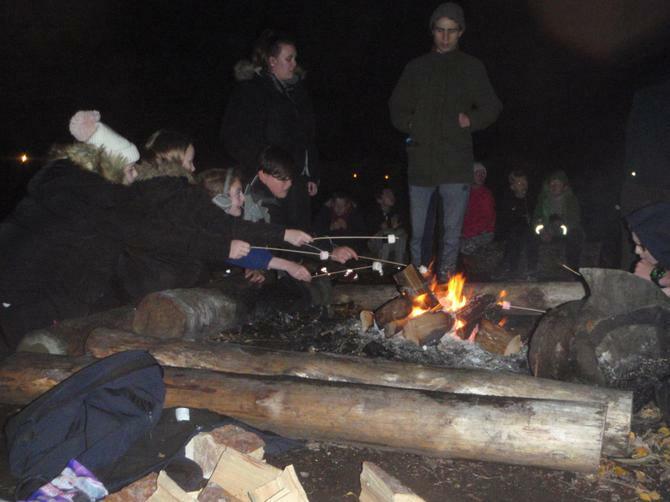 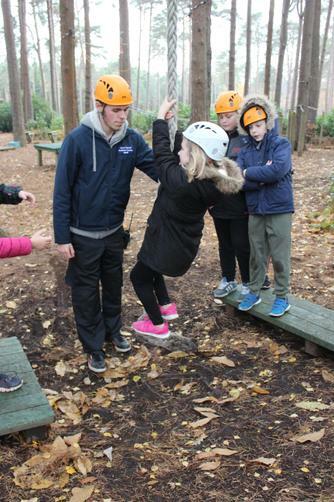 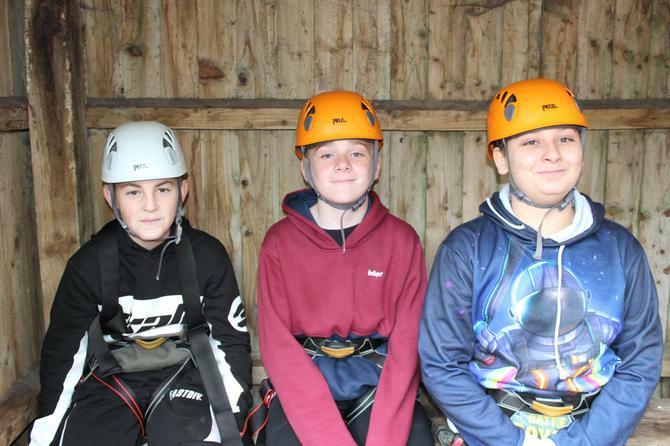 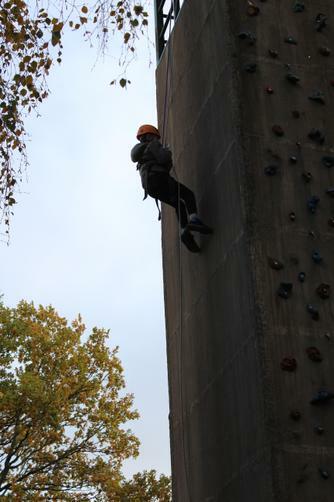 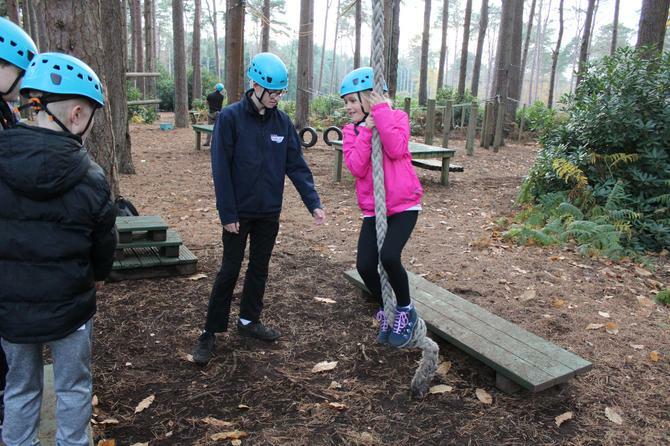 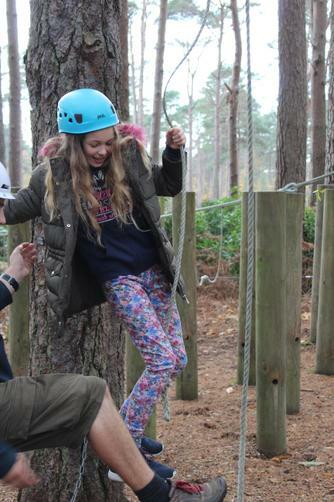 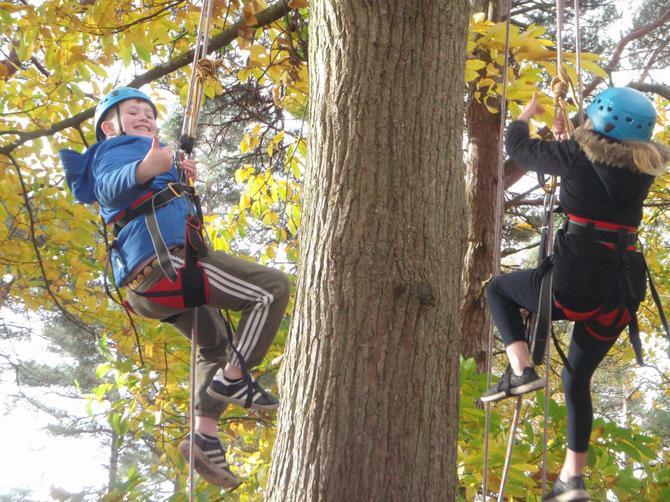 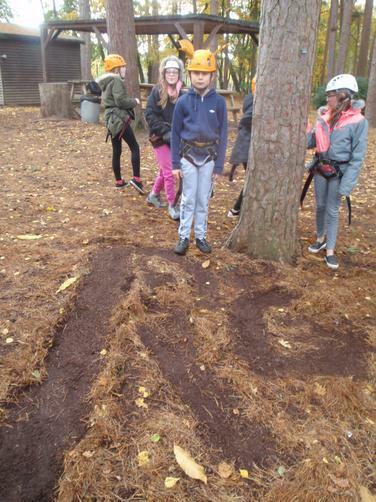 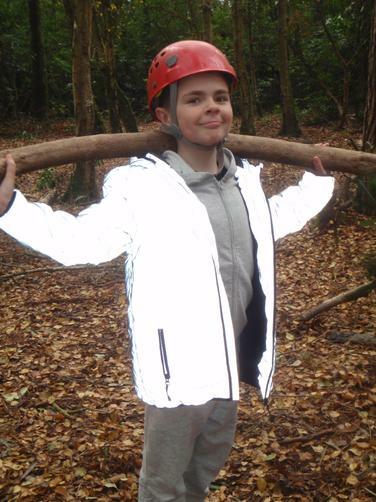 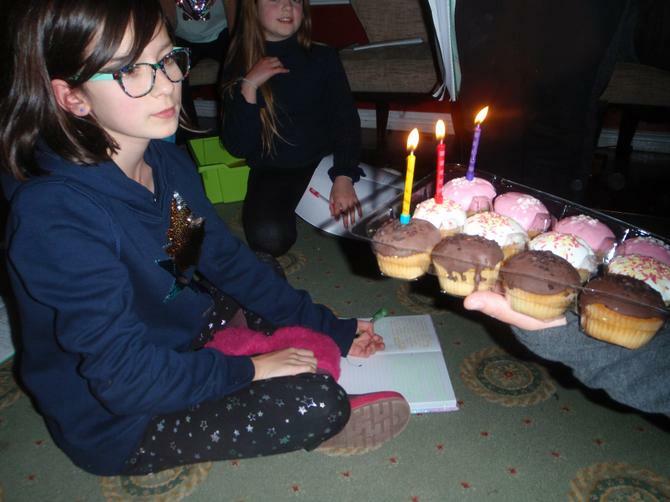 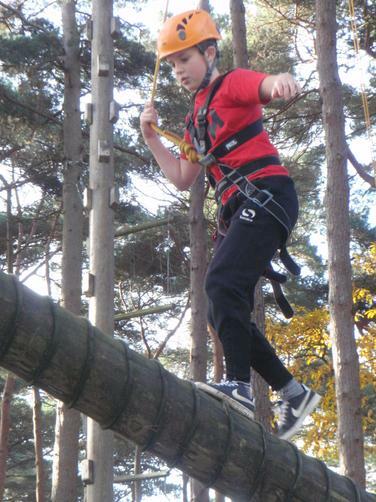 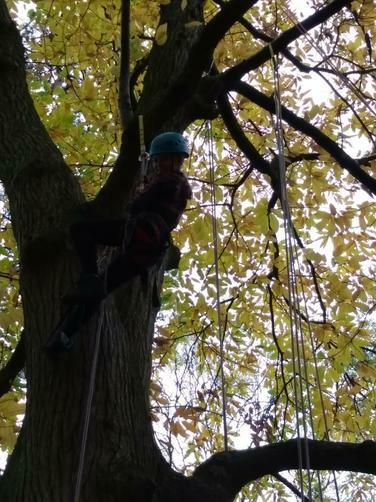 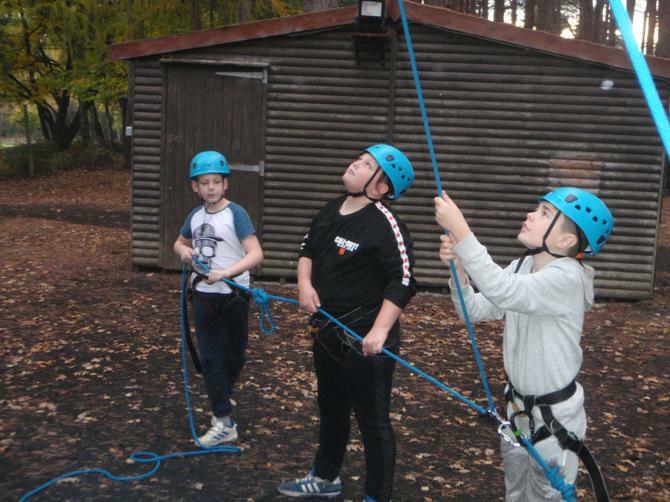 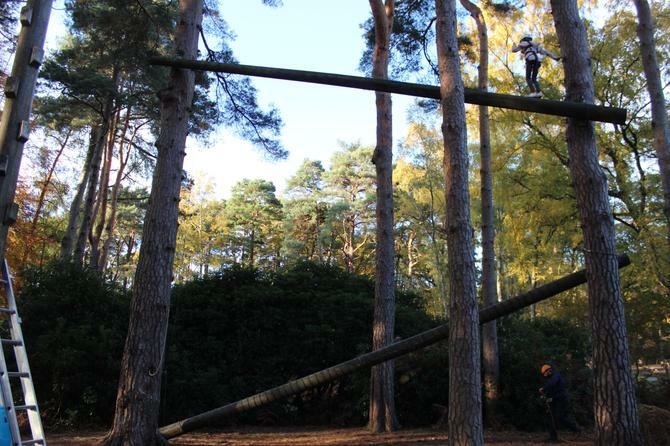 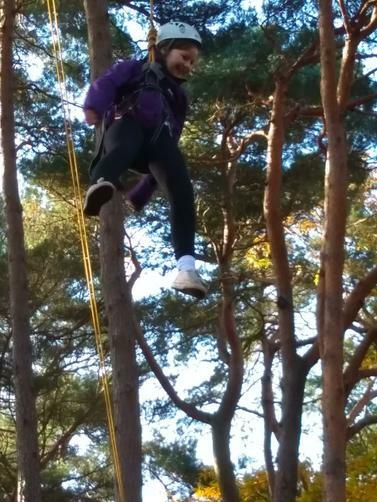 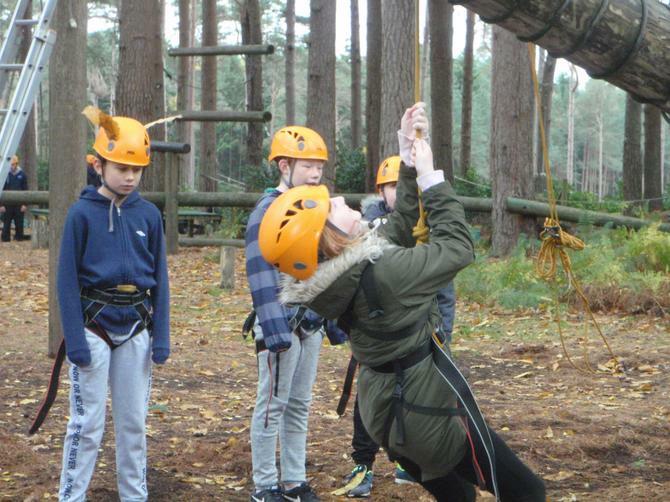 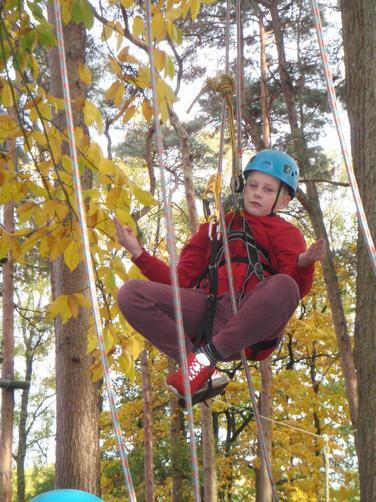 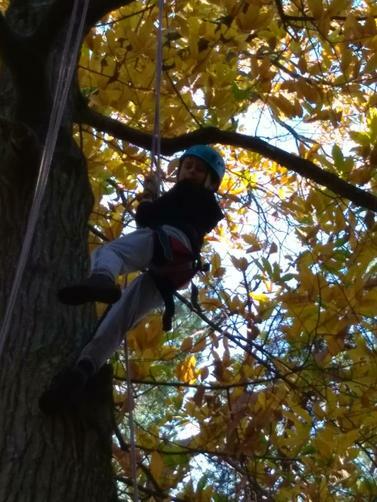 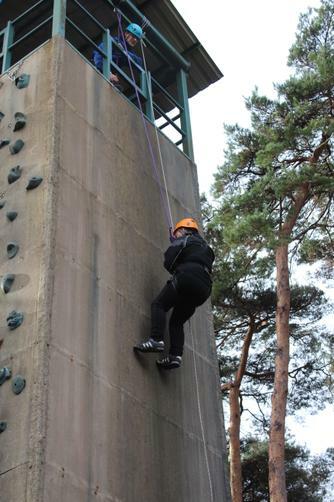 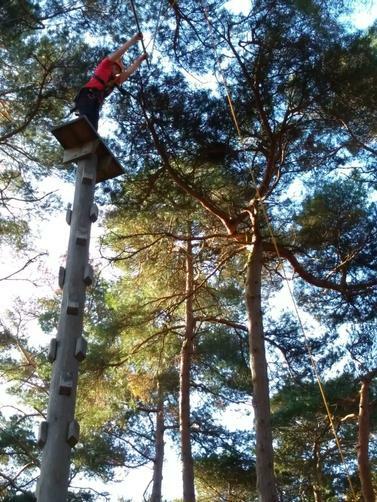 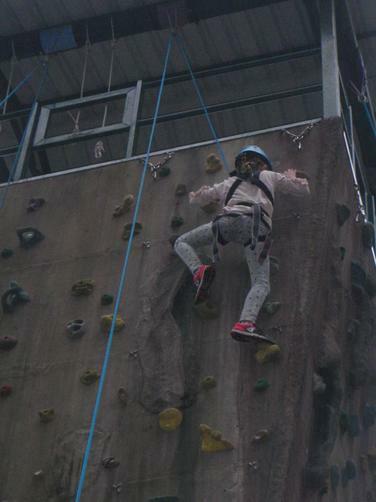 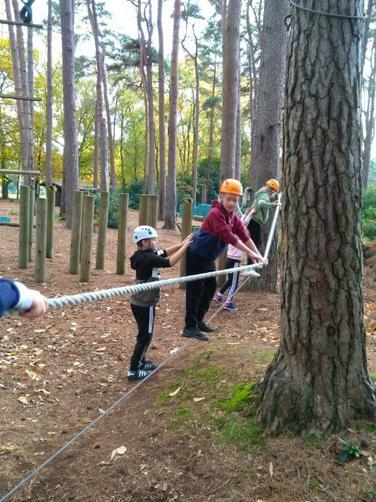 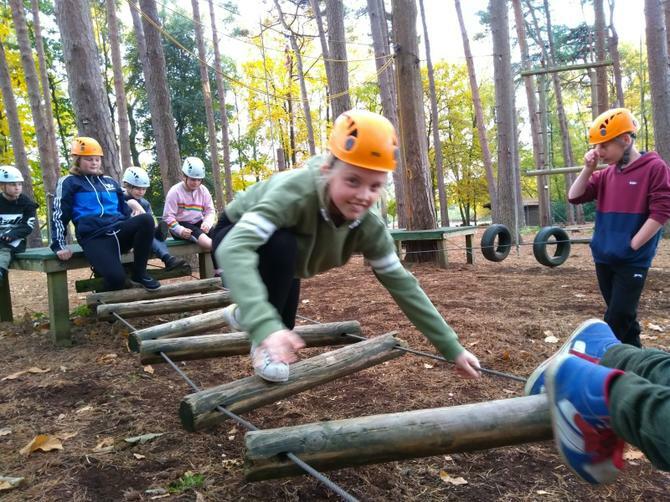 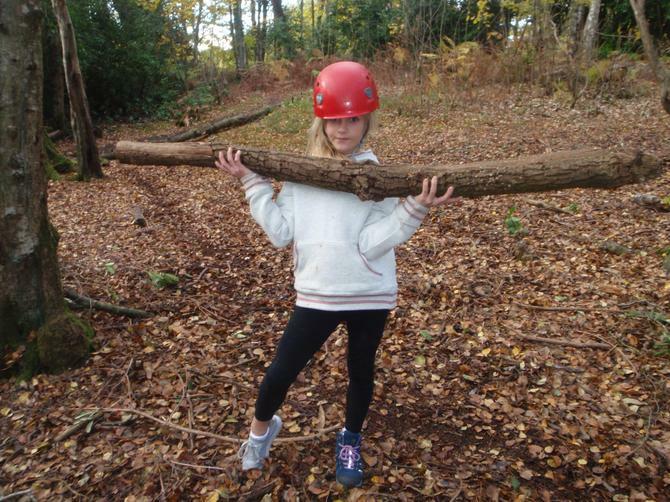 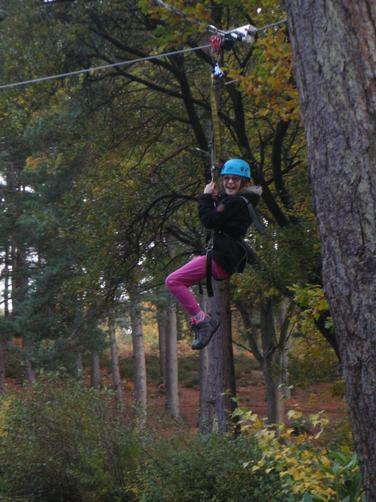 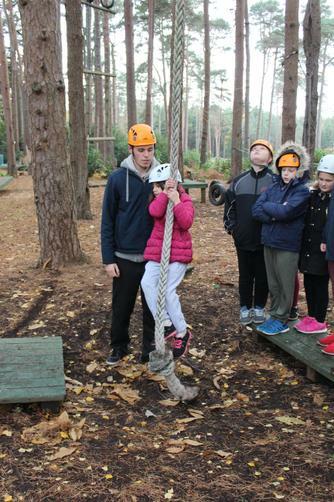 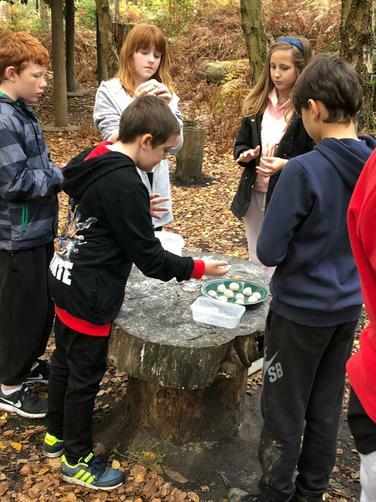 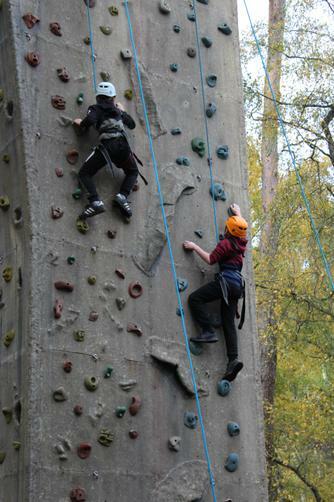 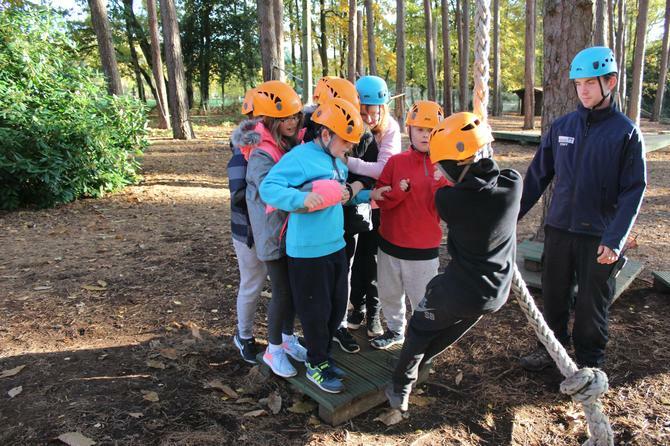 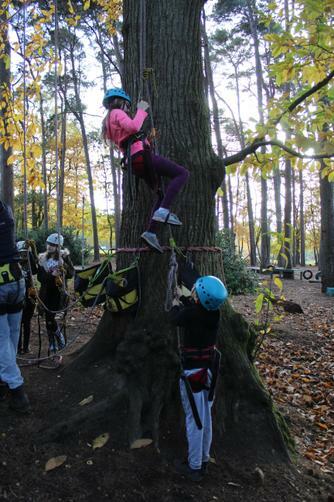 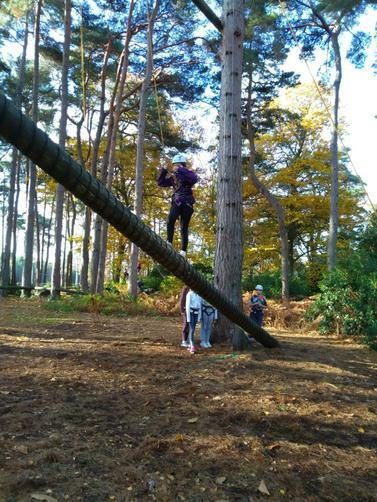 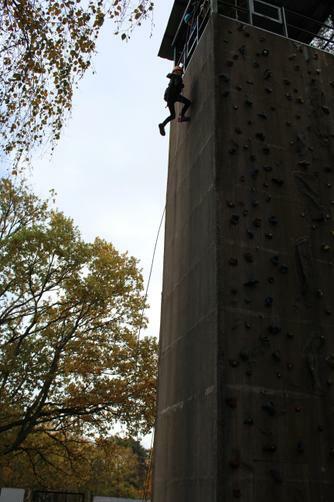 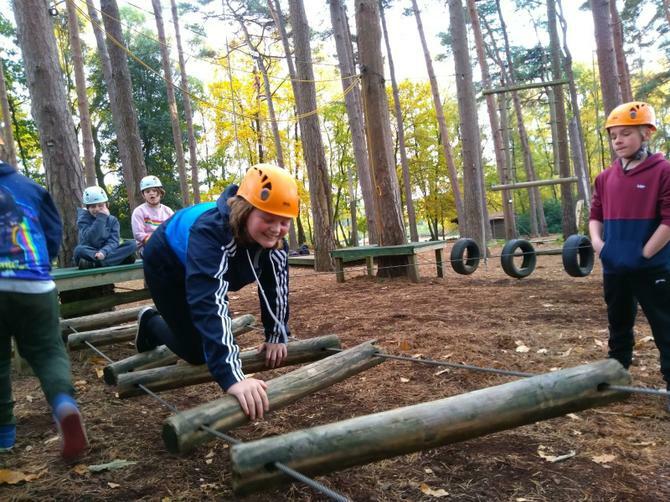 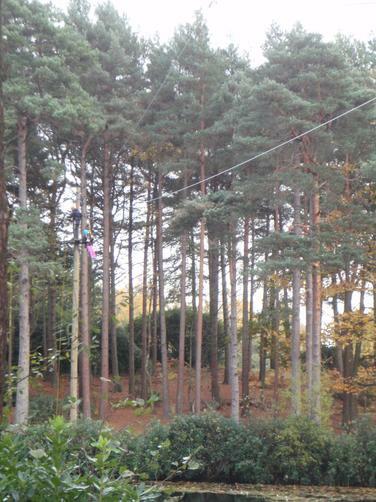 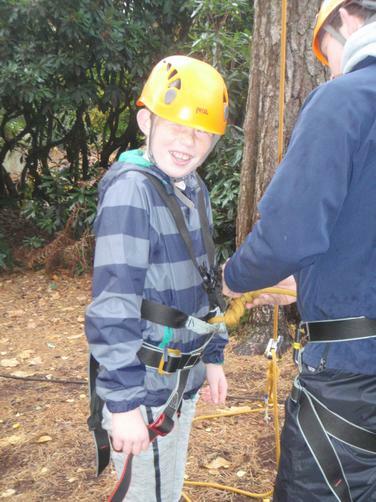 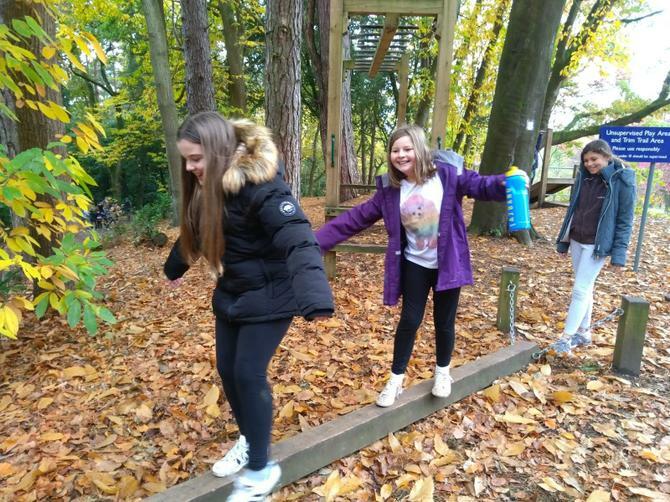 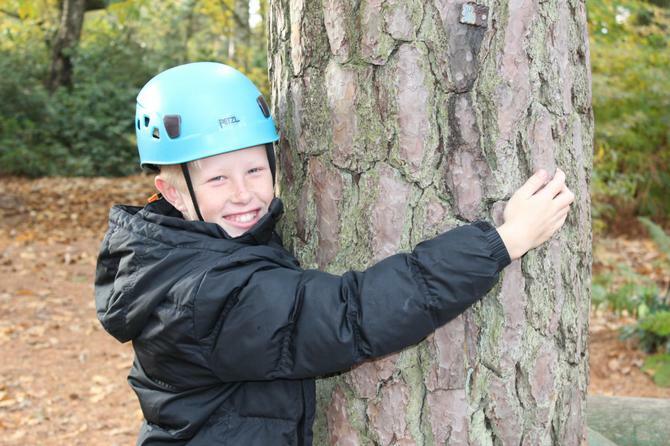 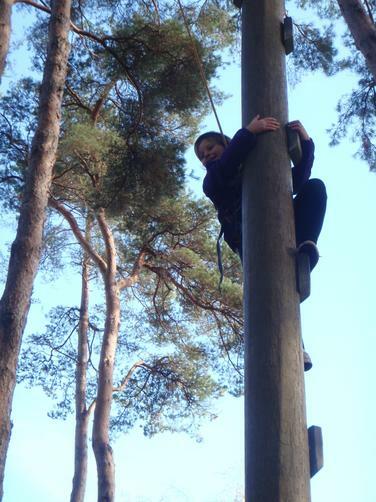 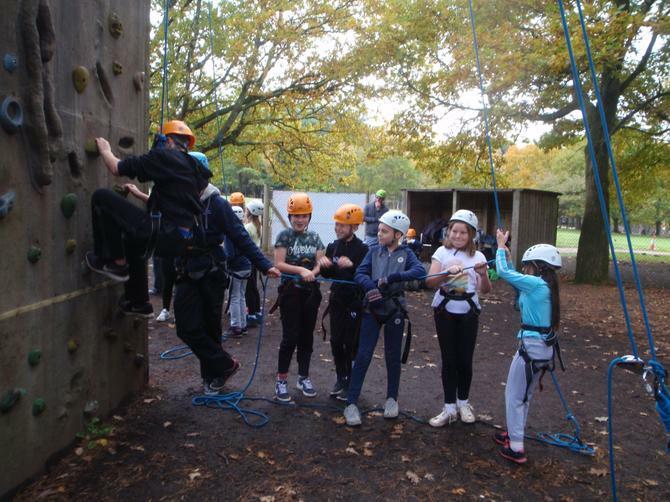 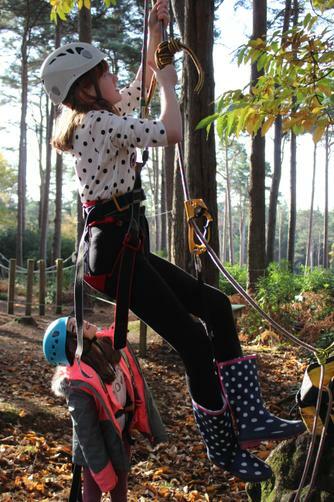 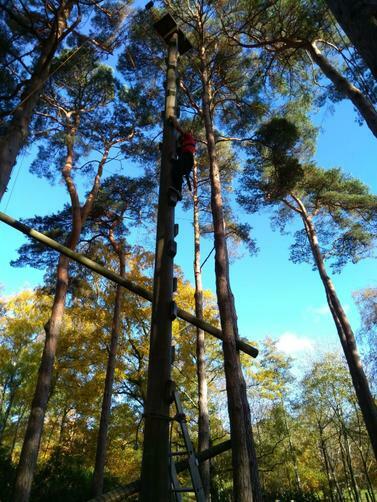 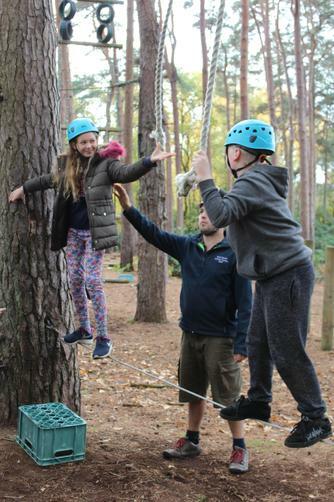 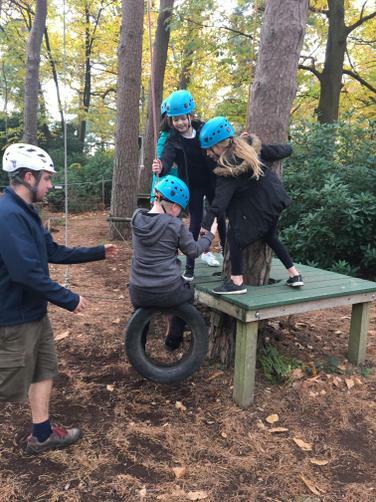 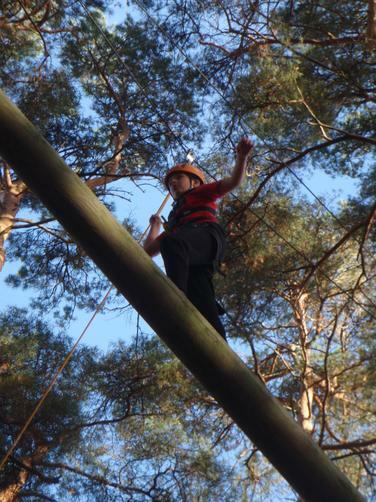 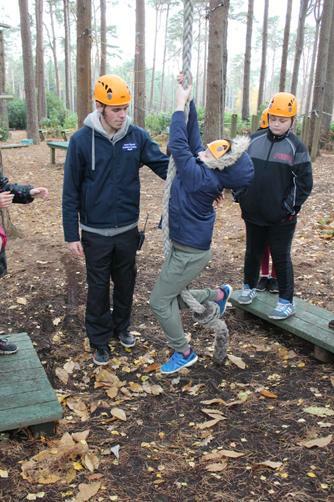 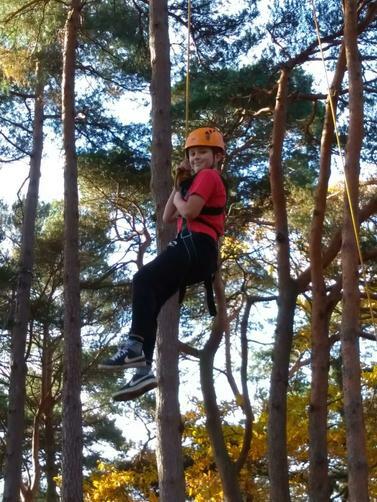 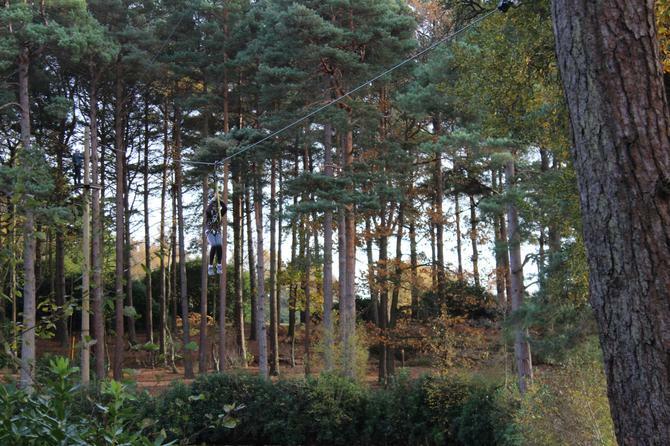 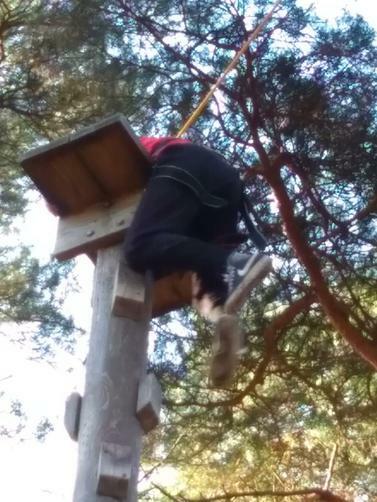 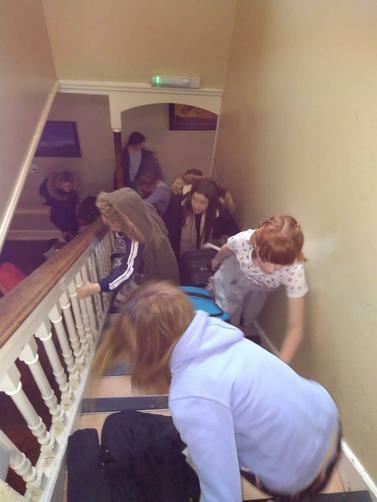 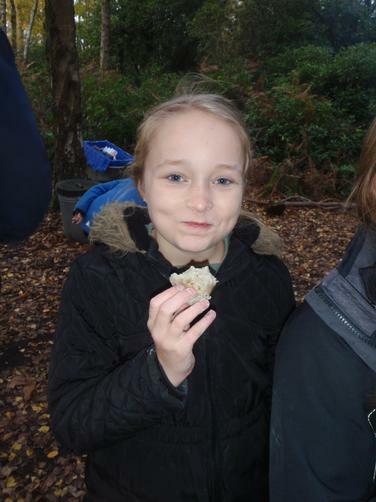 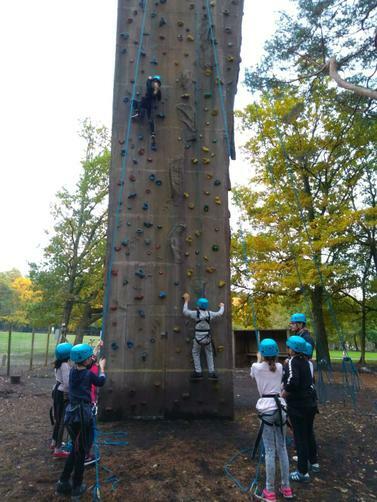 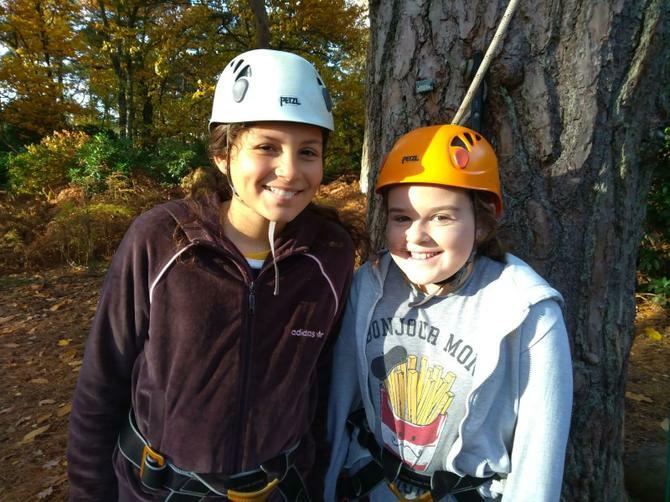 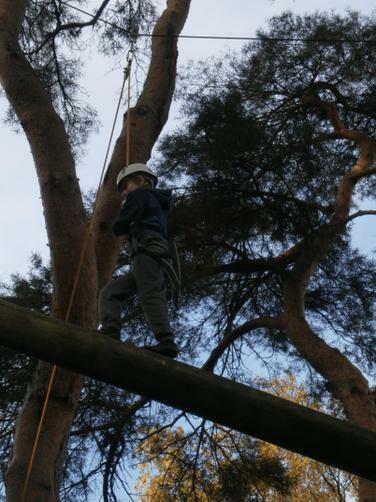 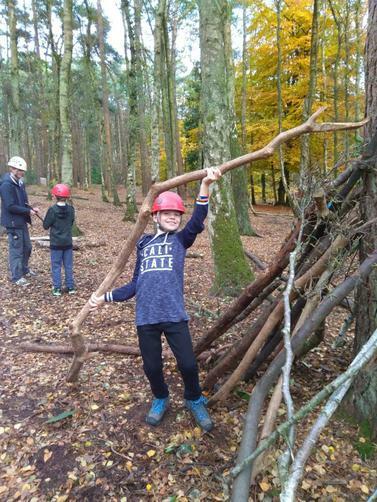 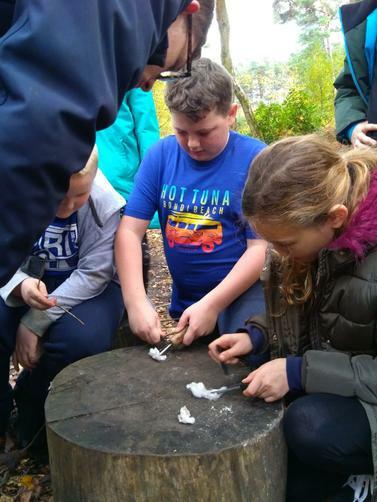 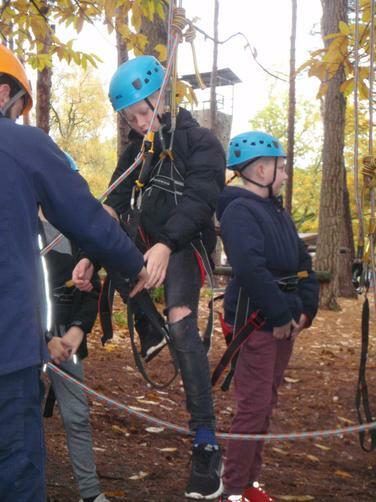 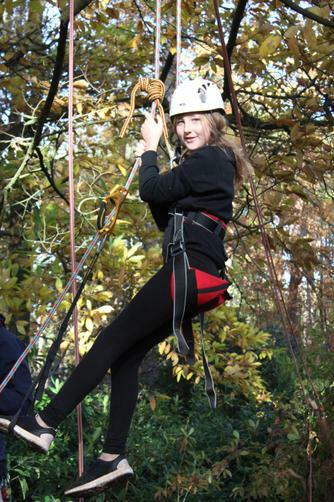 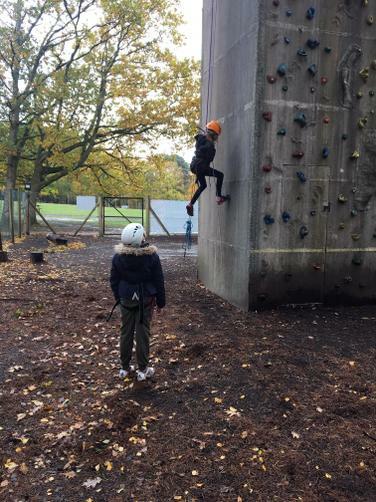 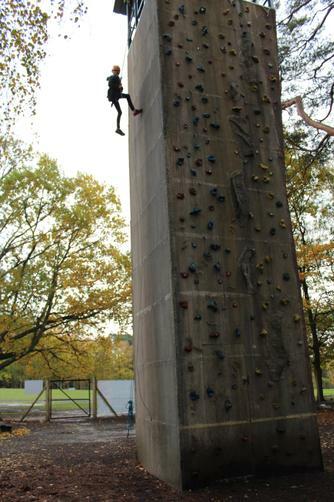 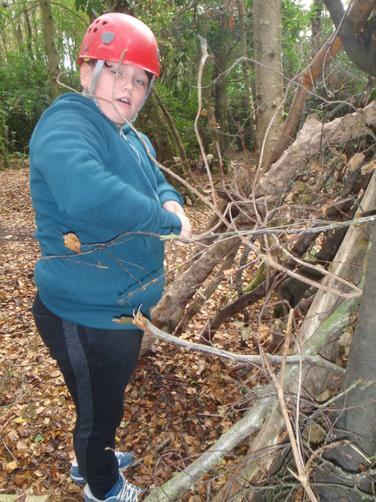 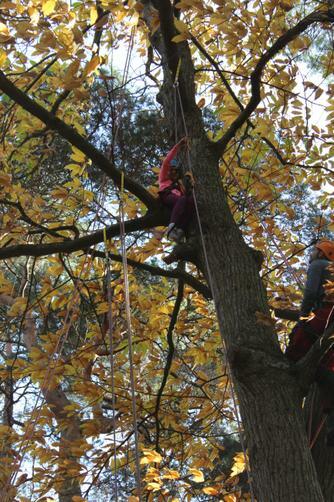 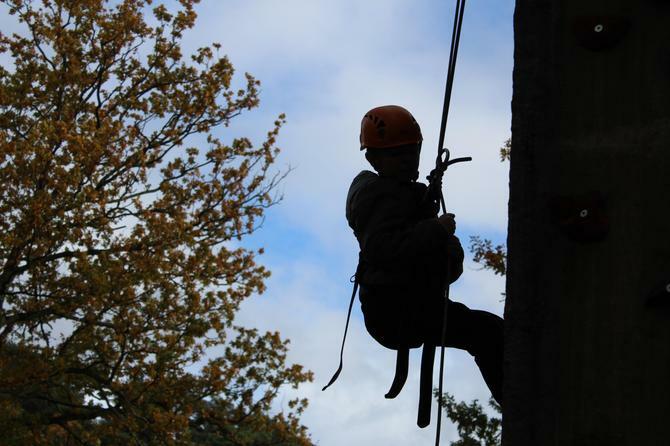 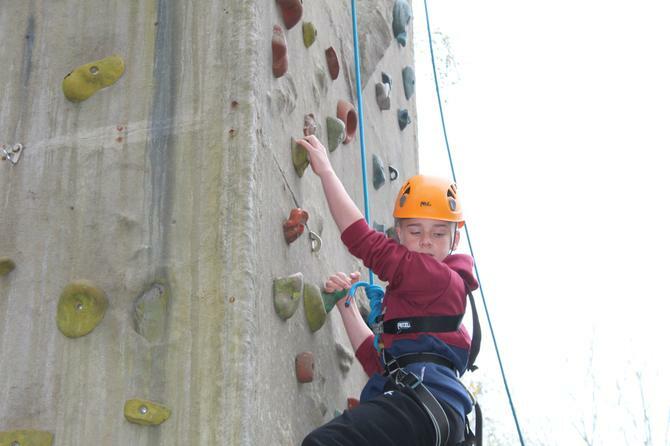 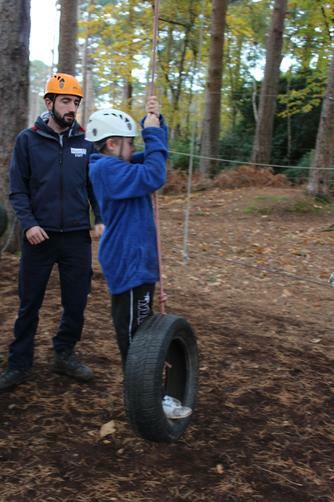 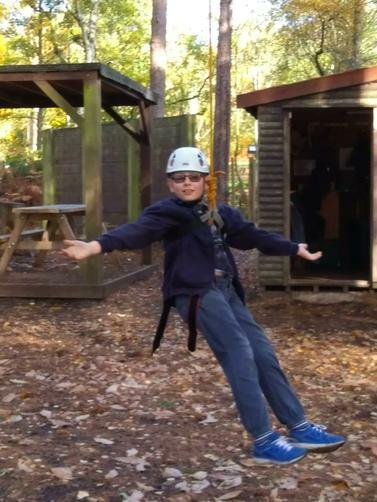 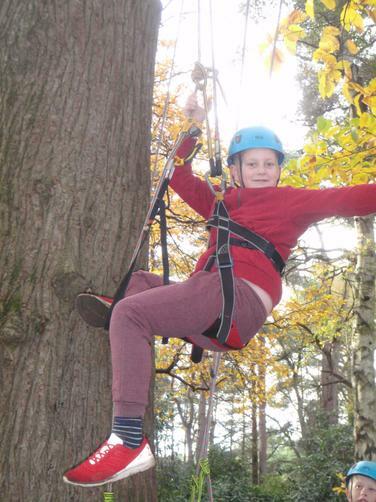 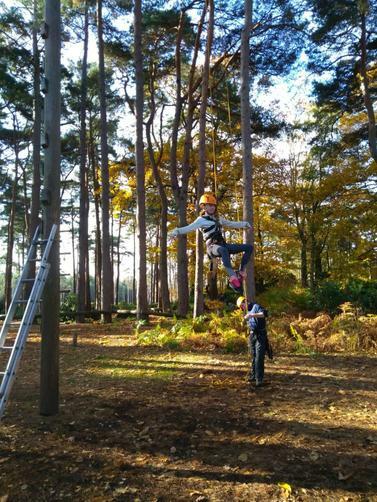 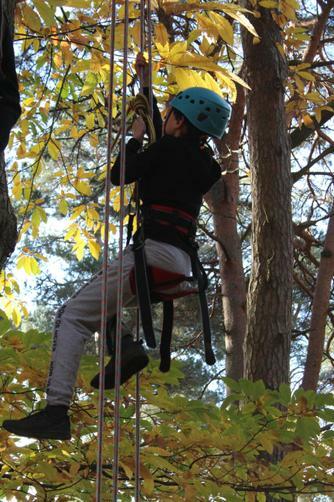 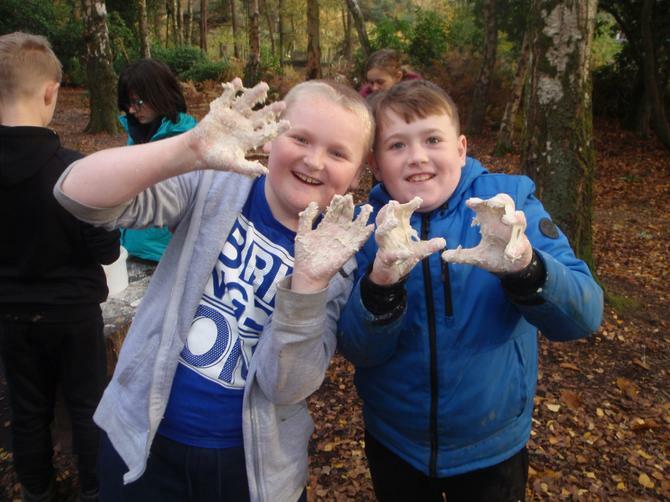 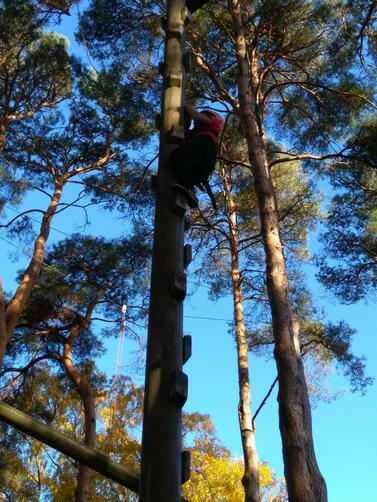 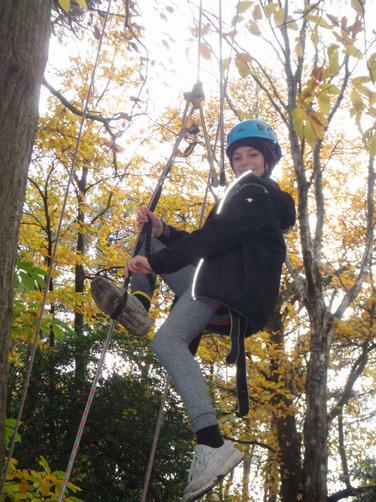 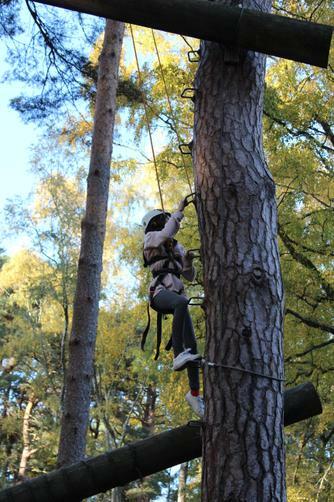 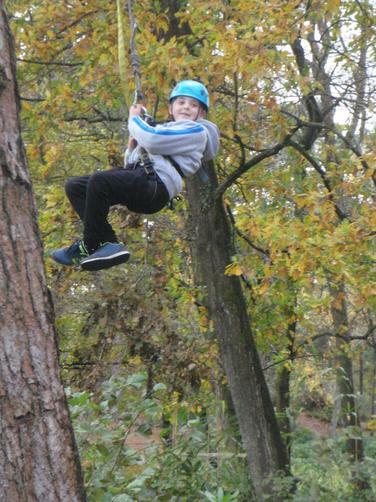 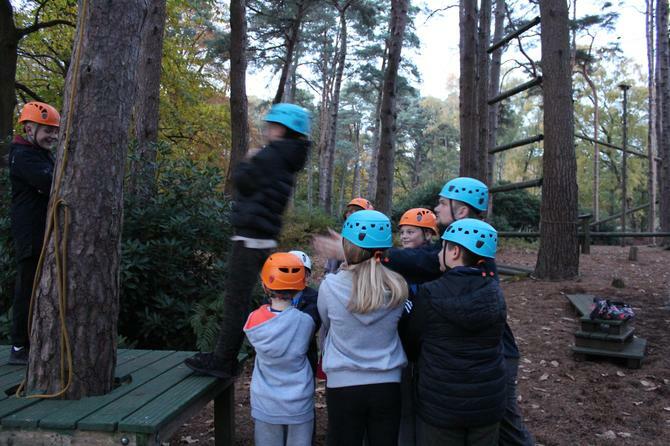 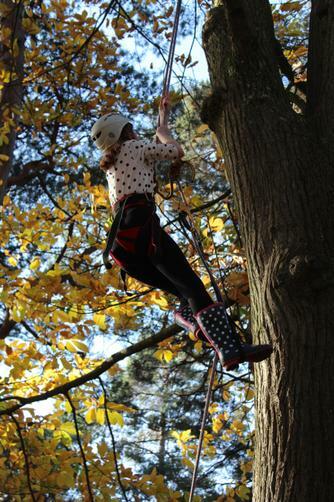 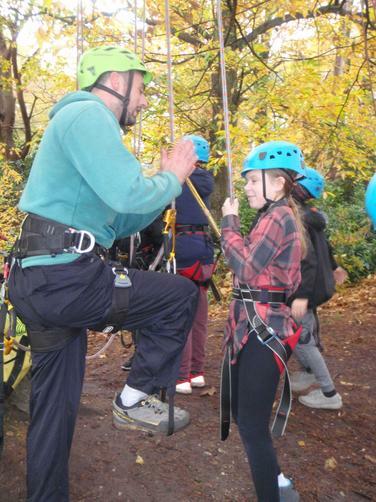 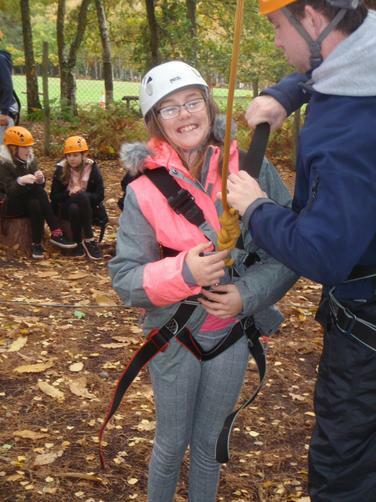 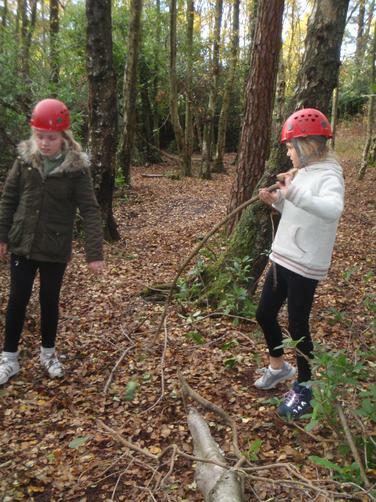 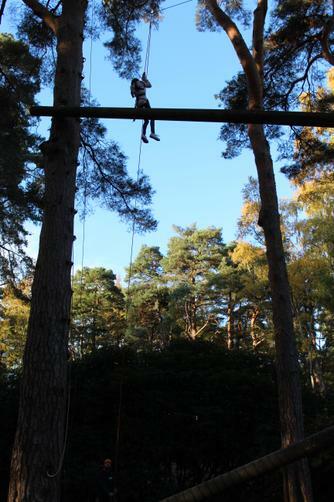 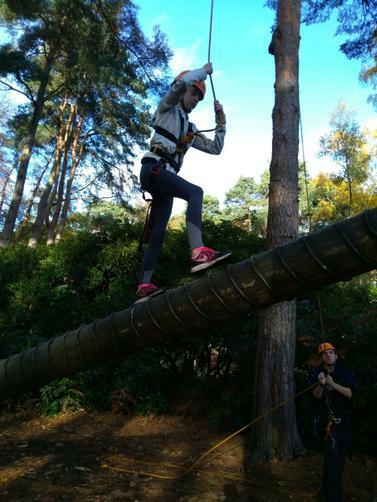 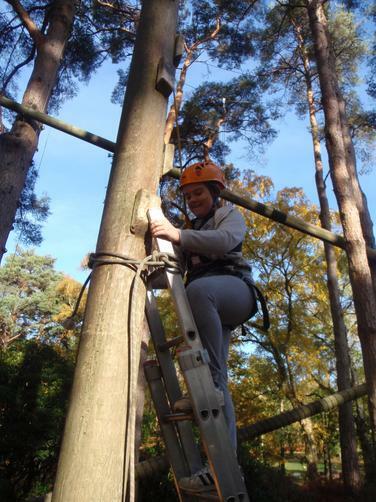 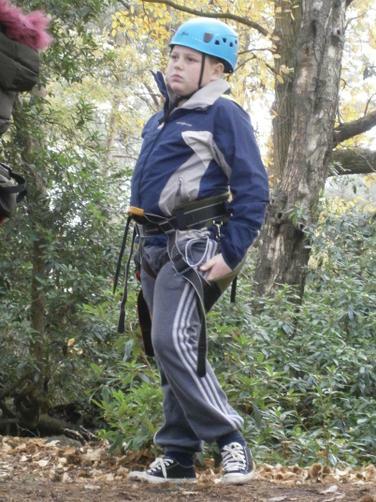 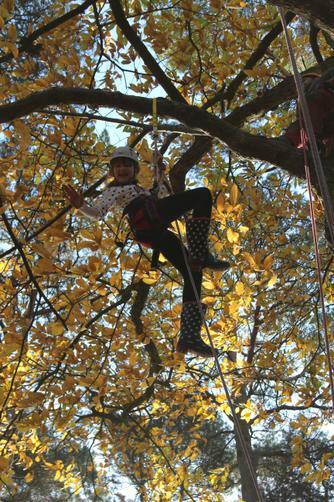 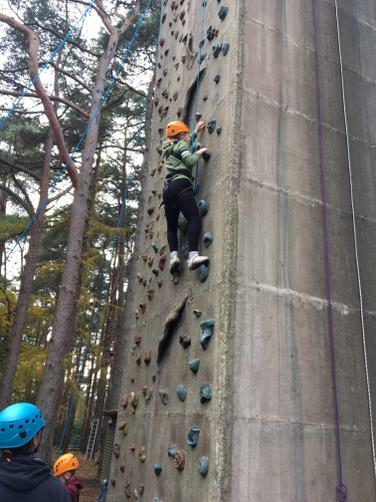 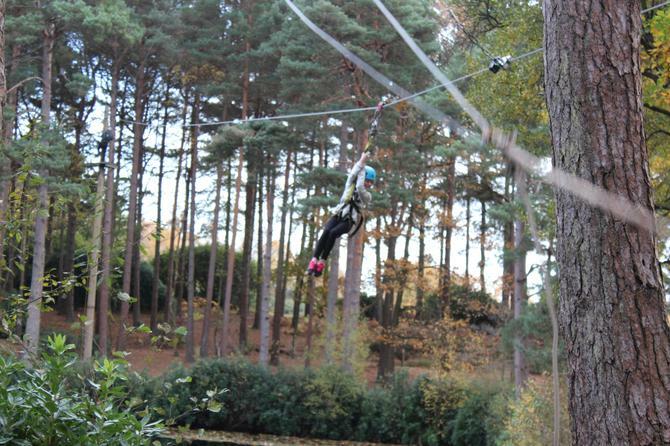 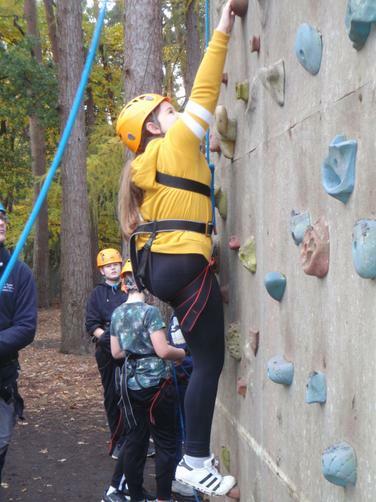 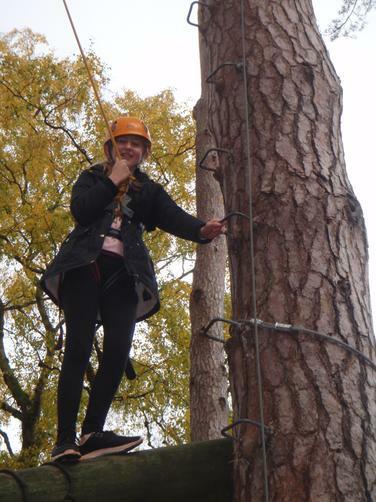 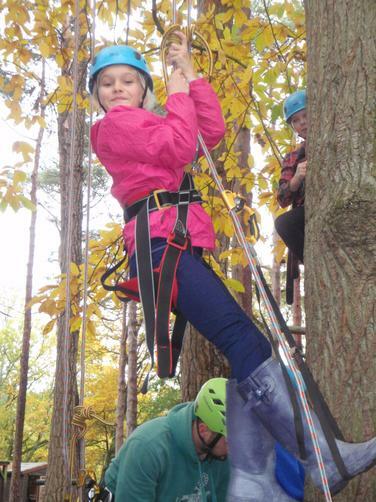 5.11.18 - 9.11.18: What a fantastic week Year 6 had at Avon Tyrrell. 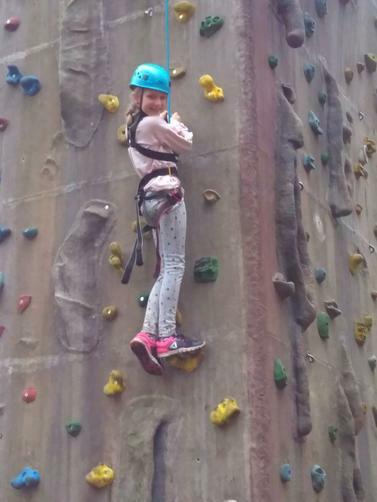 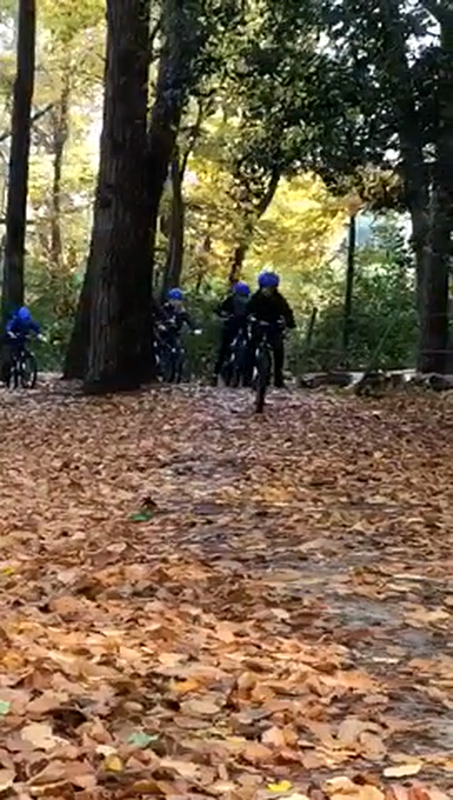 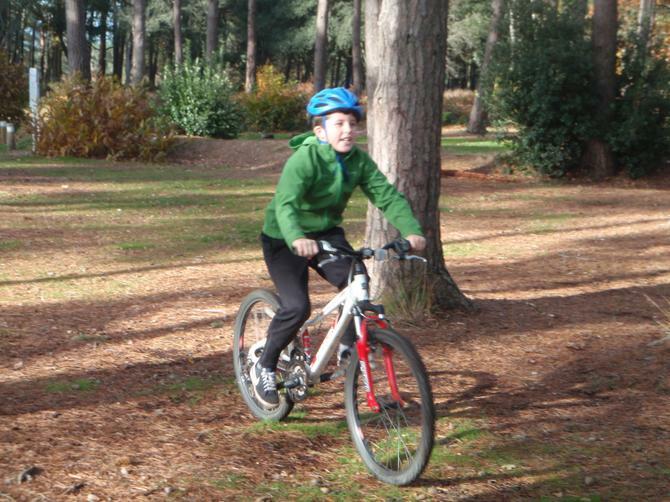 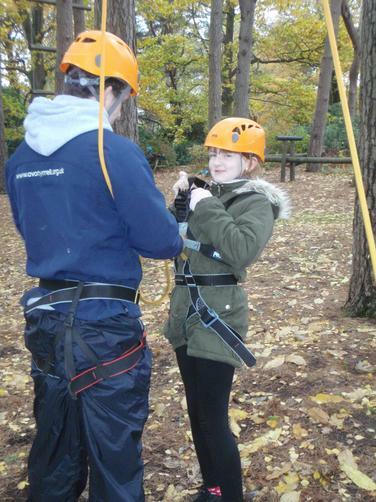 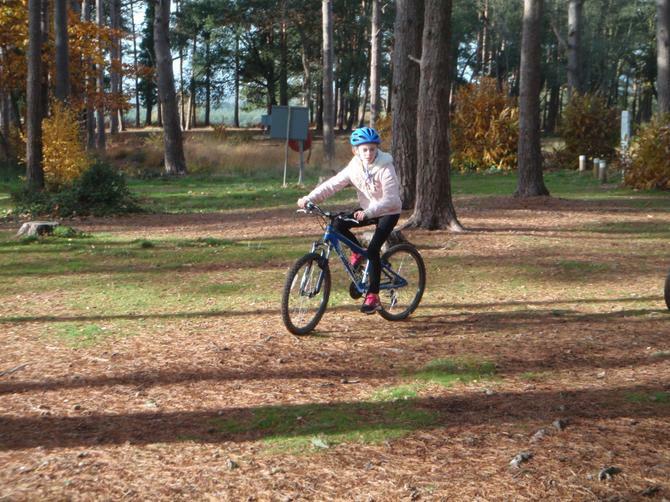 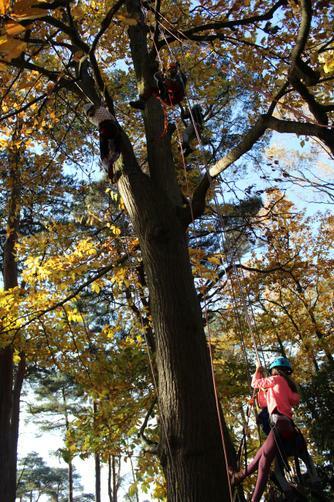 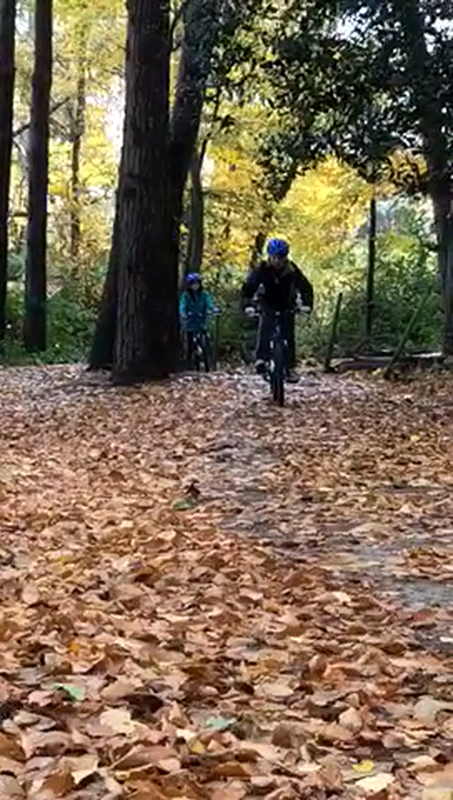 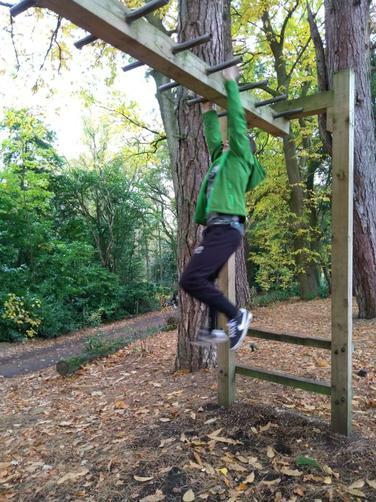 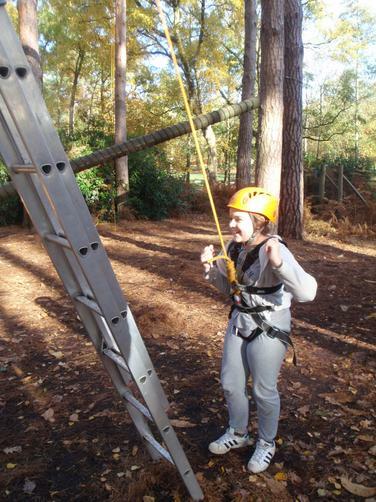 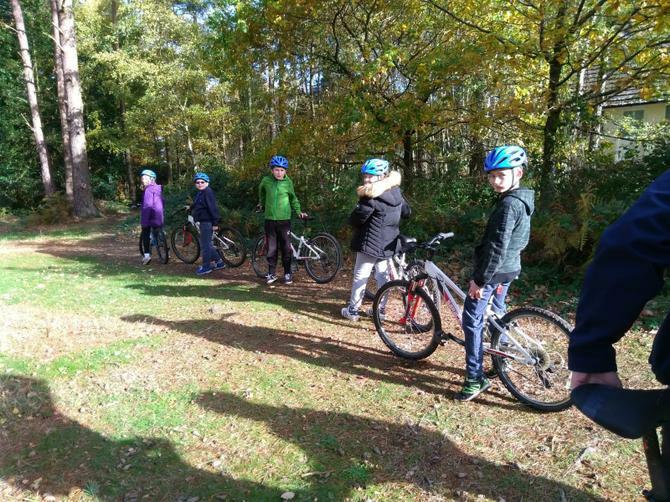 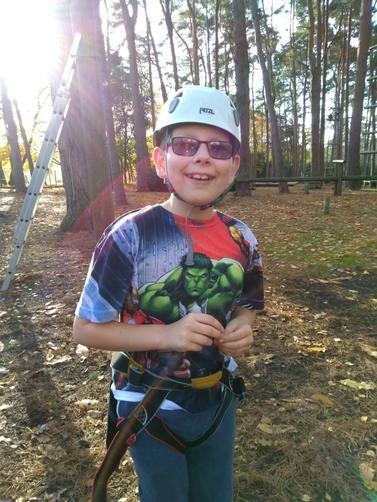 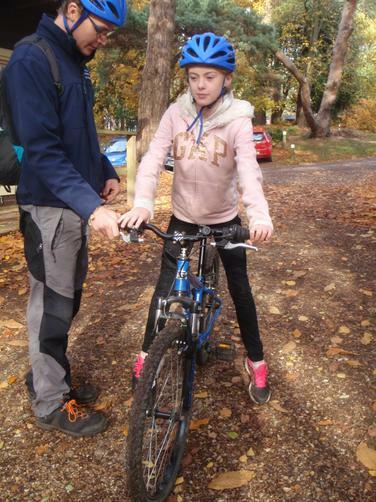 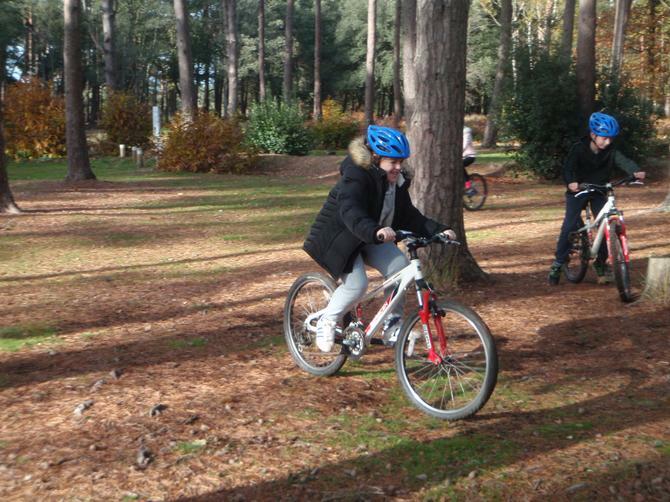 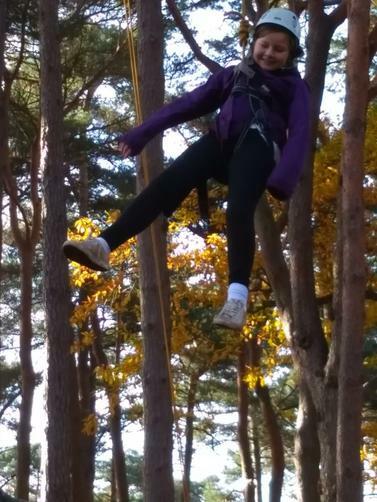 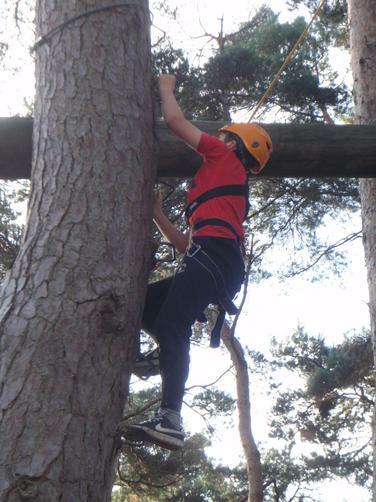 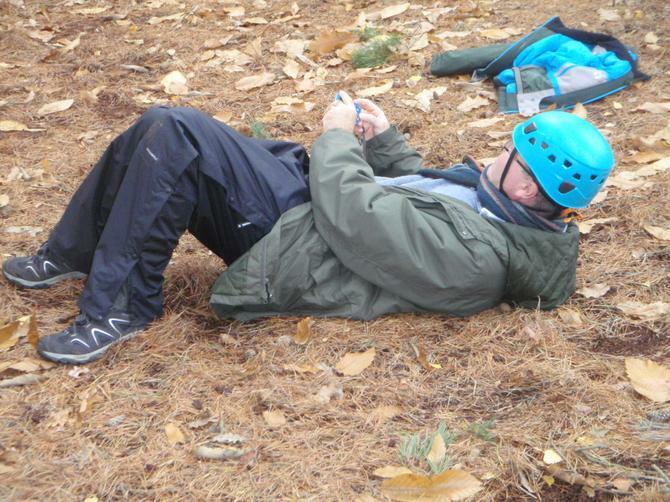 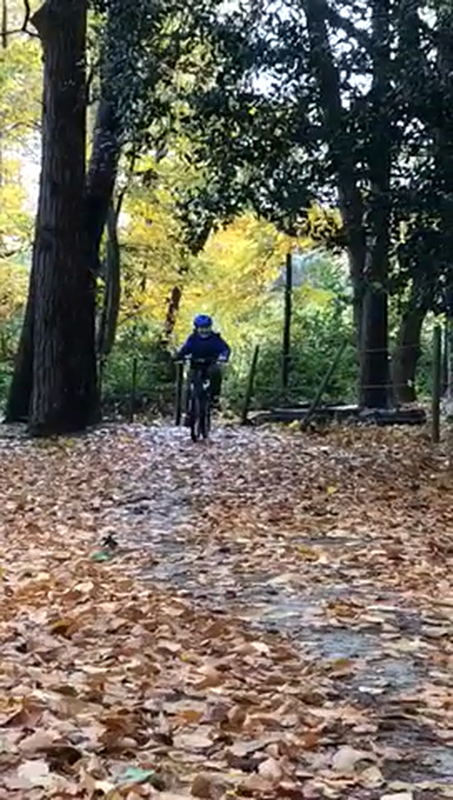 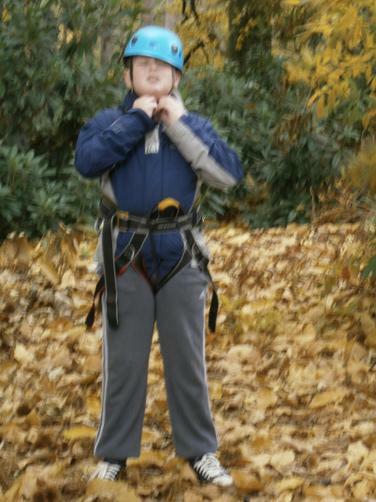 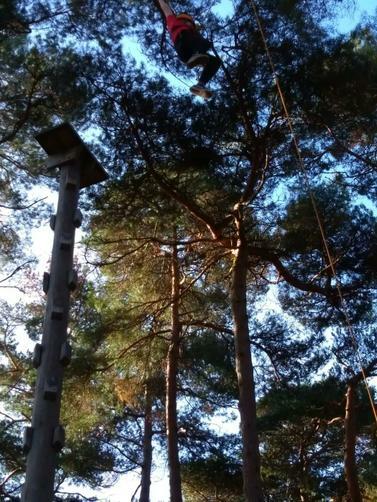 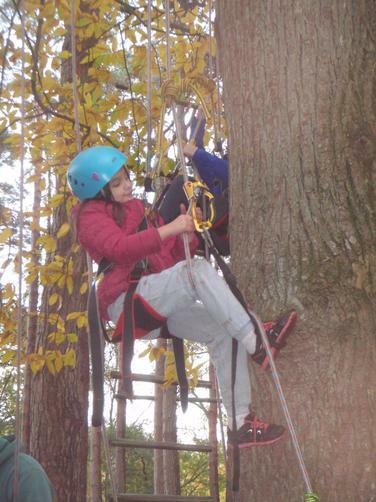 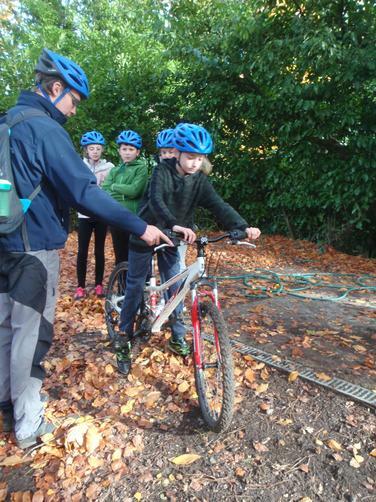 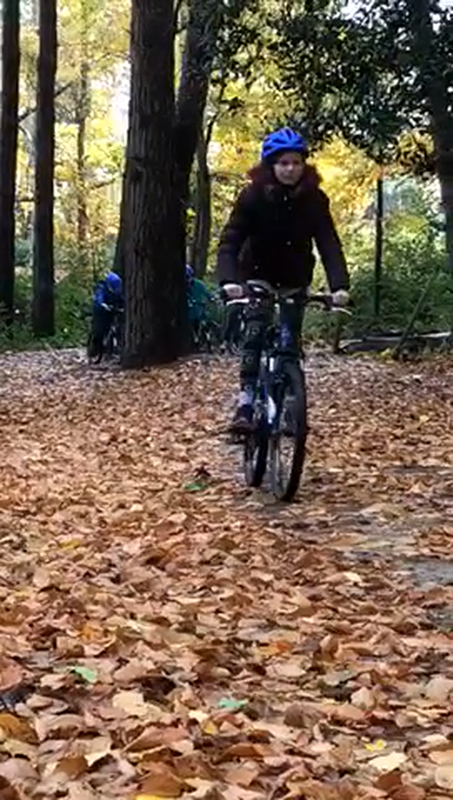 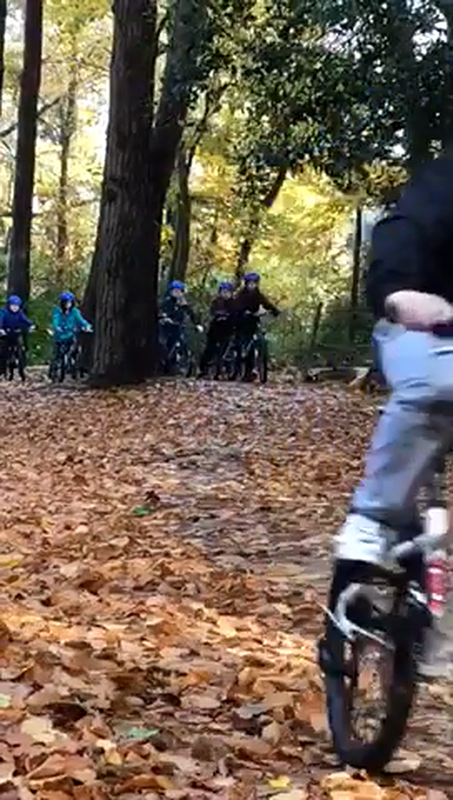 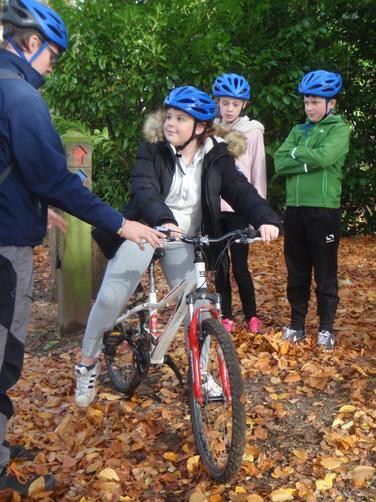 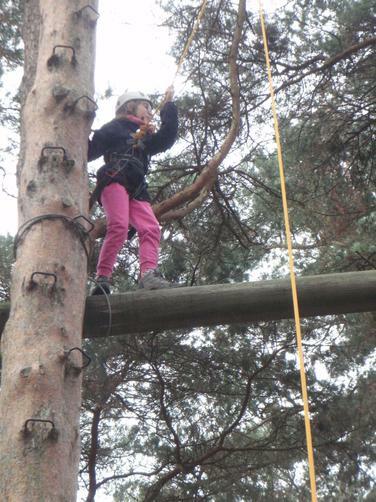 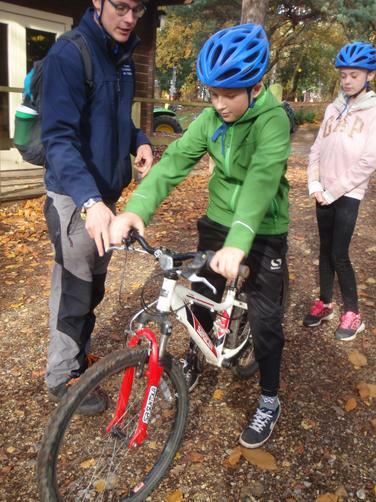 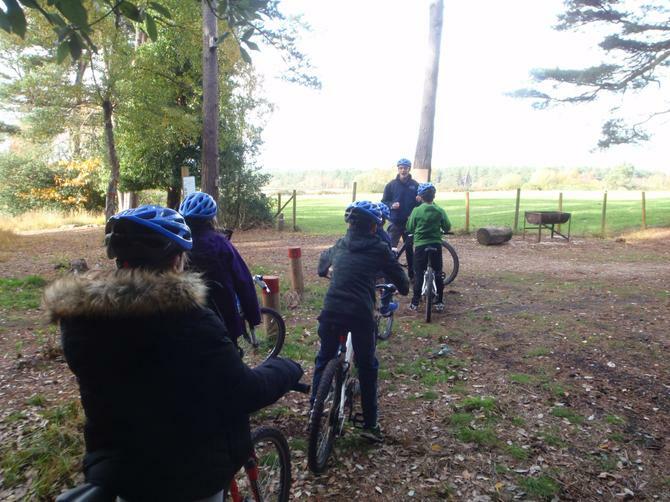 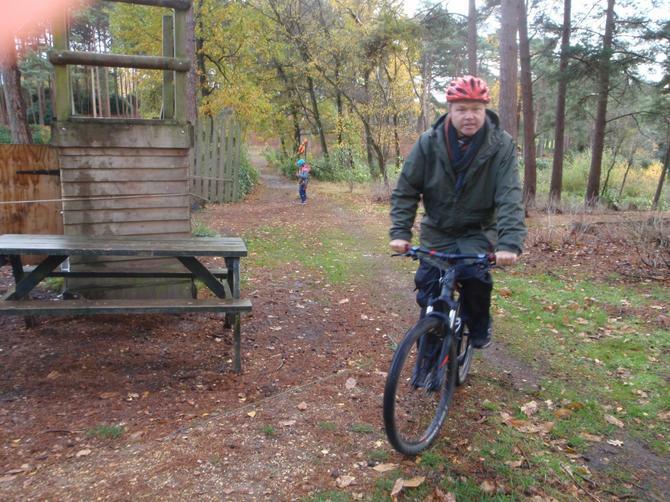 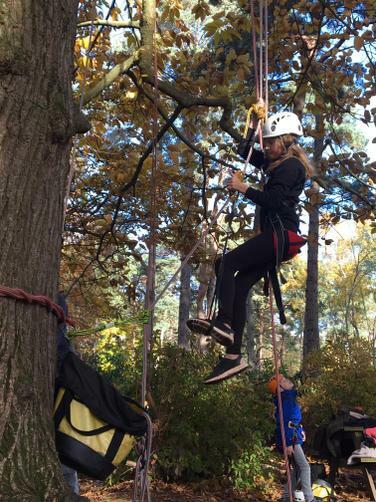 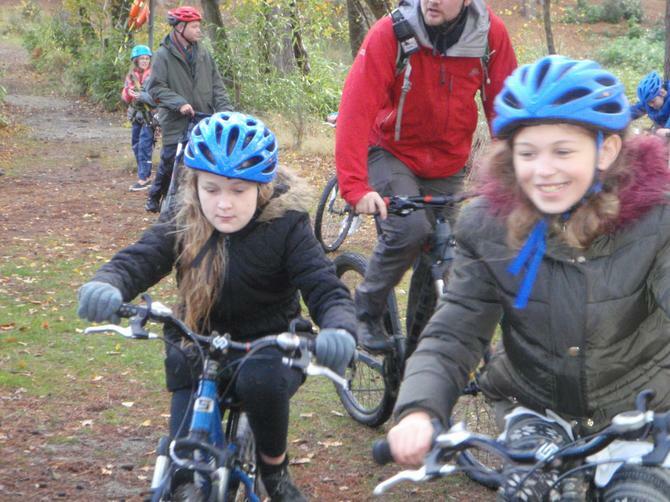 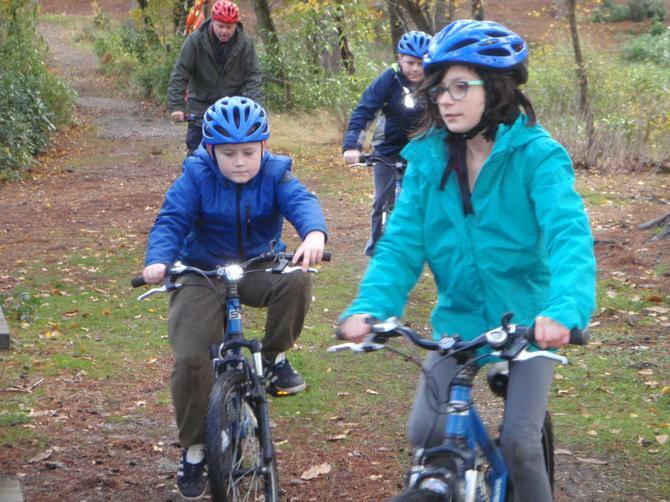 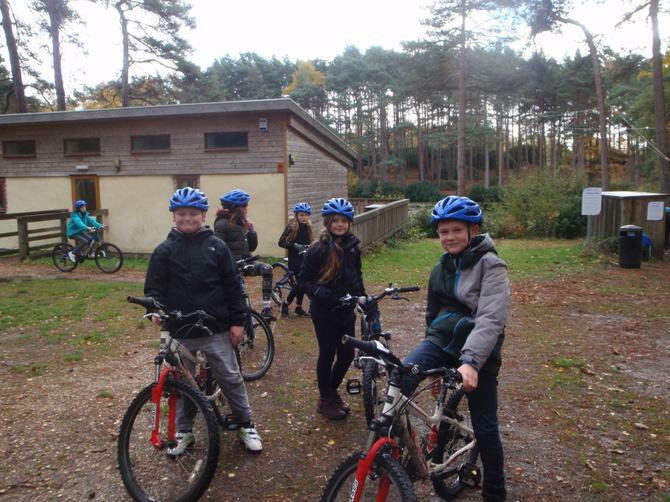 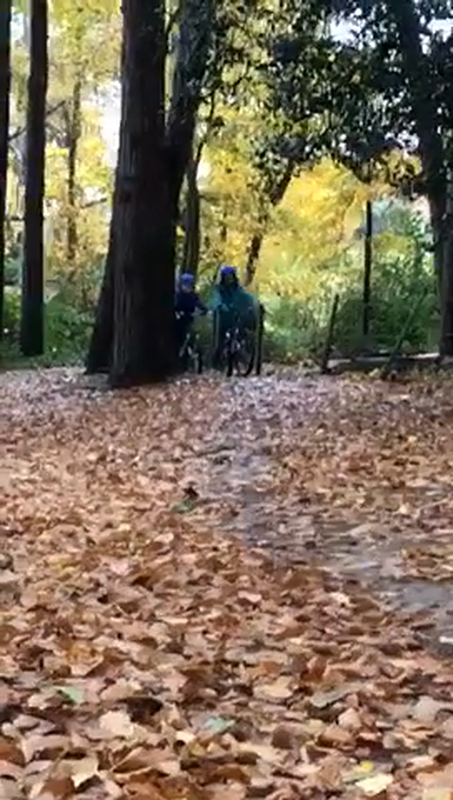 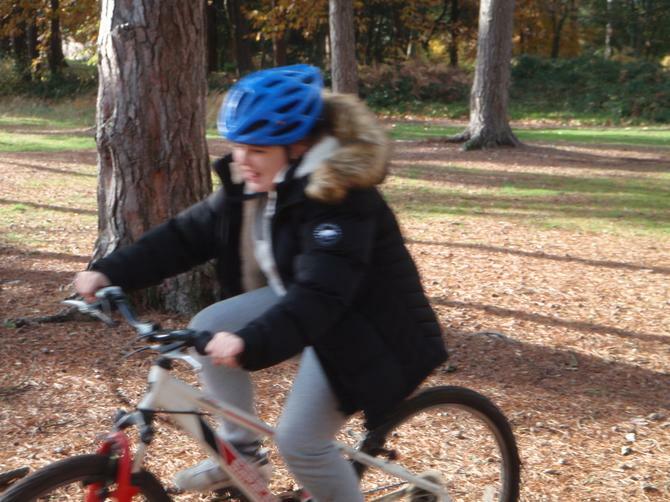 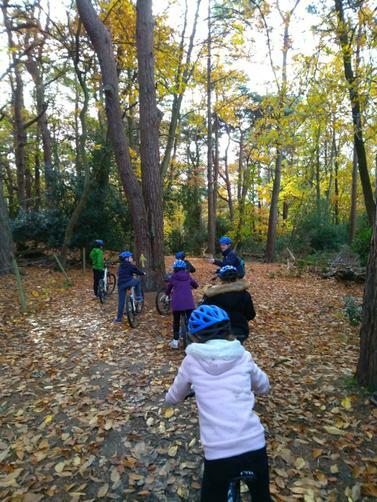 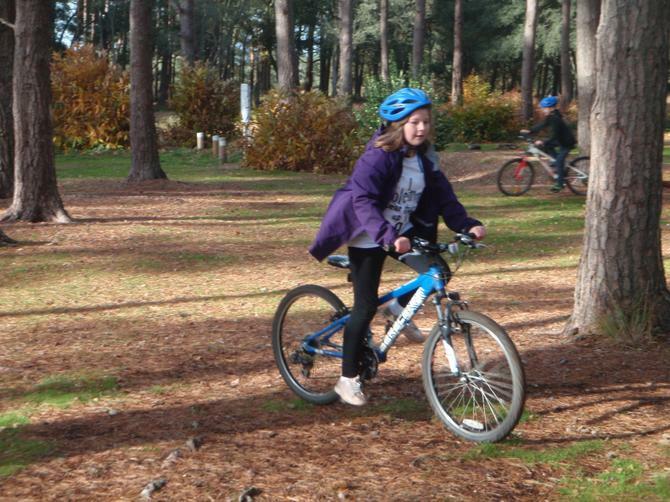 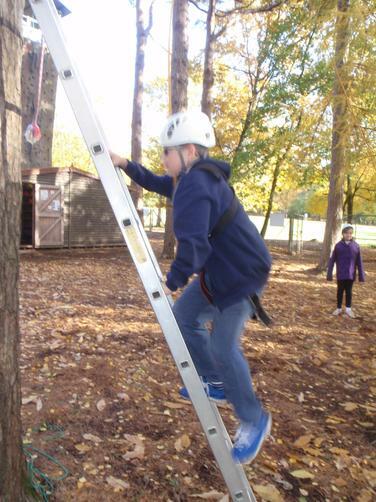 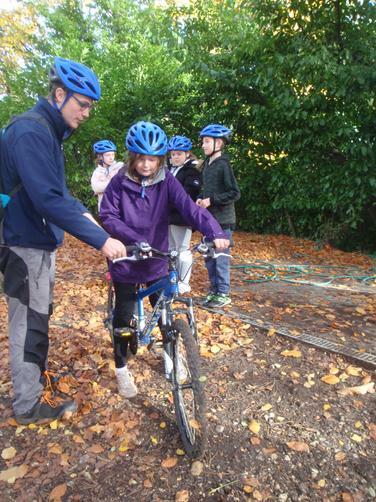 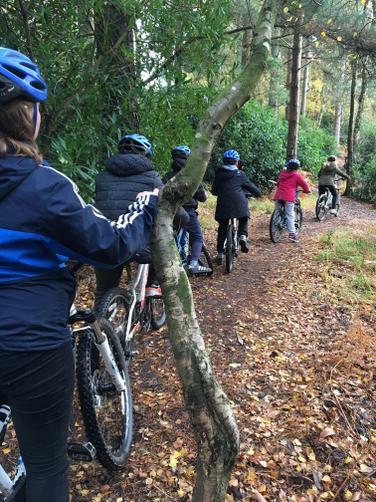 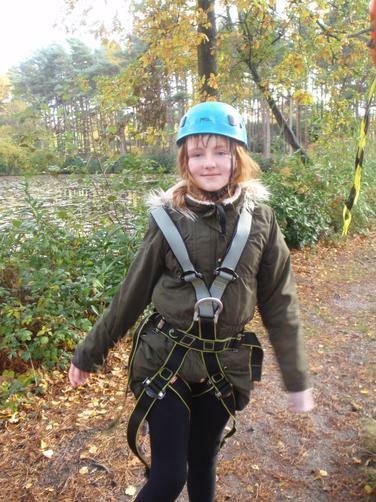 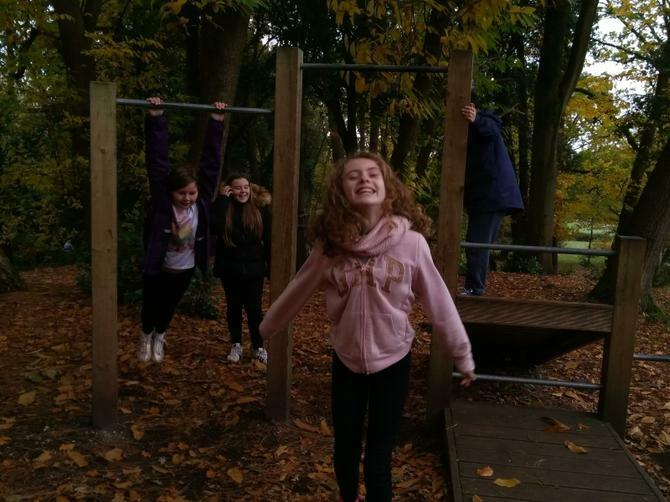 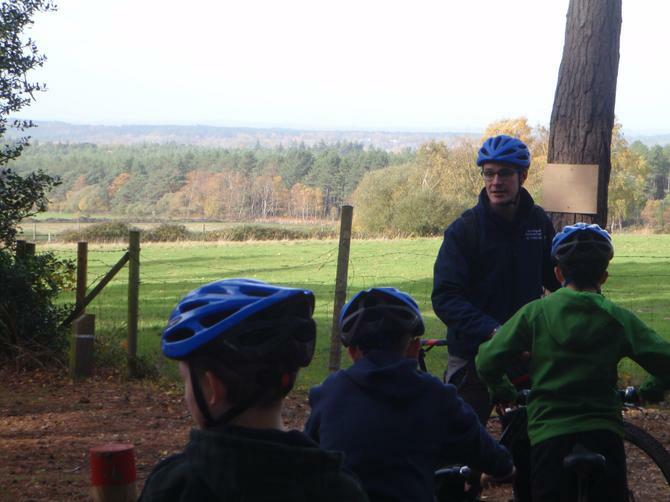 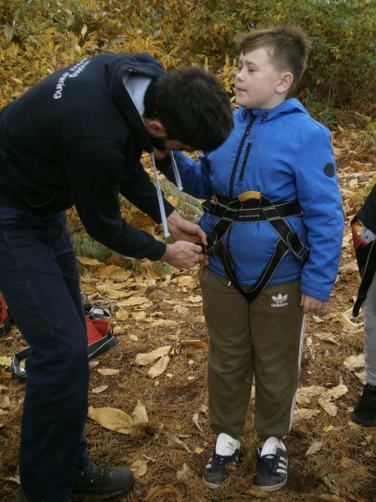 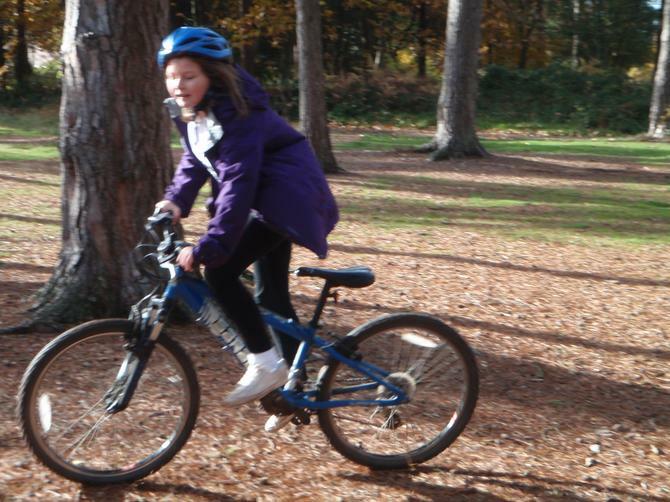 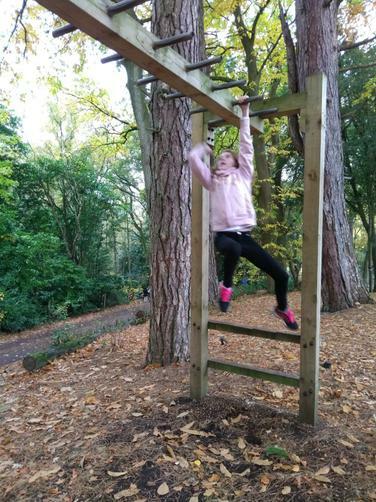 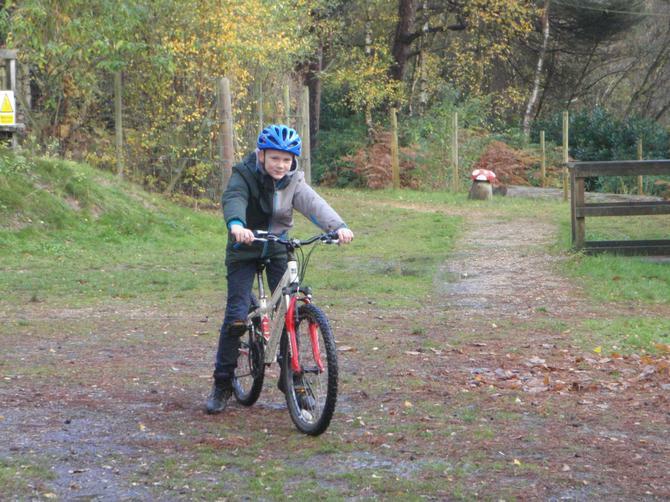 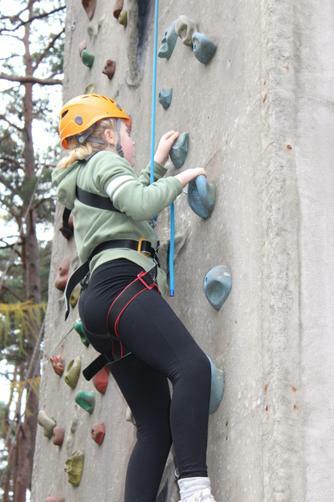 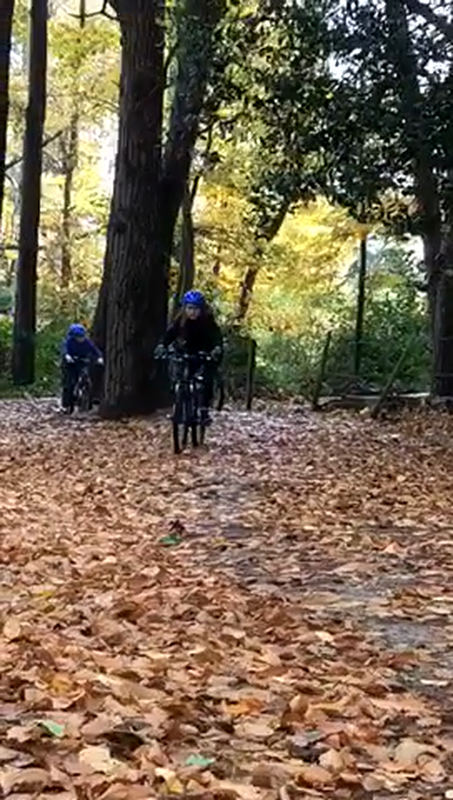 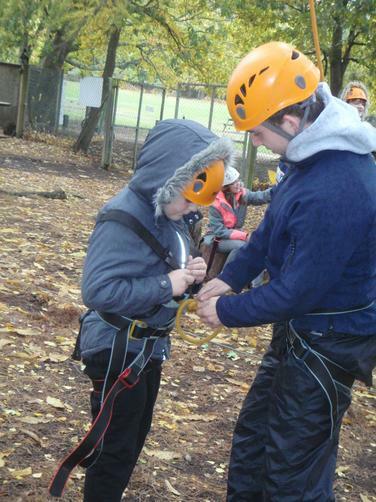 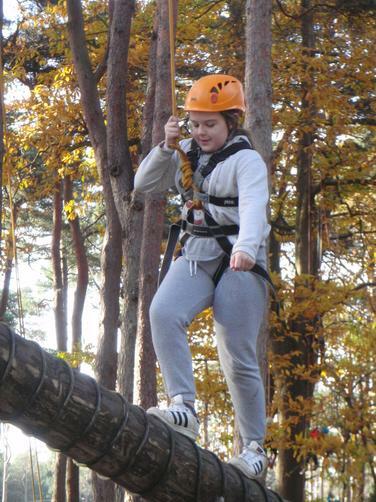 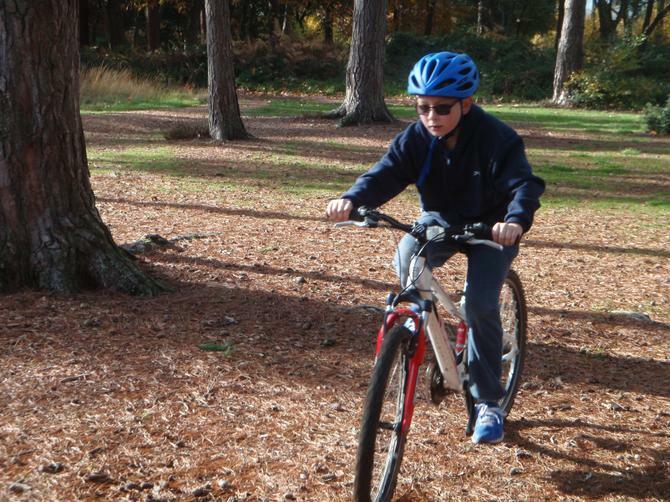 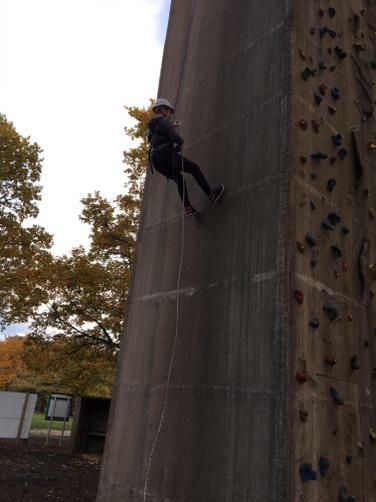 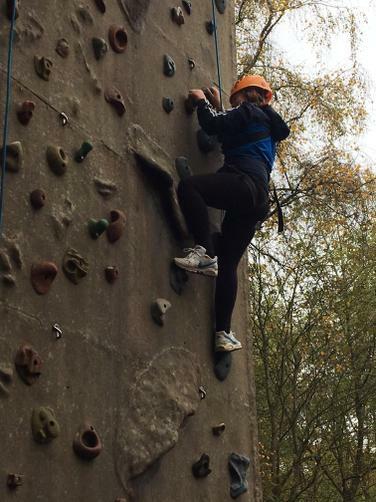 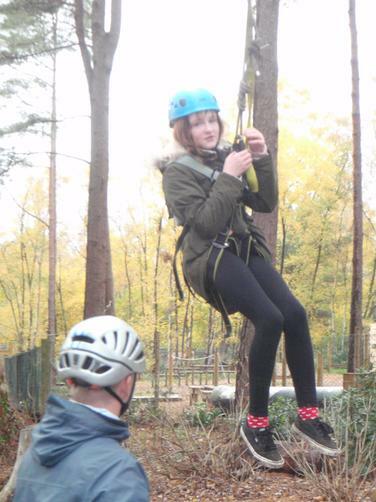 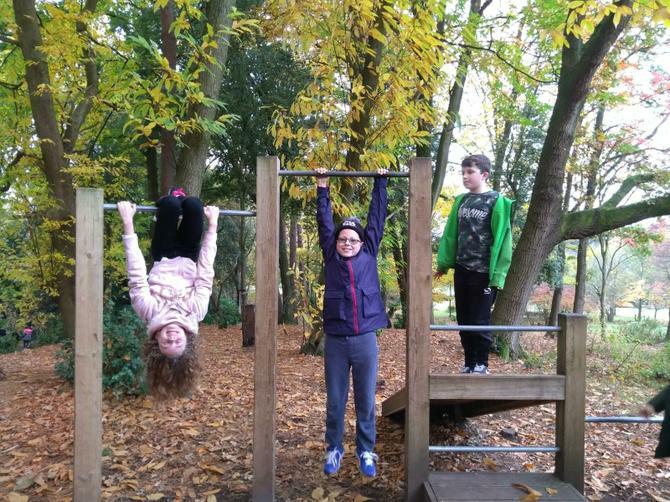 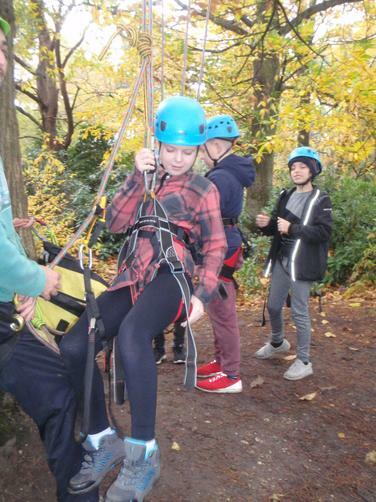 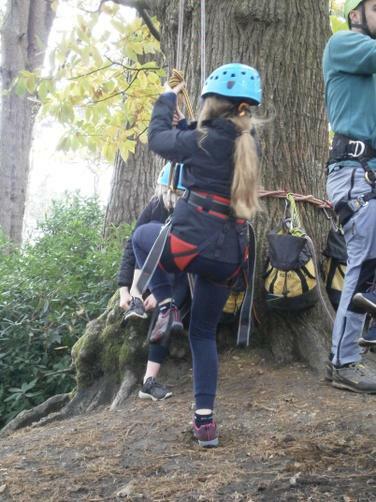 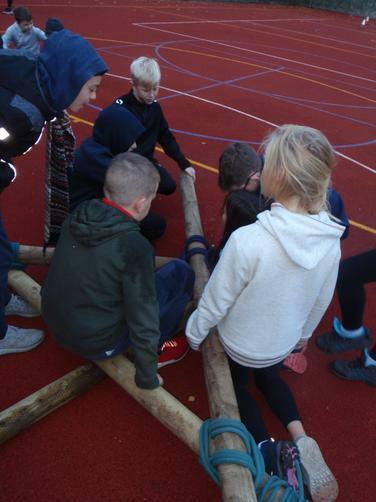 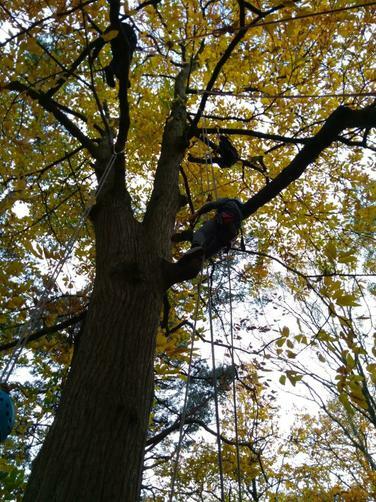 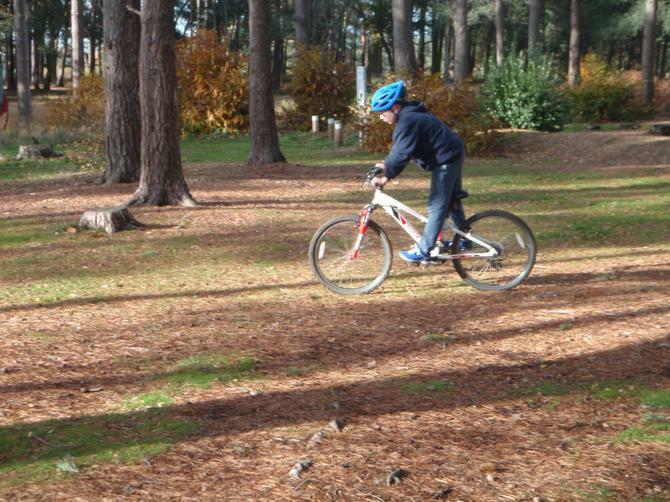 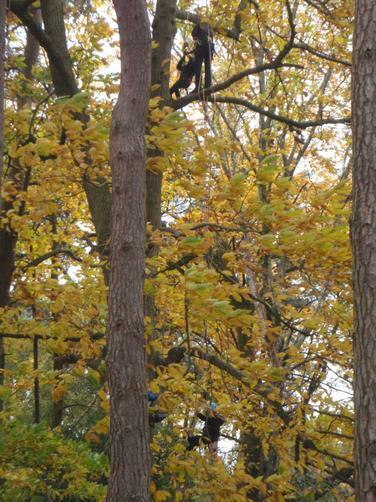 These photos are from Mrs. Hill's groups and show lots of different activities from tree climbing - a favourite with many of the children - to biking! 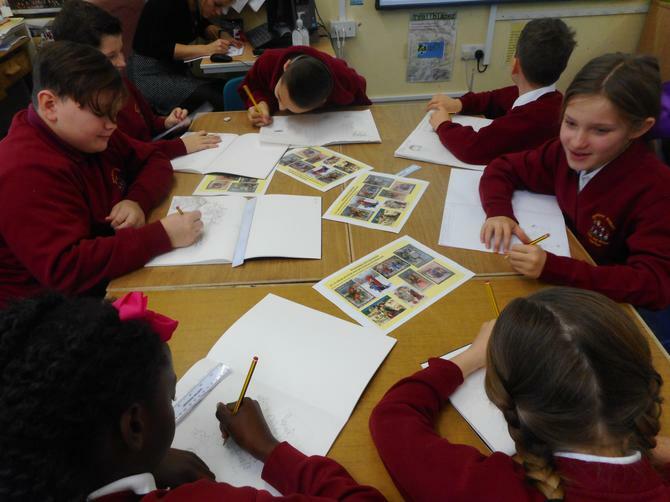 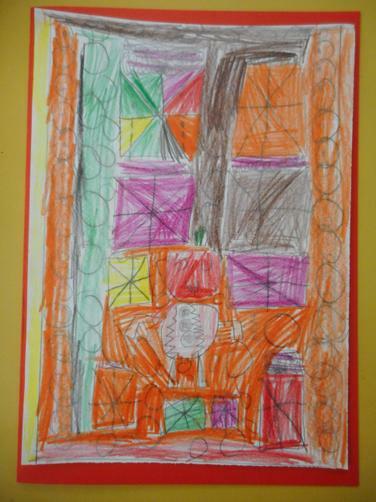 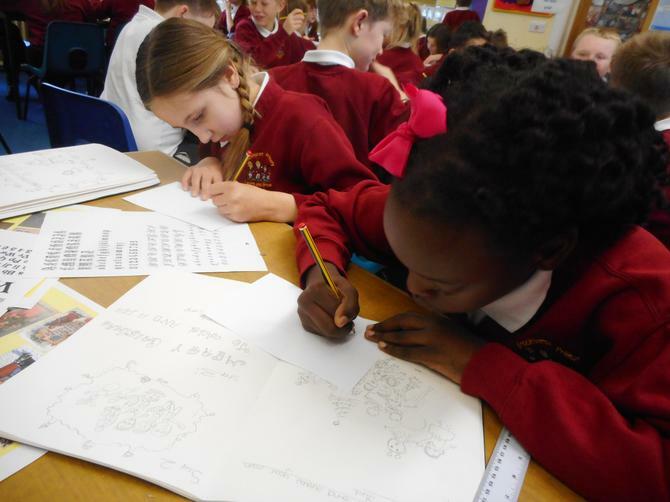 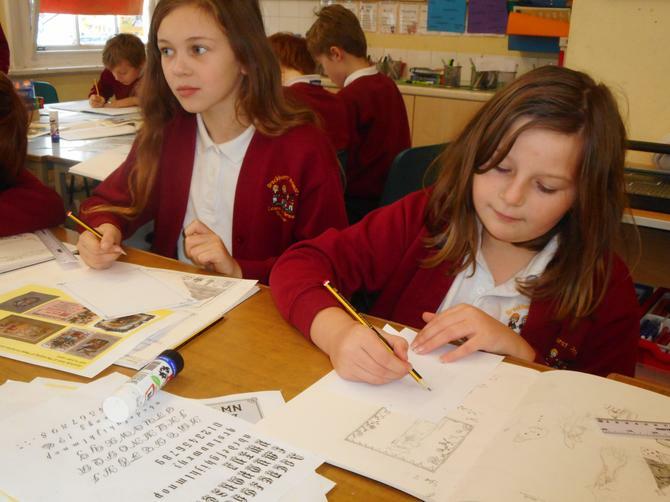 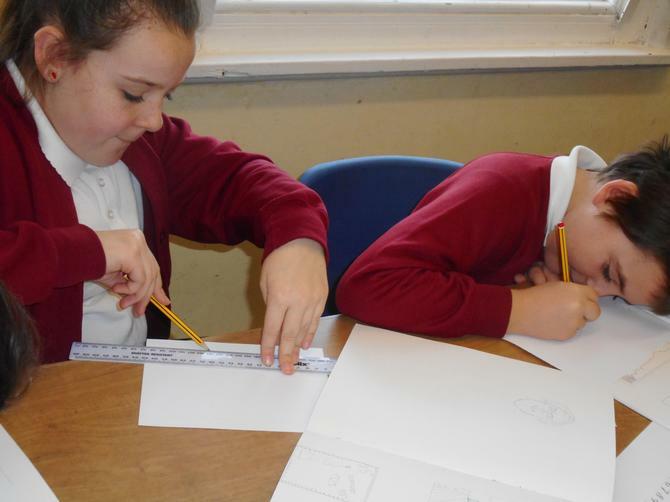 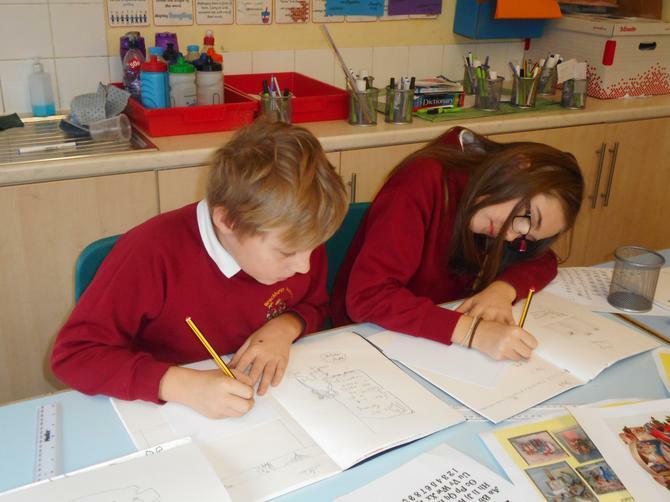 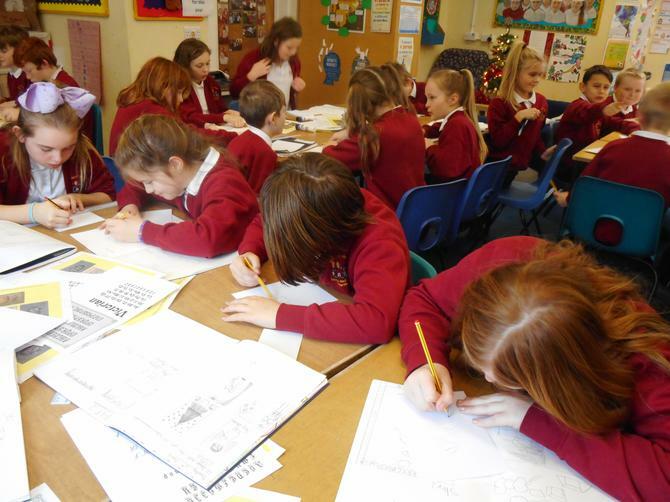 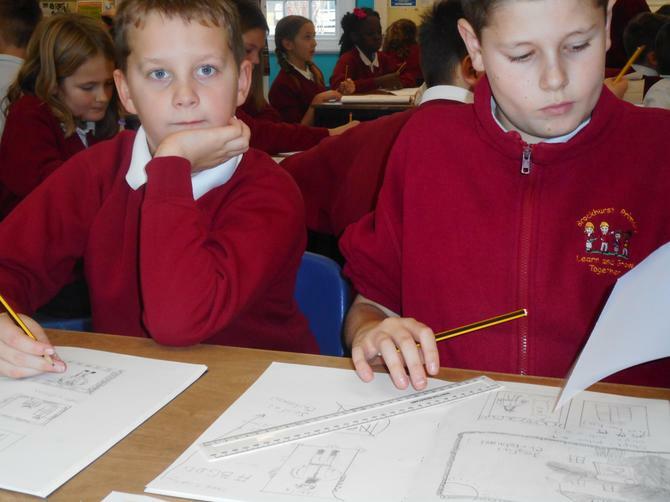 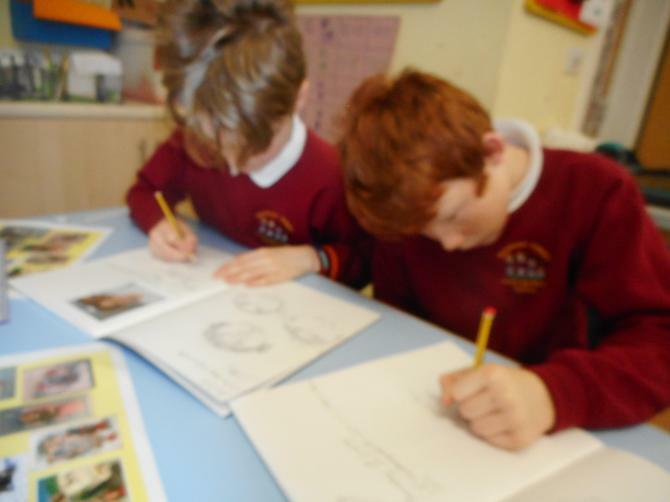 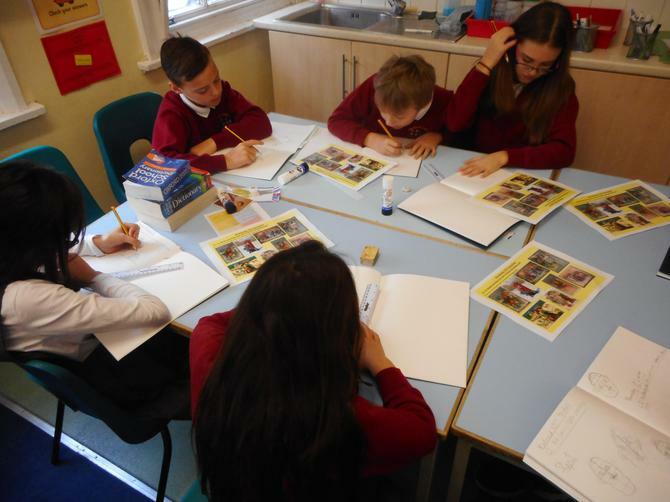 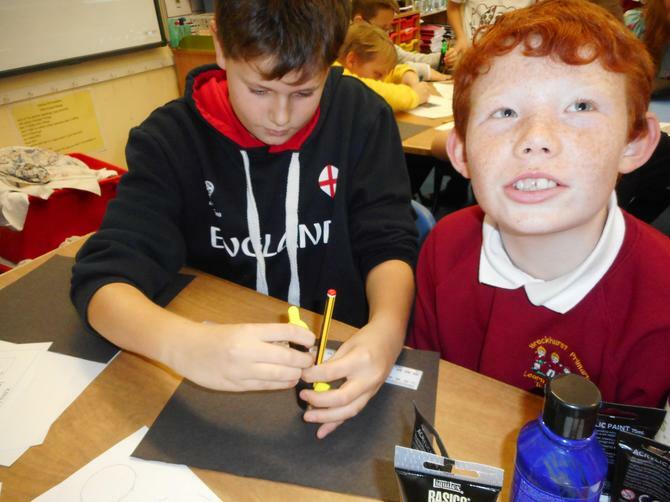 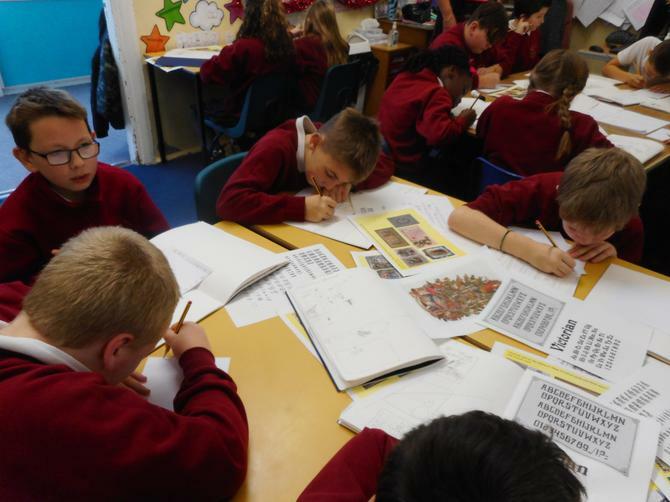 Enjoy having a look through with your child so they can tell you all about the activities and how they challenged themselves over the course of the week..
02.11.18 In art today, we practised our sketching skills using a variety of different pencil types. 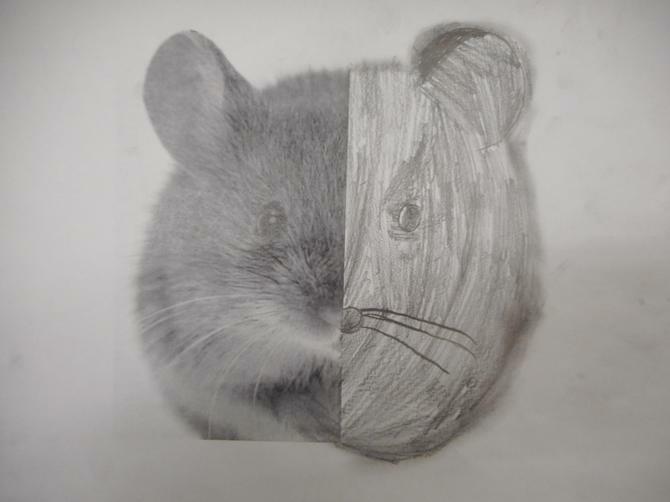 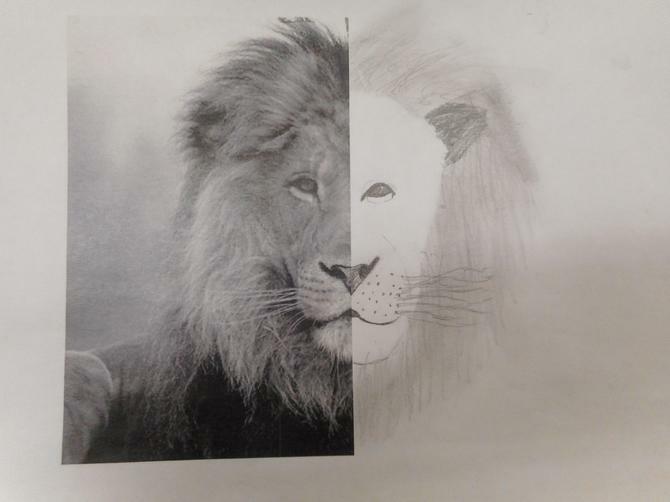 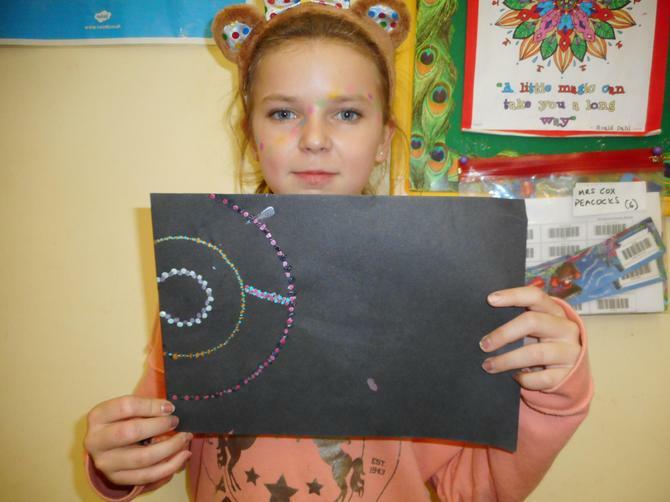 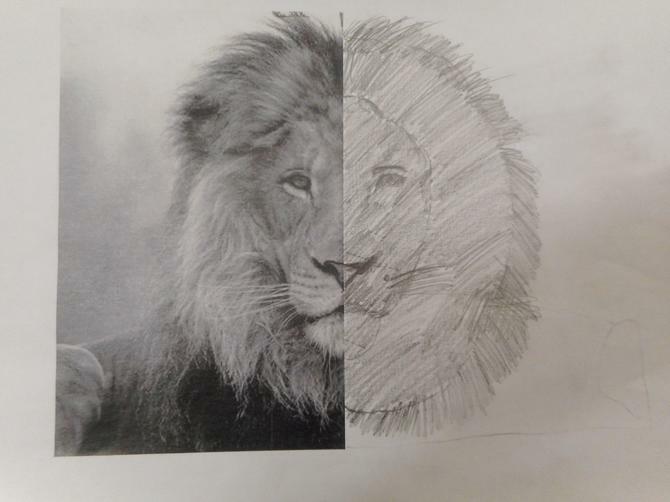 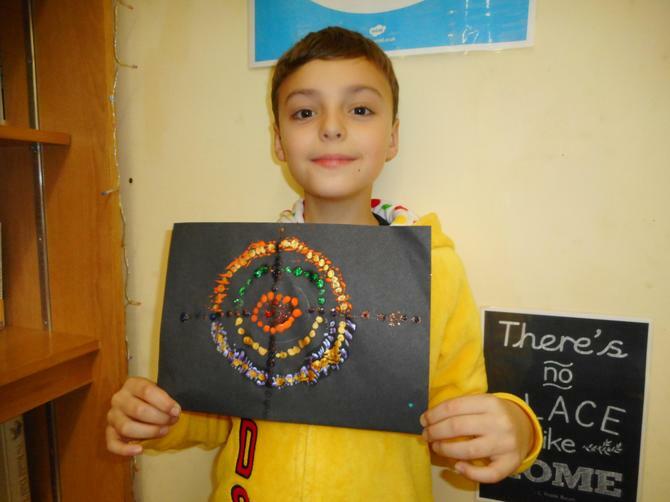 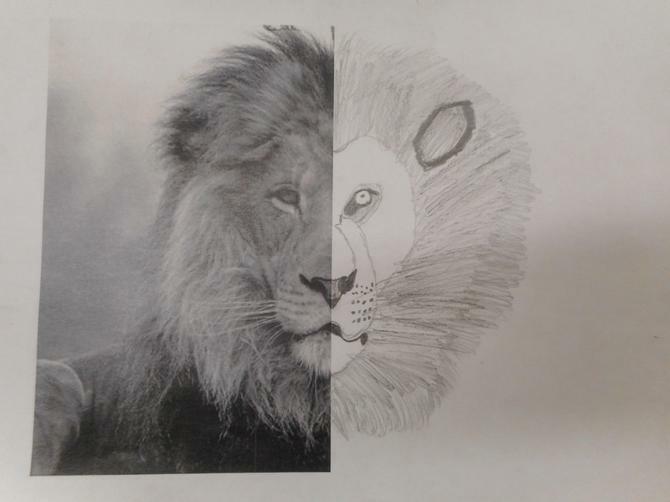 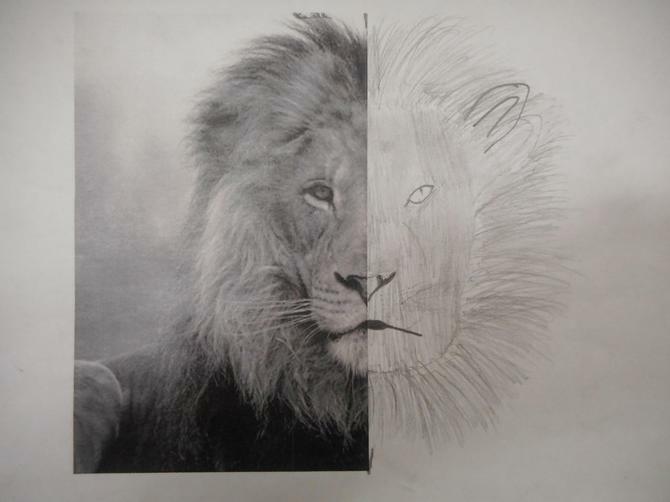 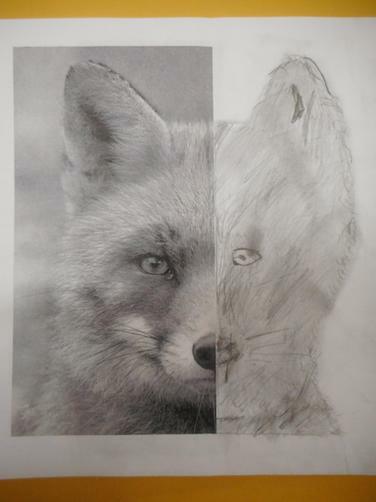 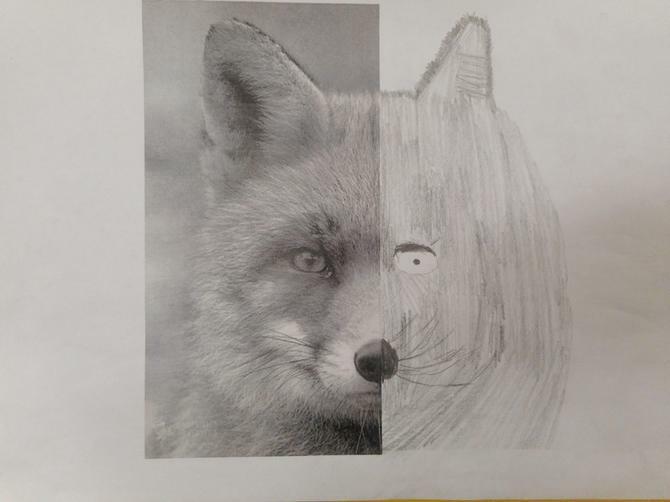 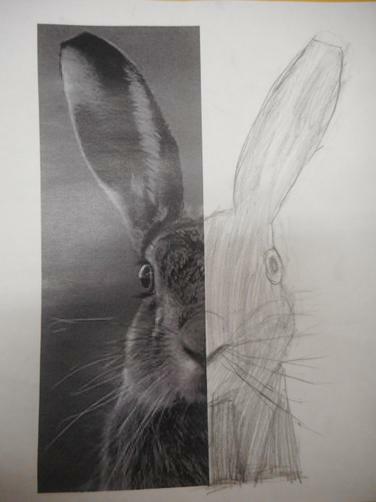 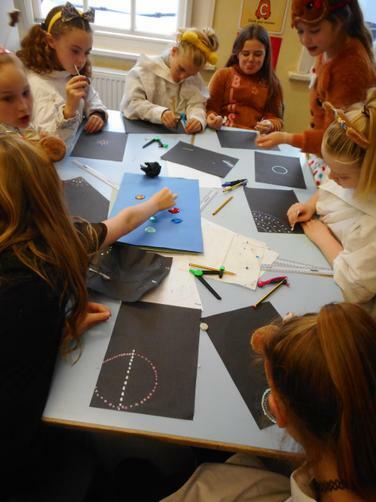 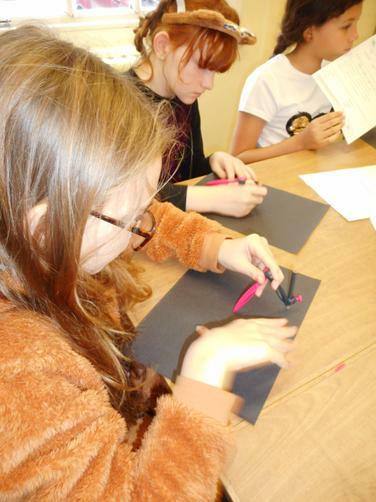 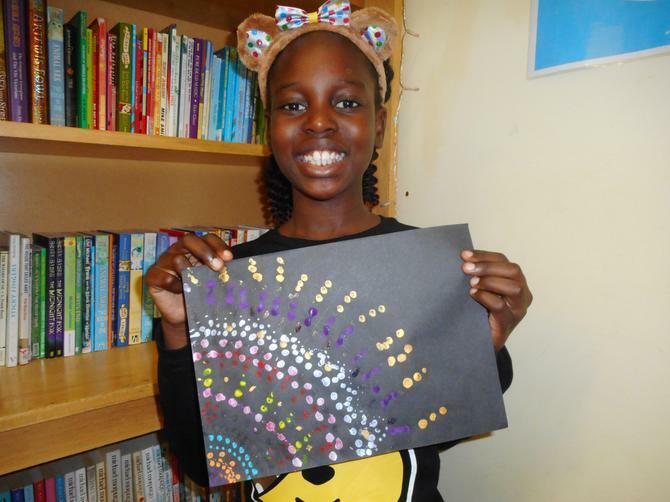 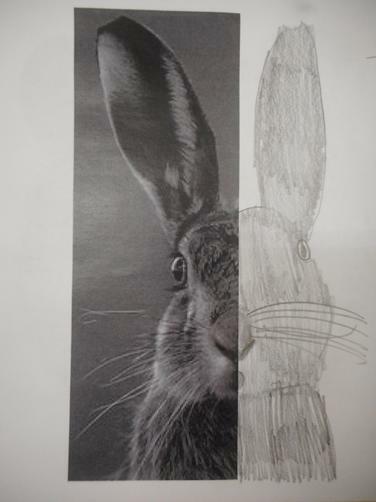 We then created our own animal pictures- based on the fables we have been studying in English- by copying a mirror image of the half of the face we had been given. 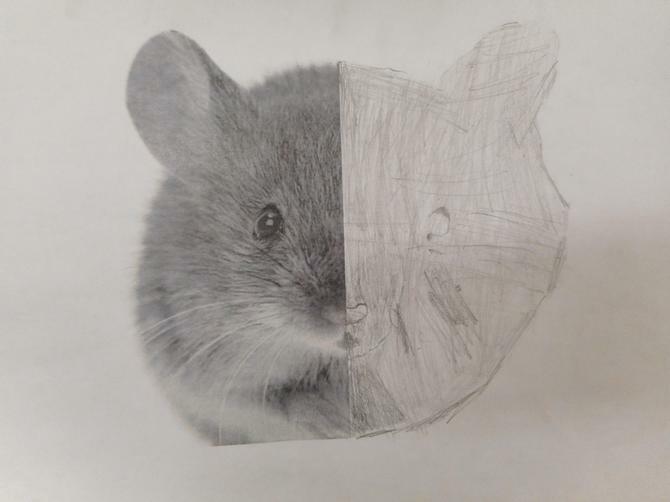 Look at how amazing the results were! 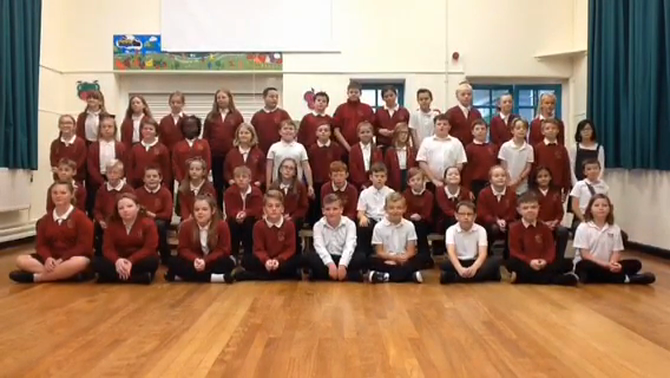 The Year 6 children have done a fantastic job of learning 'Welcome to the Autumn Harvest' for our celebration on Friday. 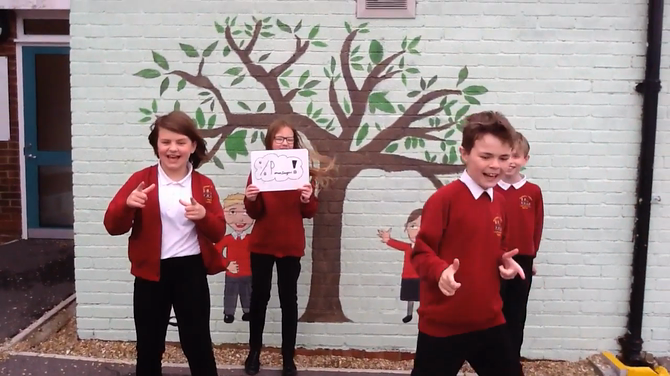 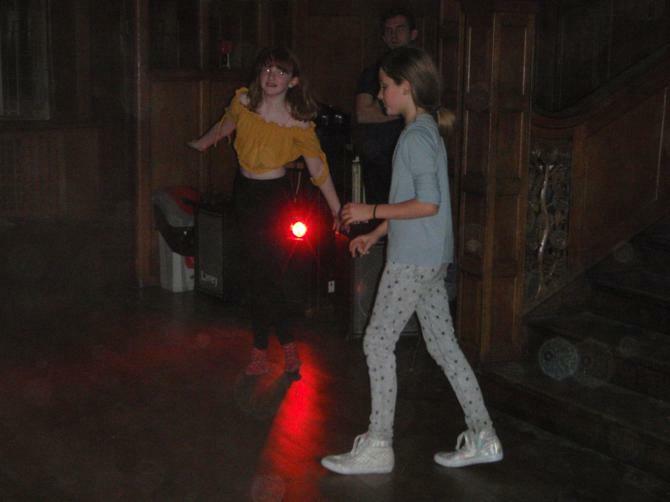 Here they are singing and dancing! 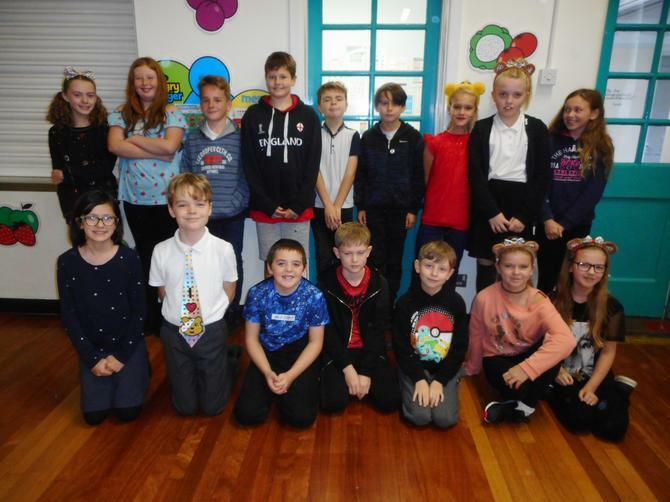 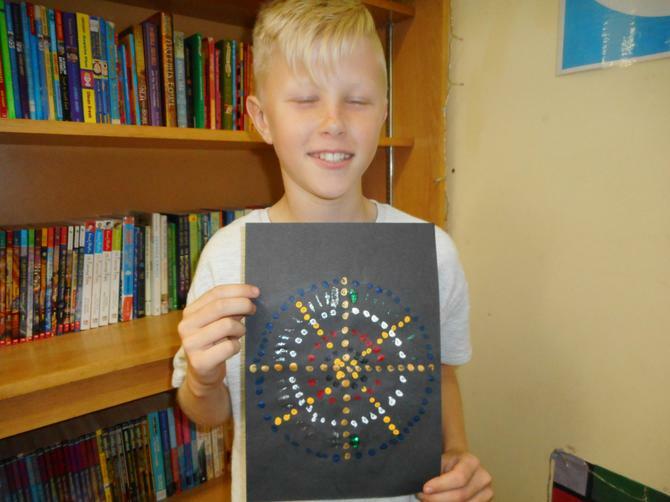 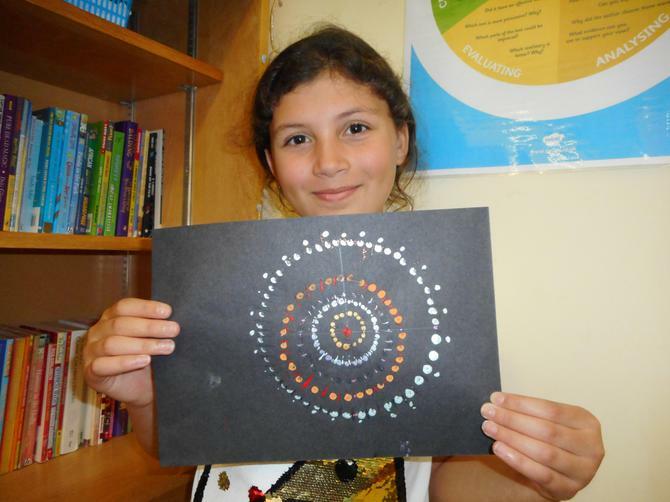 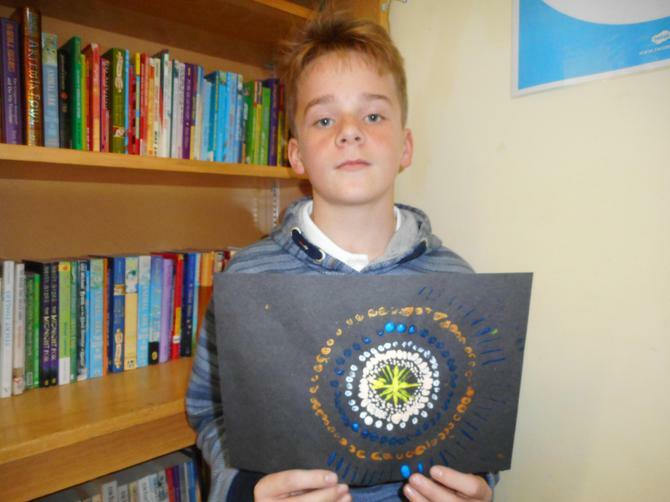 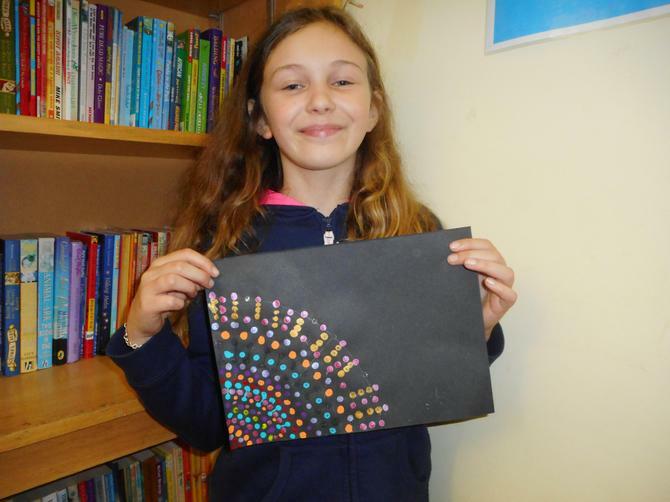 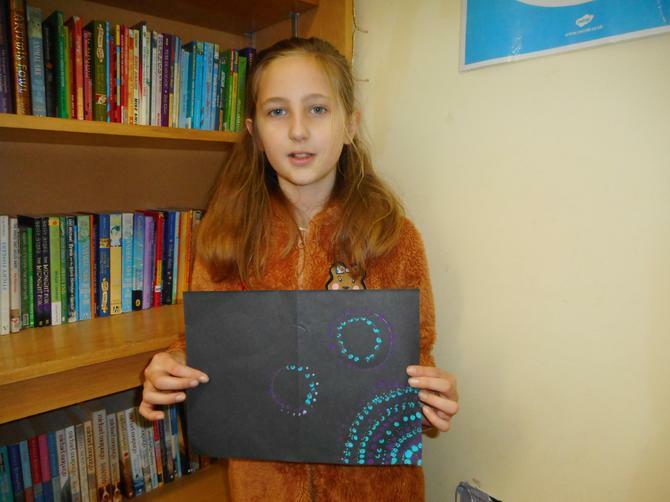 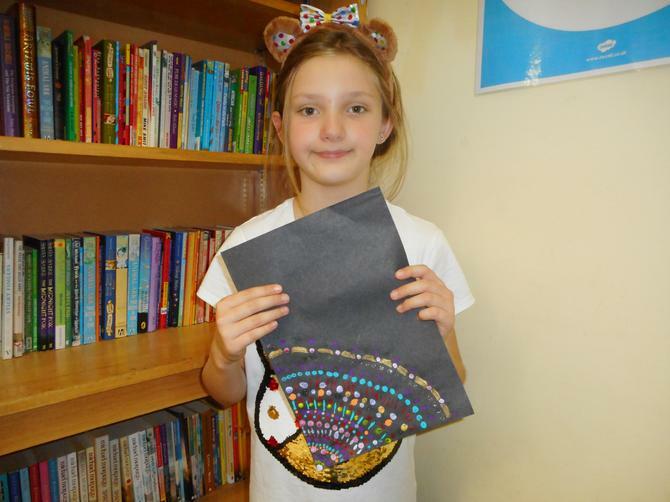 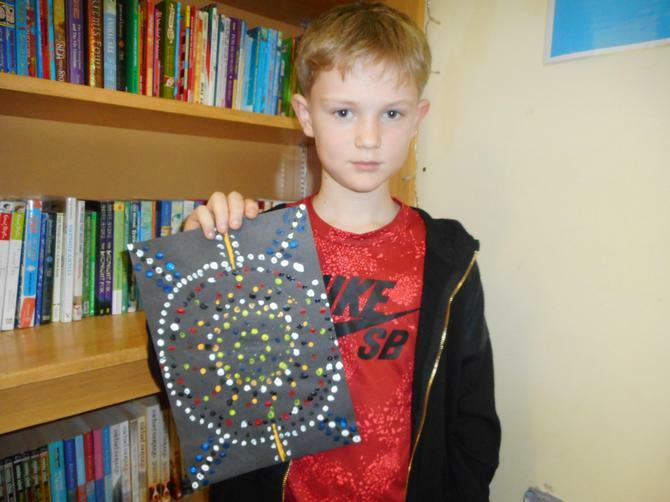 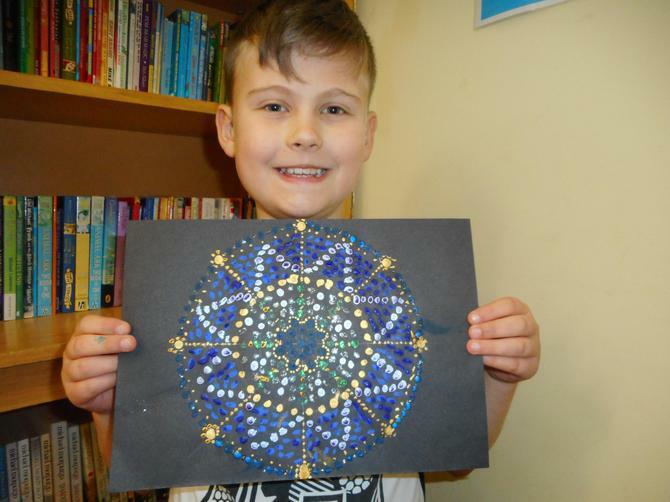 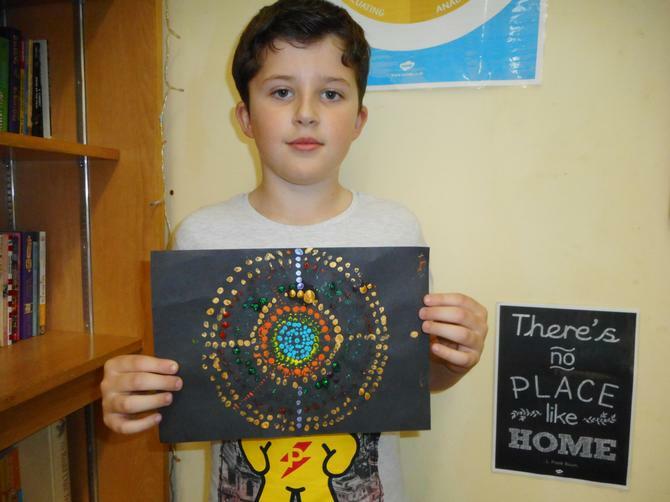 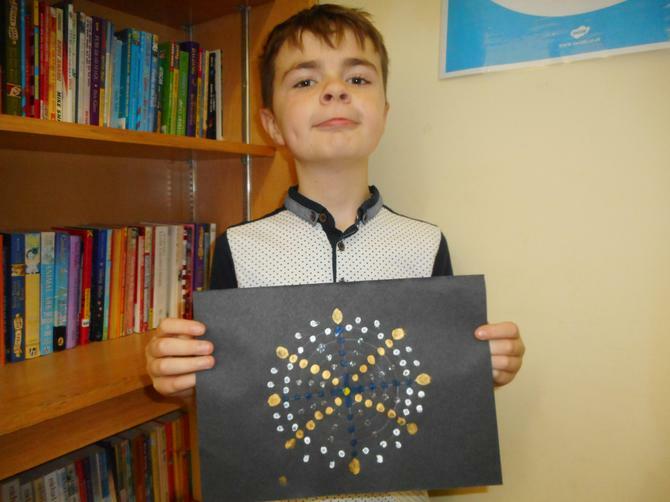 Thank you so much to all the children and parents who were involved in producing some fantastic summer holiday homework. 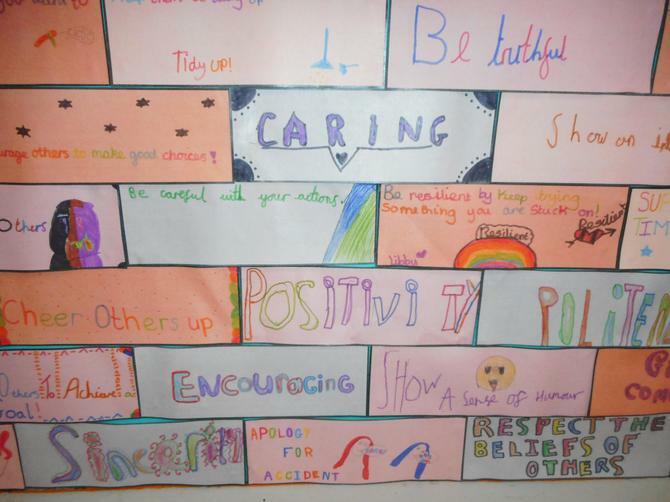 We really enjoyed hearing what everyone had been up to and we have created a corridor display so that each child has had a chance to share something about their holiday.